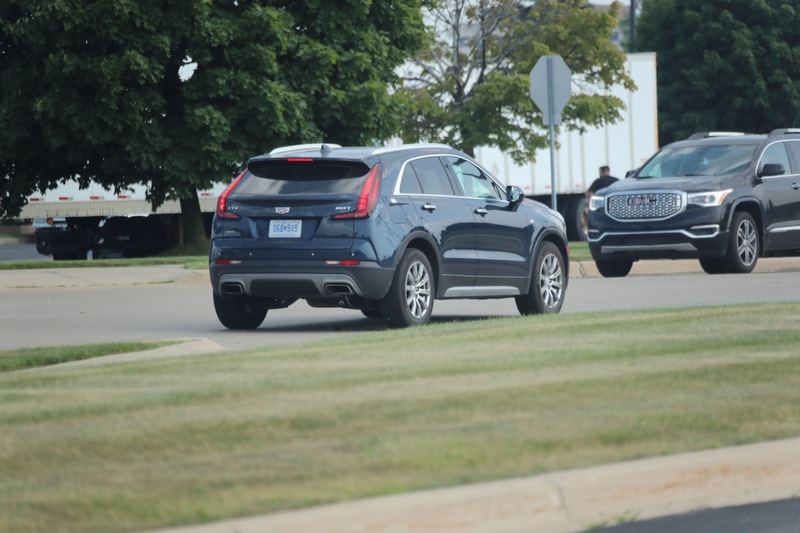 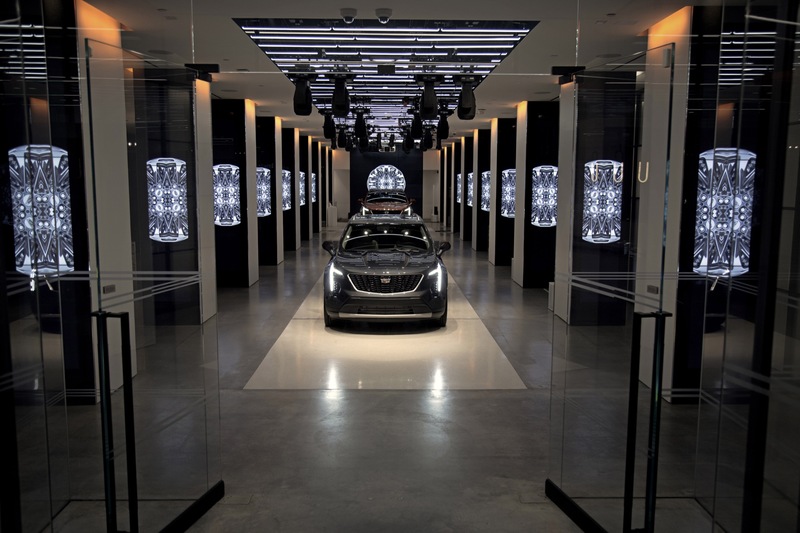 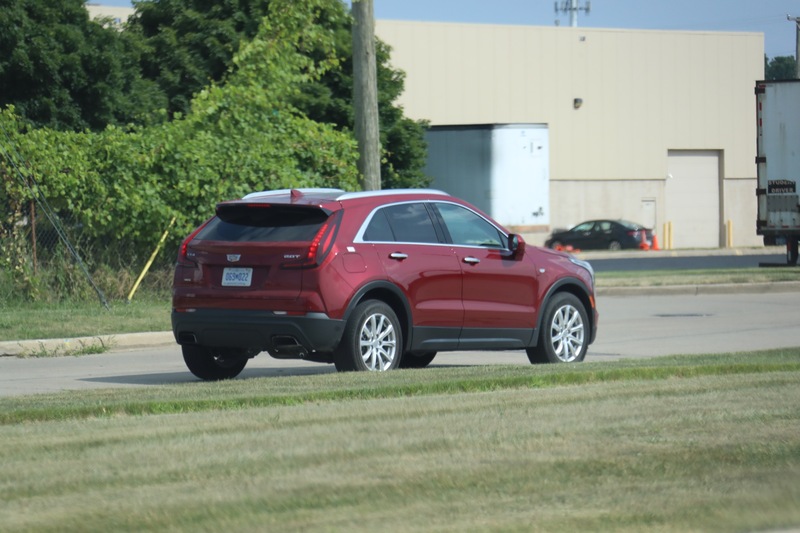 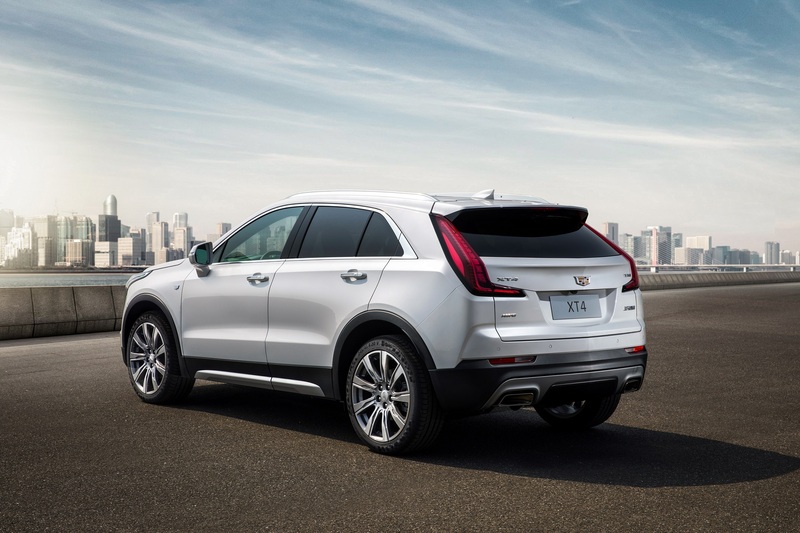 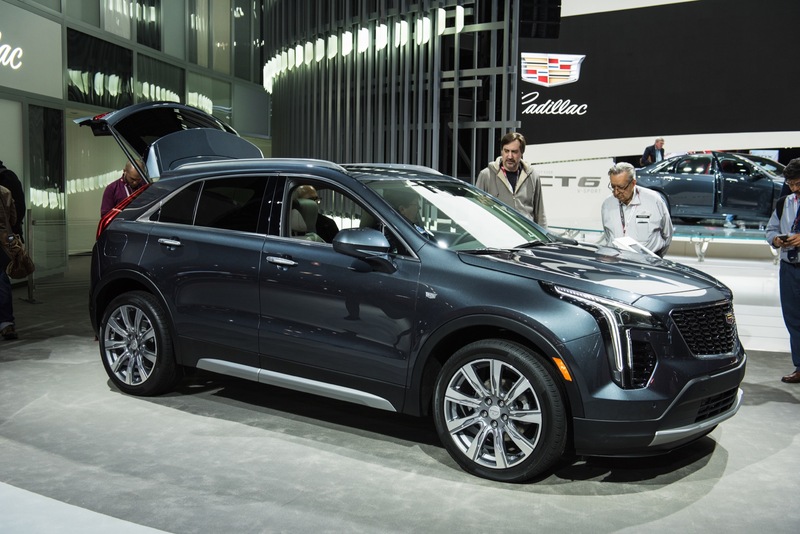 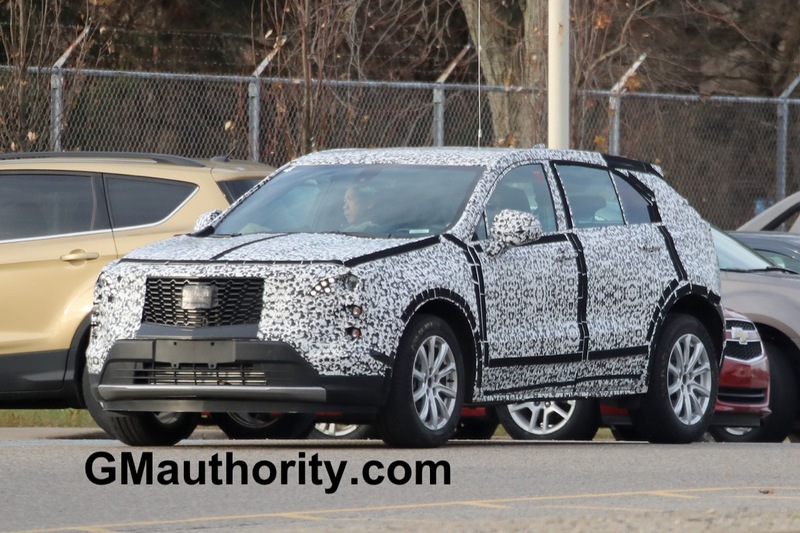 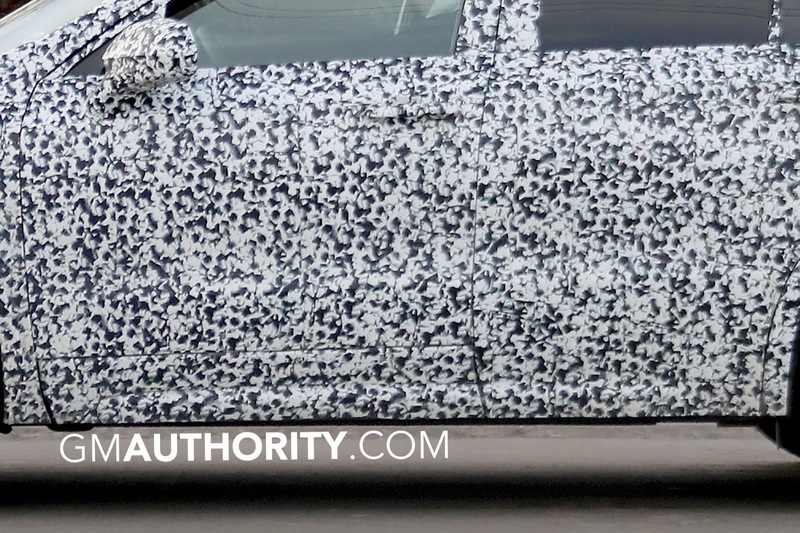 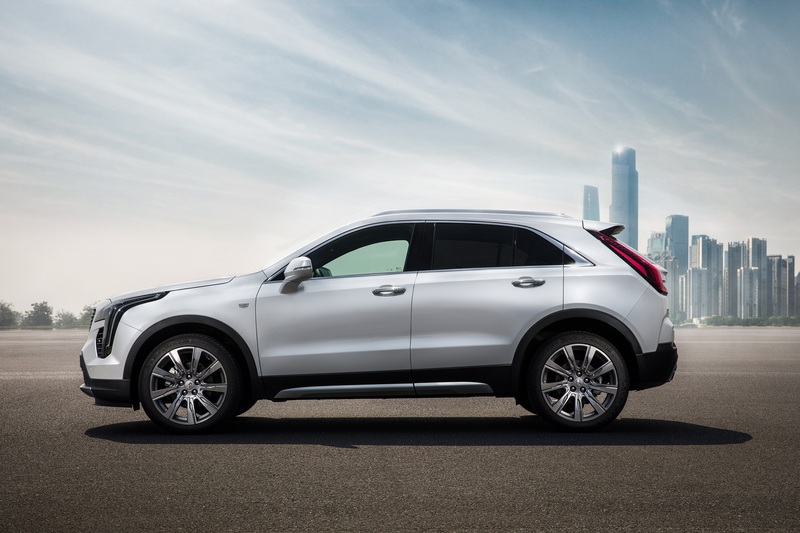 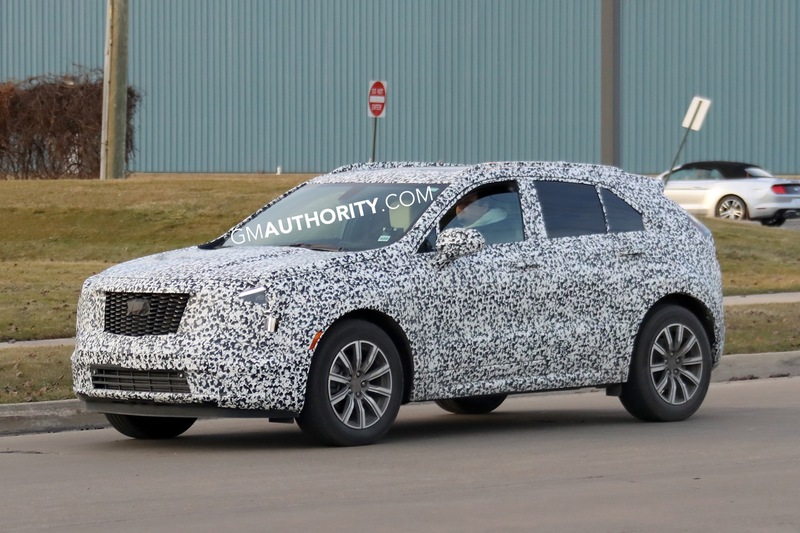 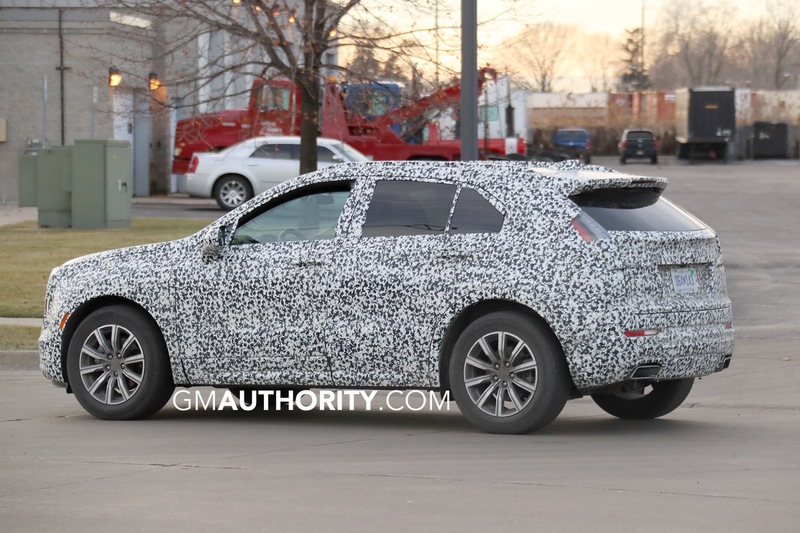 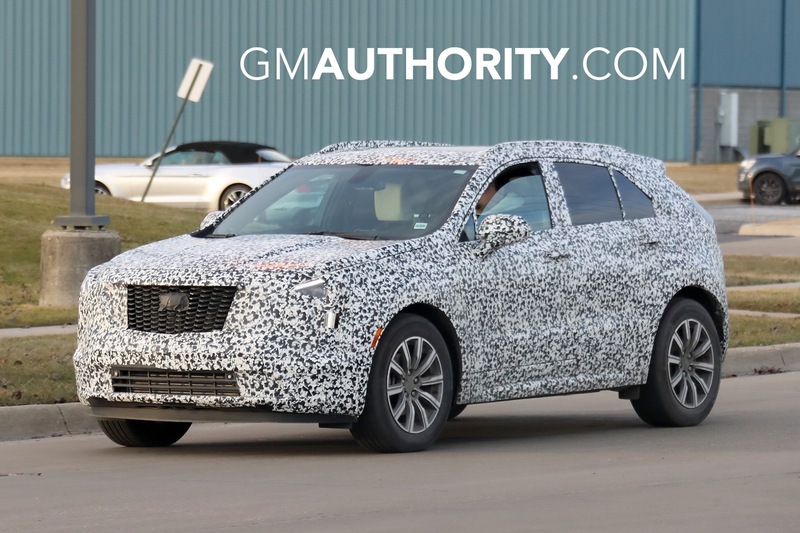 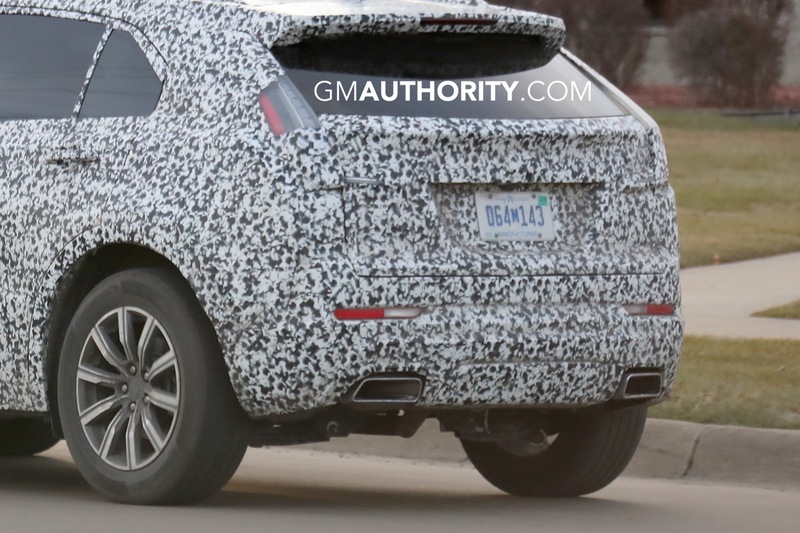 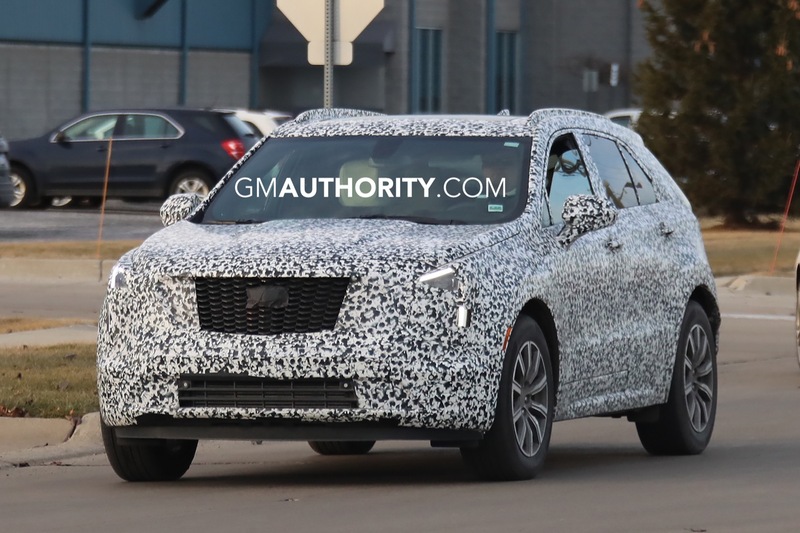 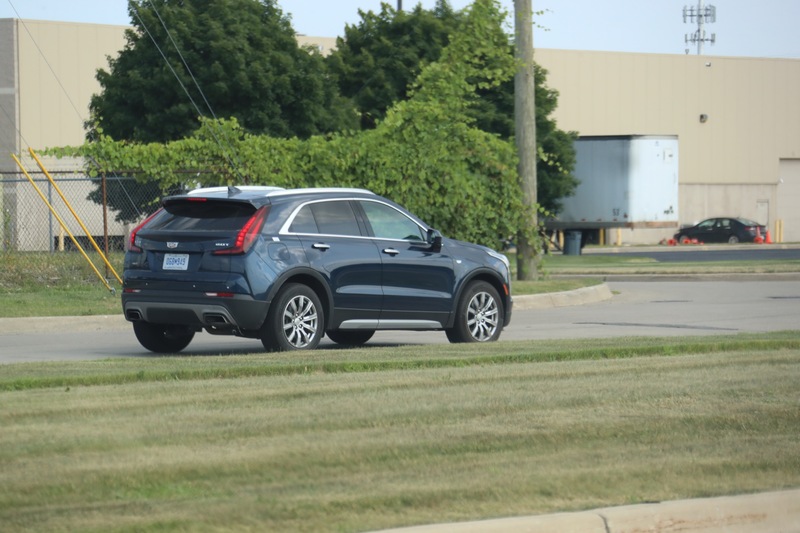 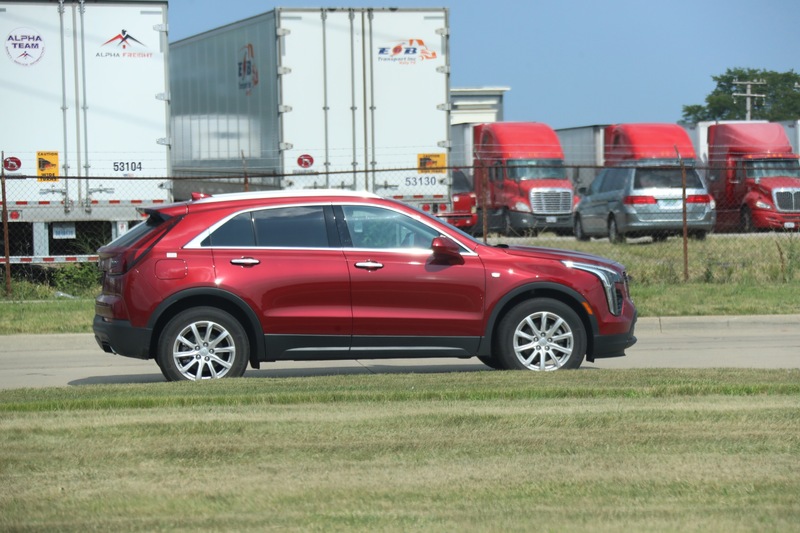 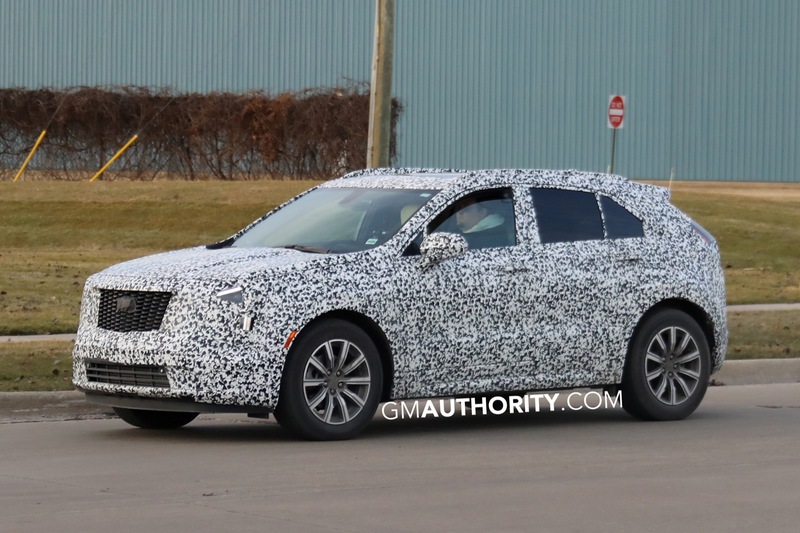 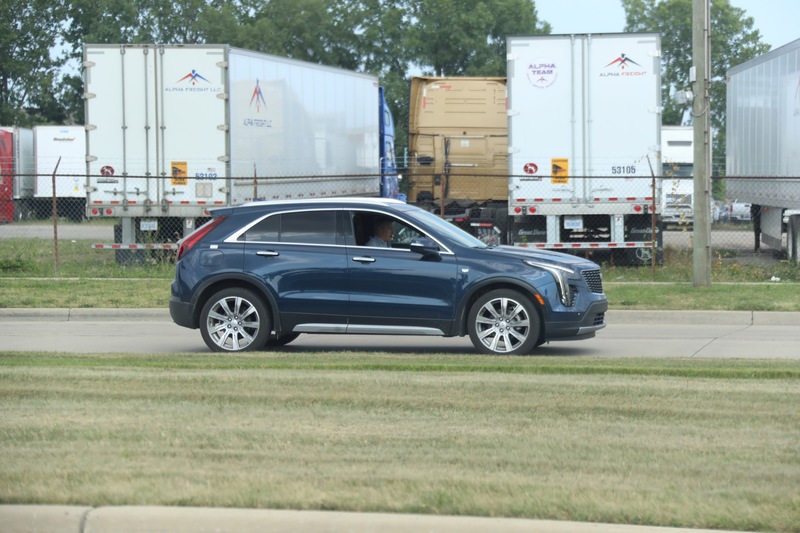 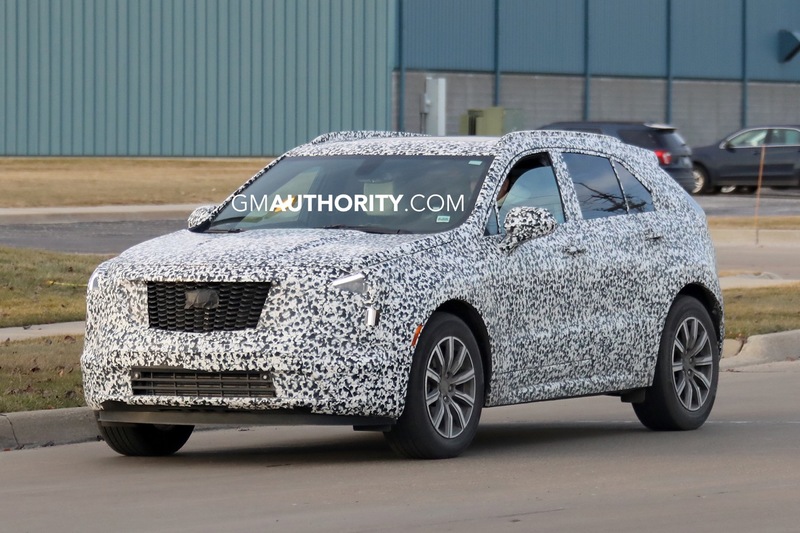 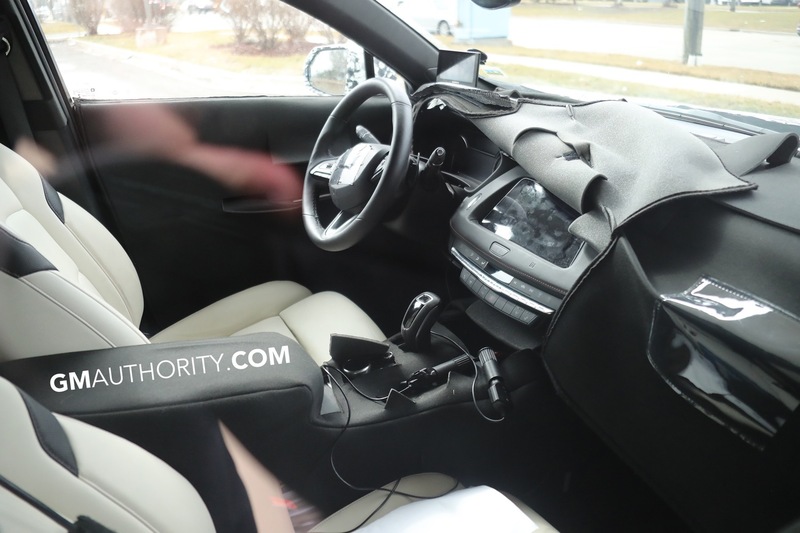 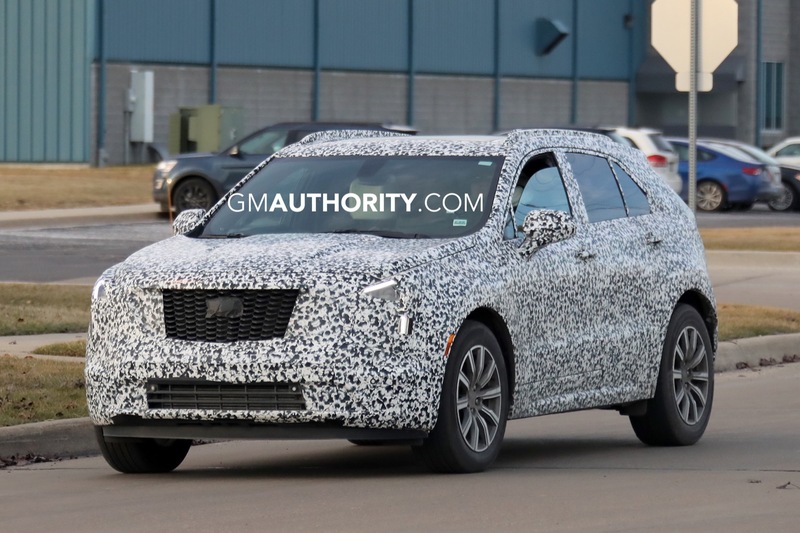 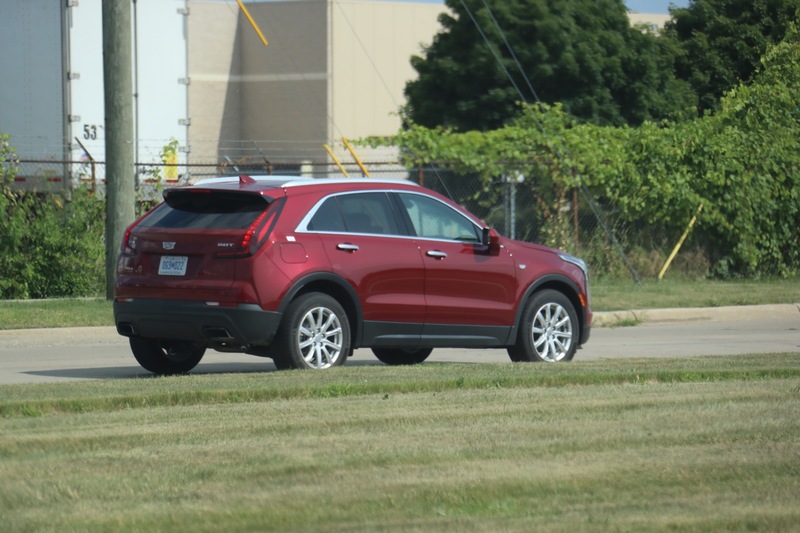 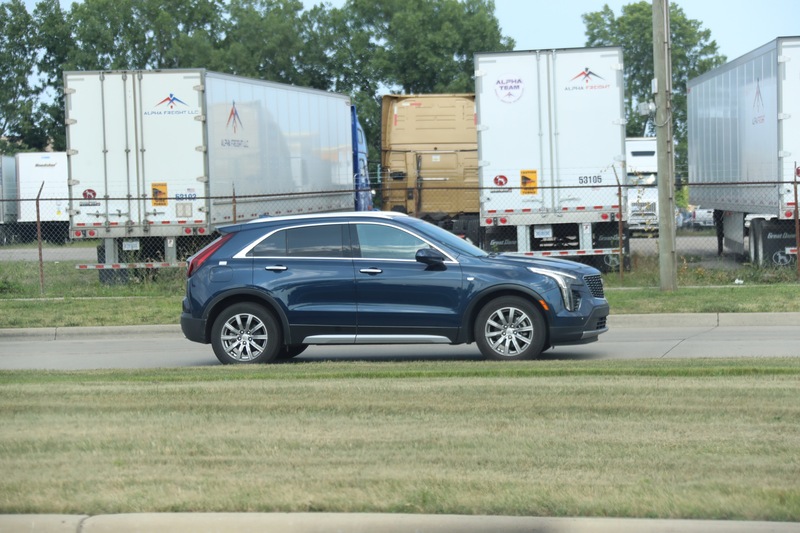 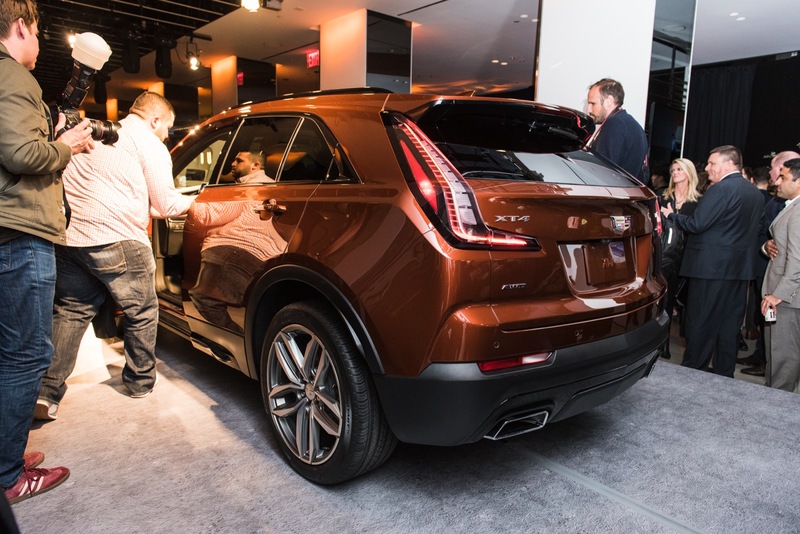 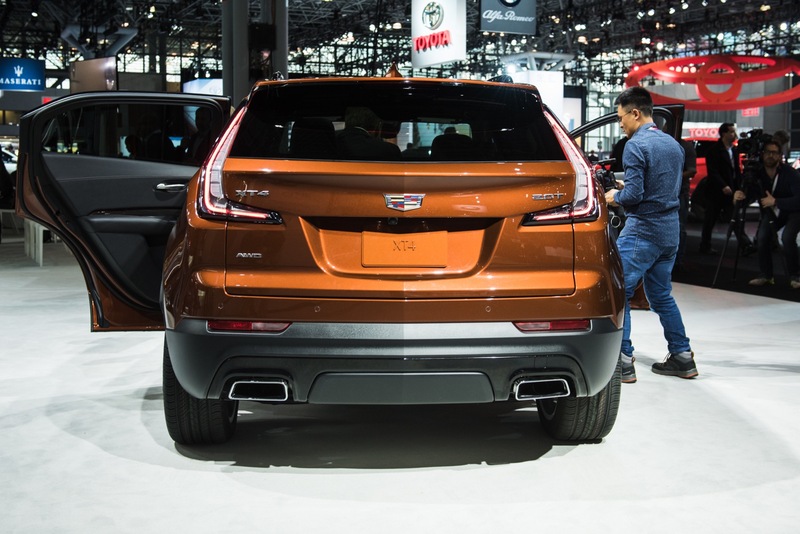 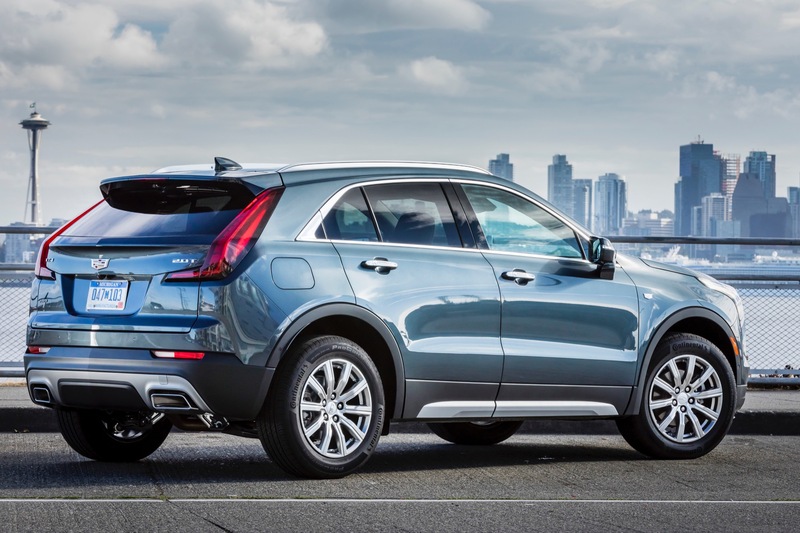 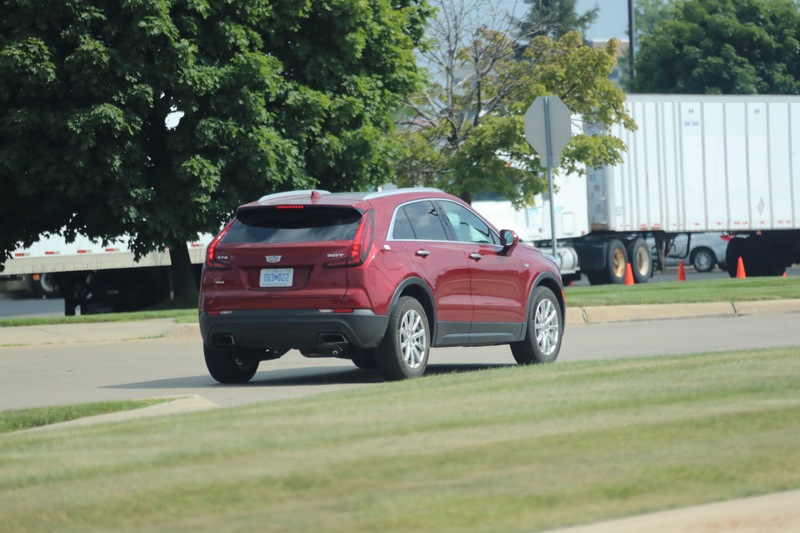 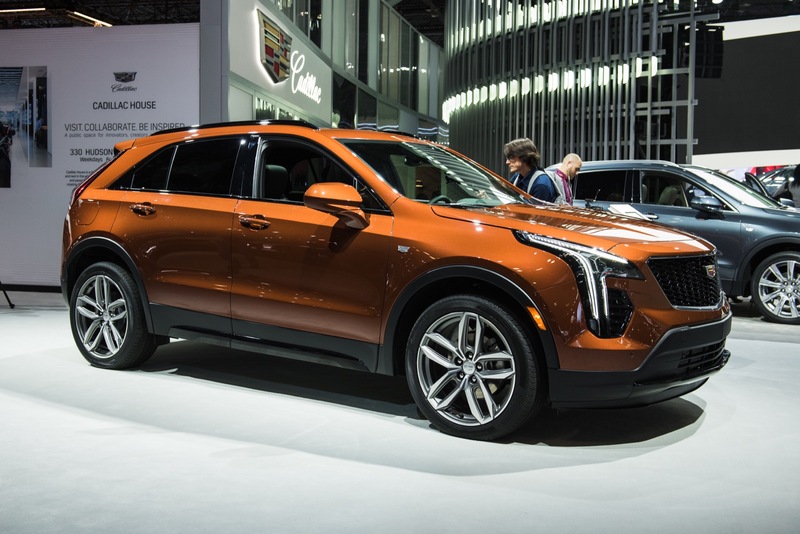 Having arrived at dealerships in China and the United States in September and October, the Cadillac XT4 is set to arrive in various of the brand’s auxiliary markets in the fourth quarter of the year. 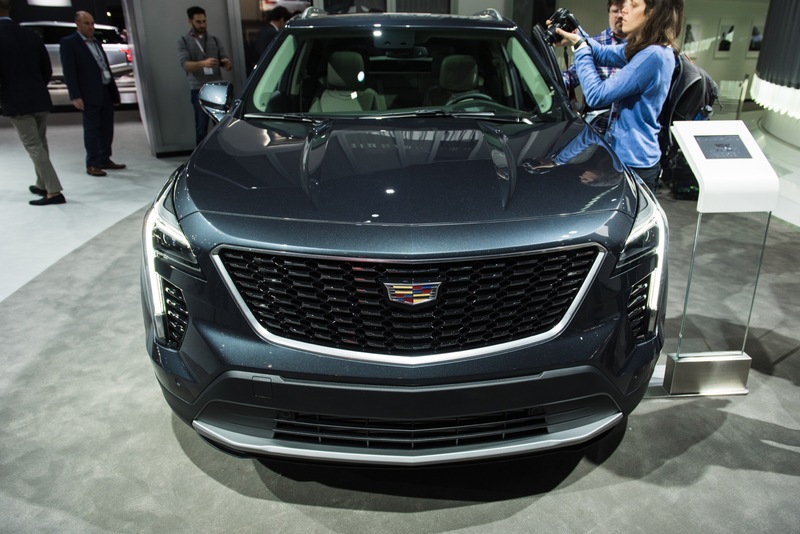 Cadillac has announced that the first units of its new small crossover will reach the Mexican market starting in November. 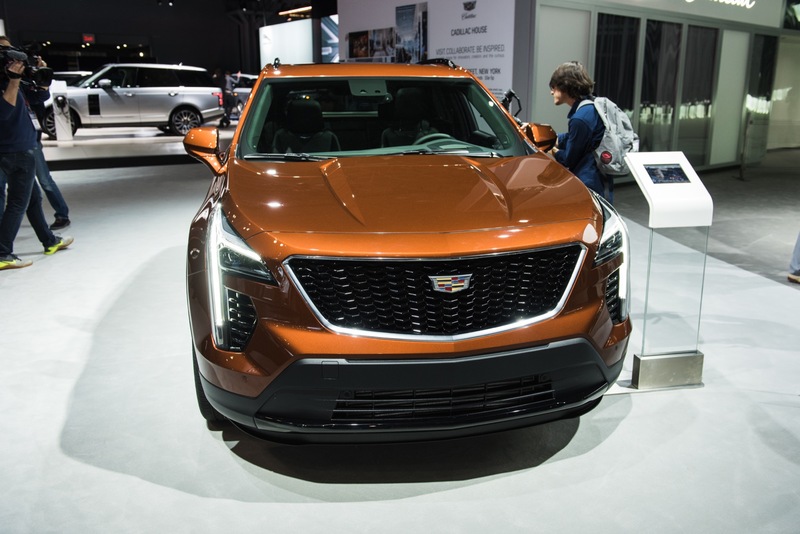 The model, at least initially, will be offered in one version in the market, which the brand hopes will satisfy customer needs in the country. 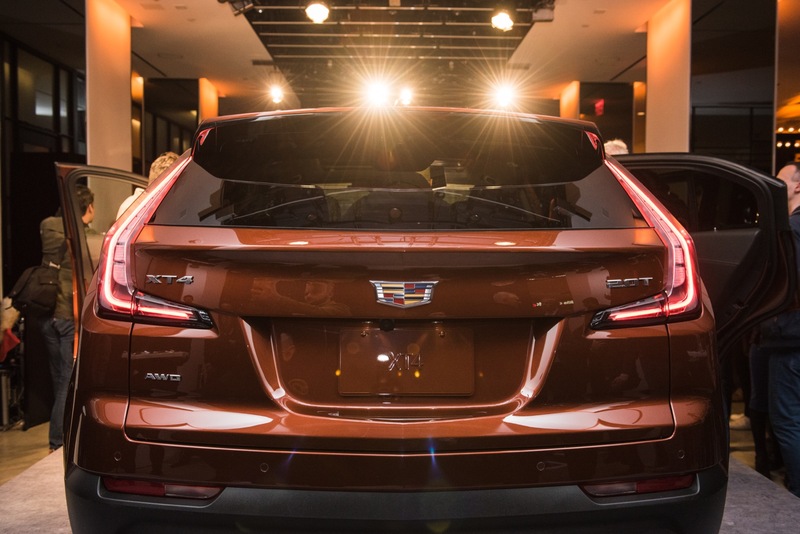 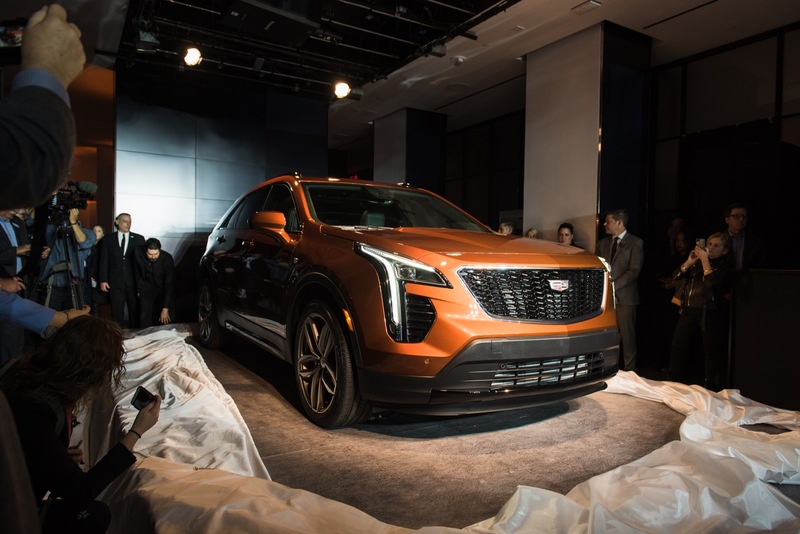 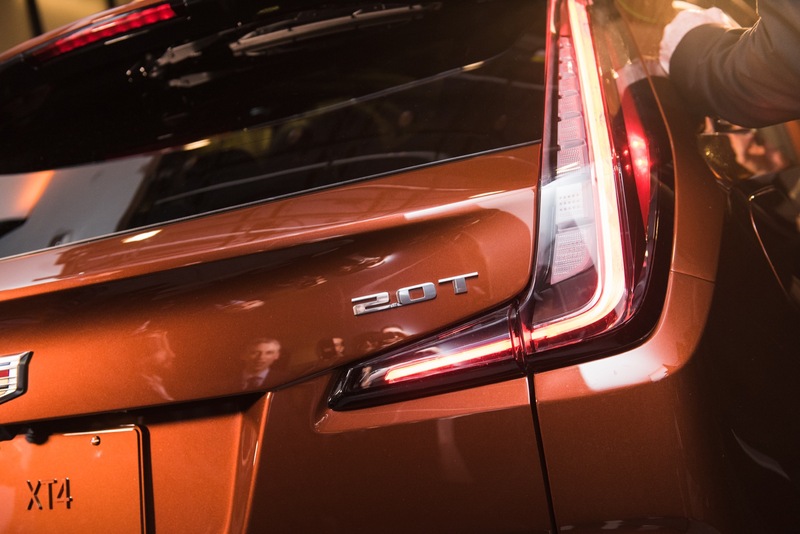 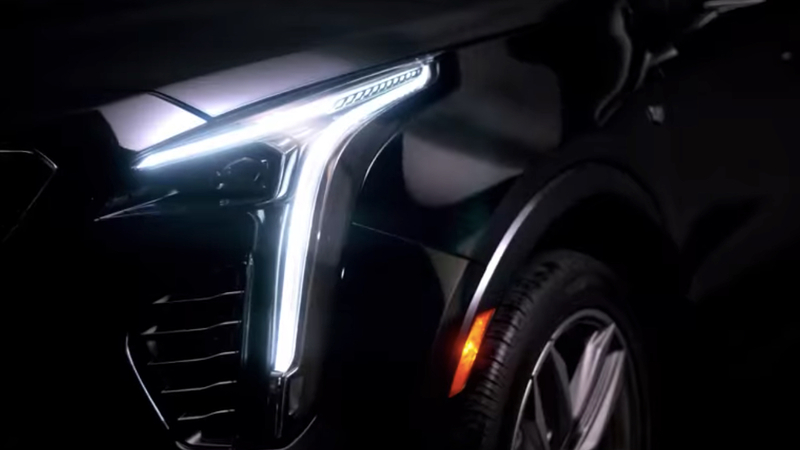 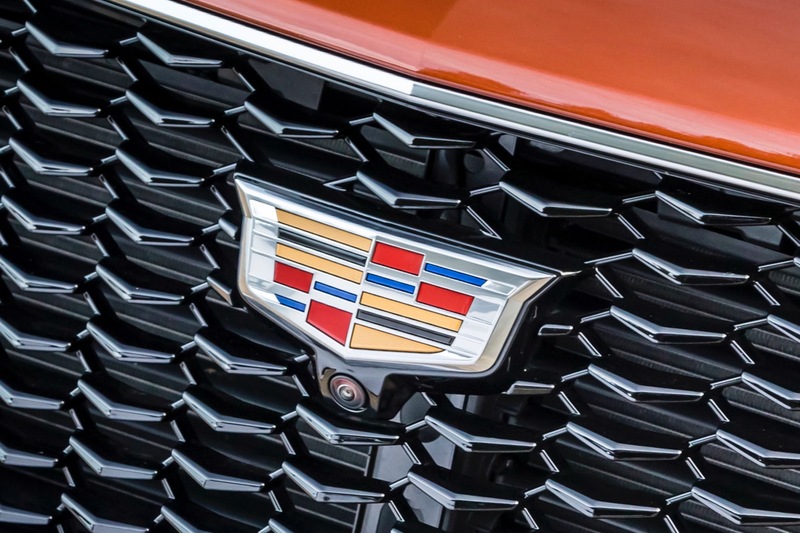 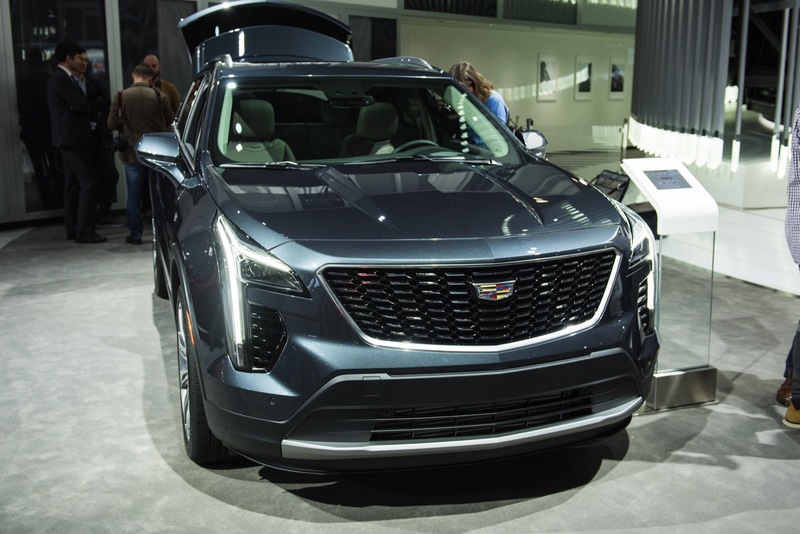 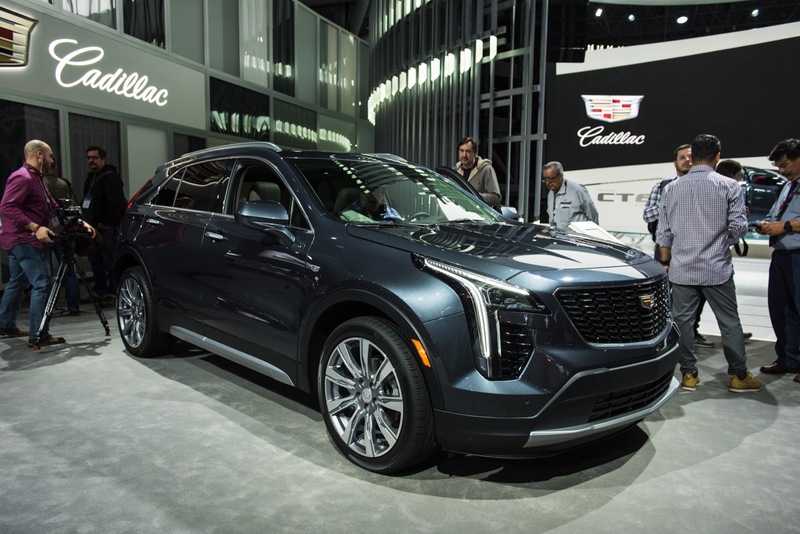 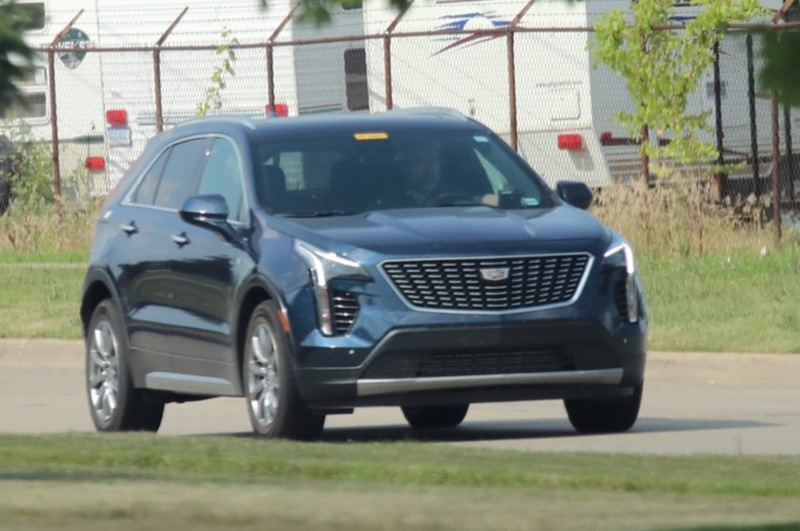 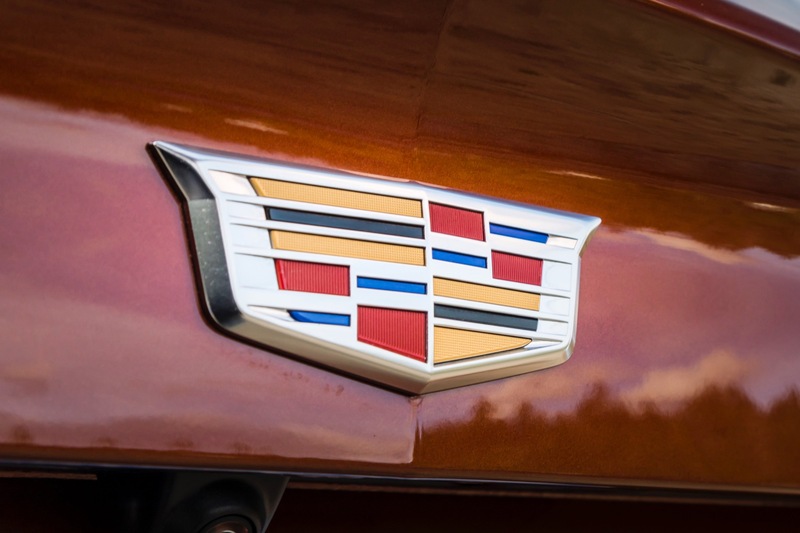 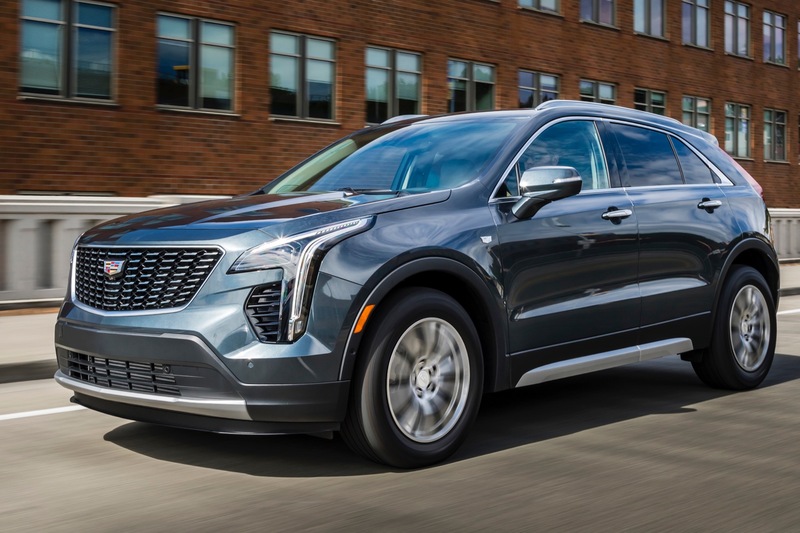 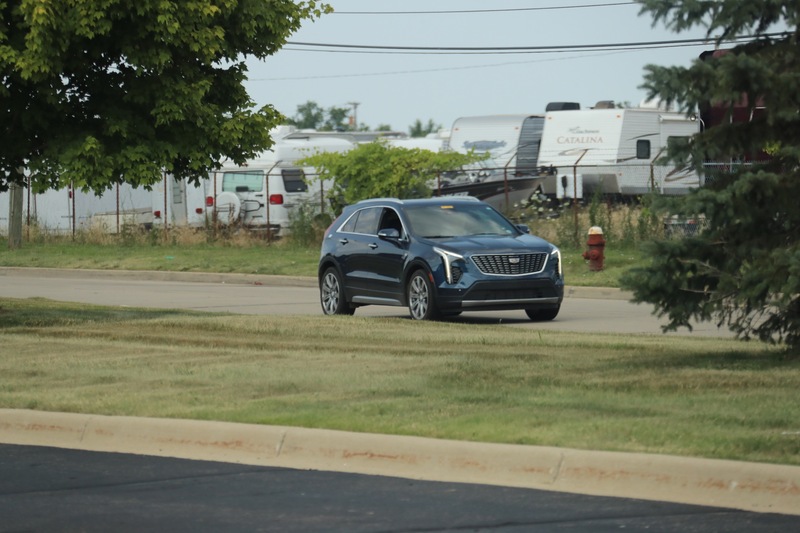 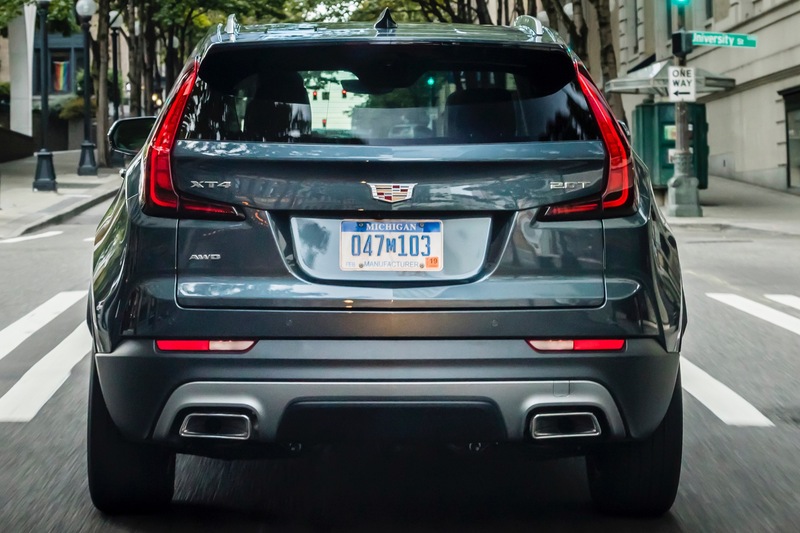 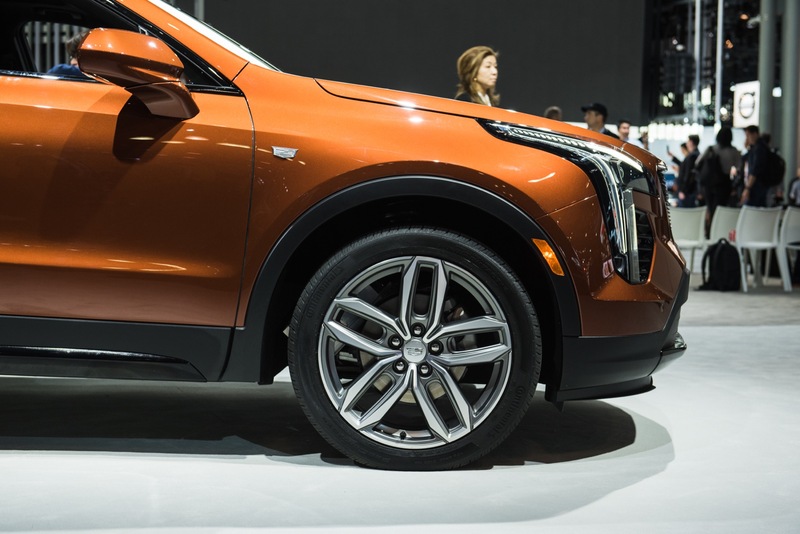 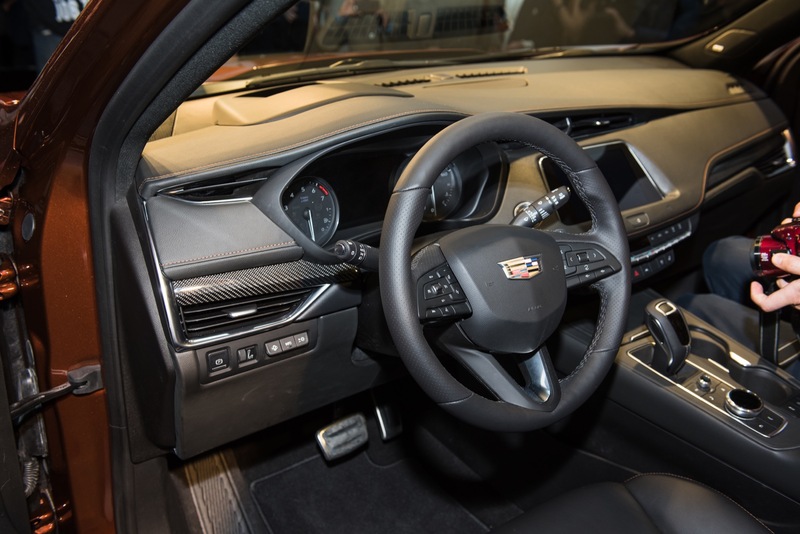 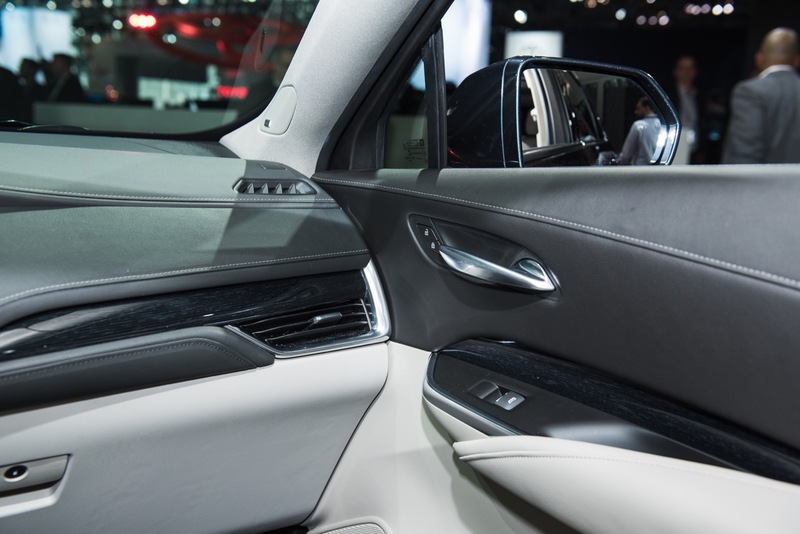 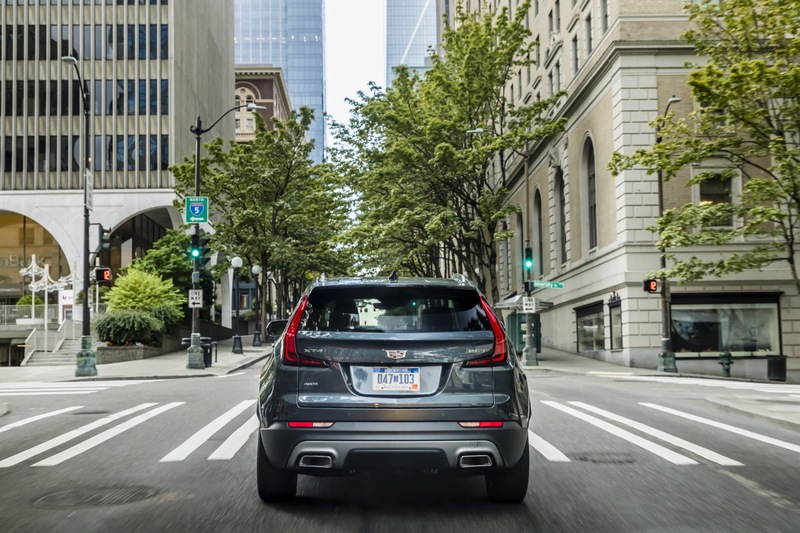 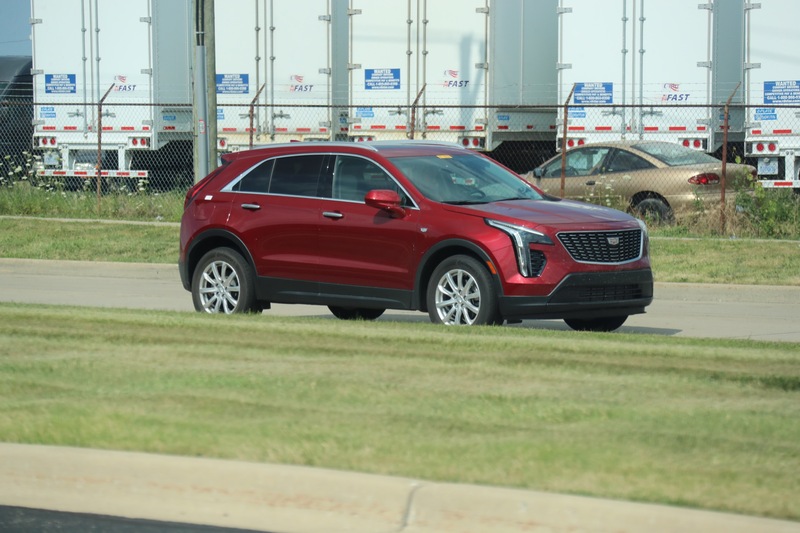 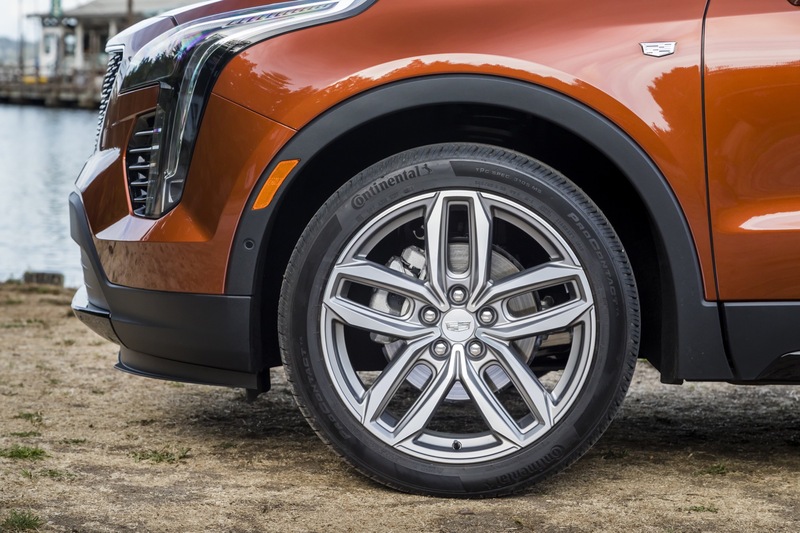 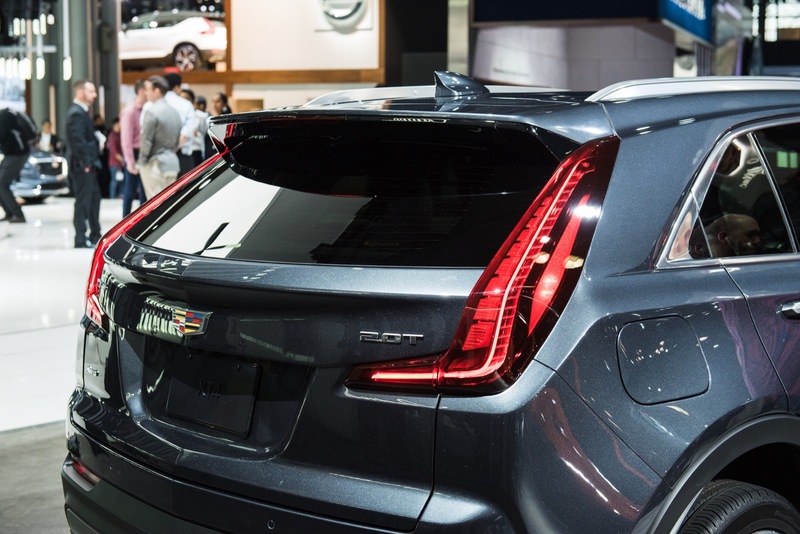 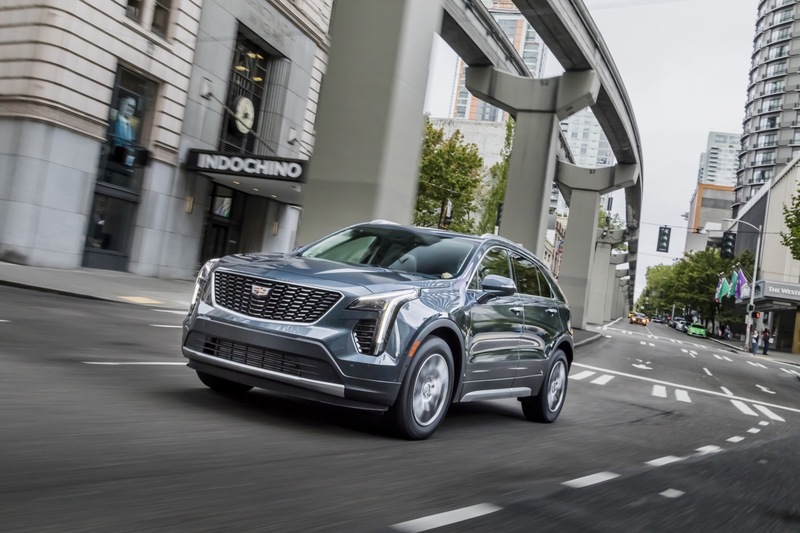 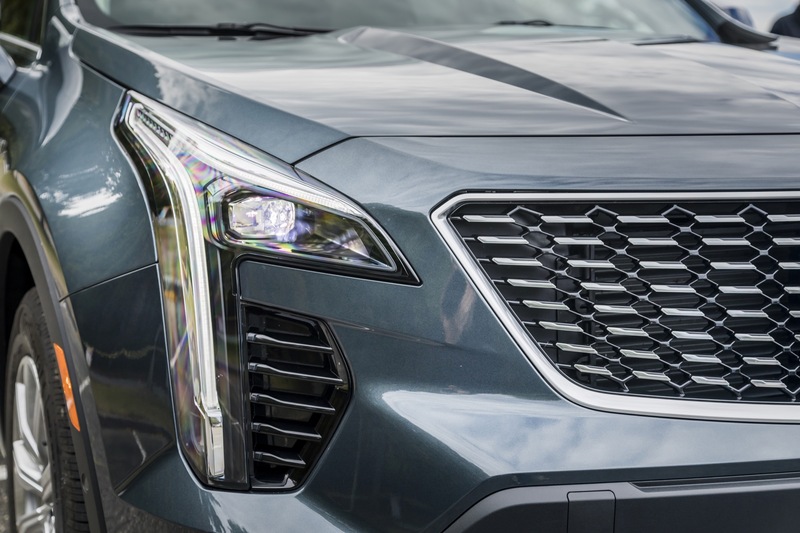 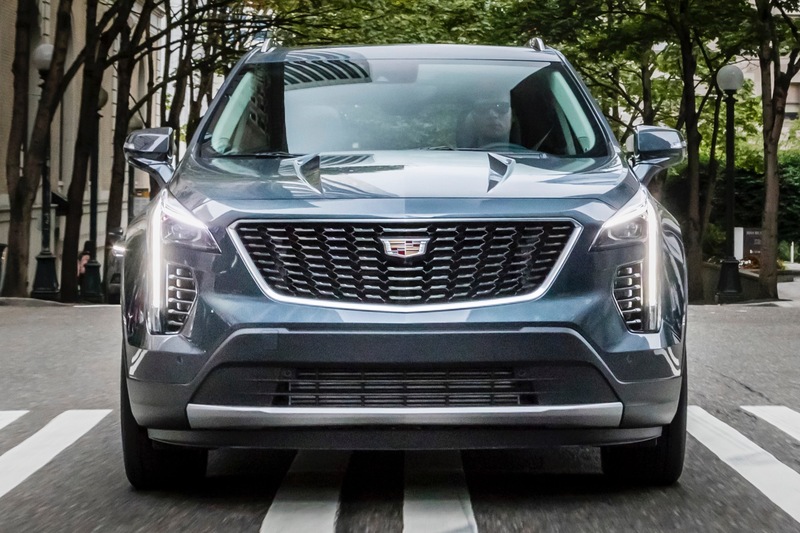 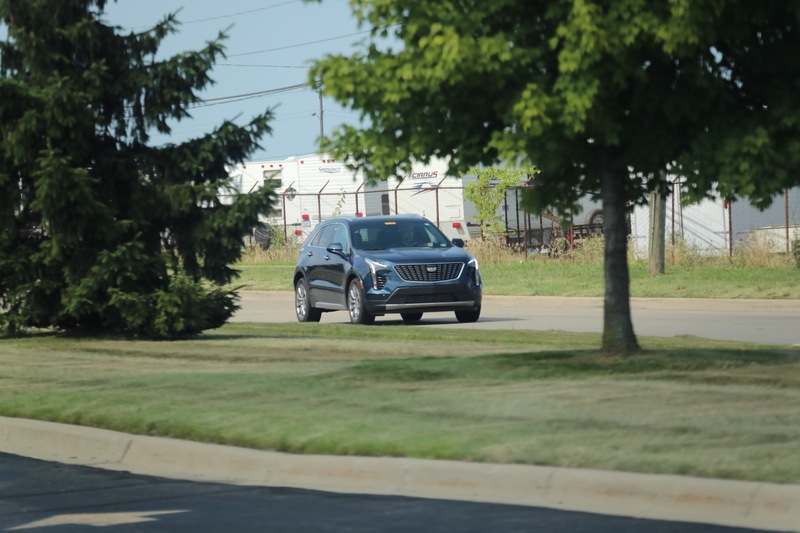 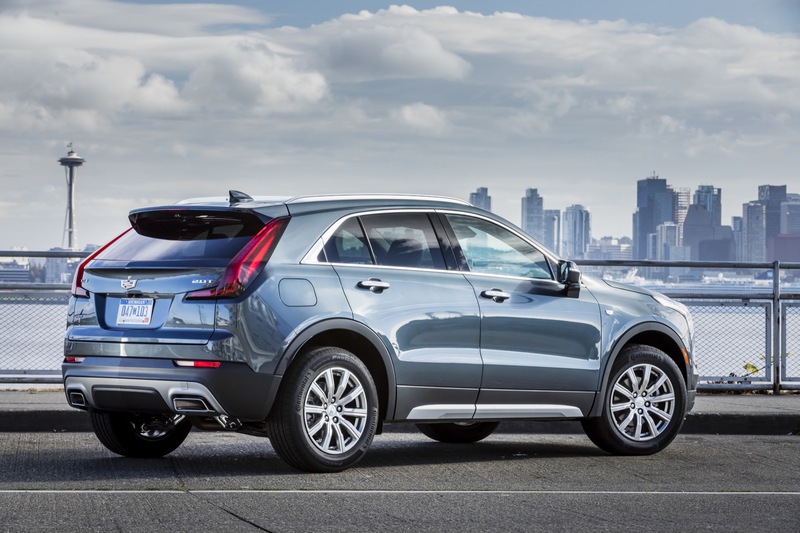 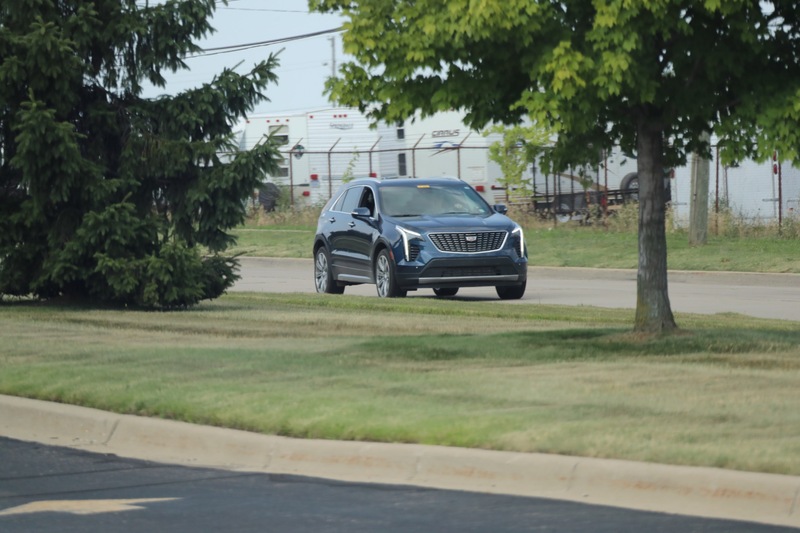 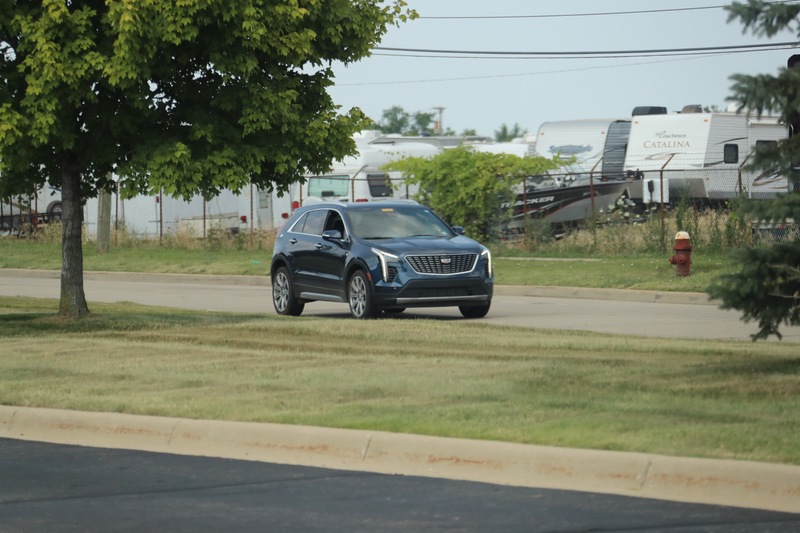 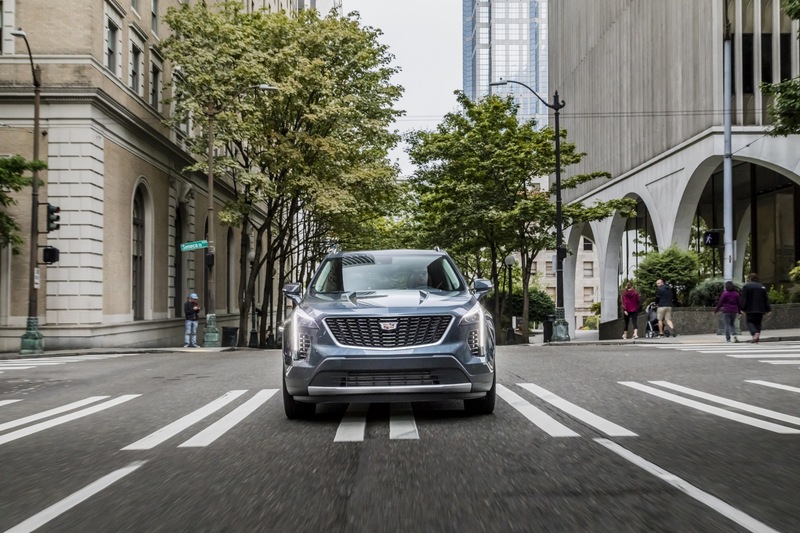 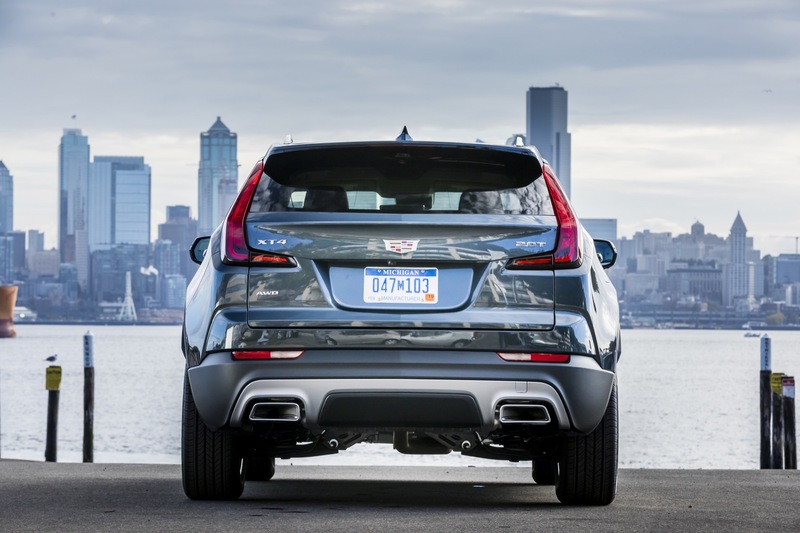 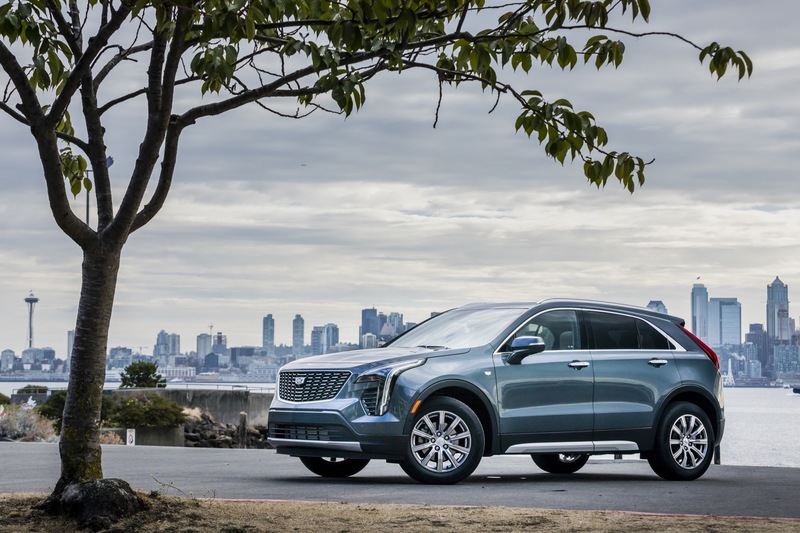 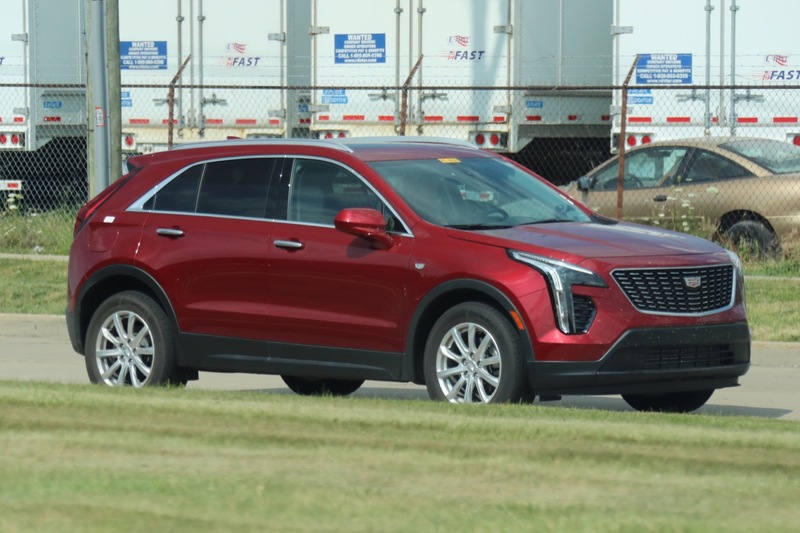 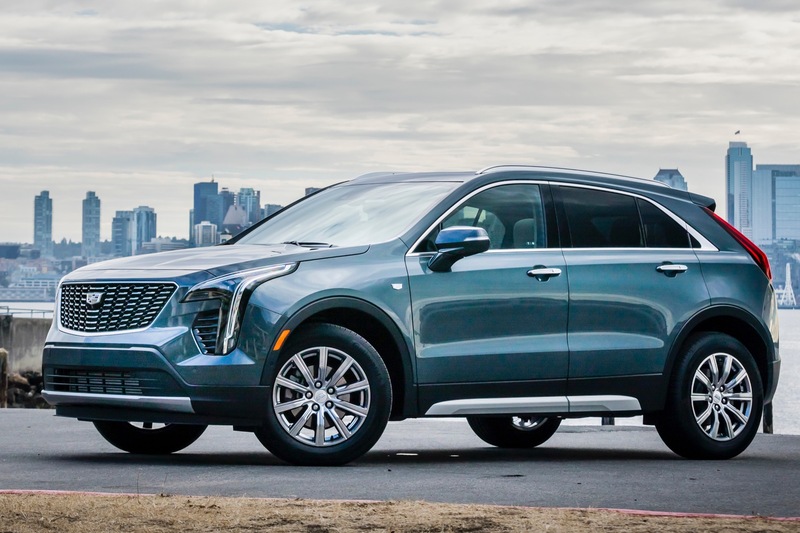 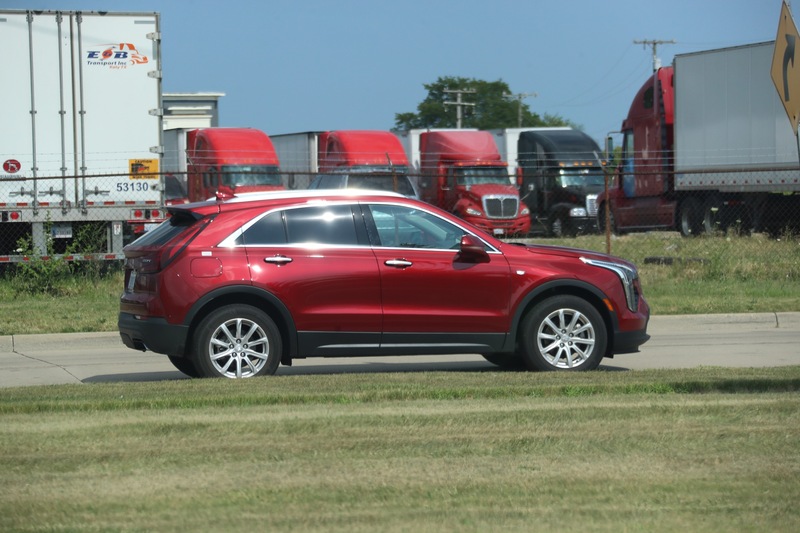 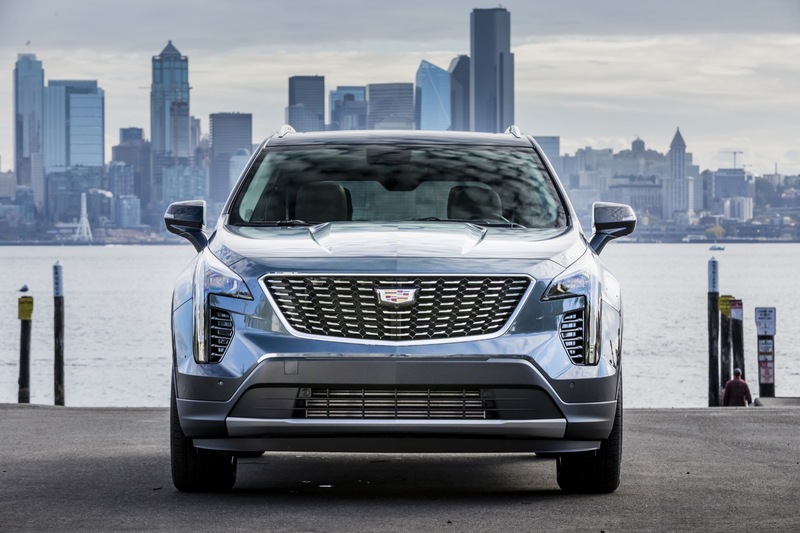 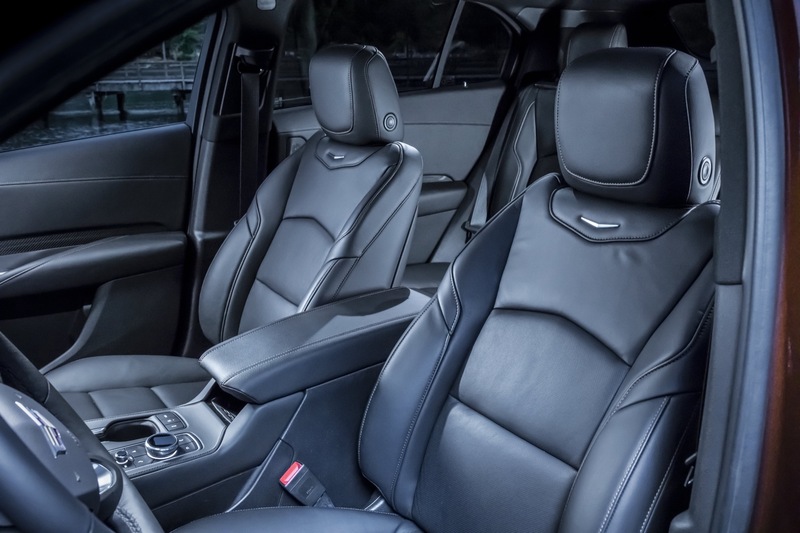 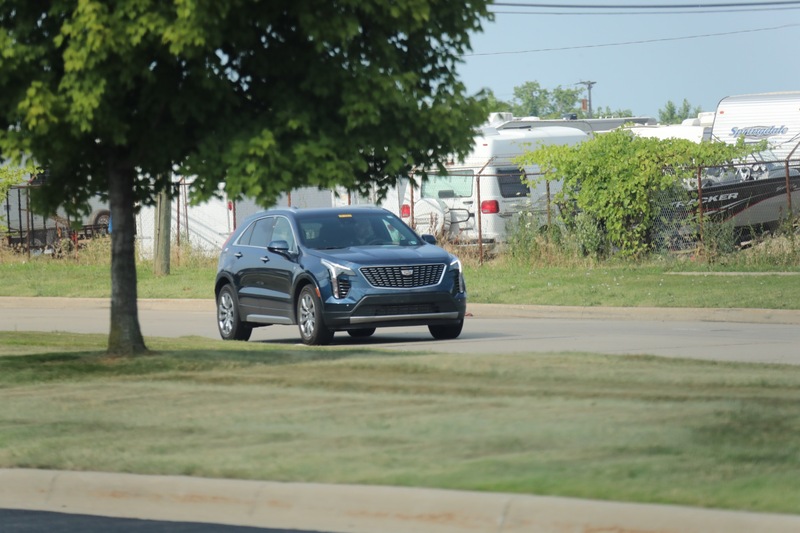 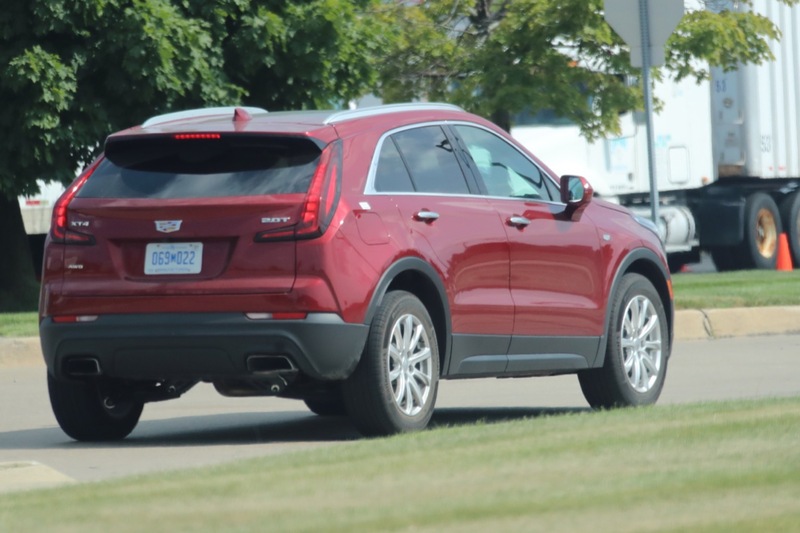 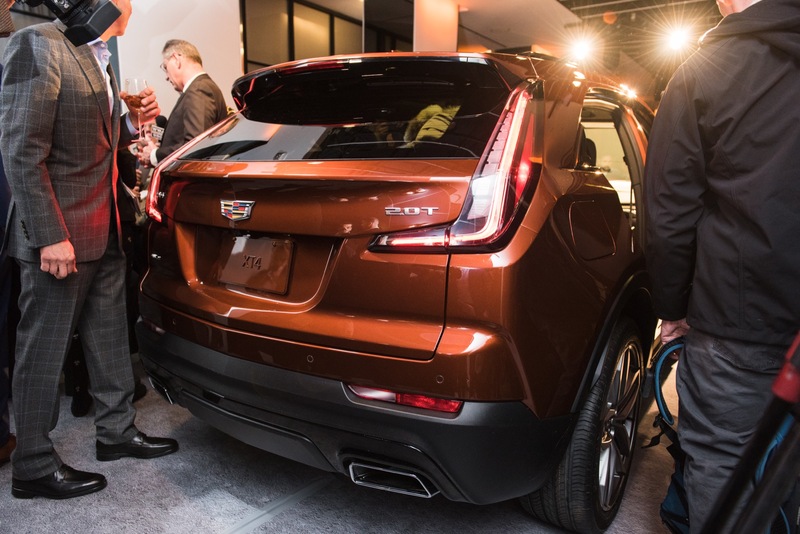 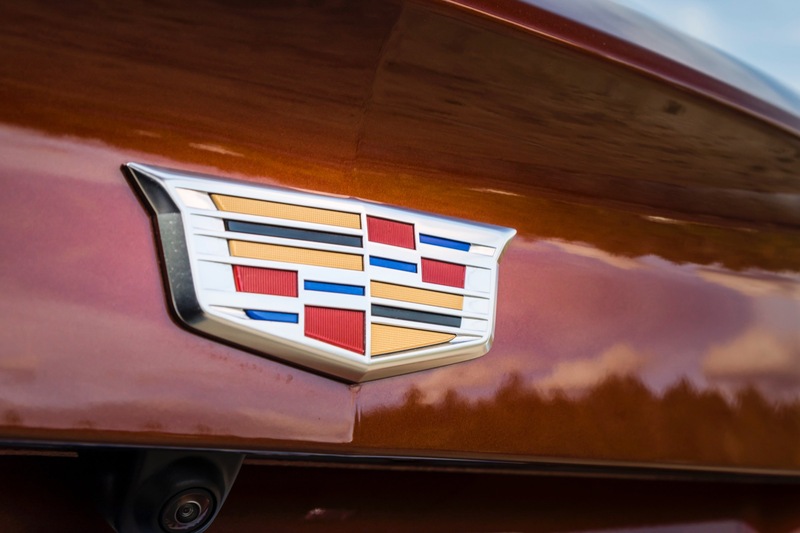 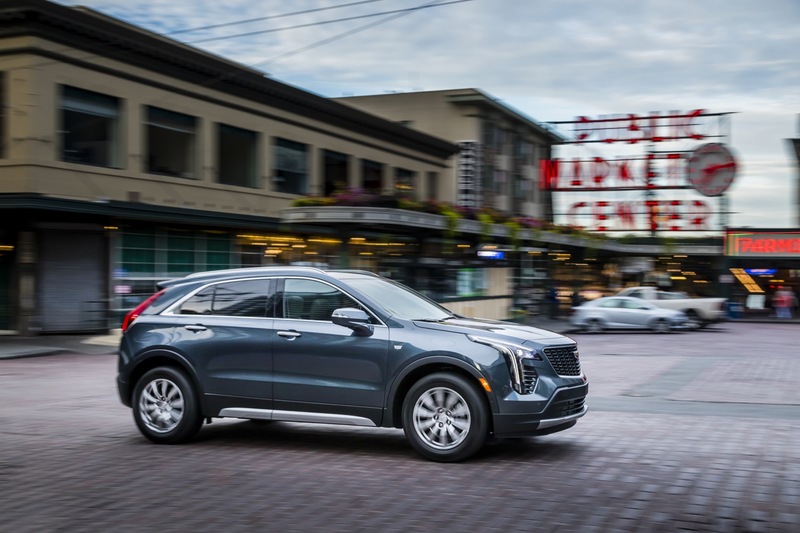 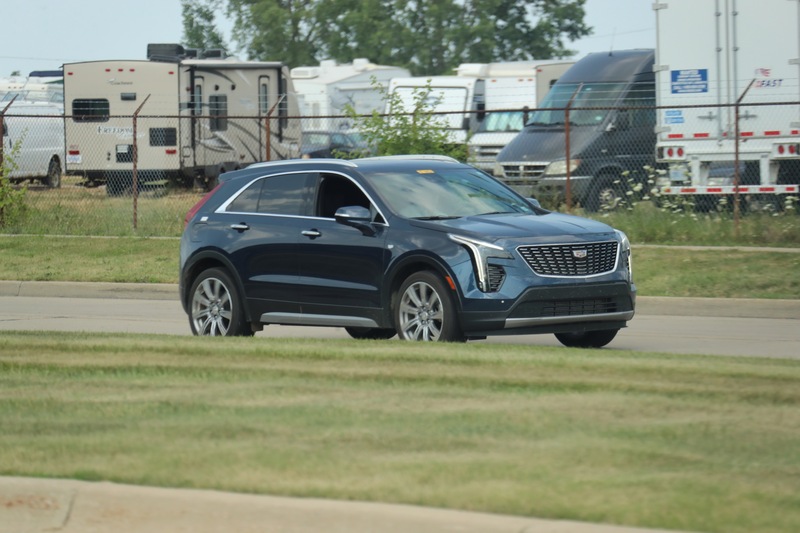 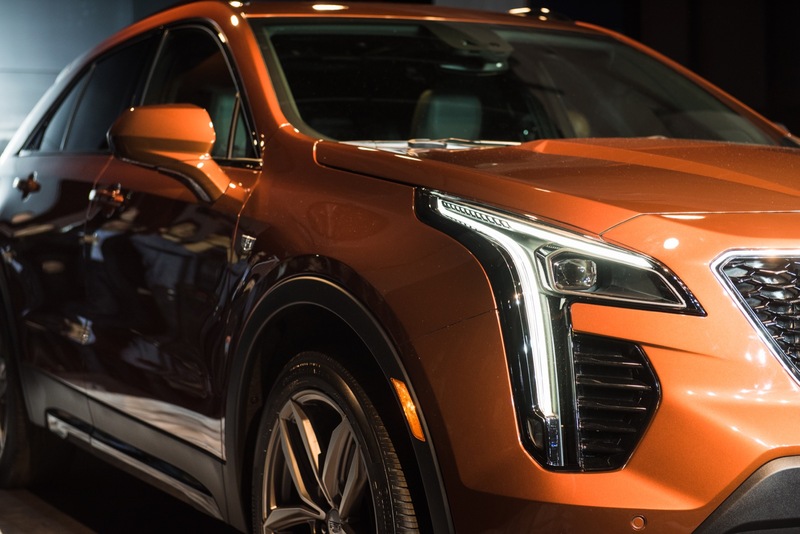 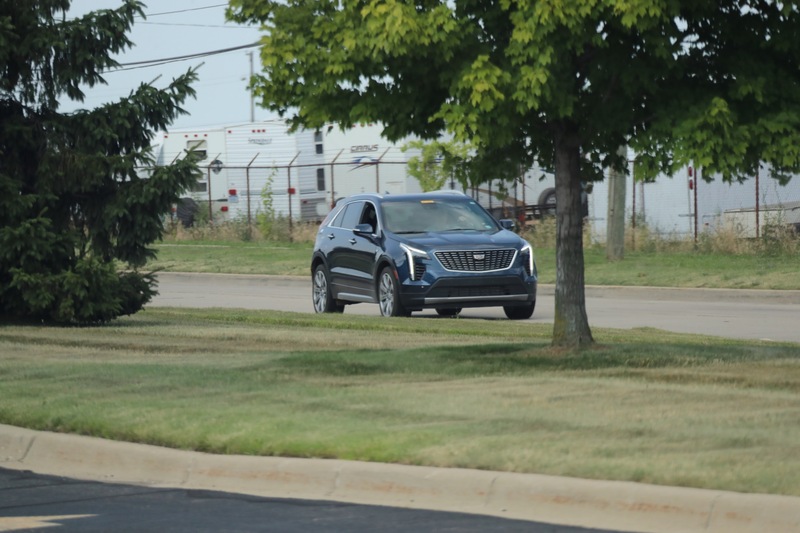 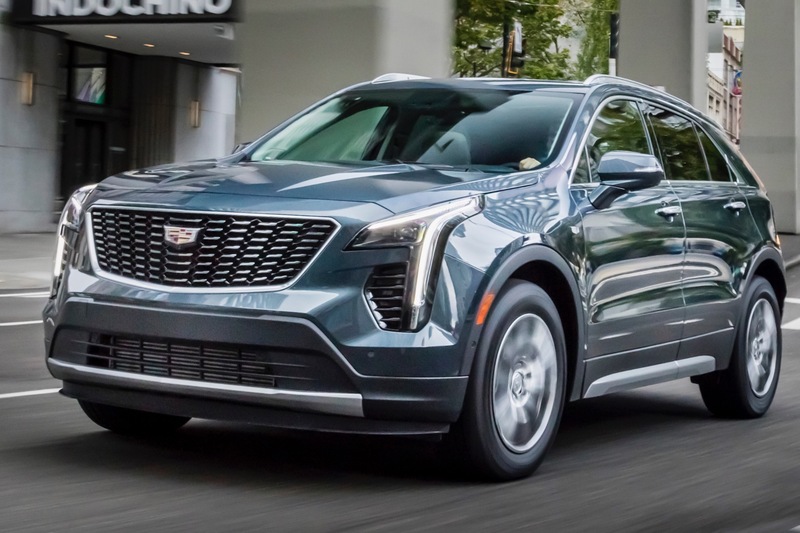 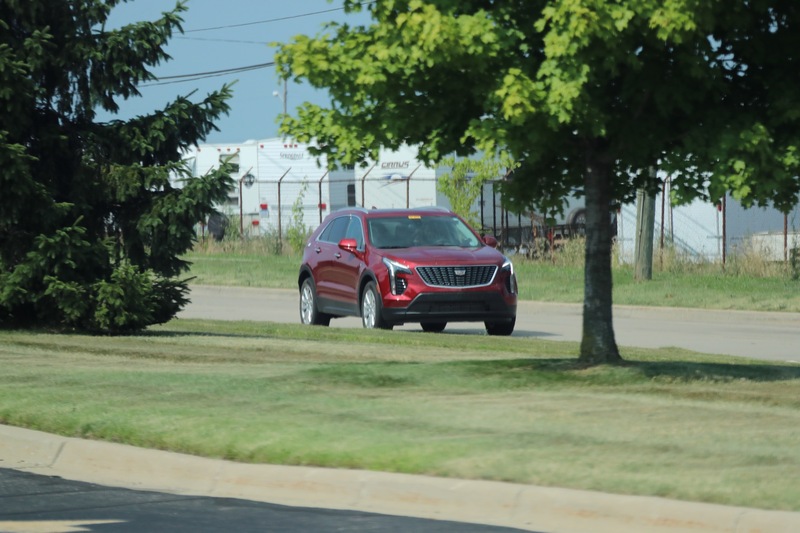 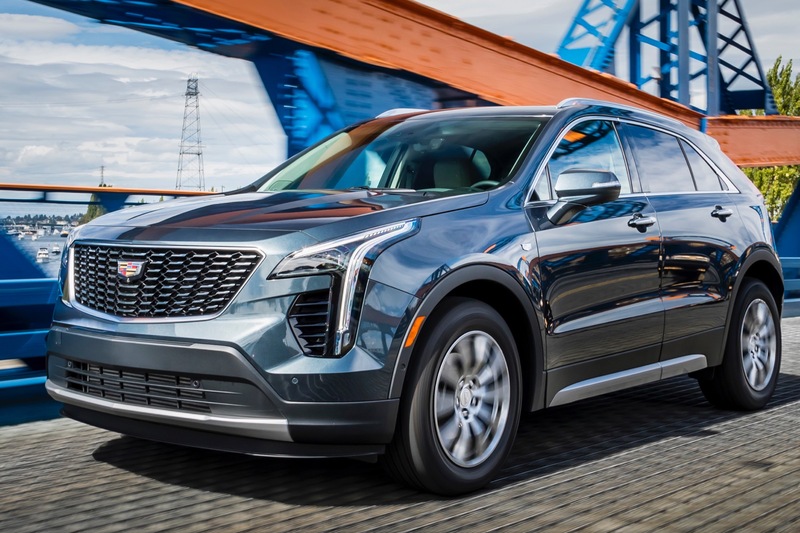 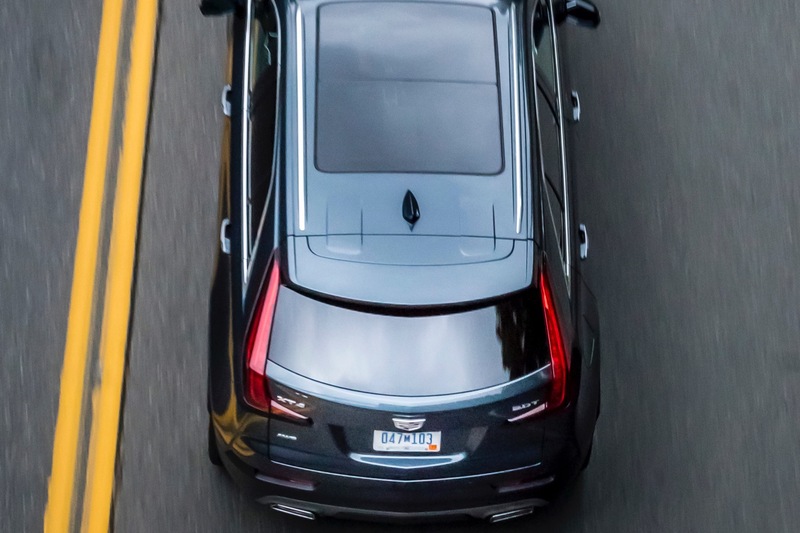 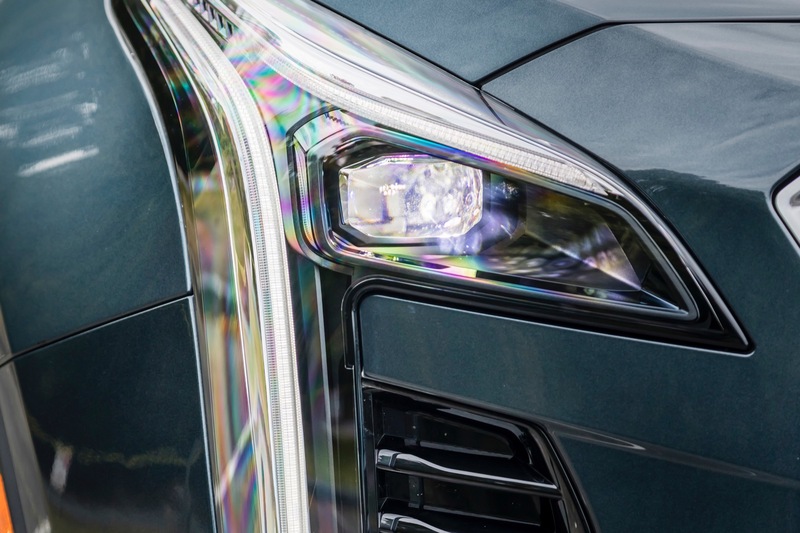 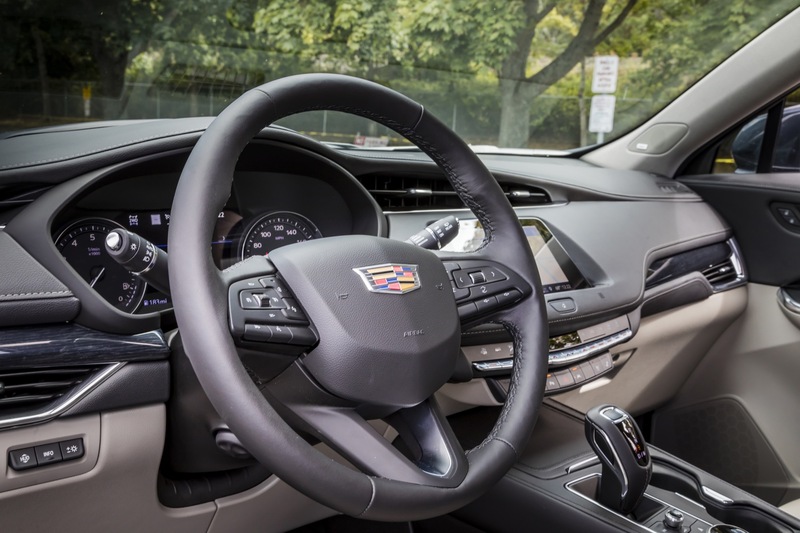 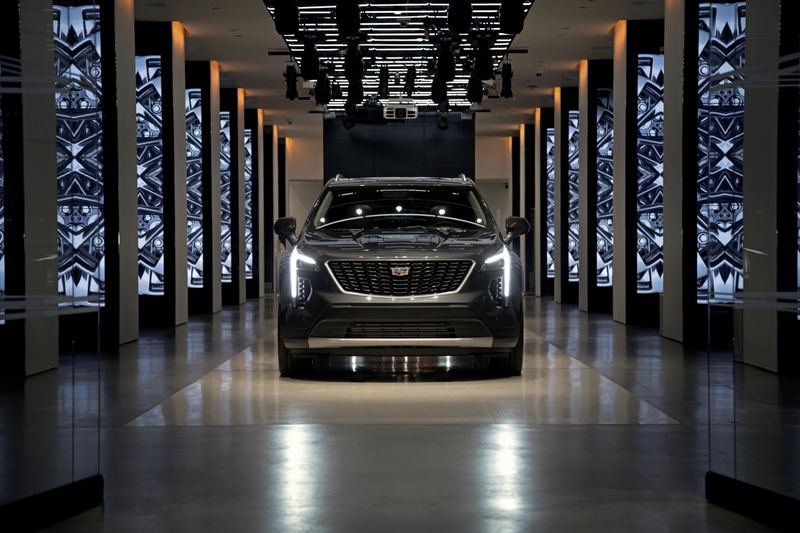 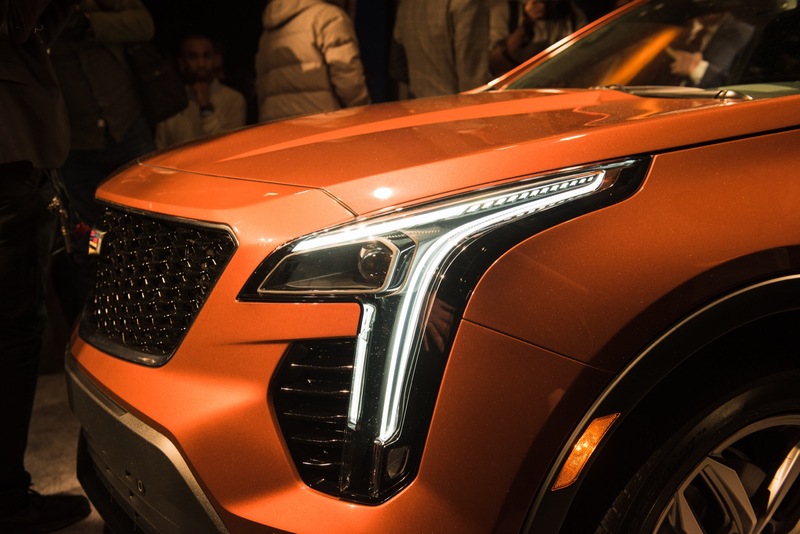 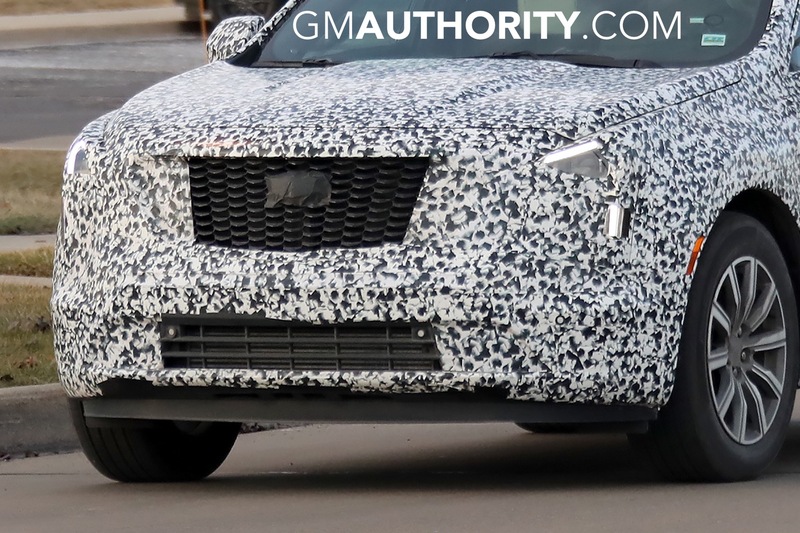 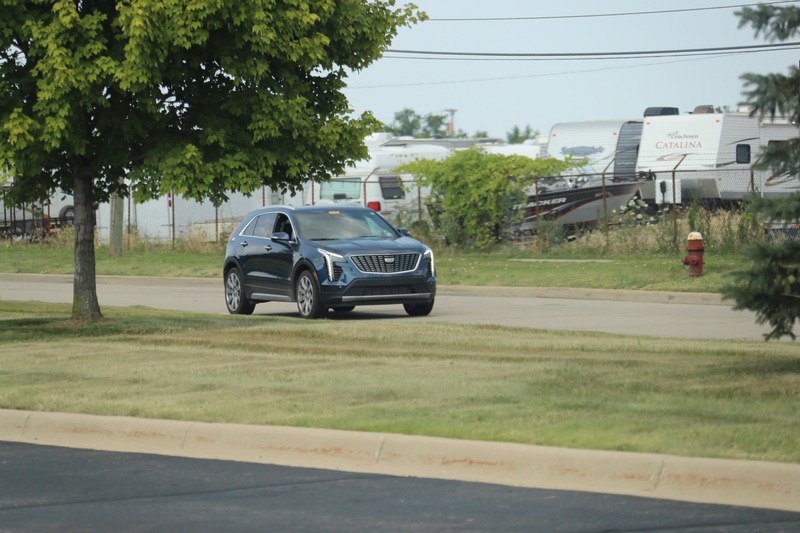 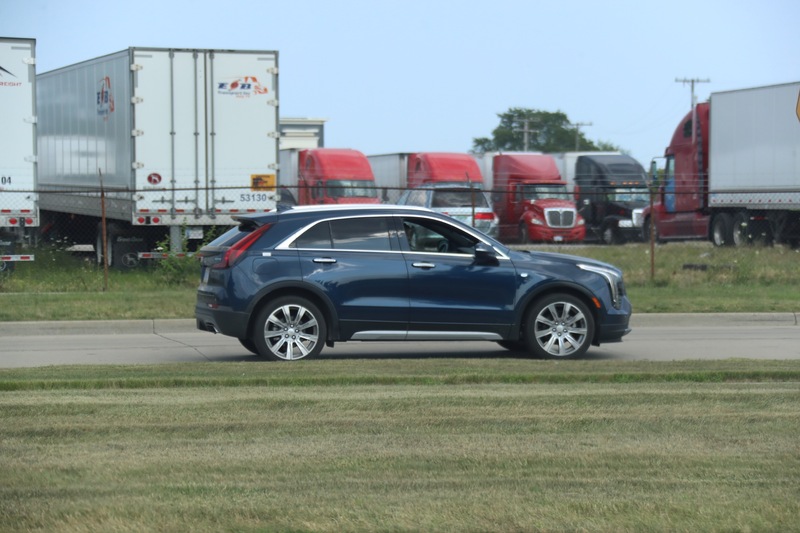 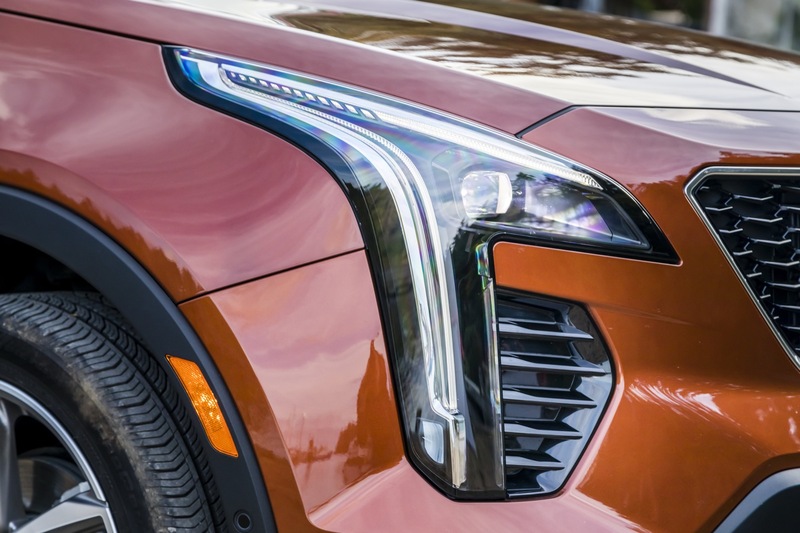 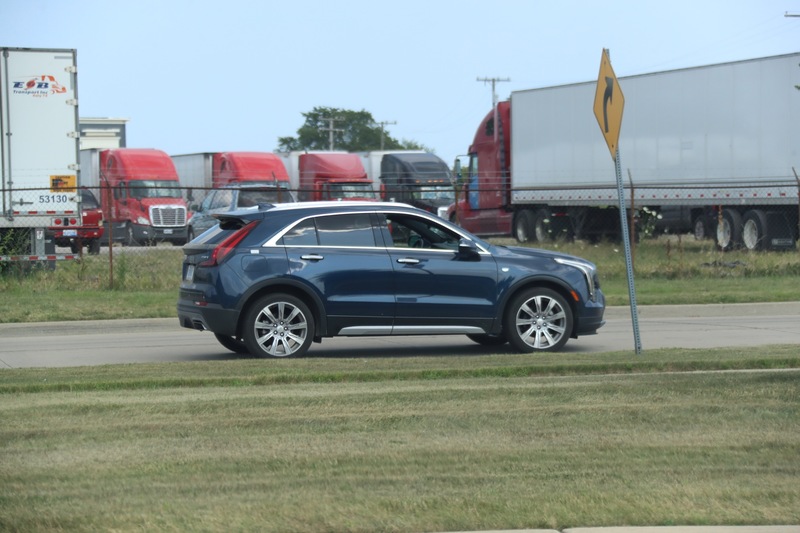 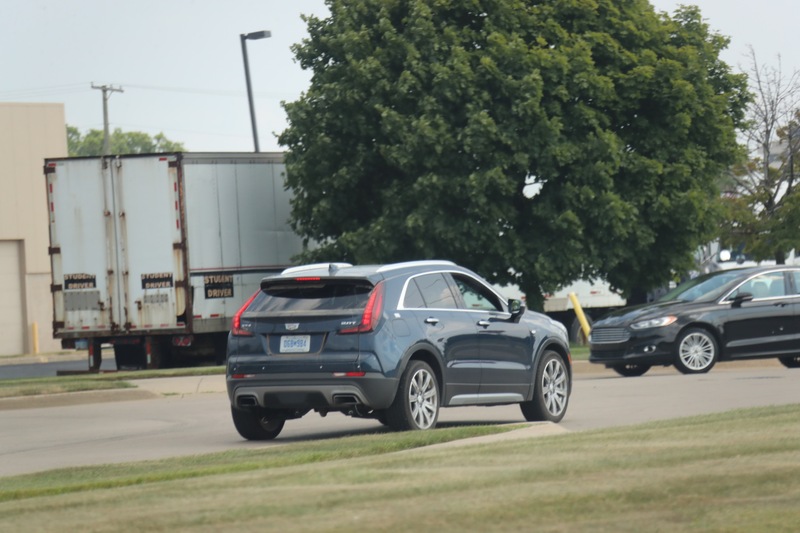 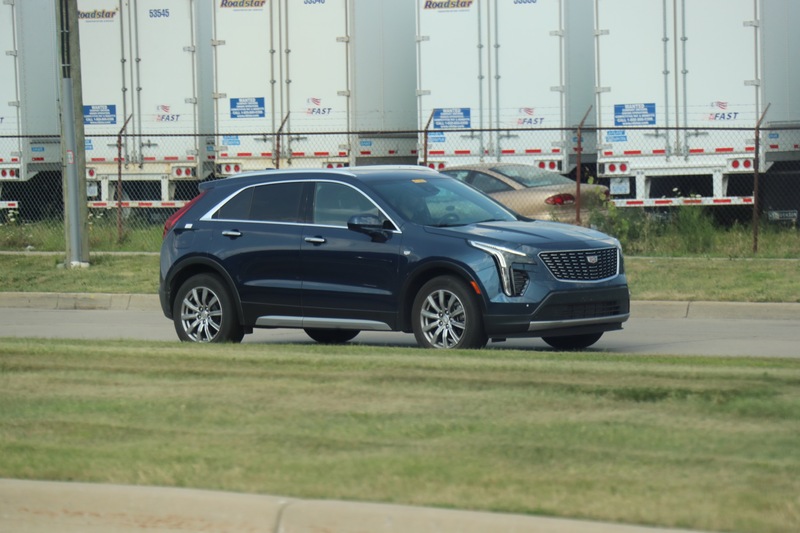 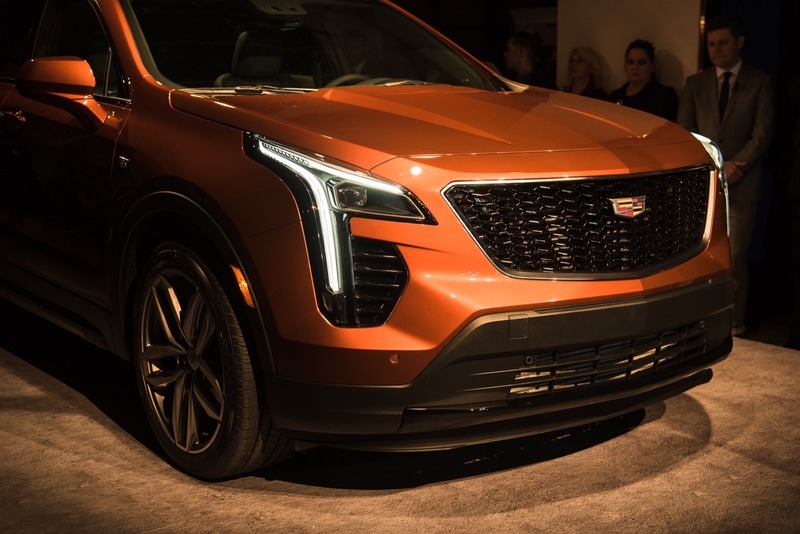 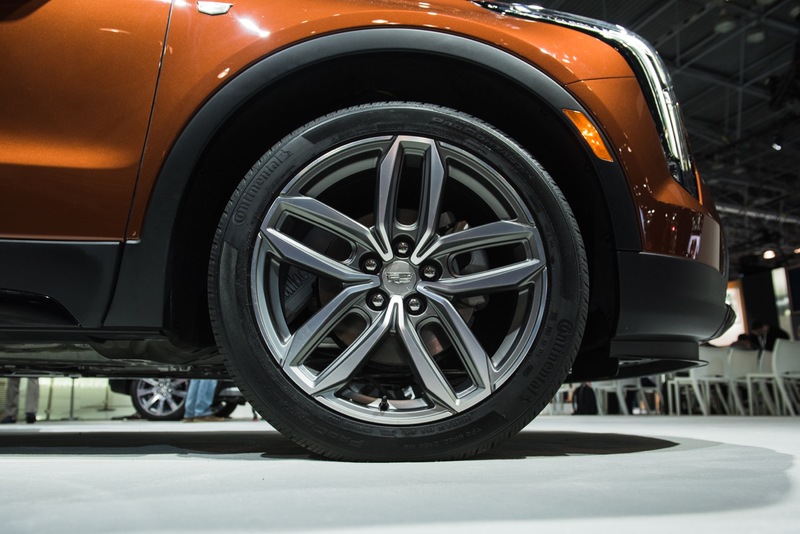 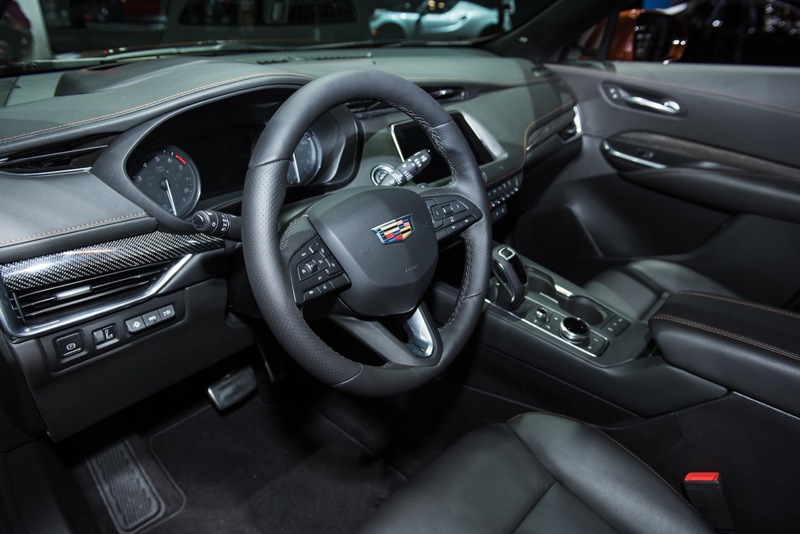 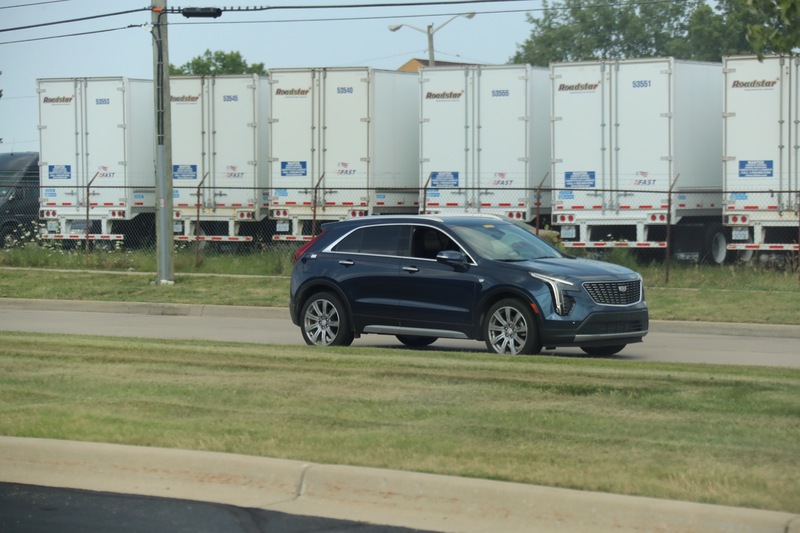 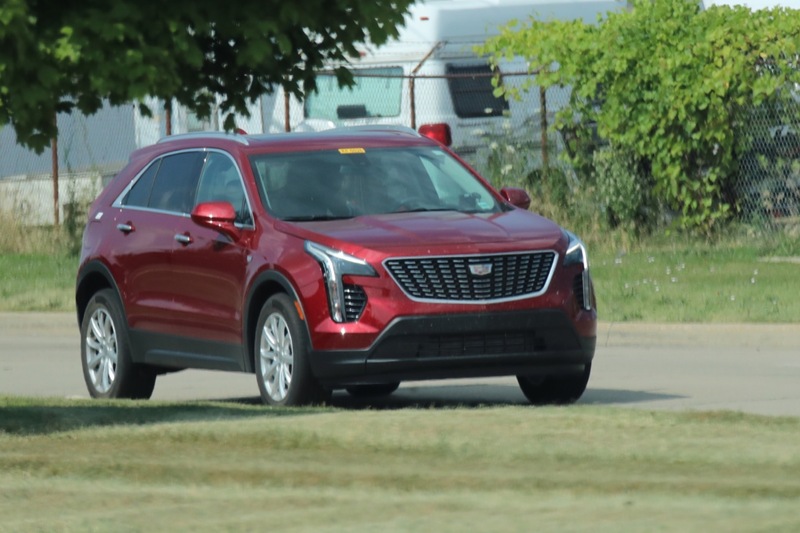 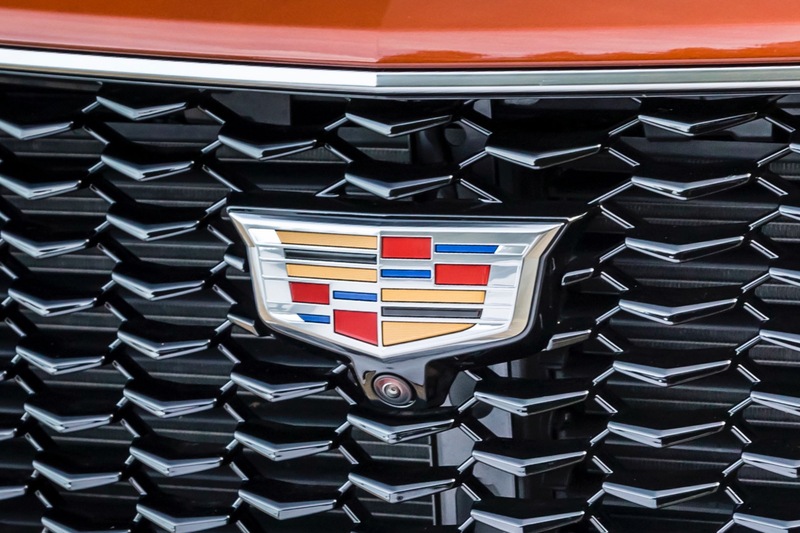 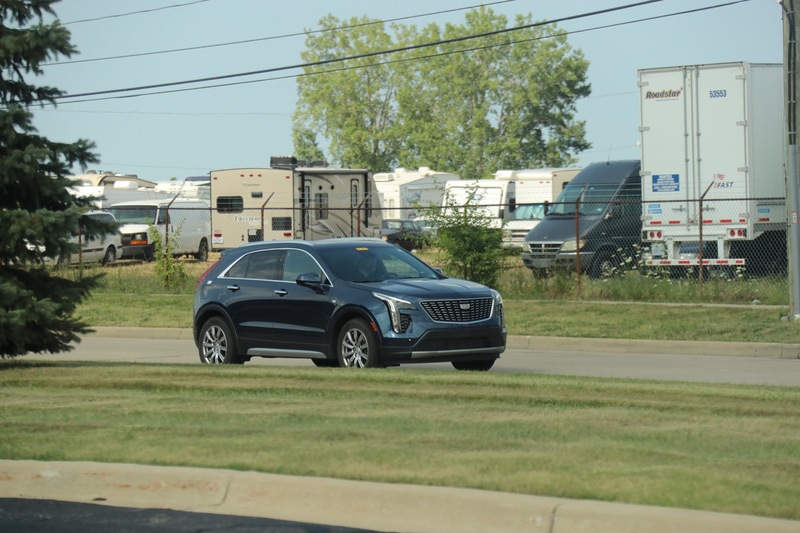 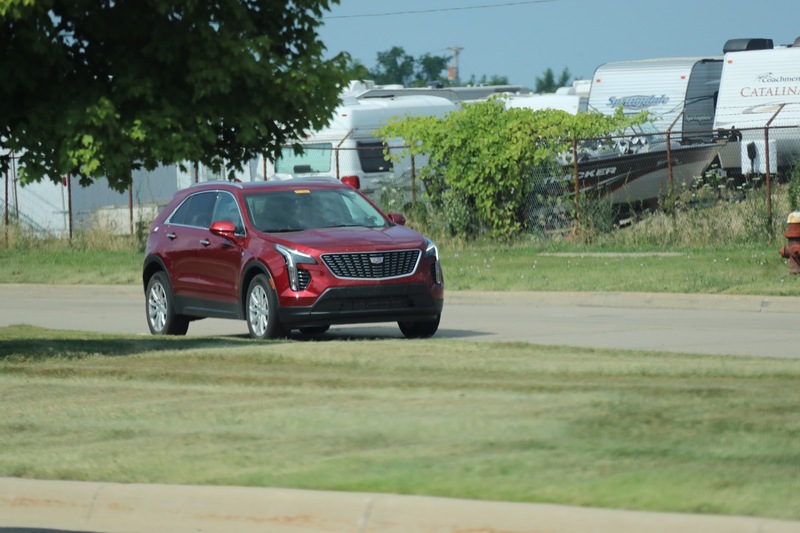 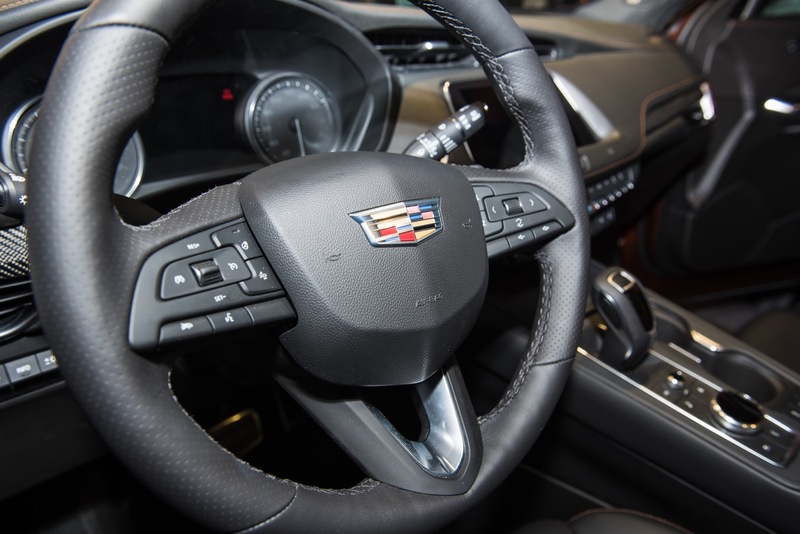 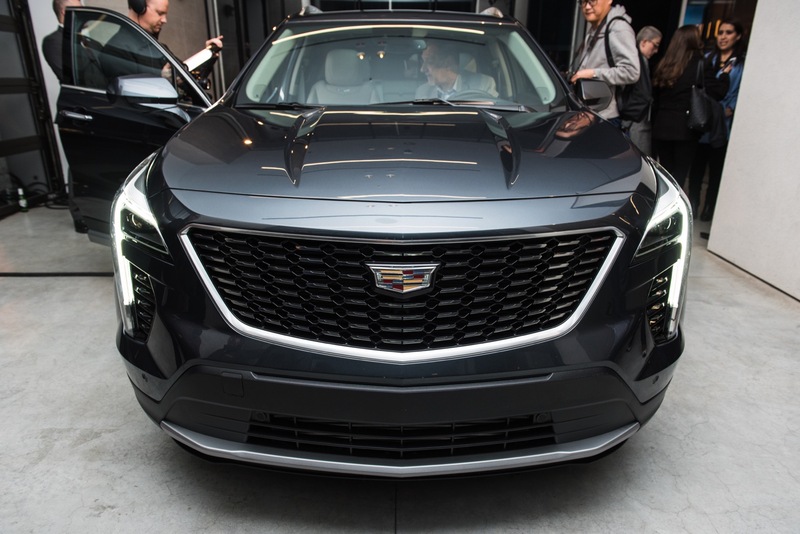 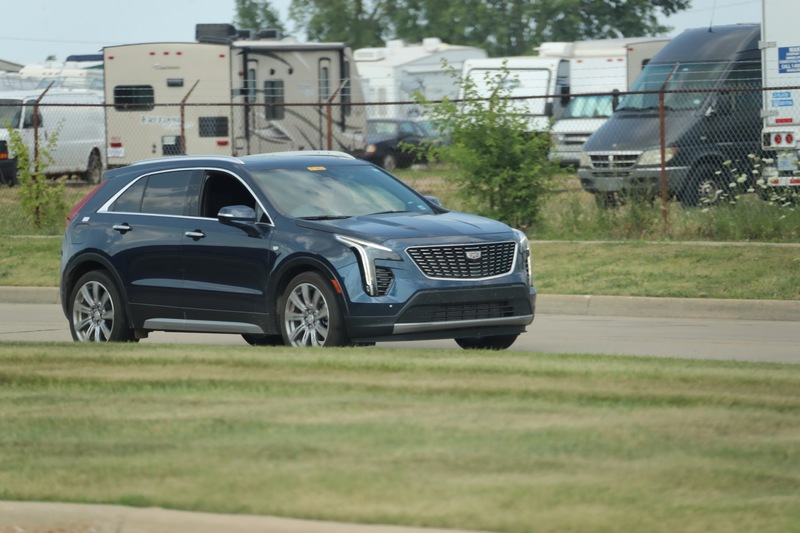 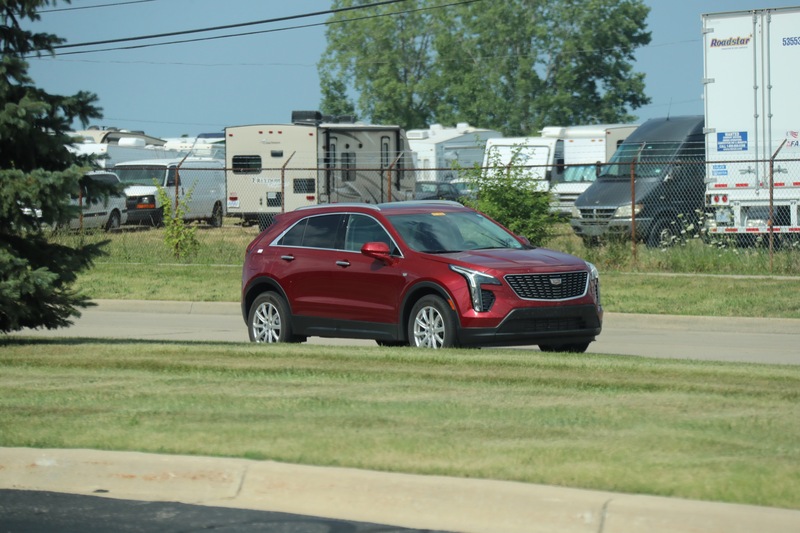 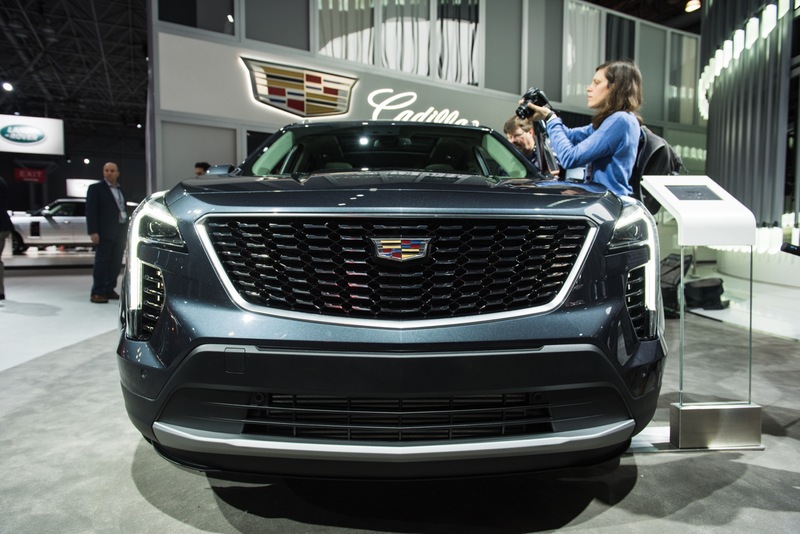 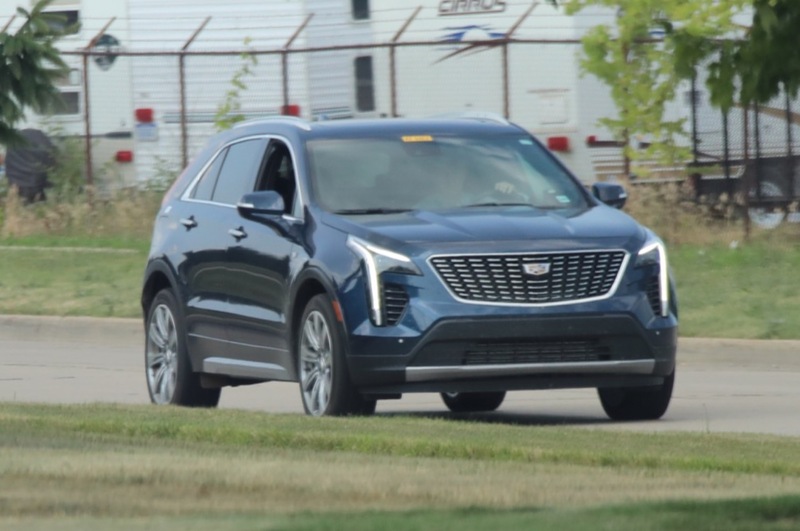 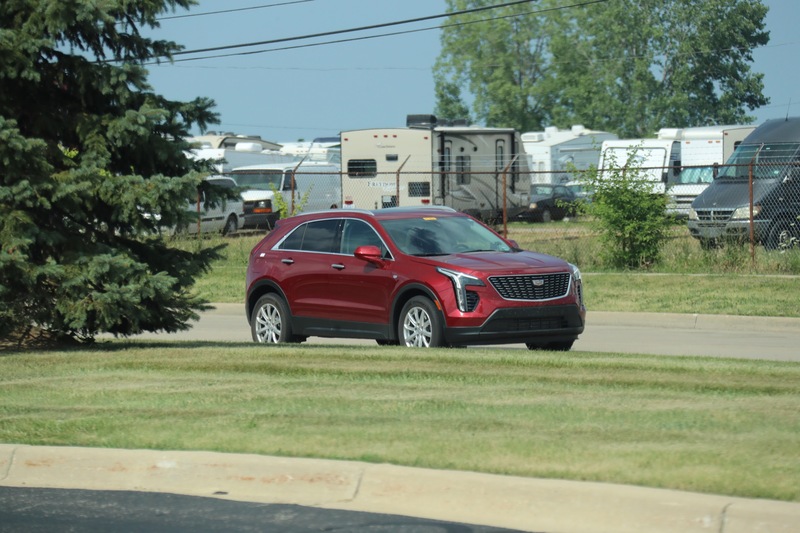 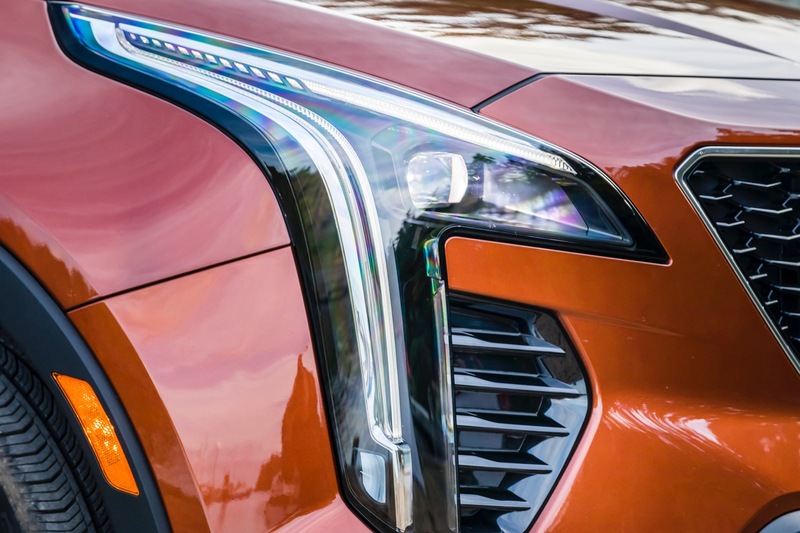 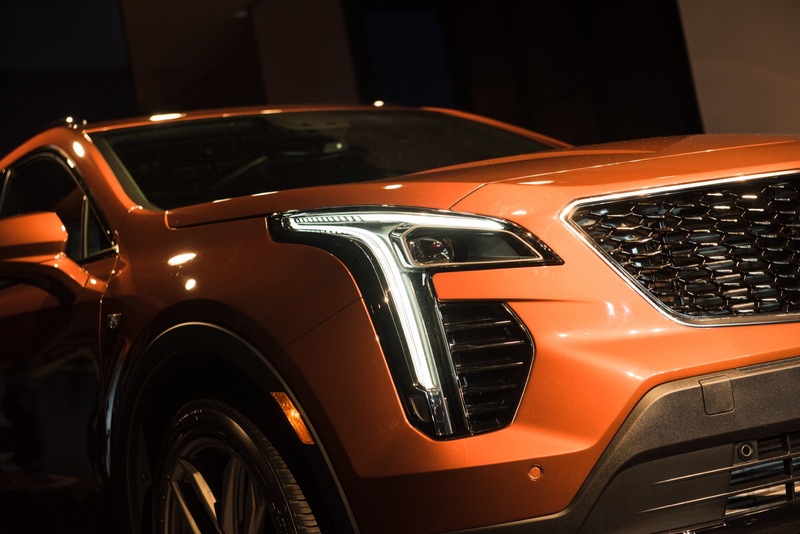 “Cadillac is gaining momentum in Mexico and the arrival of XT4 will allow us to get closer to new customers who want their vehicle to become an accomplice for the day to day. 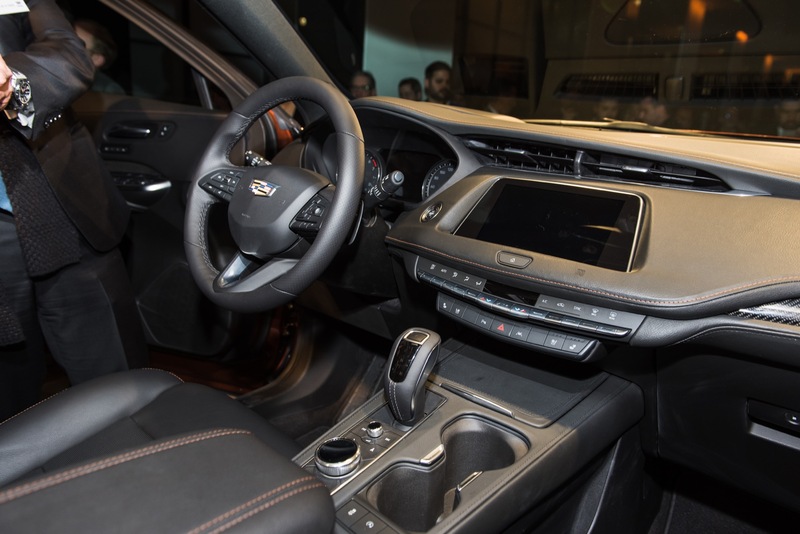 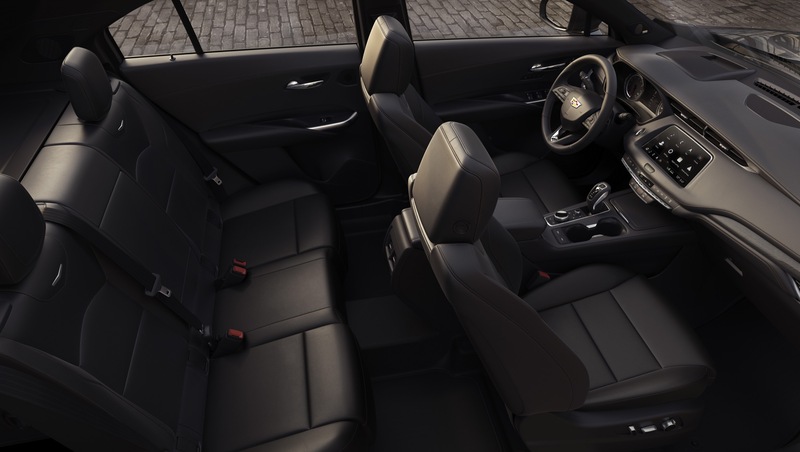 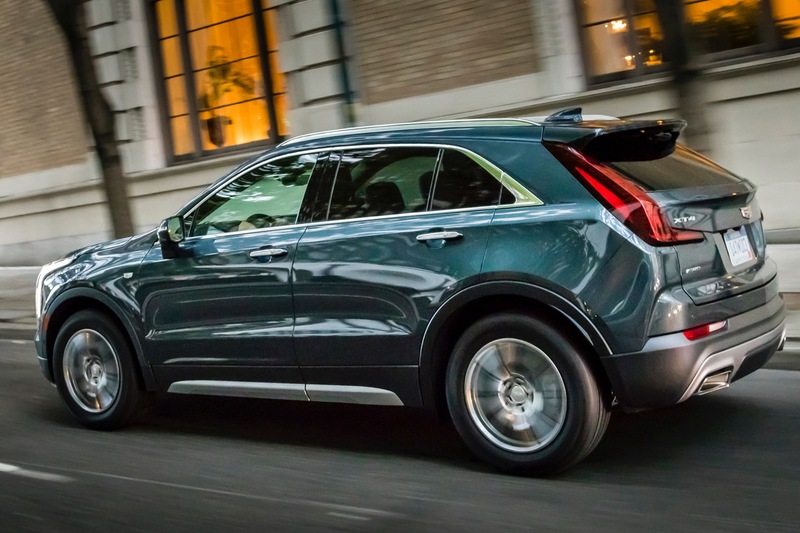 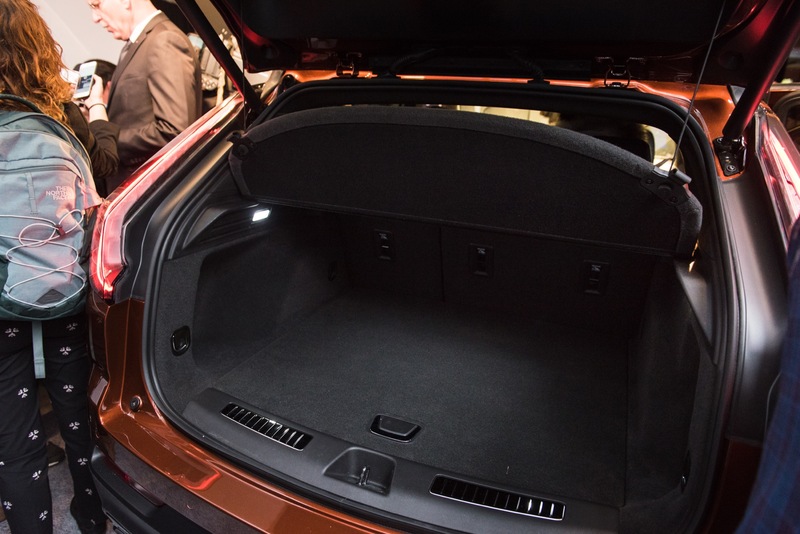 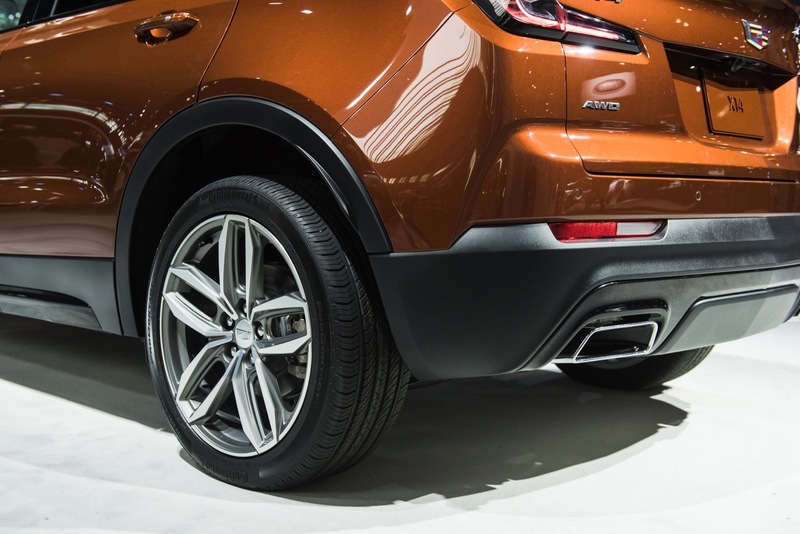 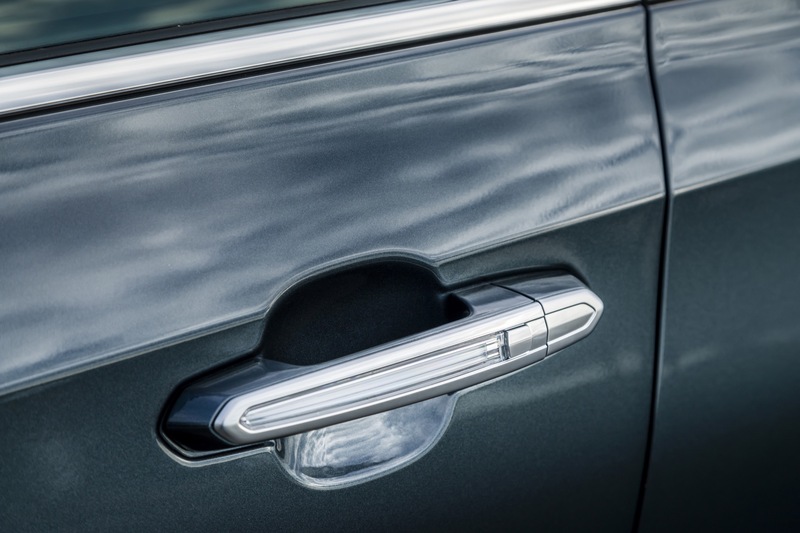 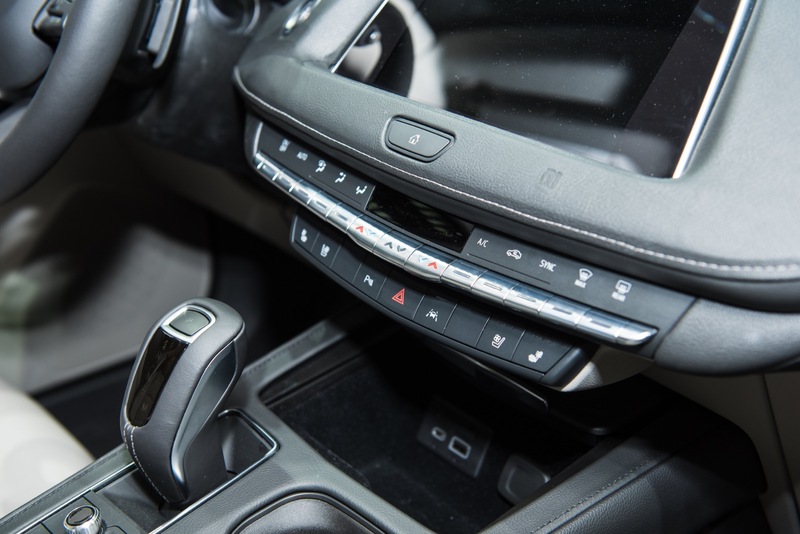 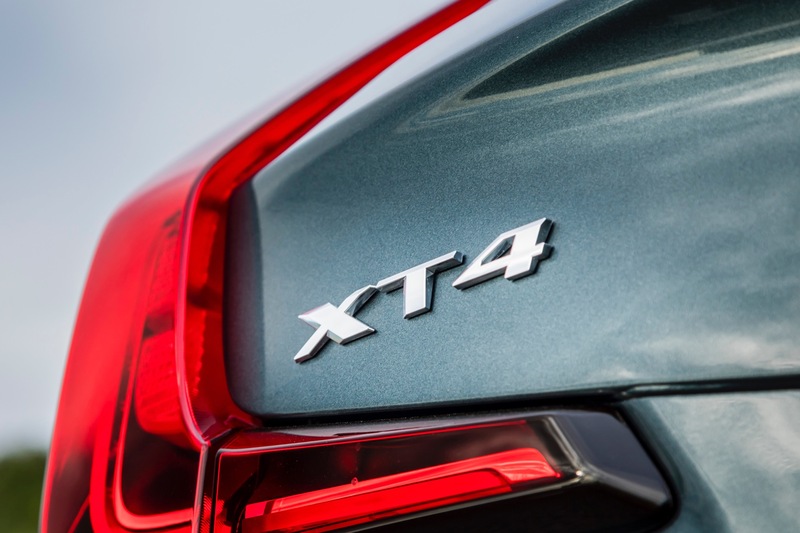 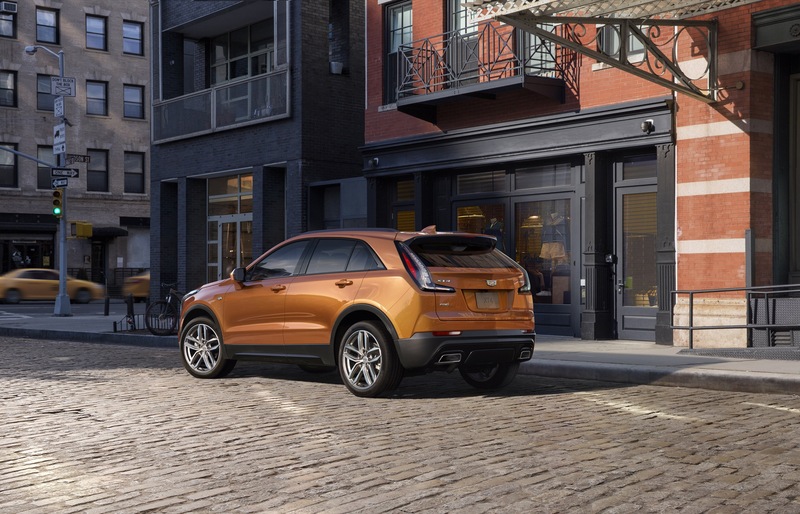 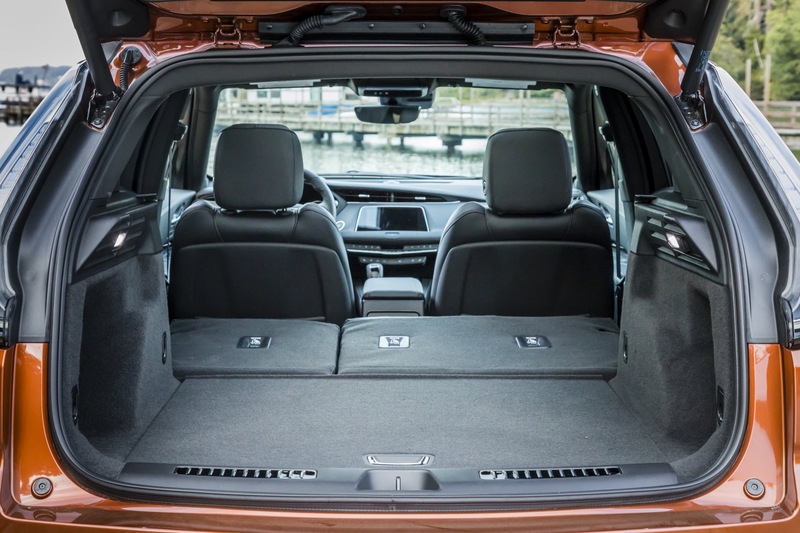 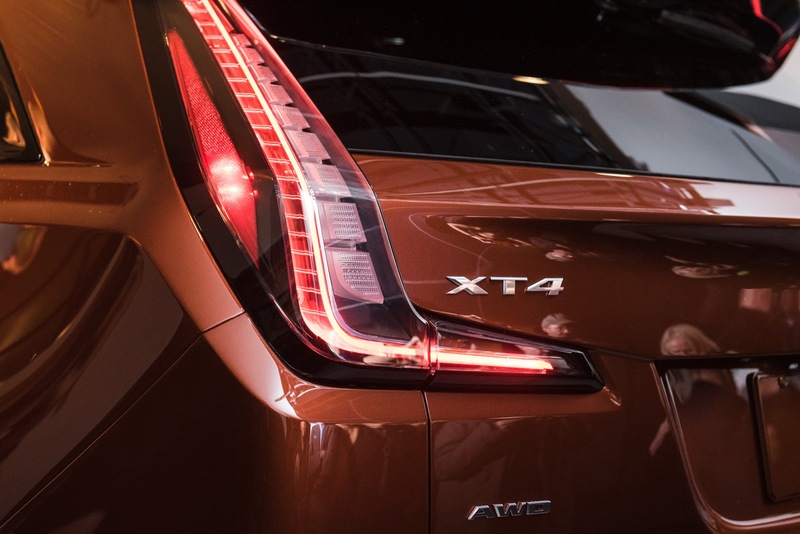 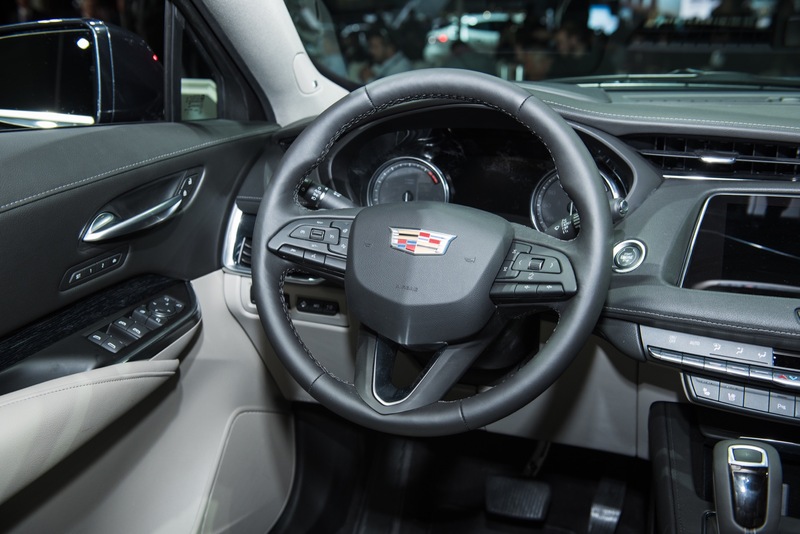 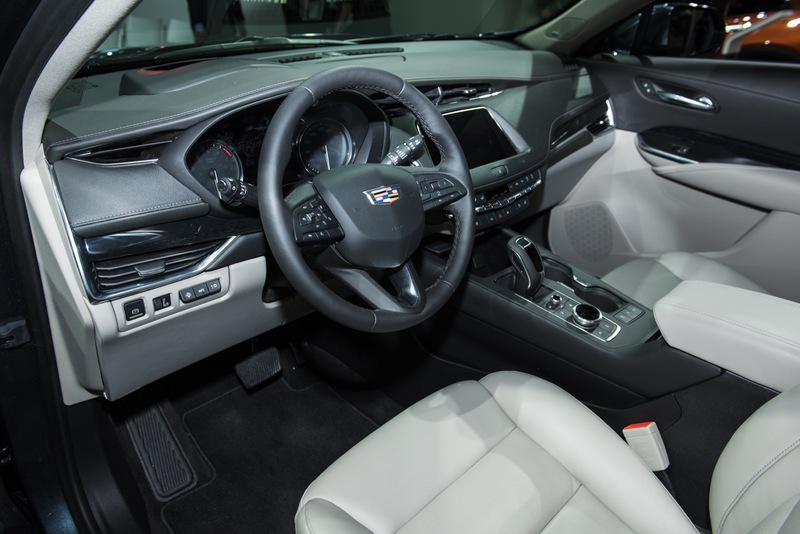 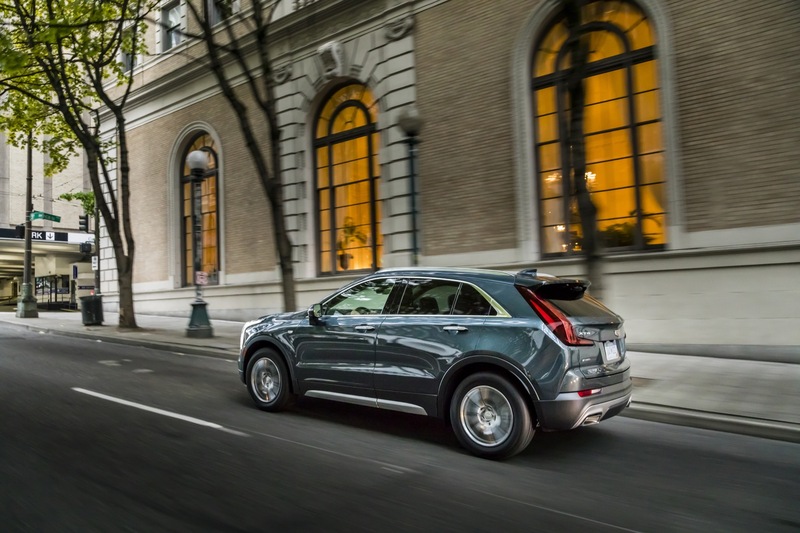 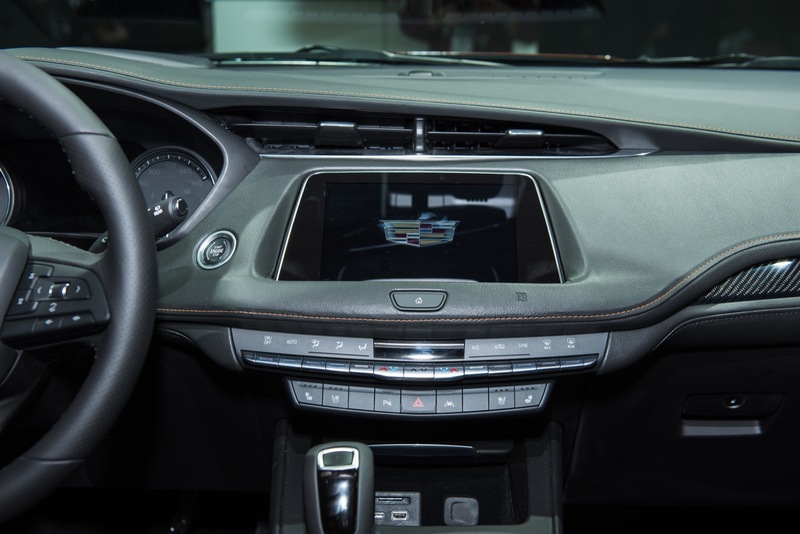 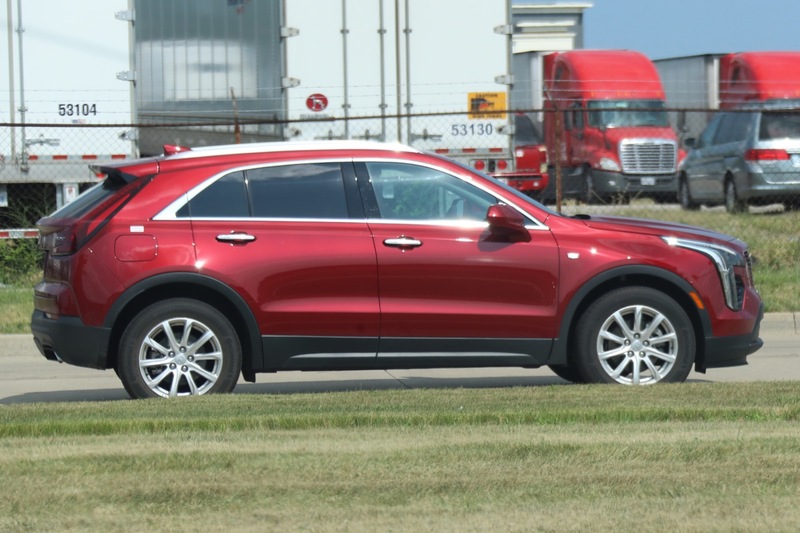 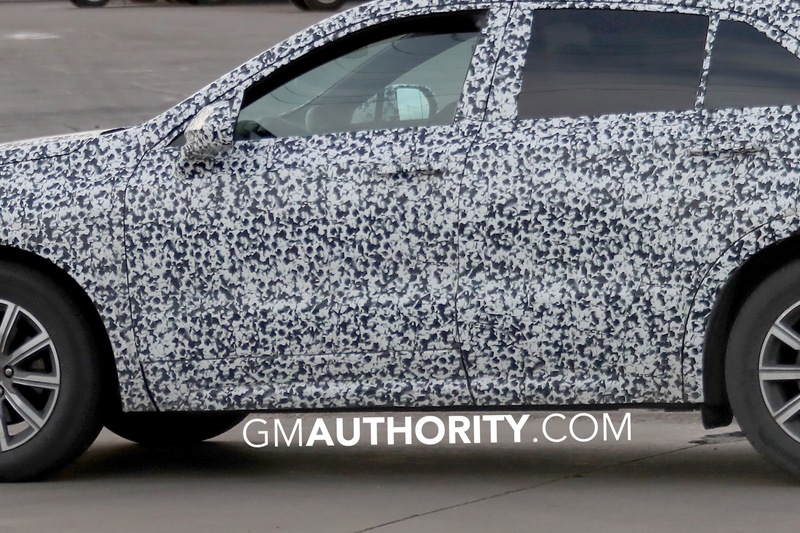 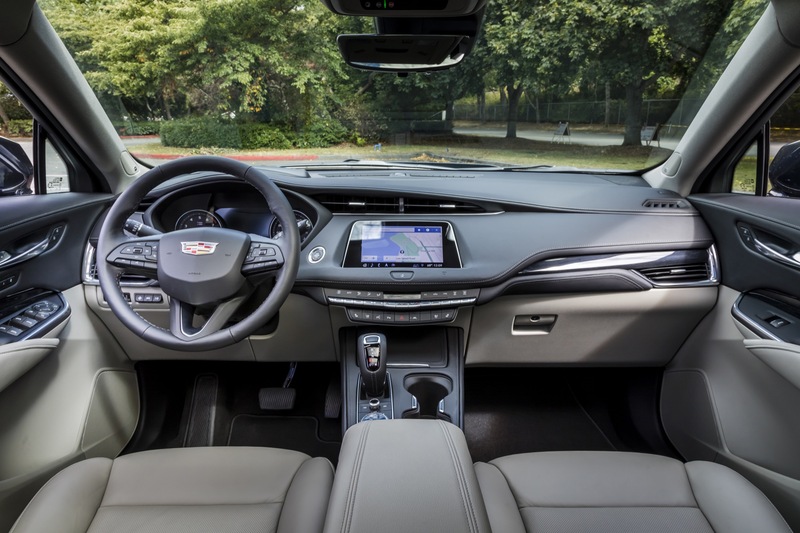 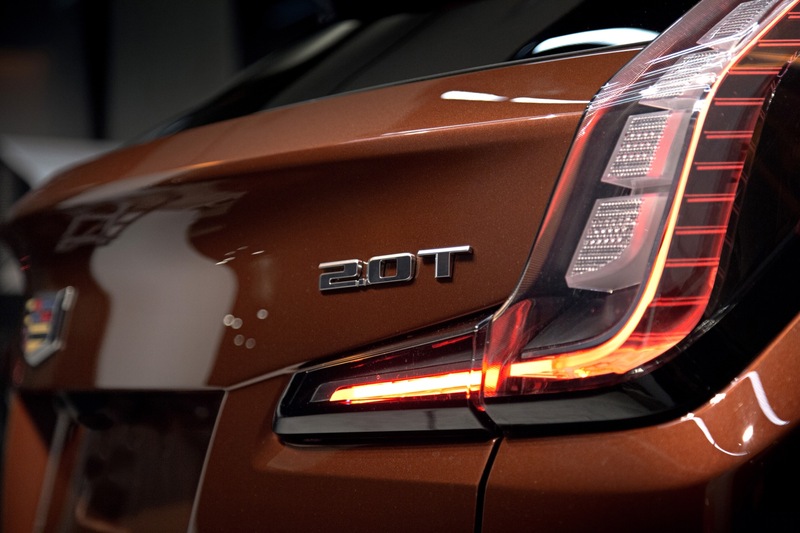 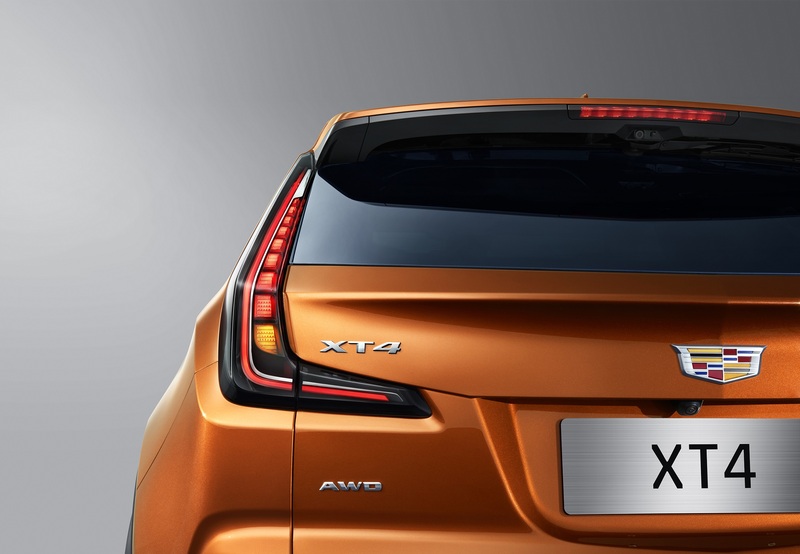 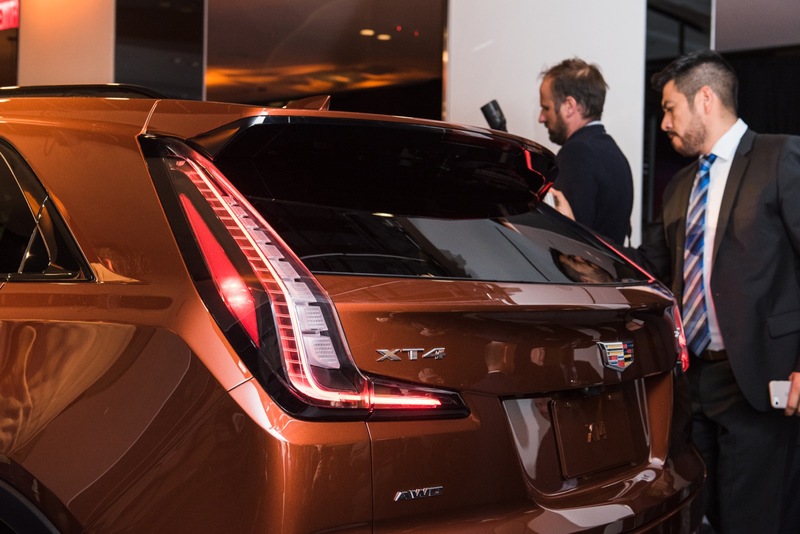 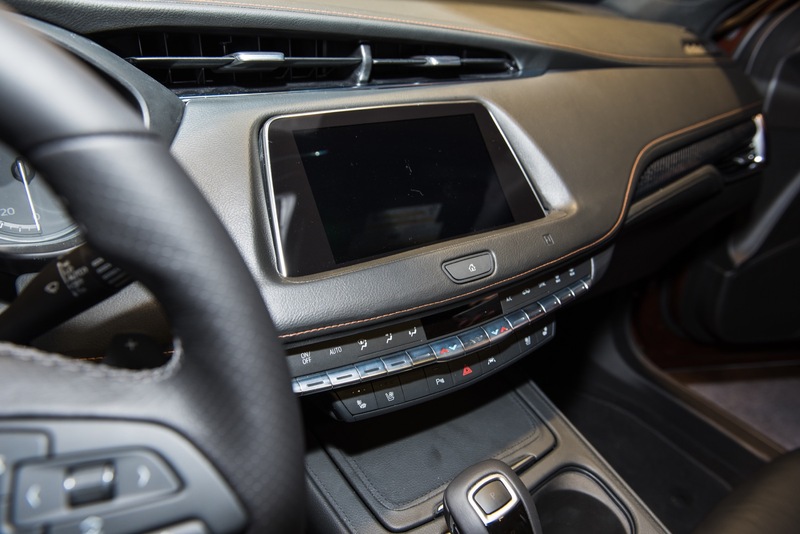 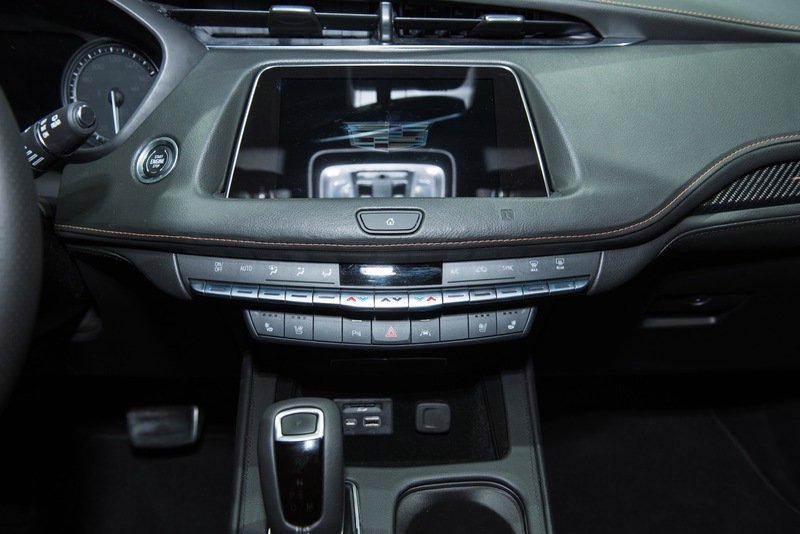 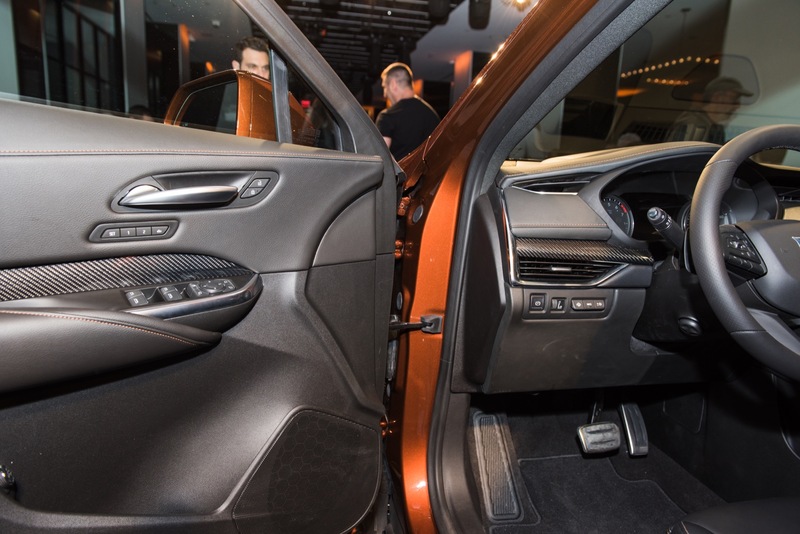 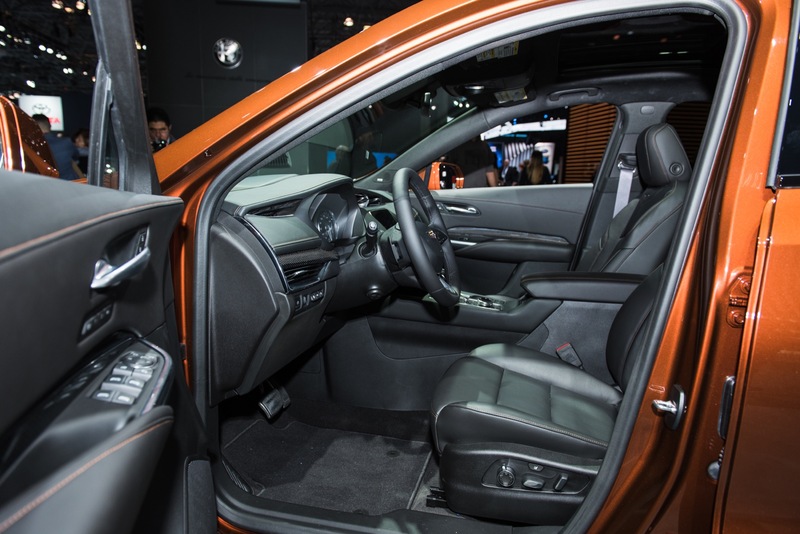 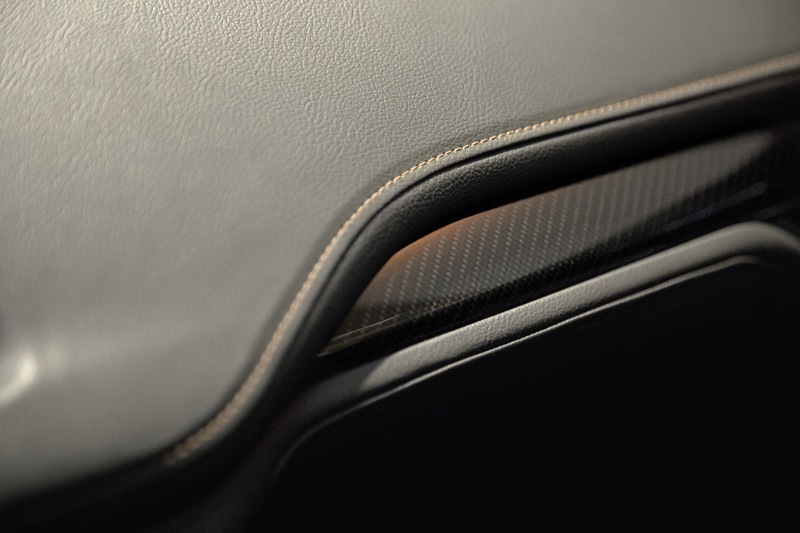 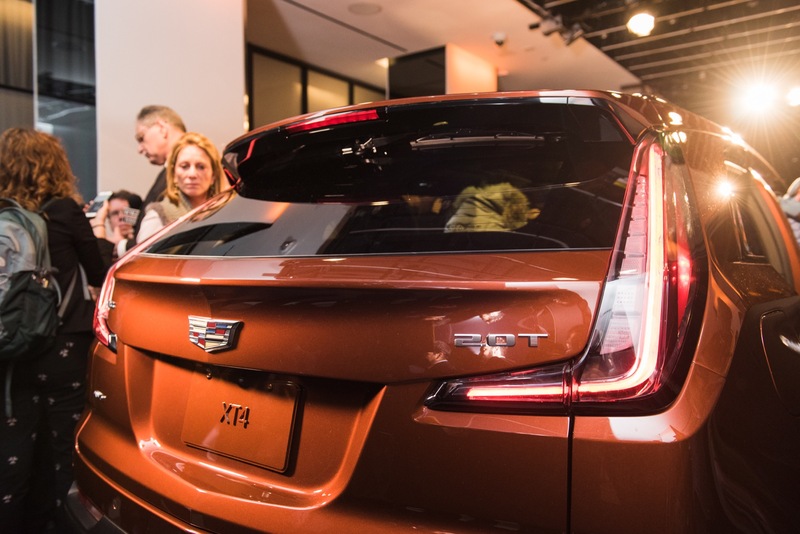 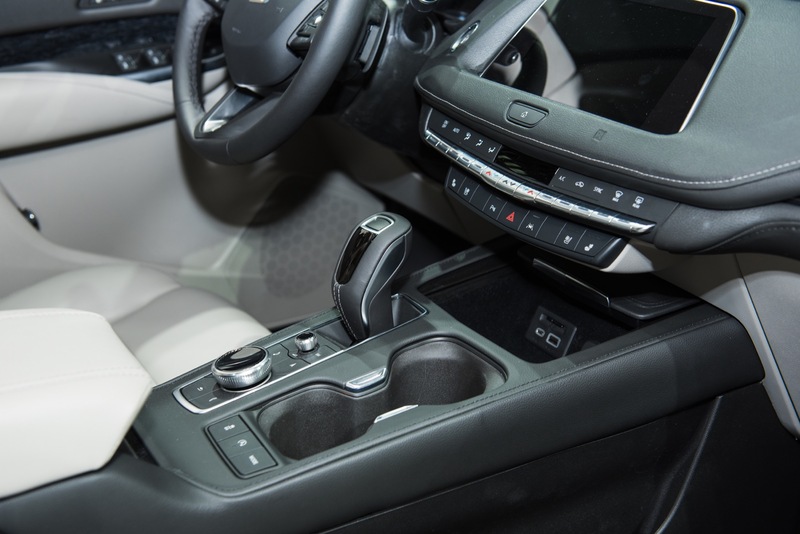 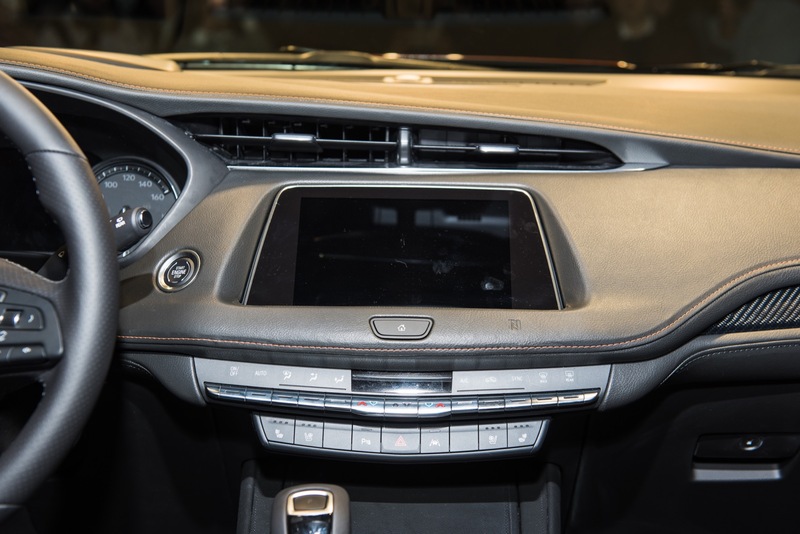 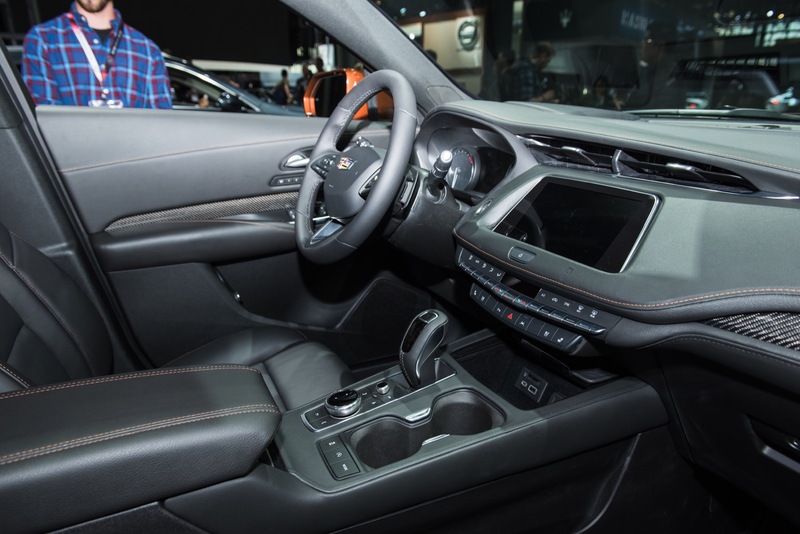 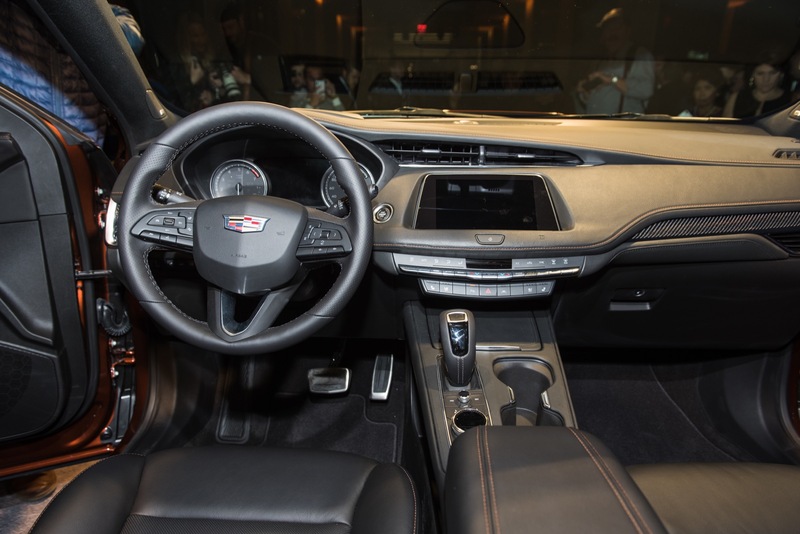 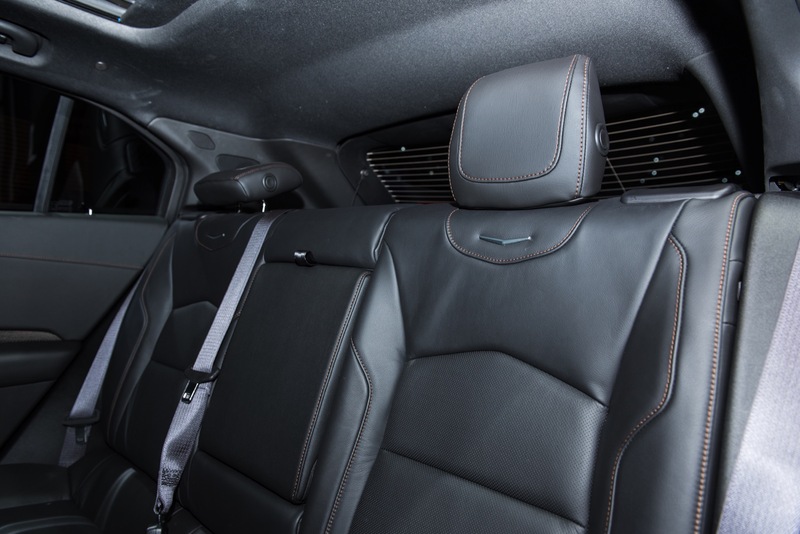 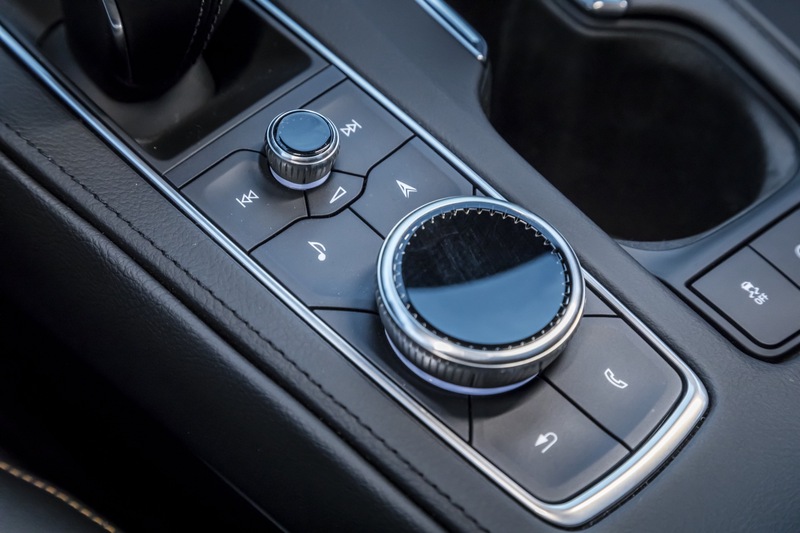 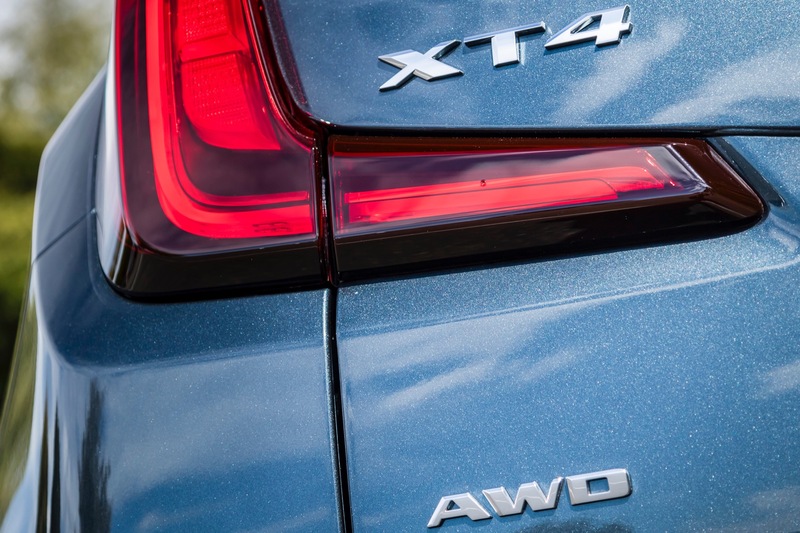 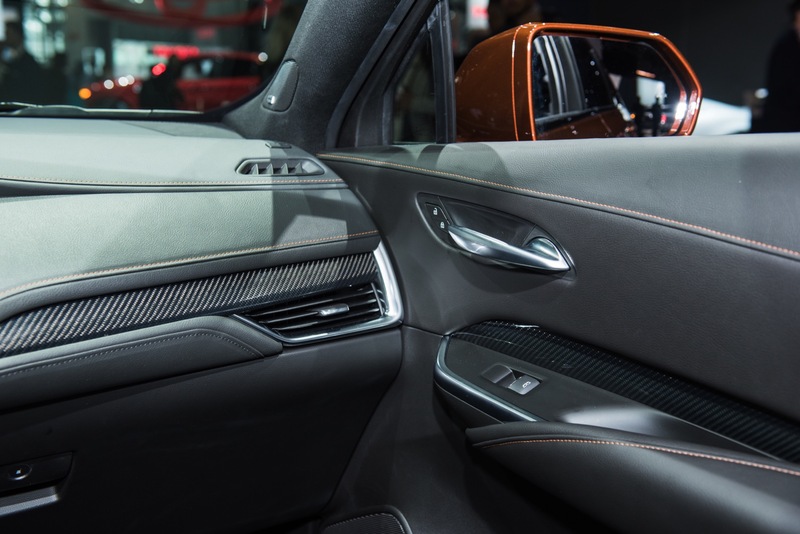 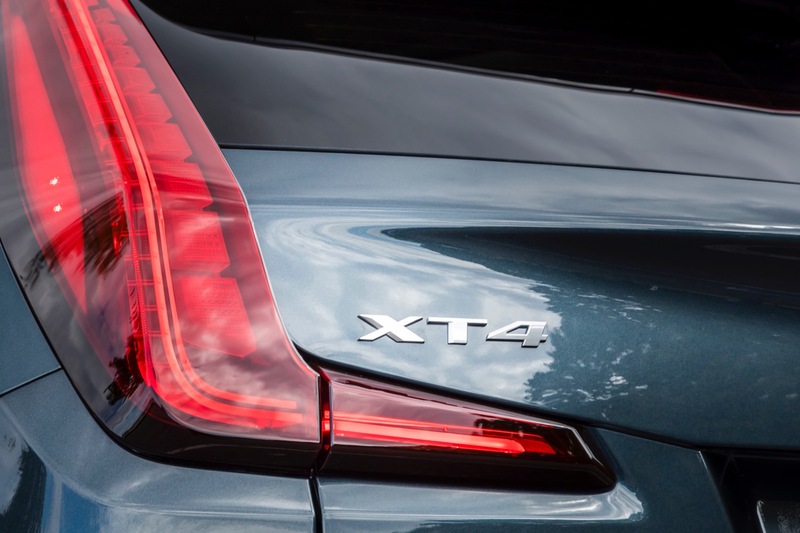 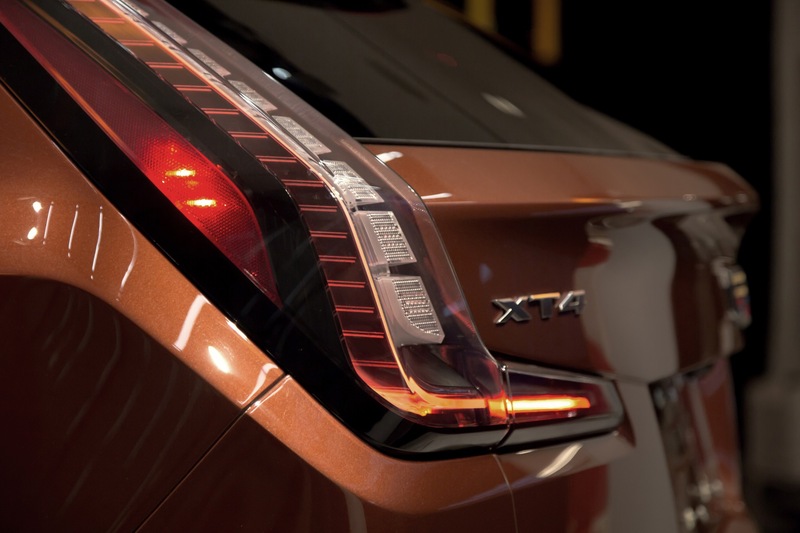 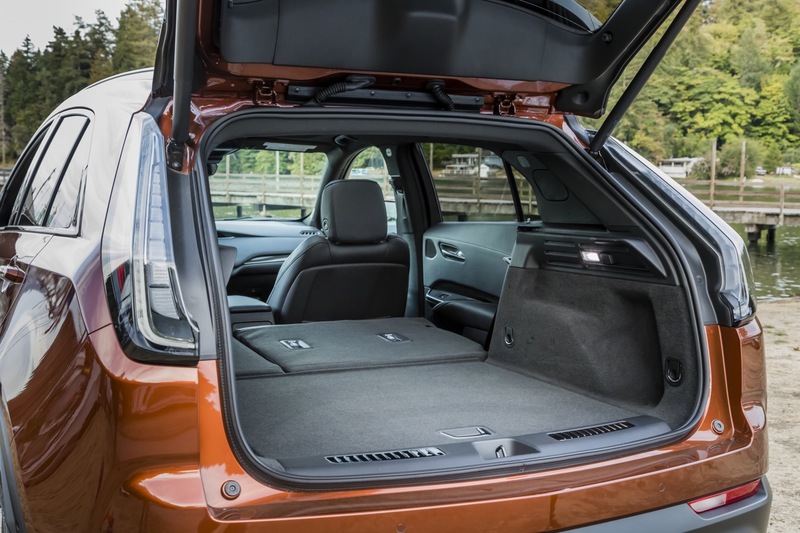 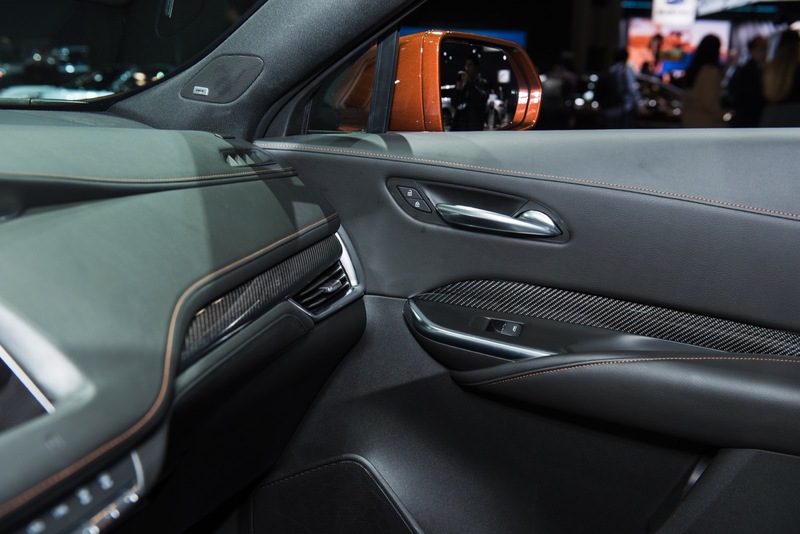 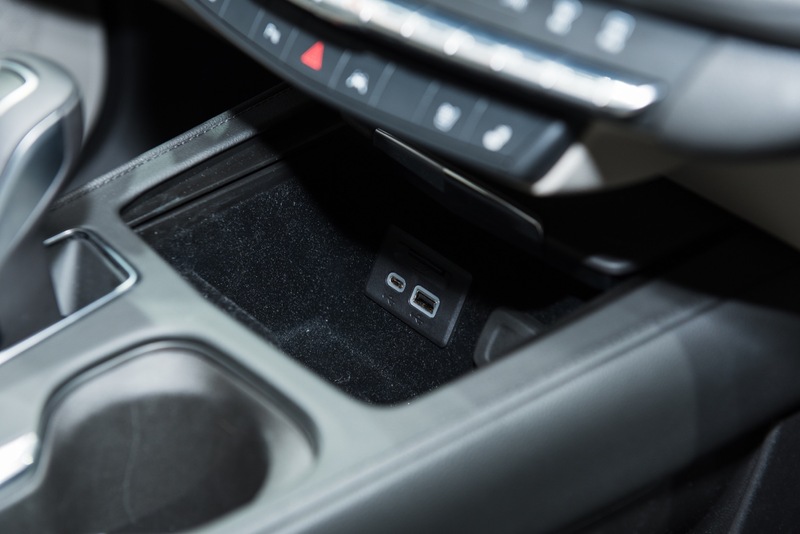 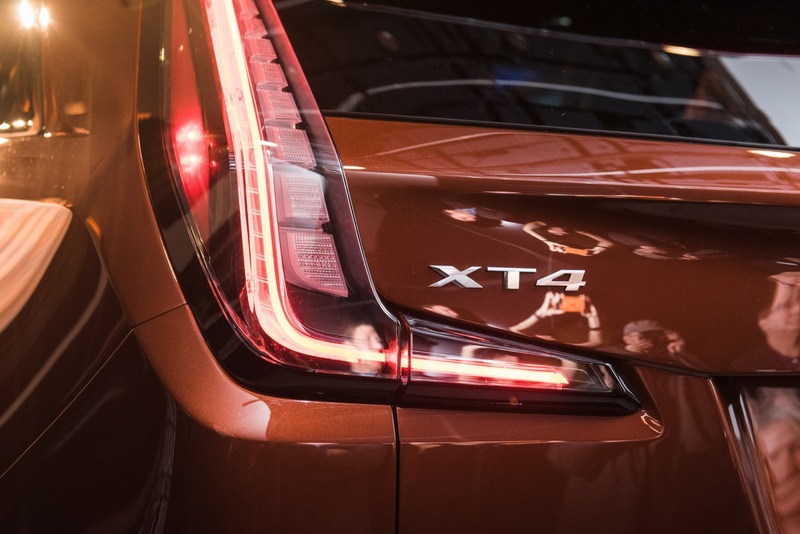 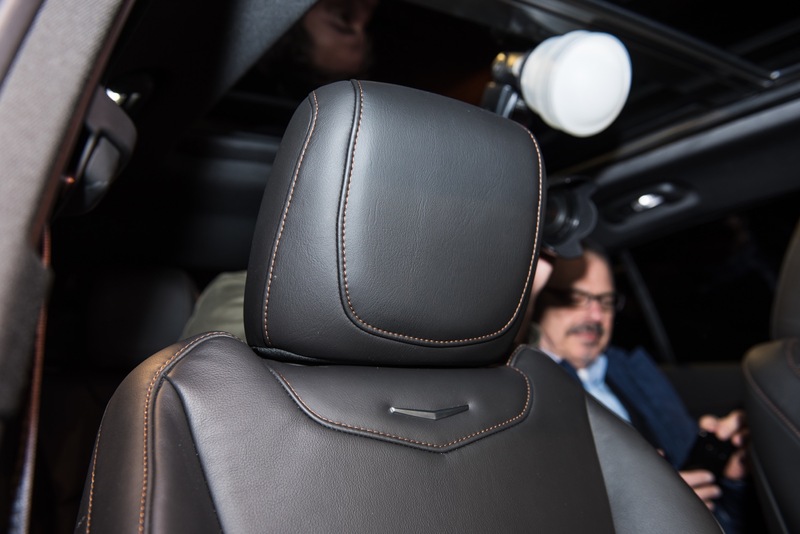 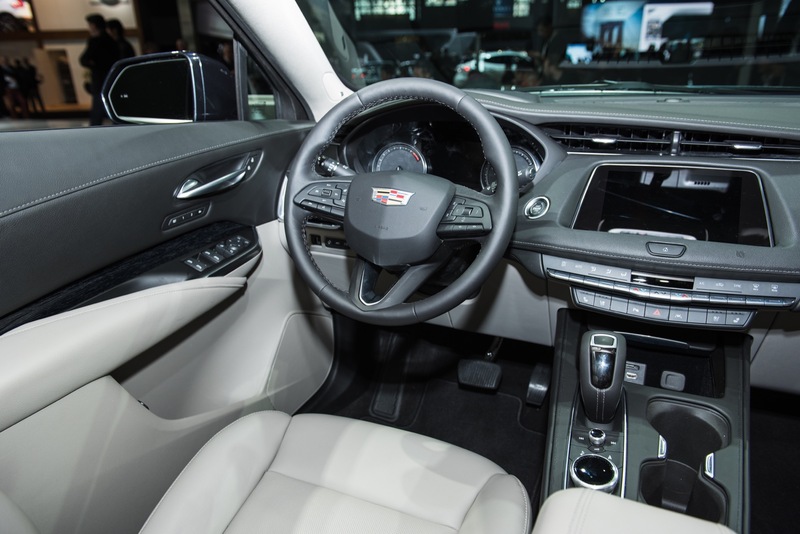 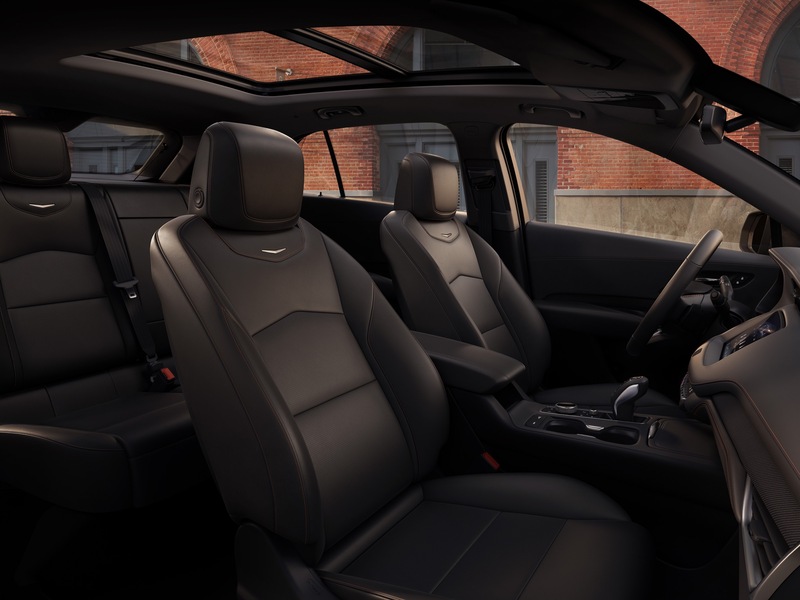 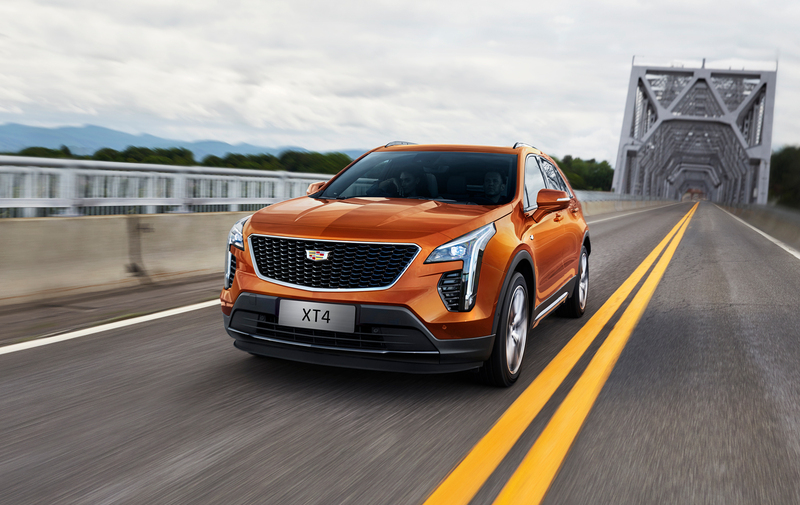 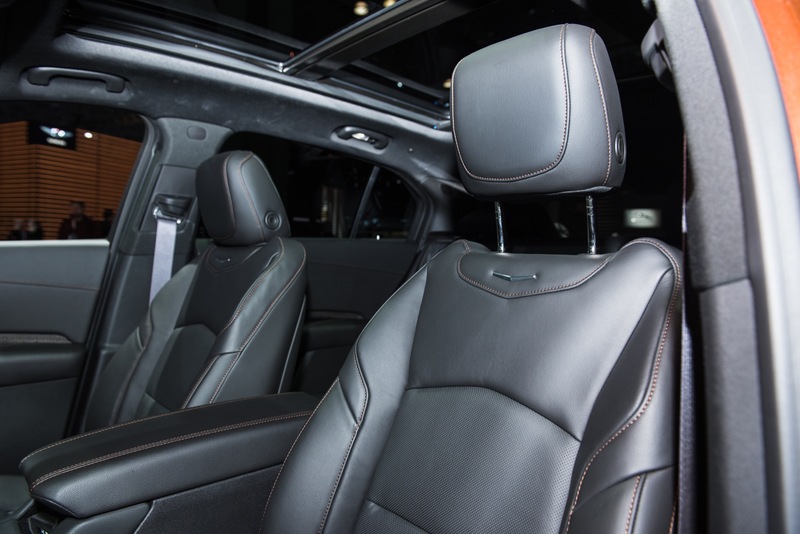 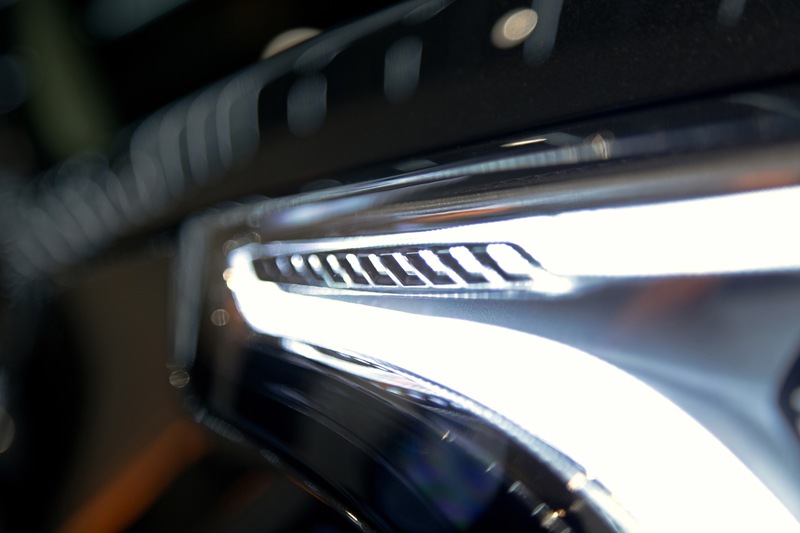 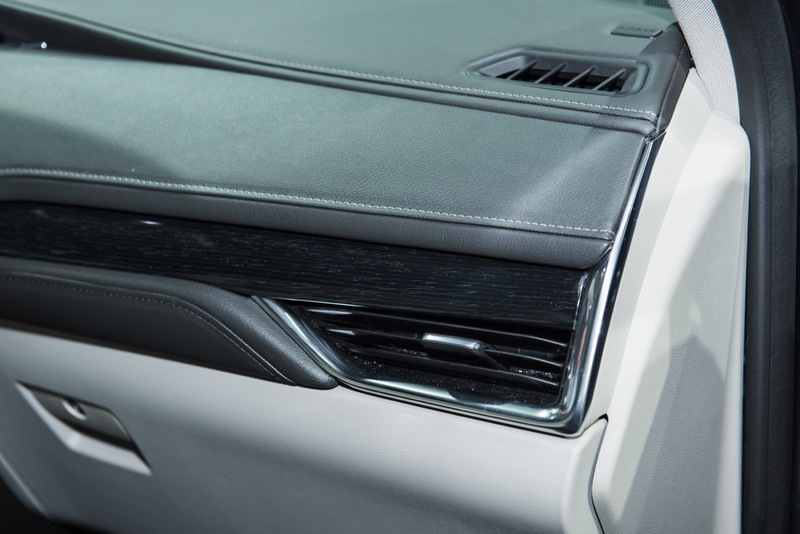 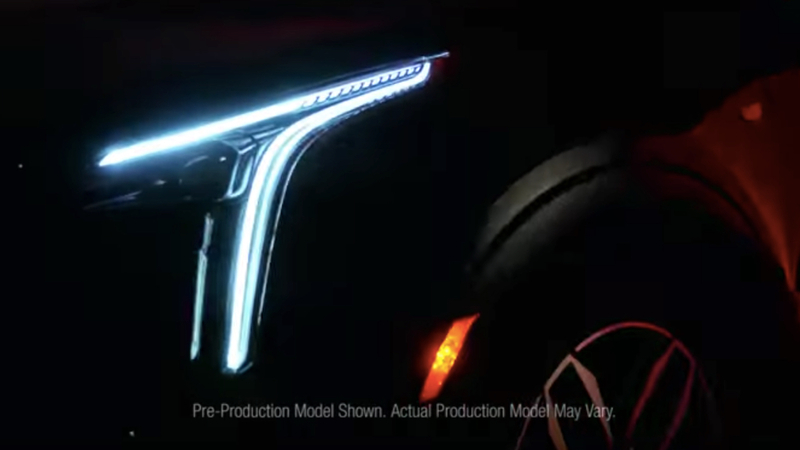 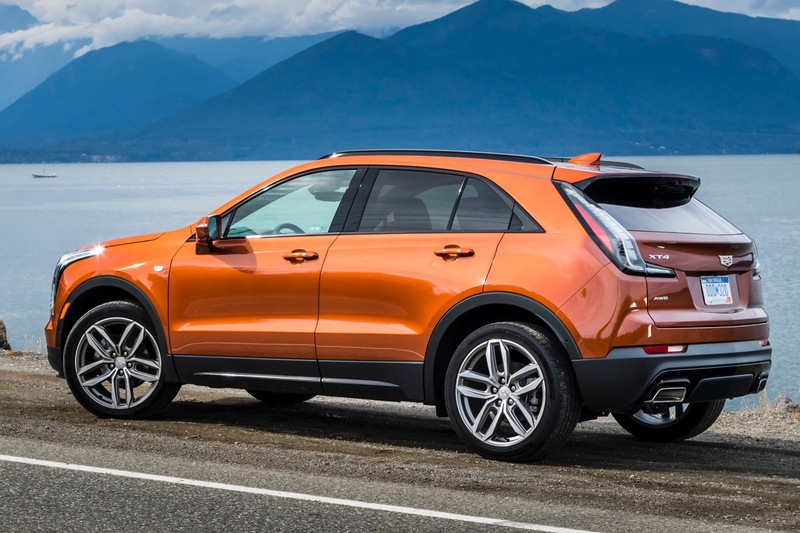 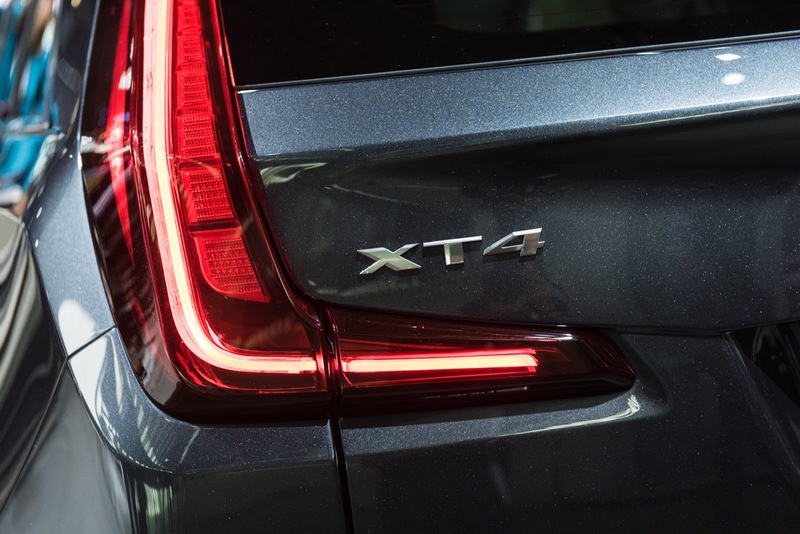 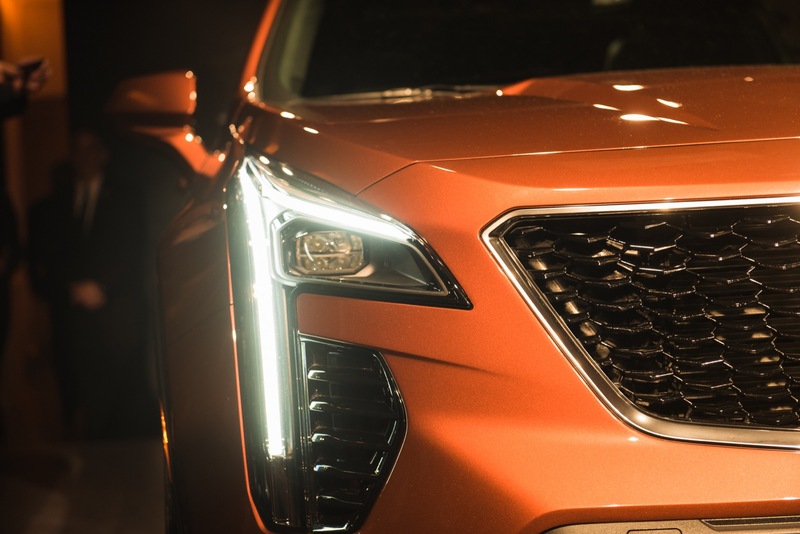 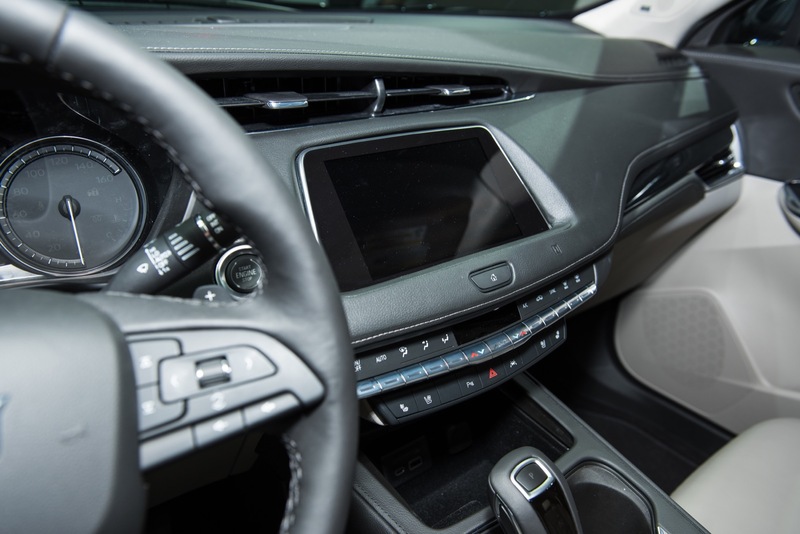 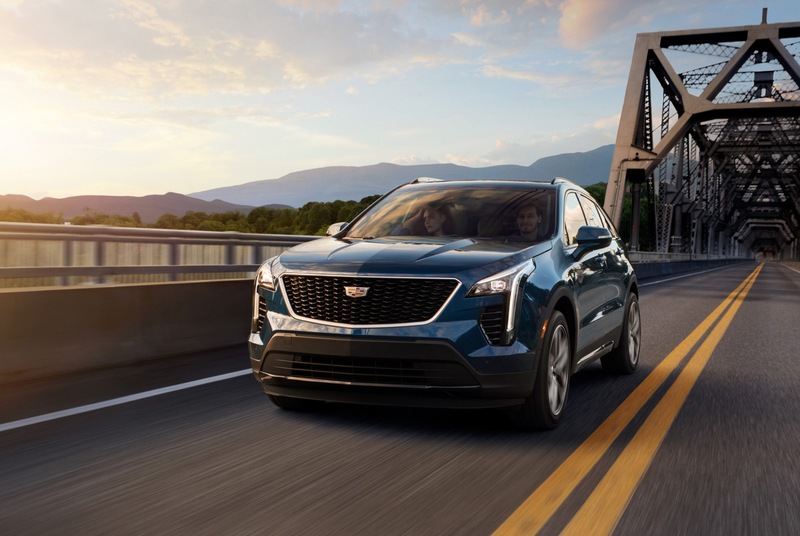 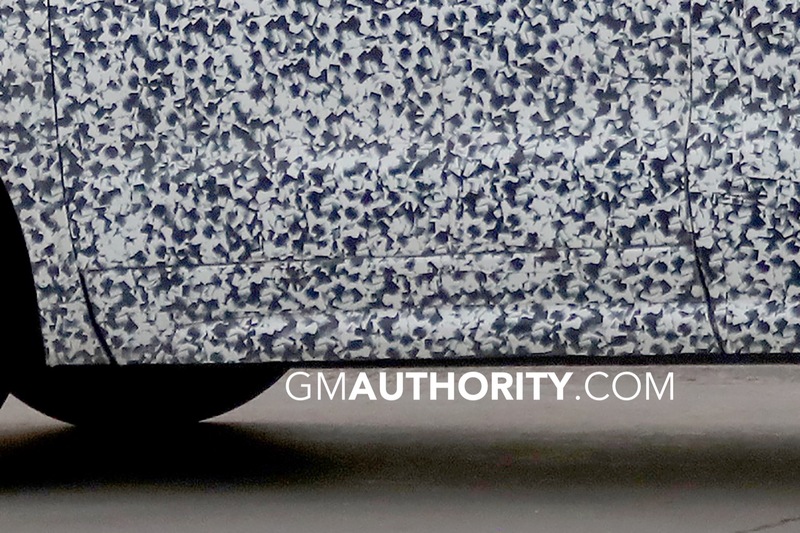 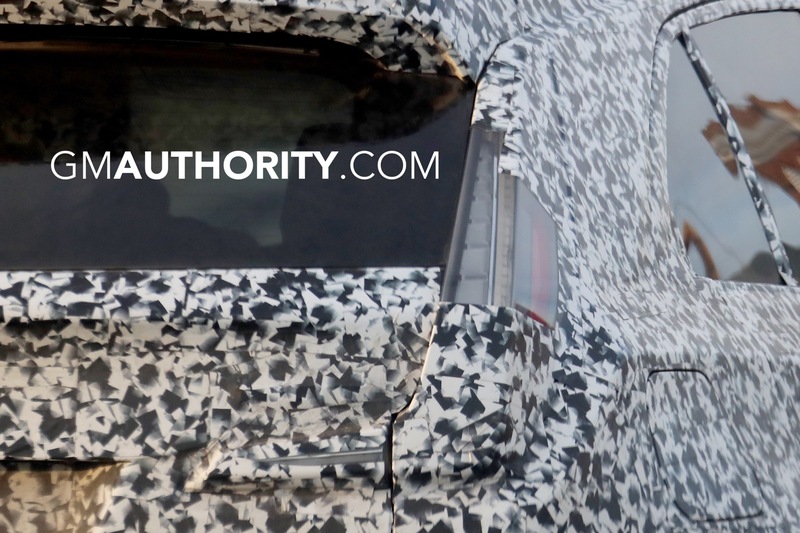 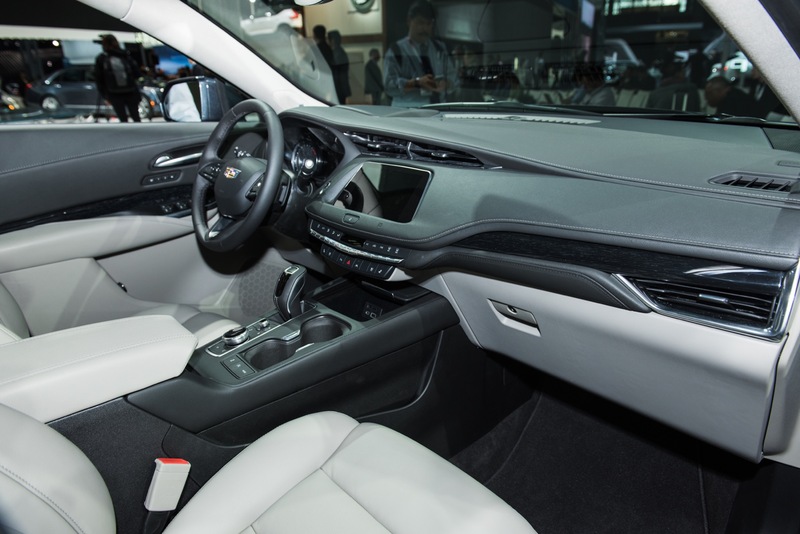 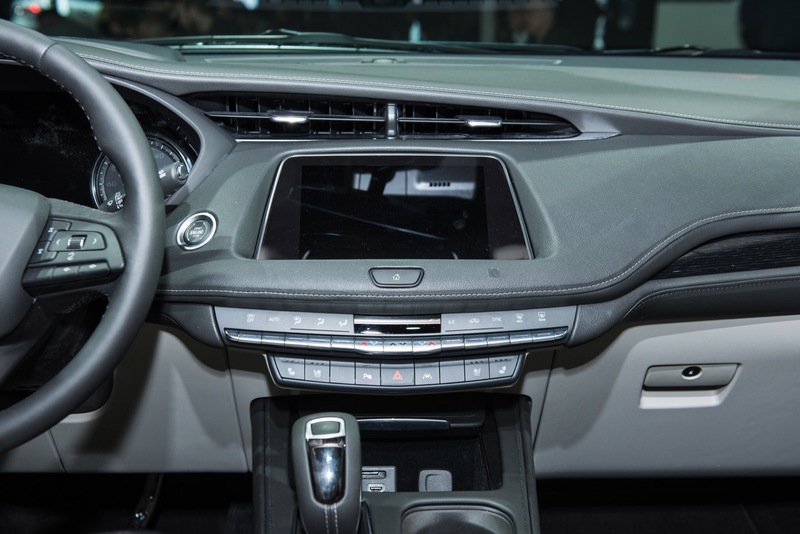 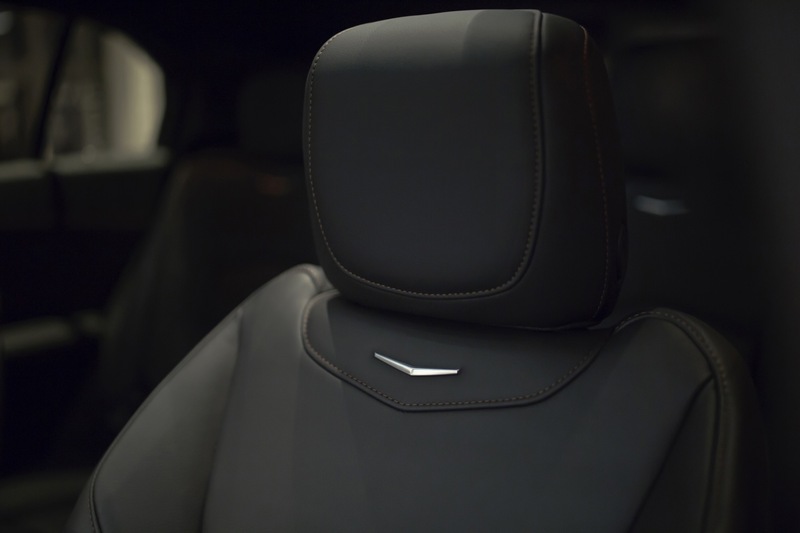 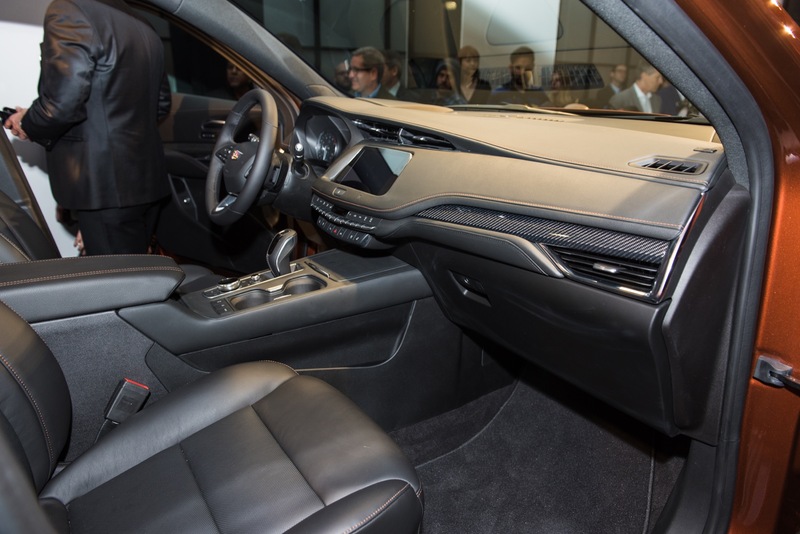 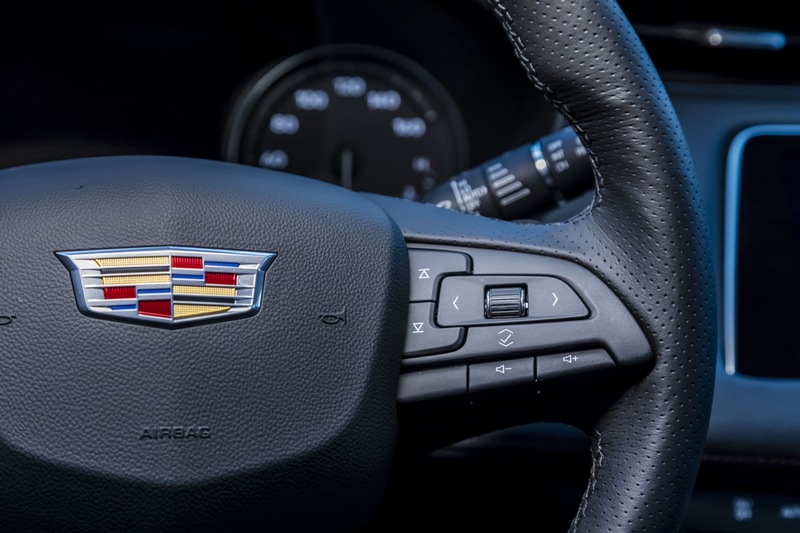 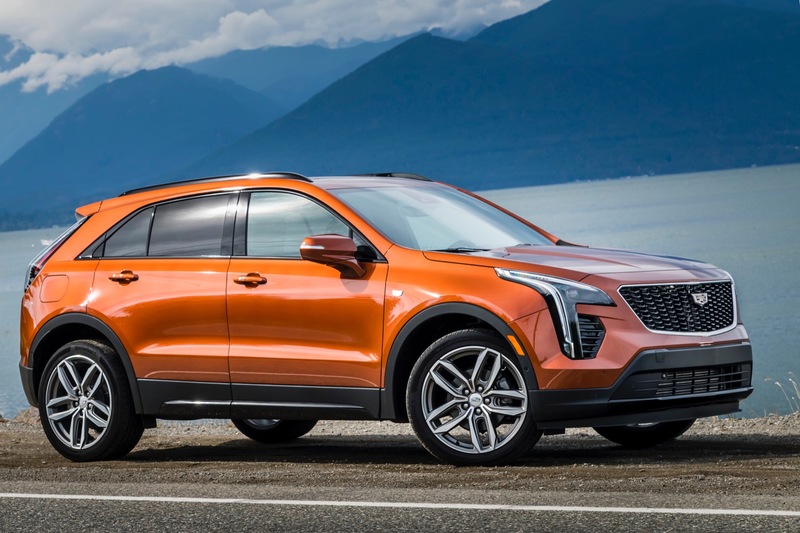 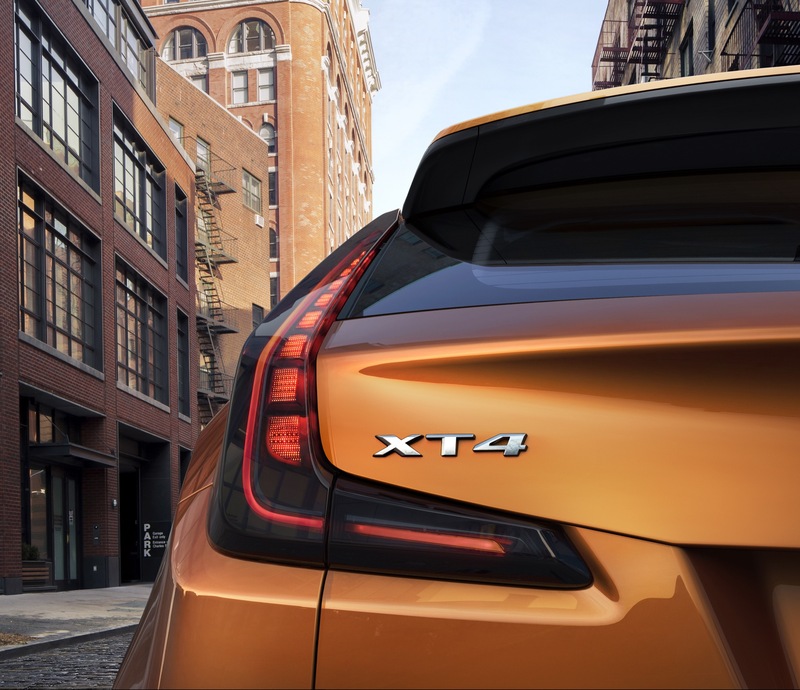 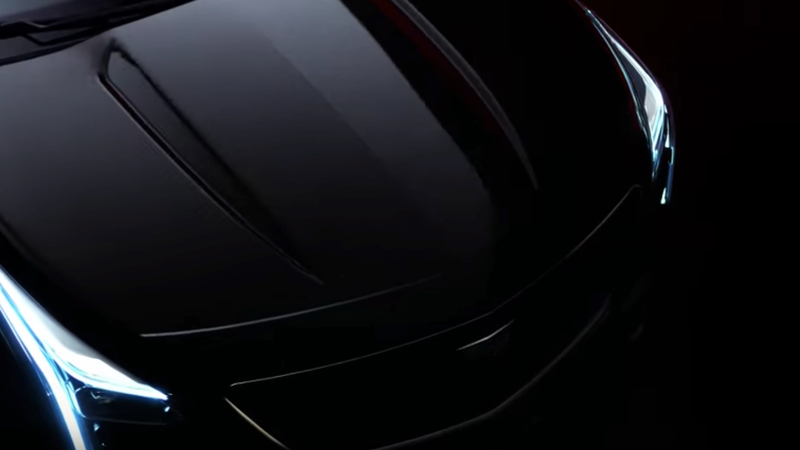 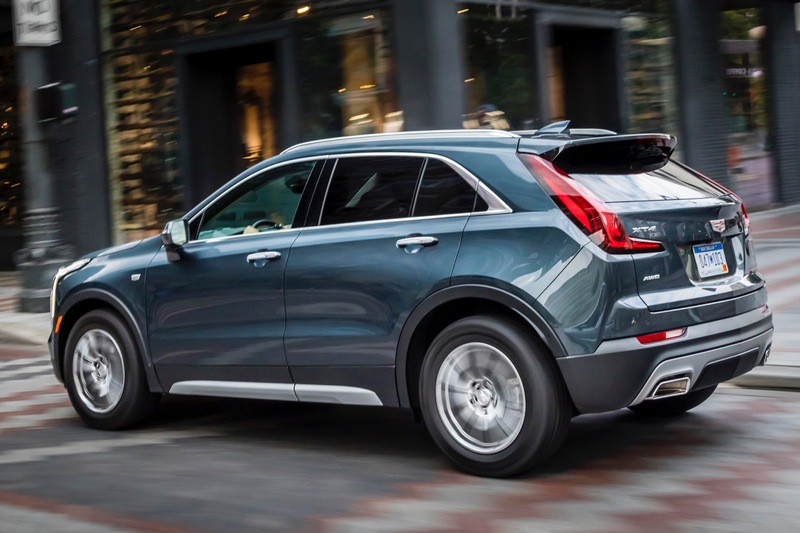 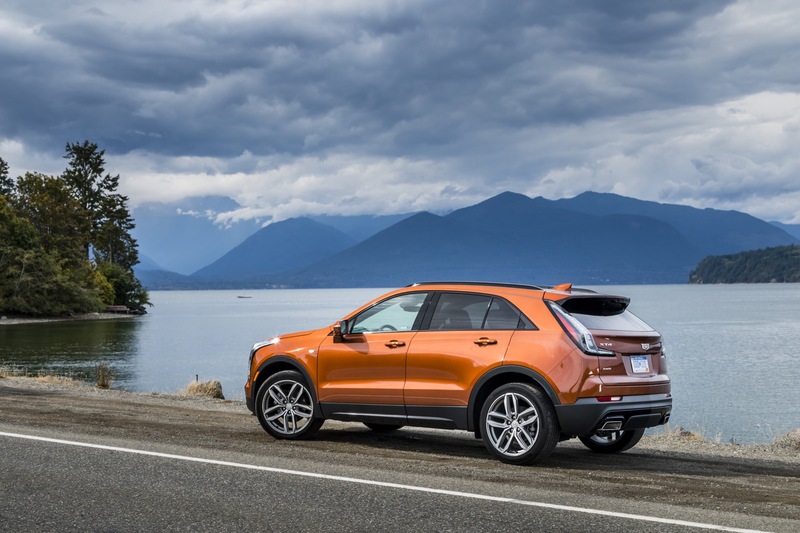 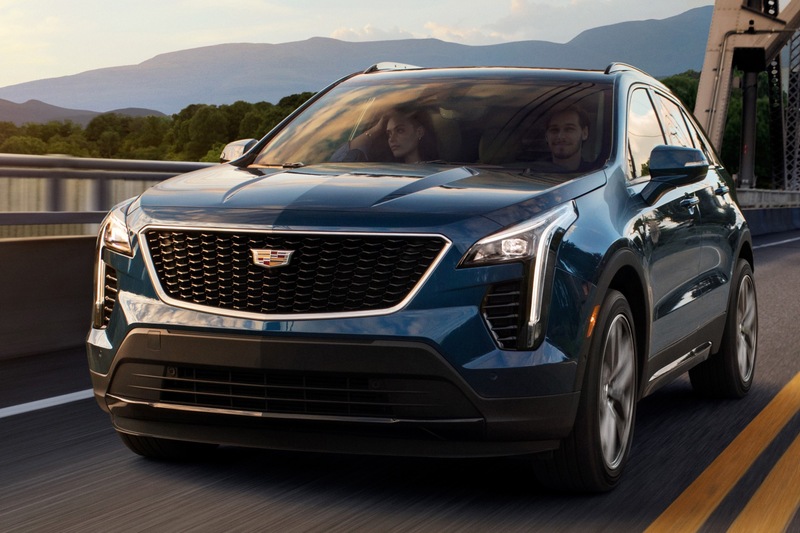 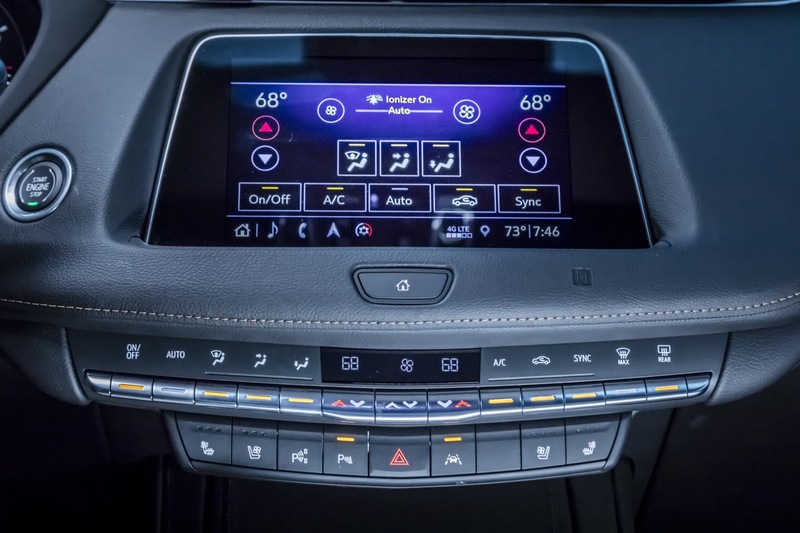 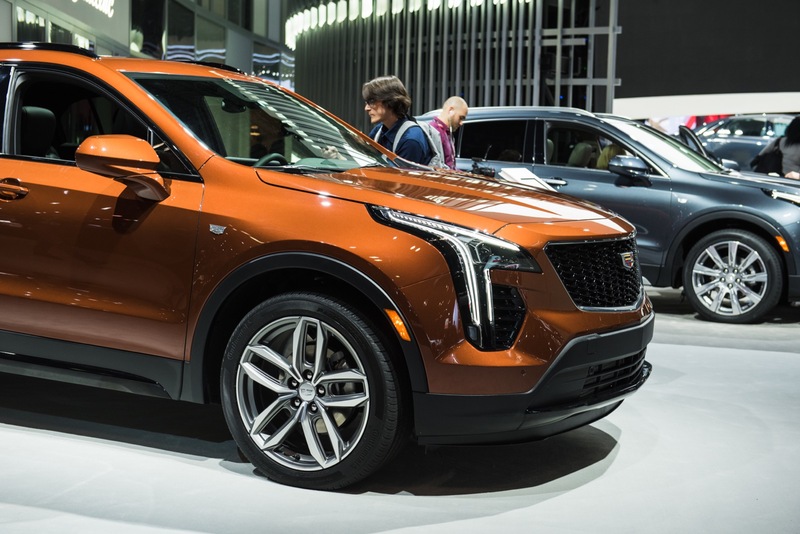 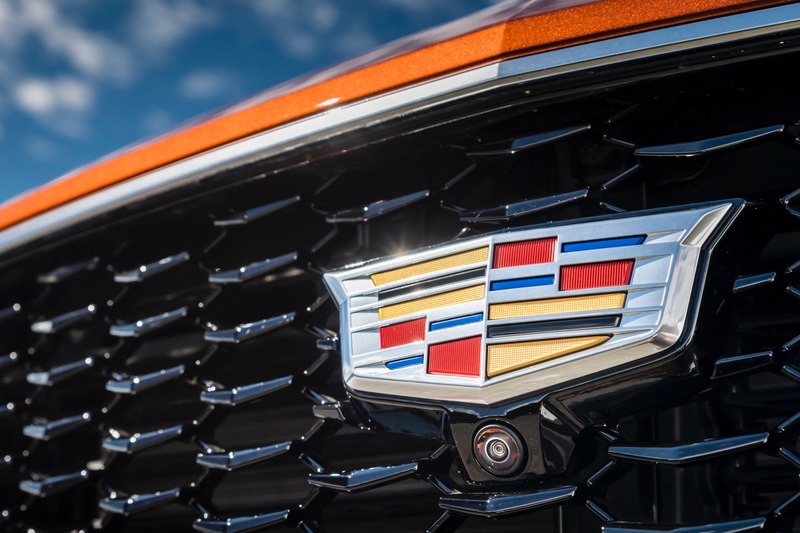 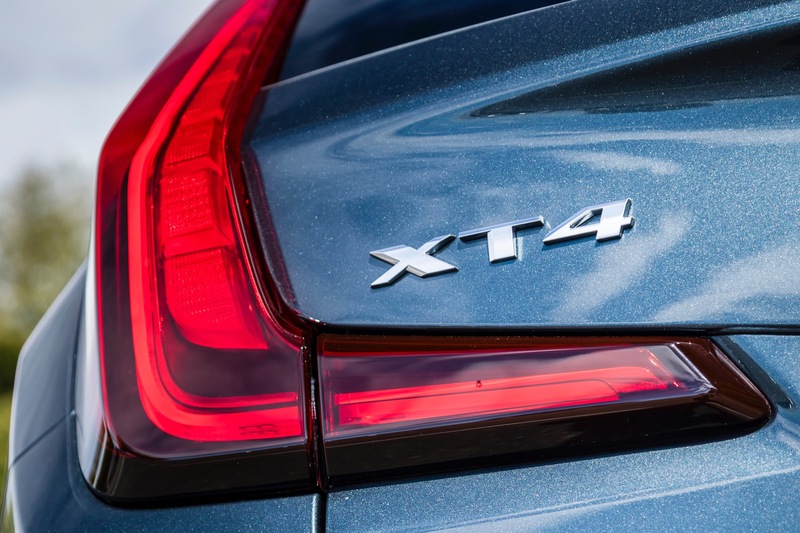 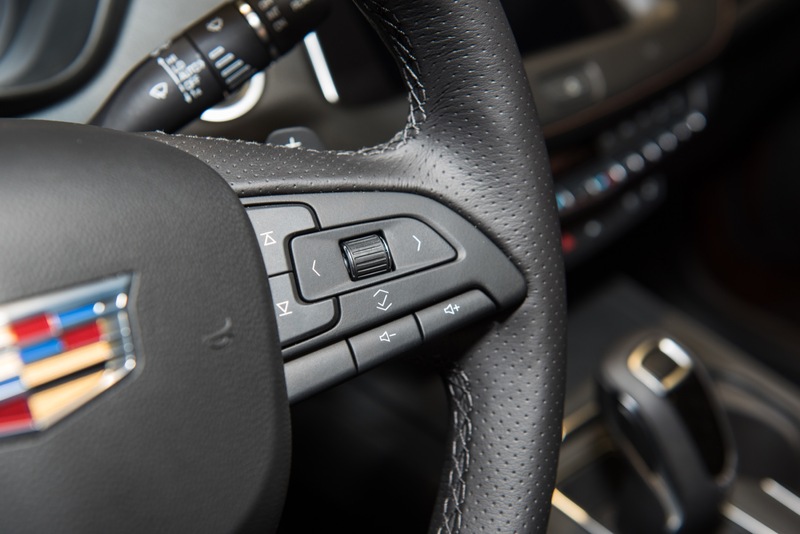 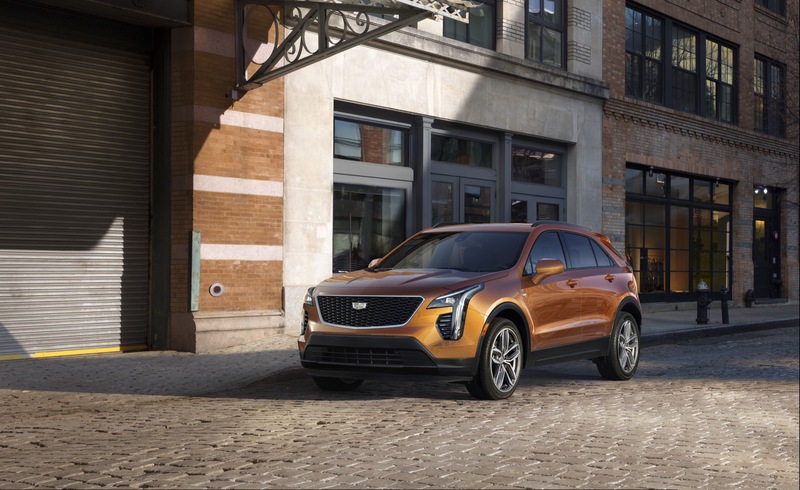 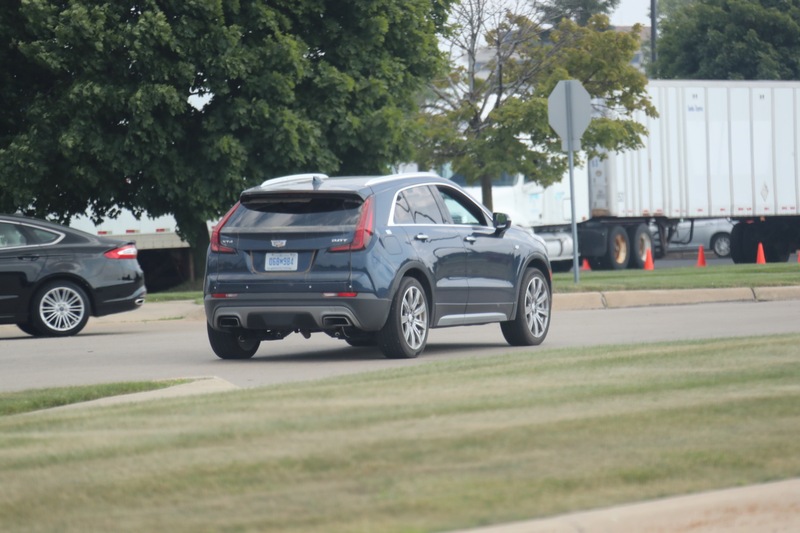 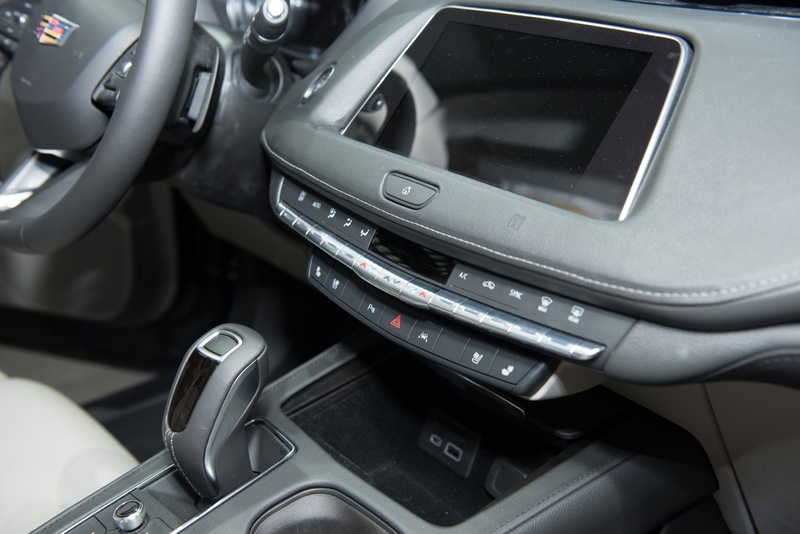 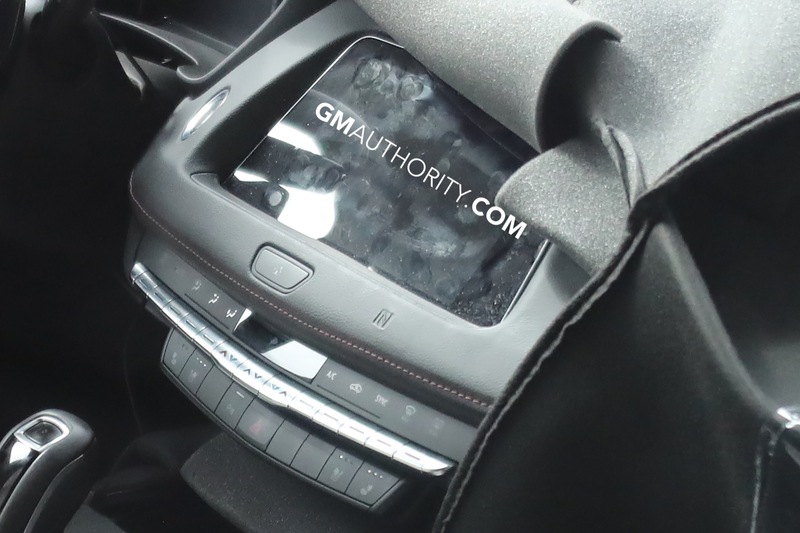 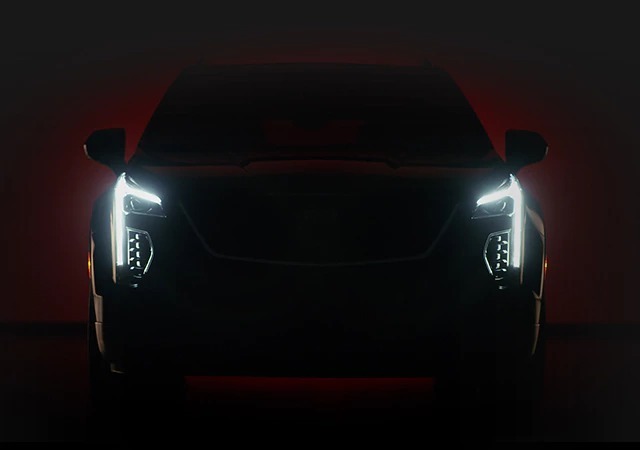 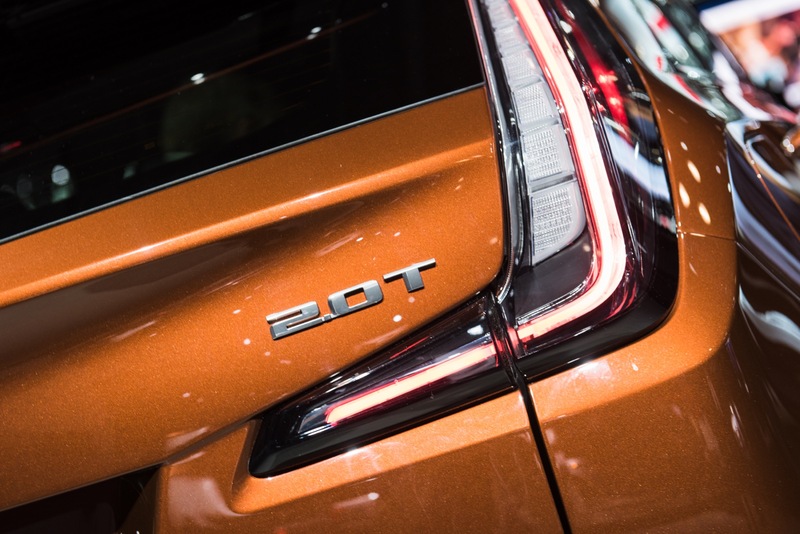 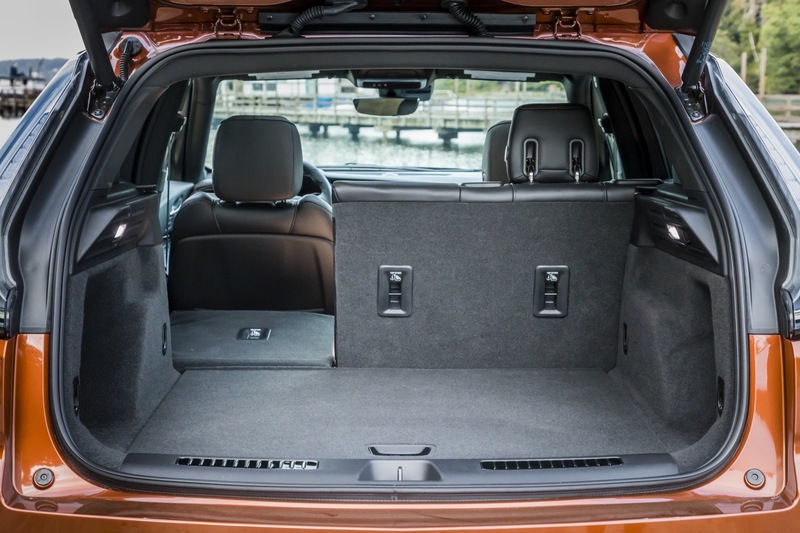 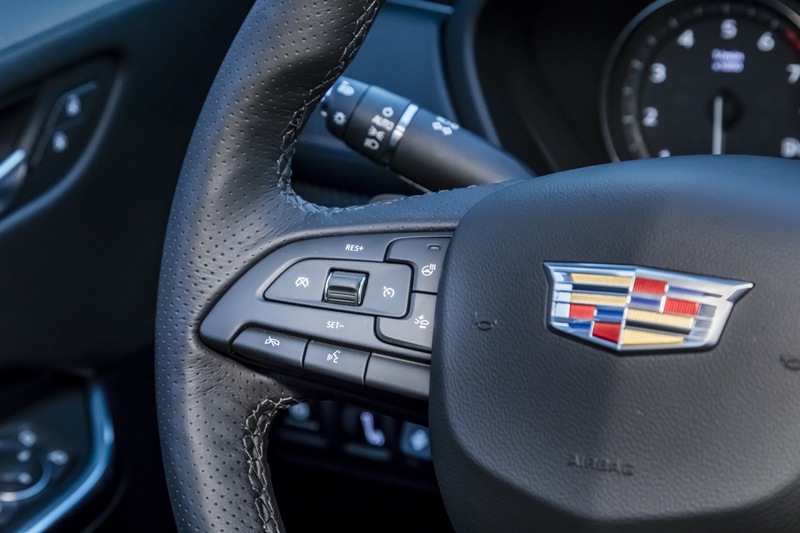 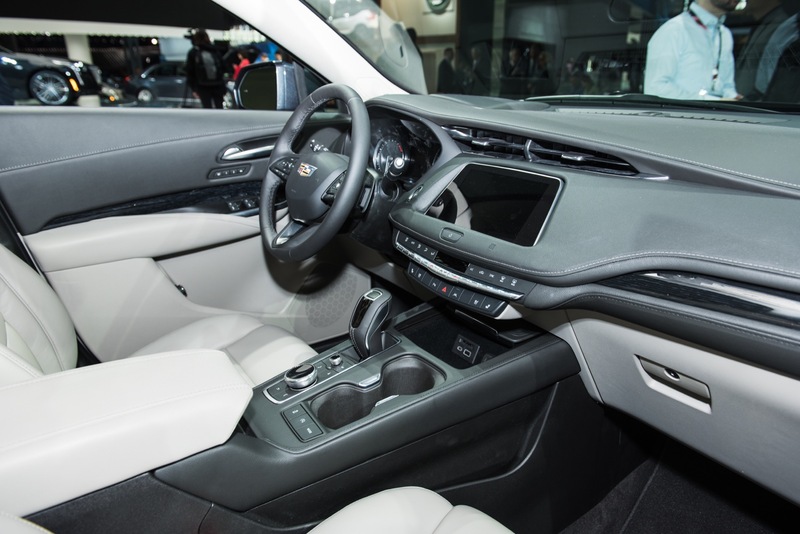 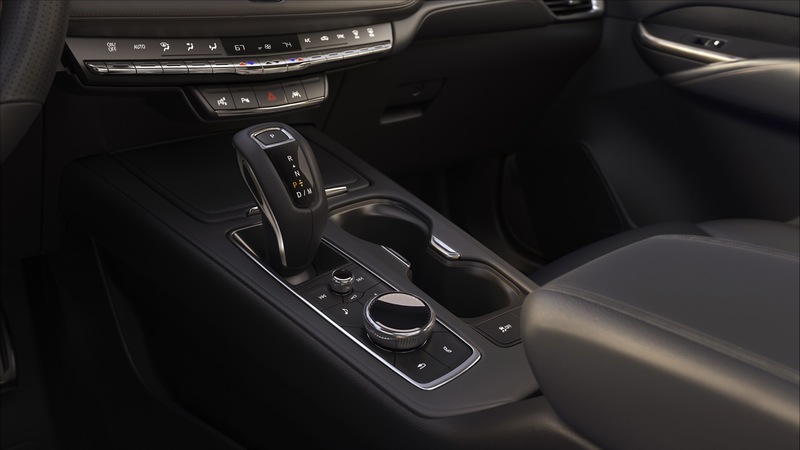 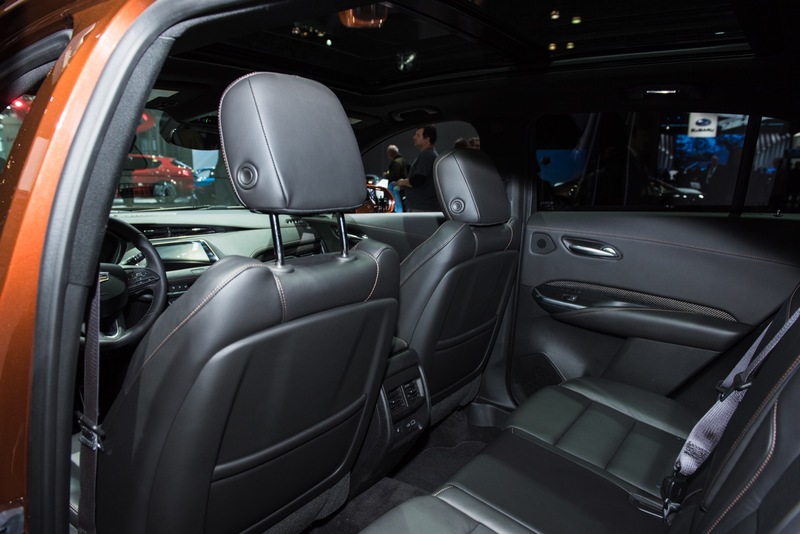 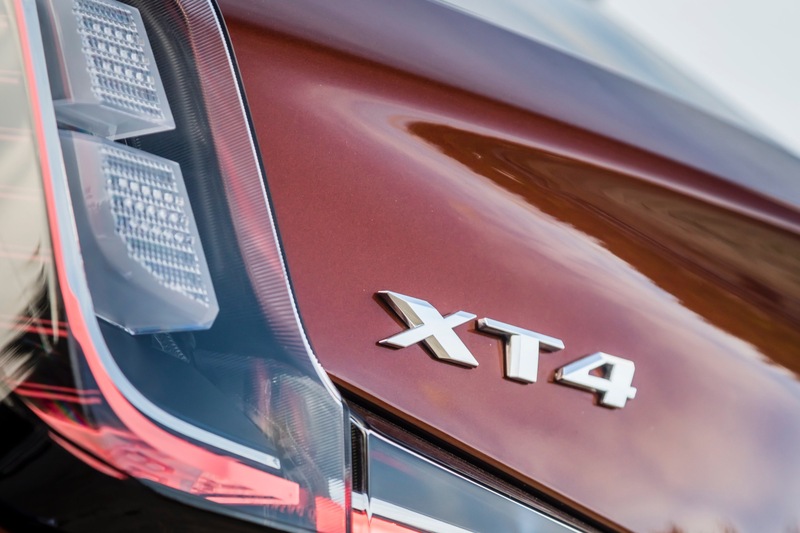 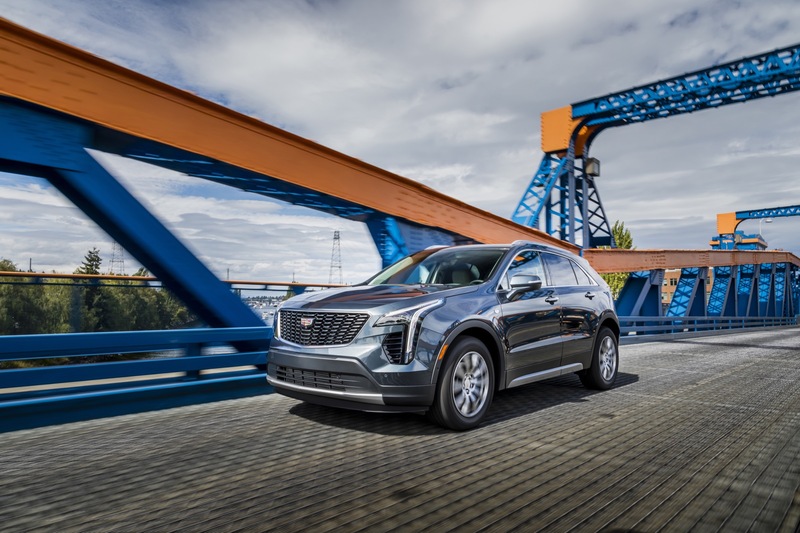 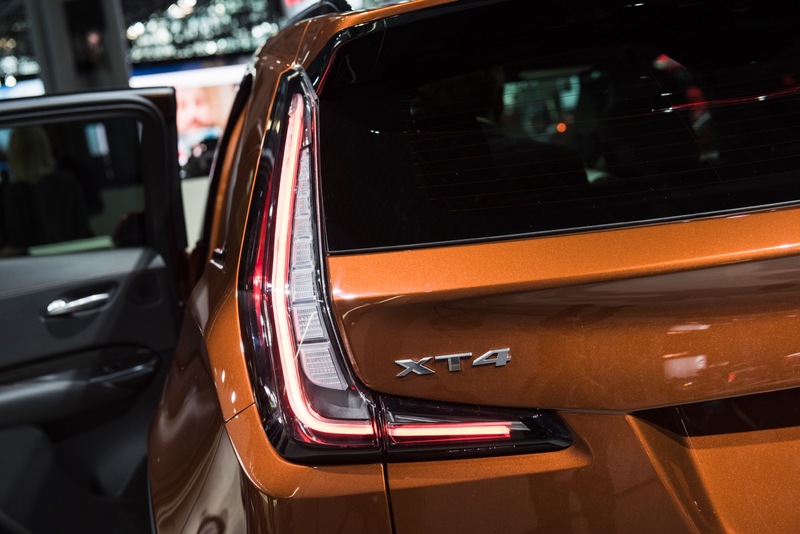 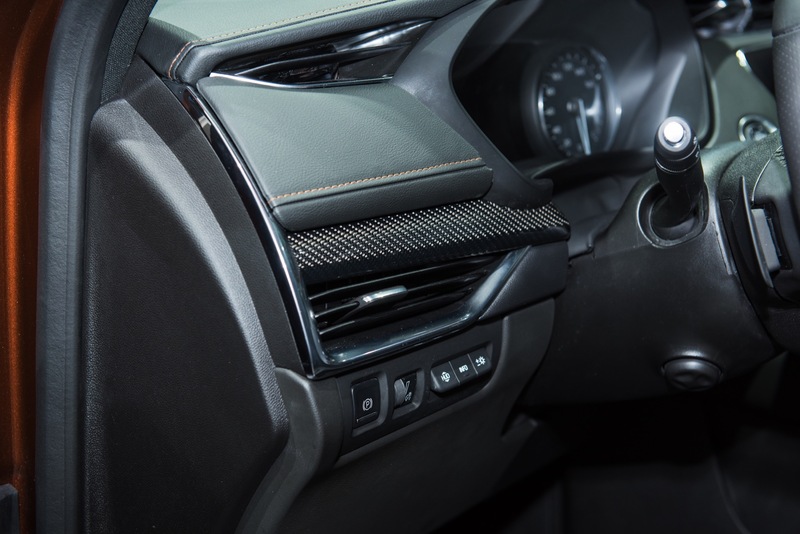 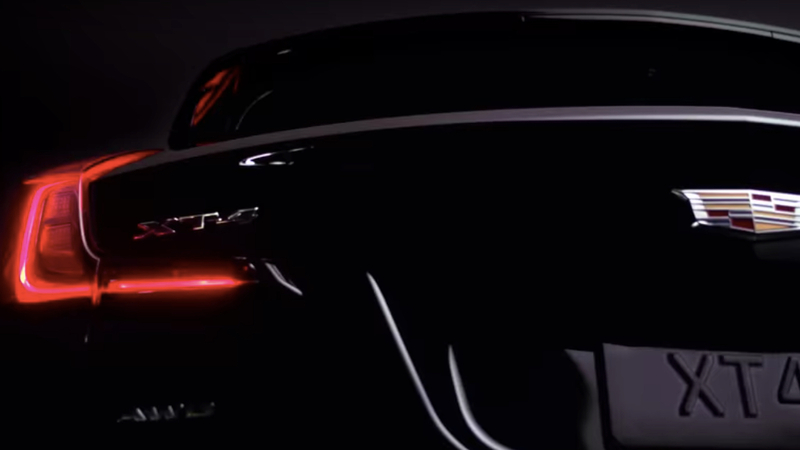 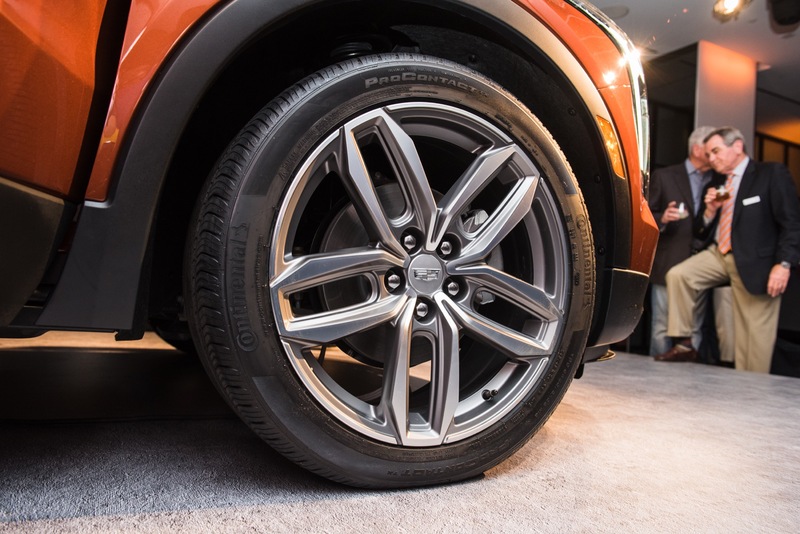 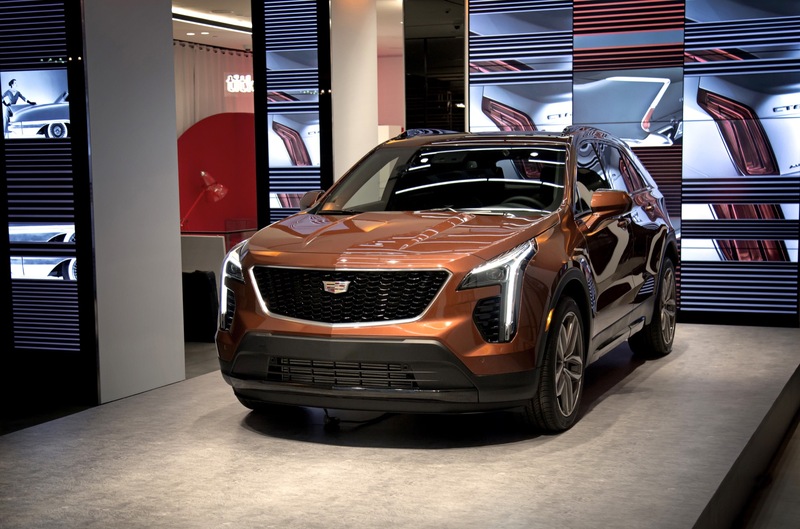 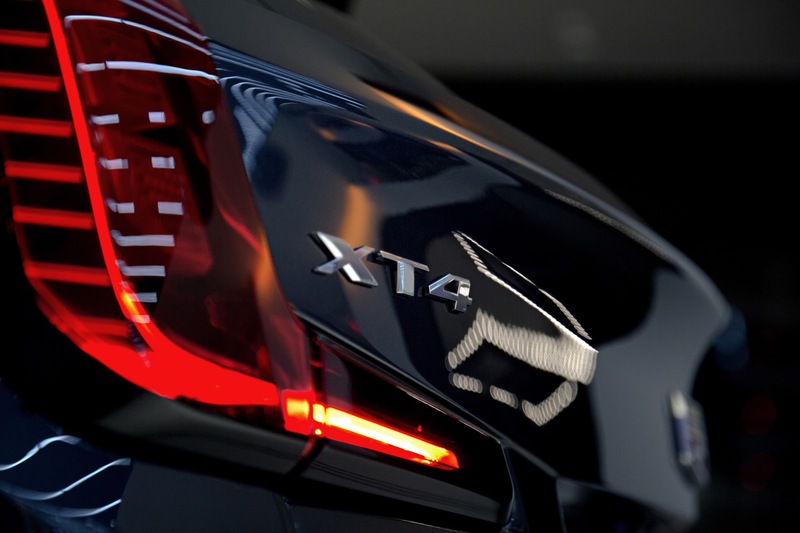 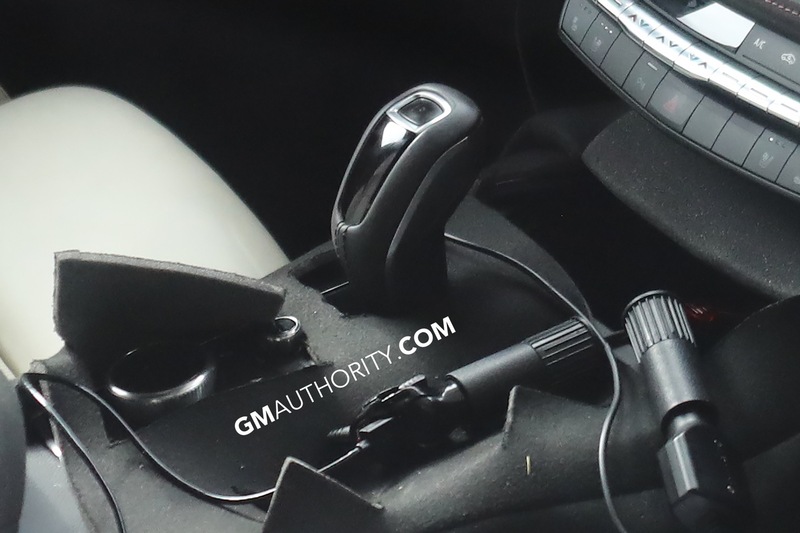 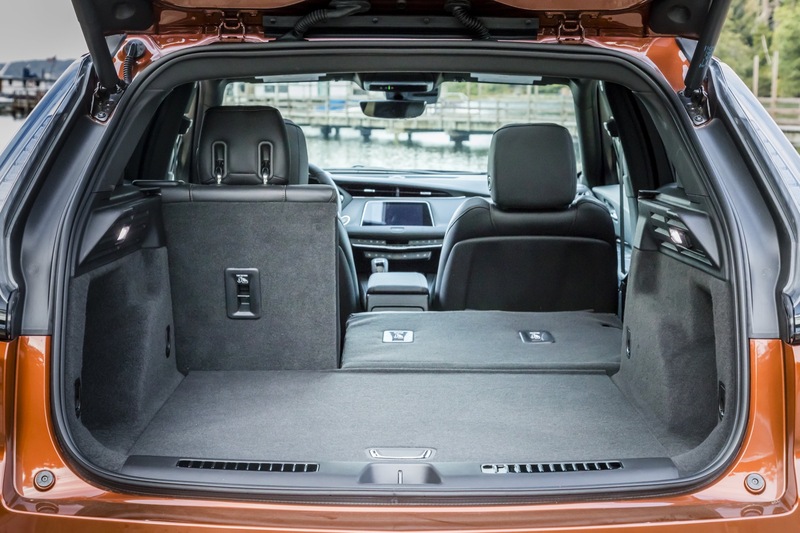 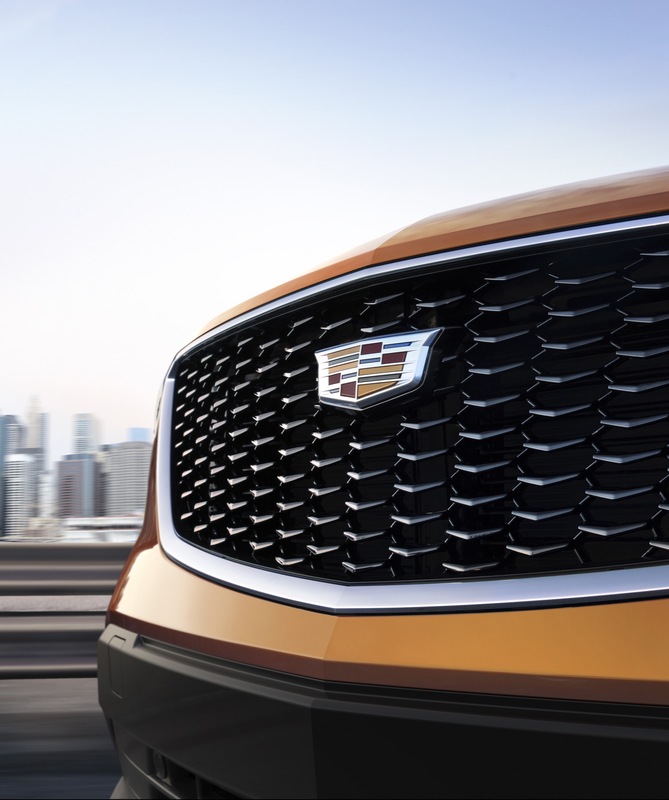 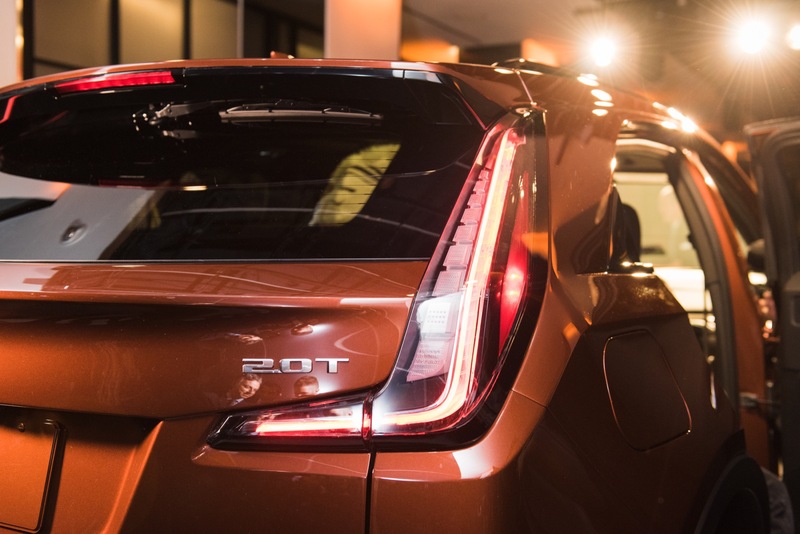 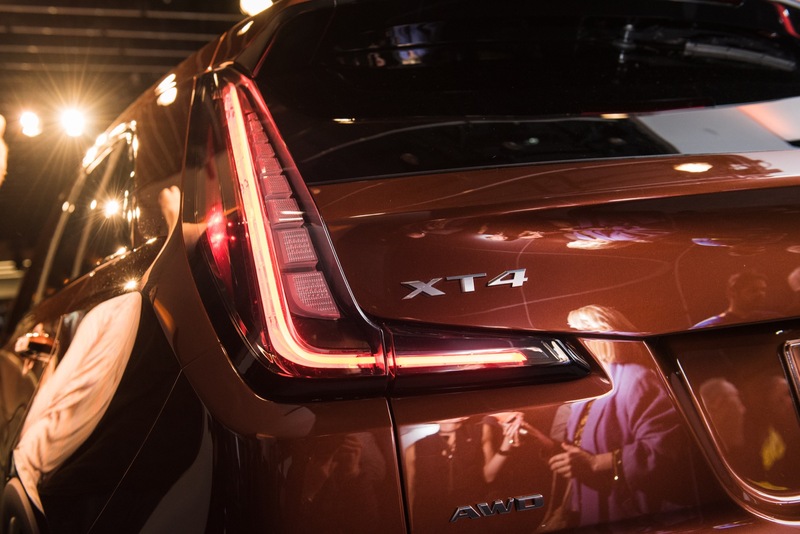 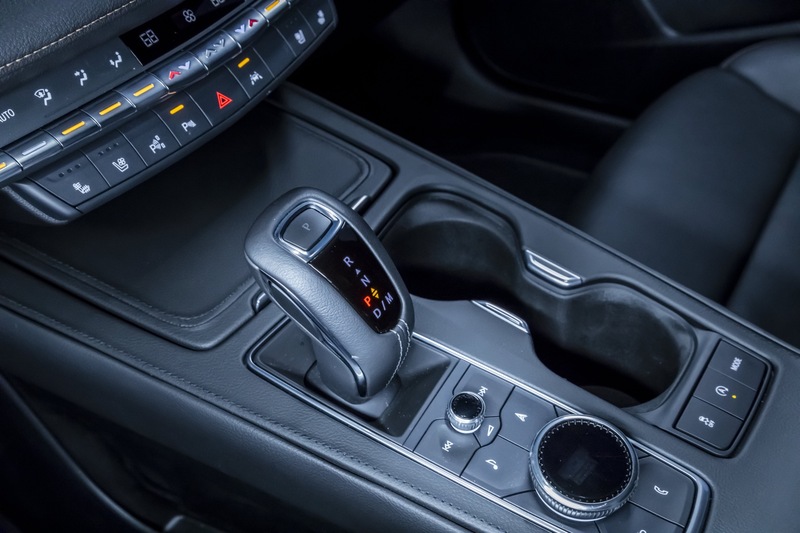 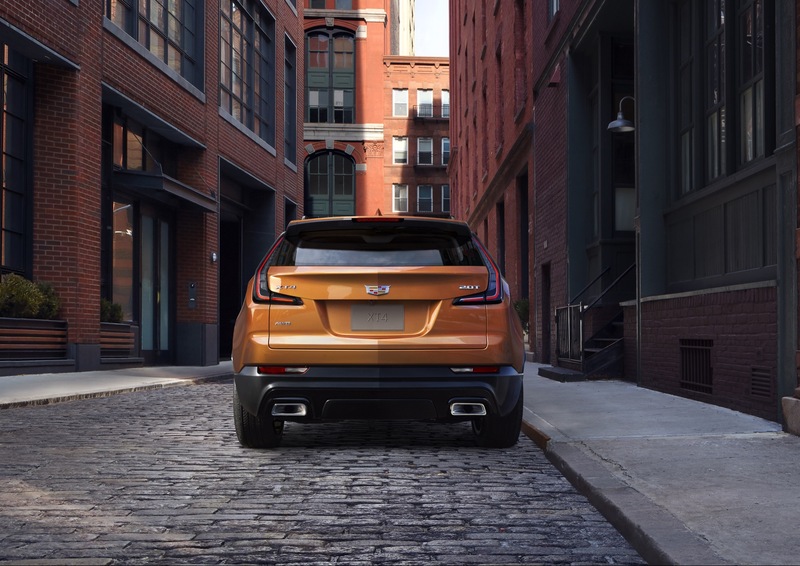 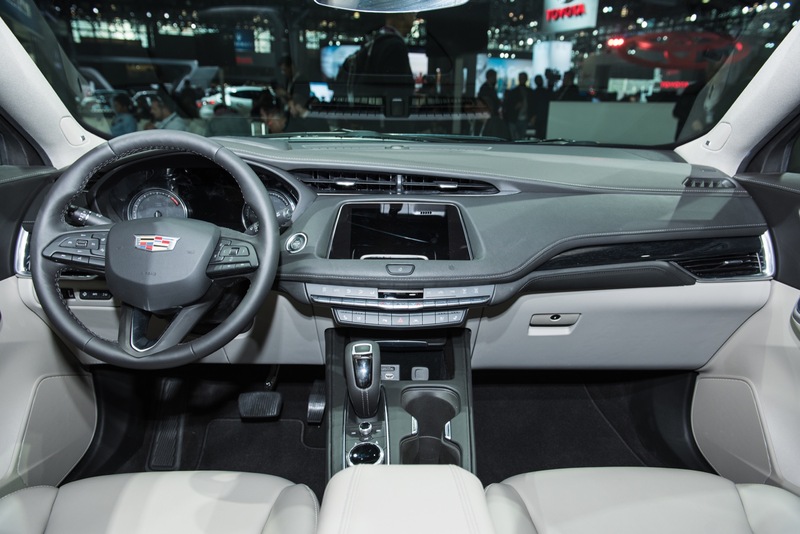 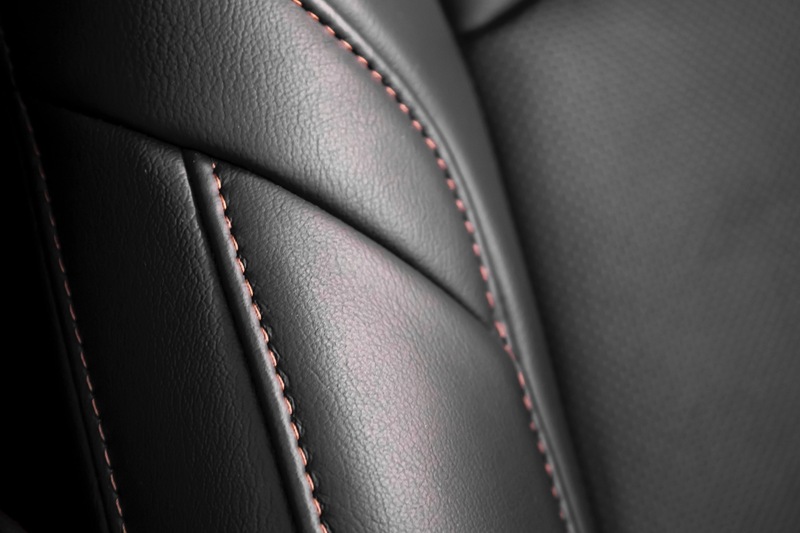 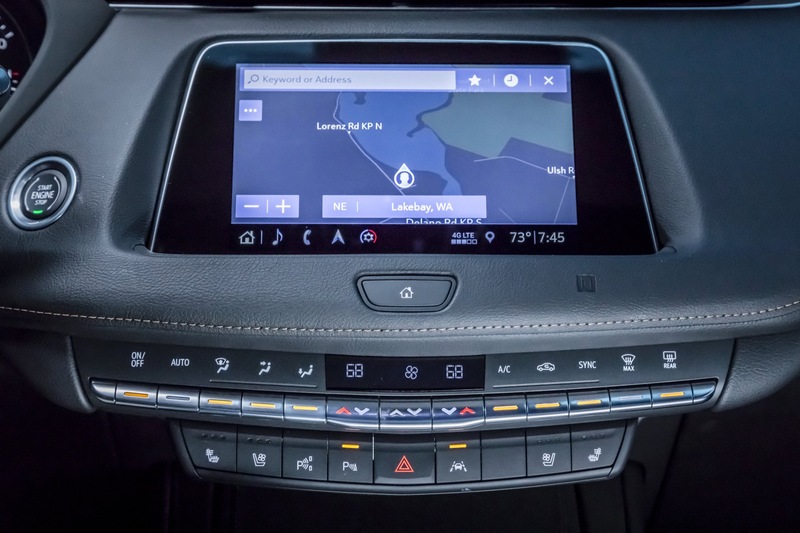 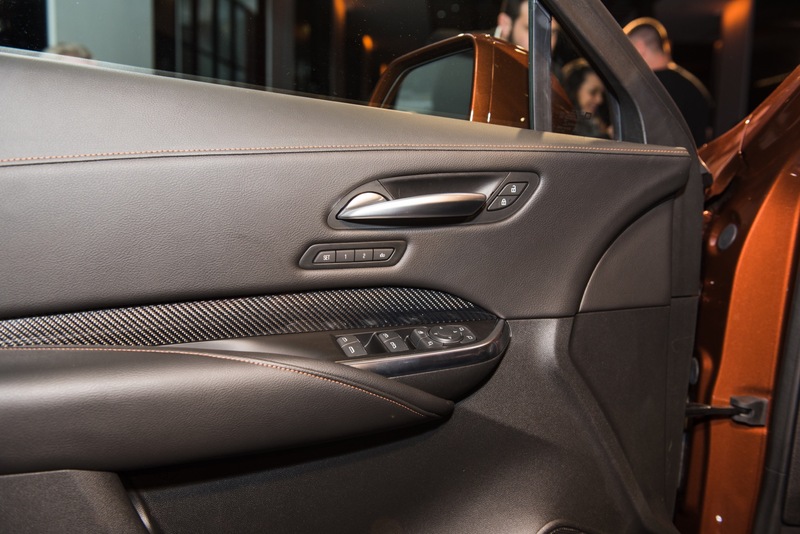 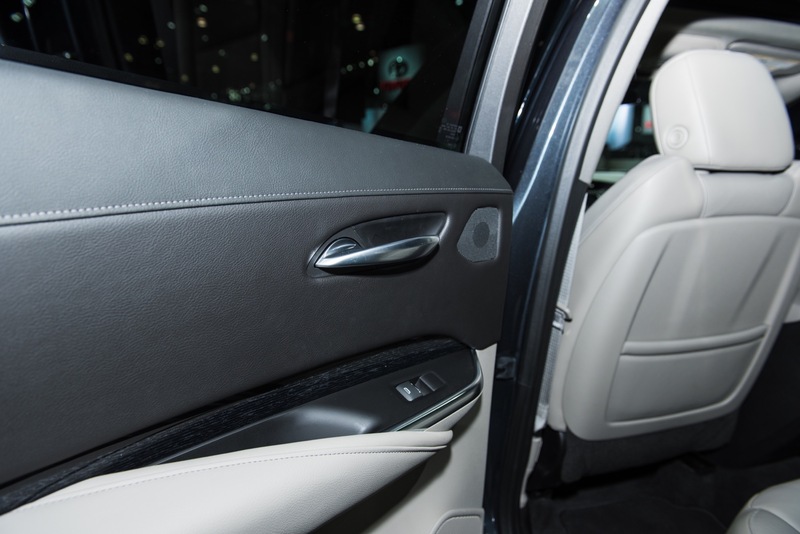 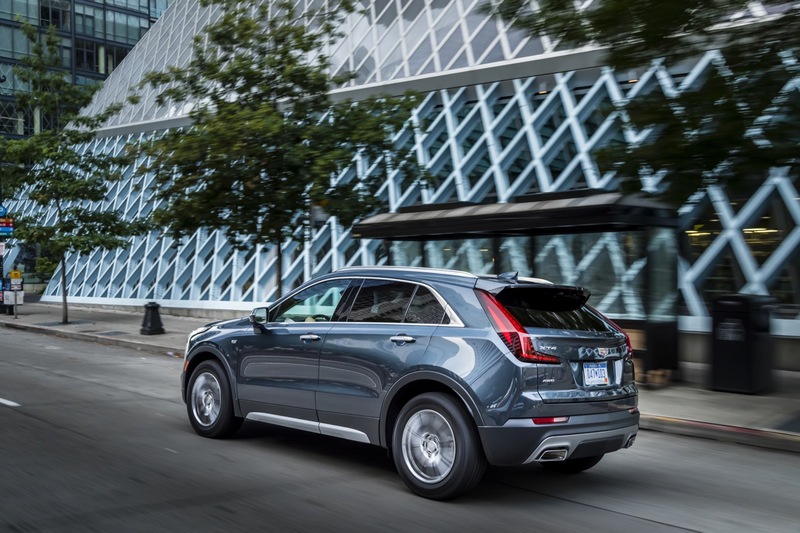 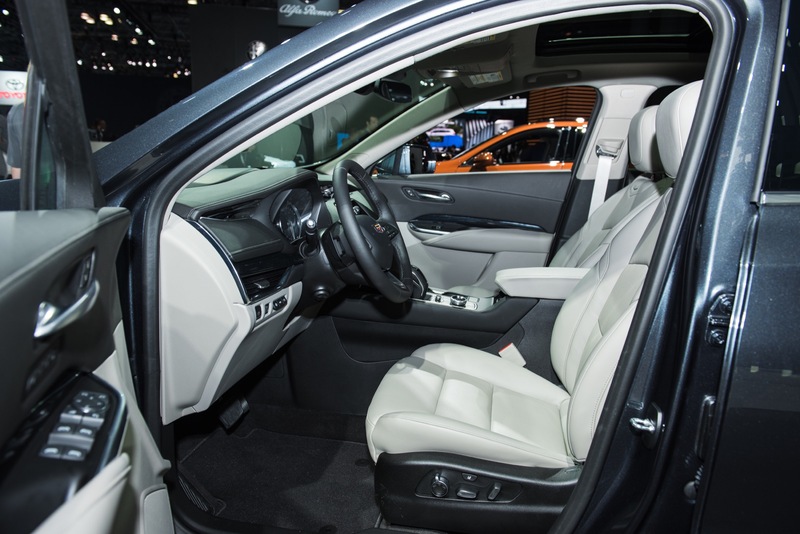 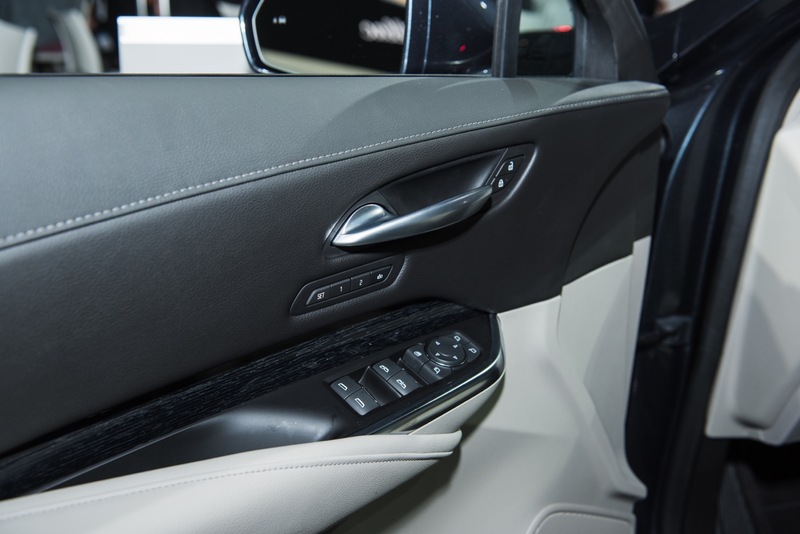 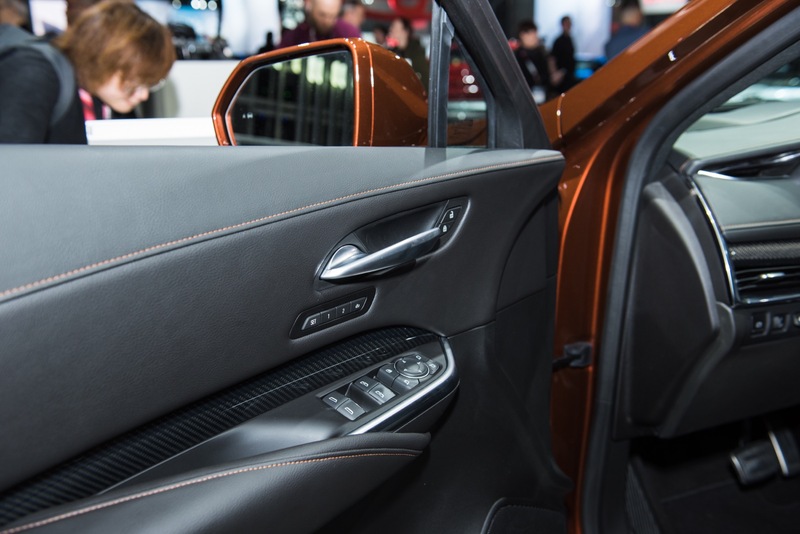 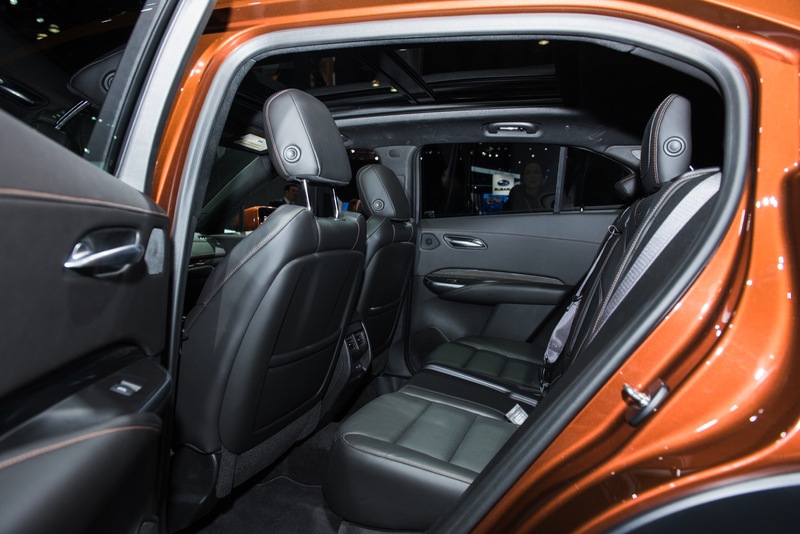 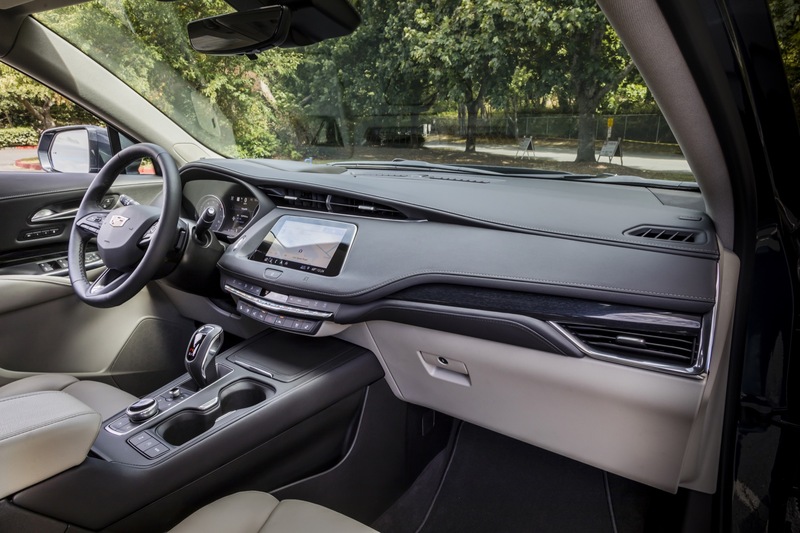 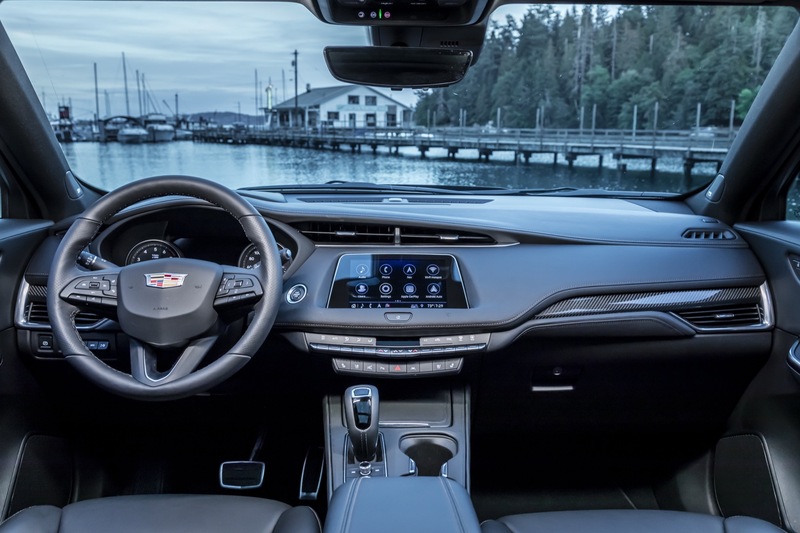 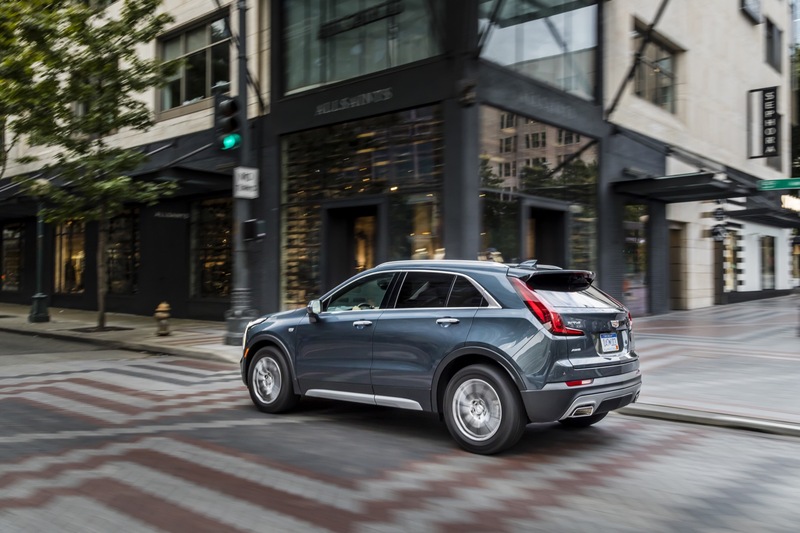 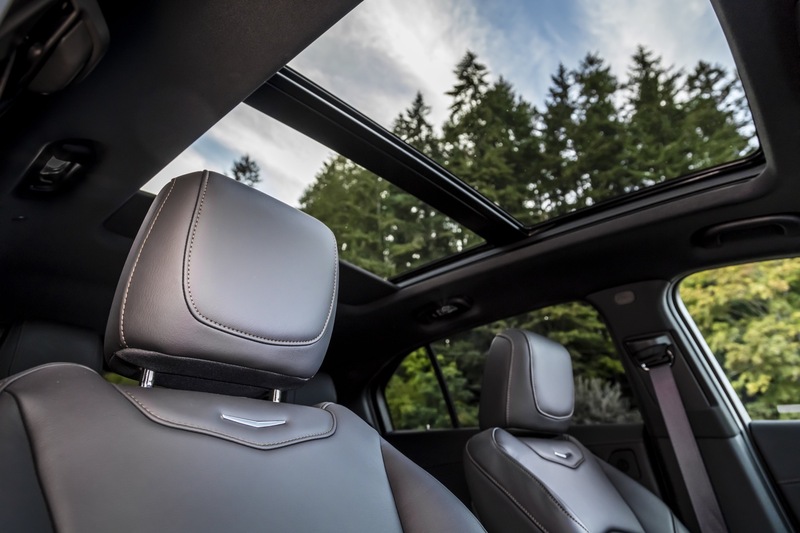 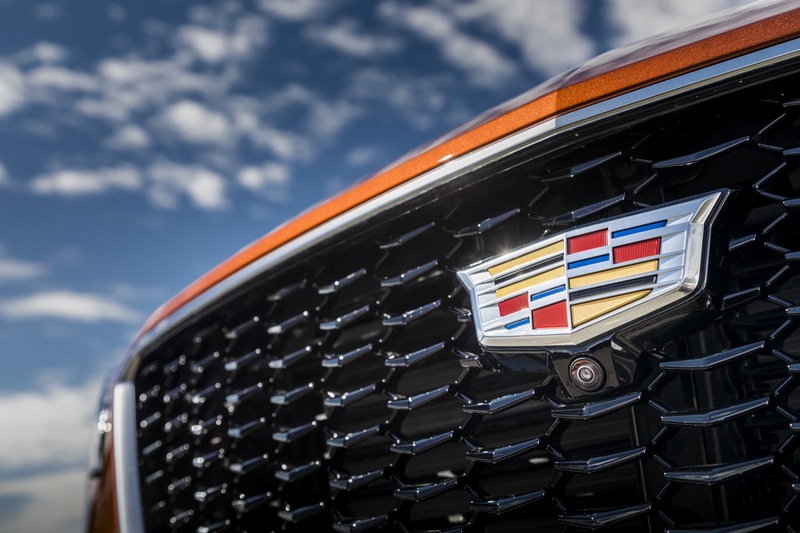 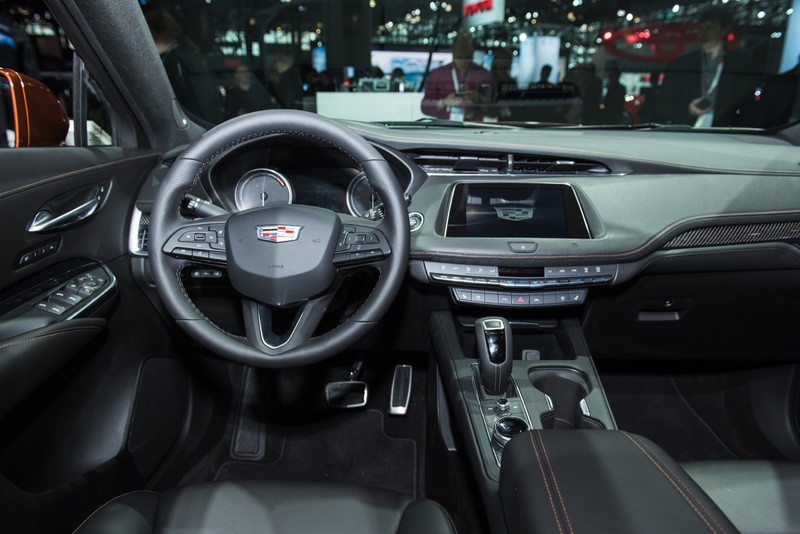 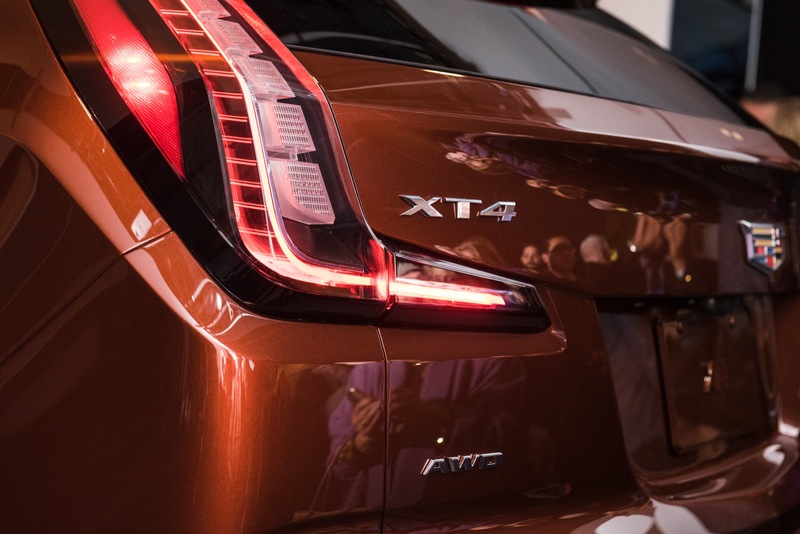 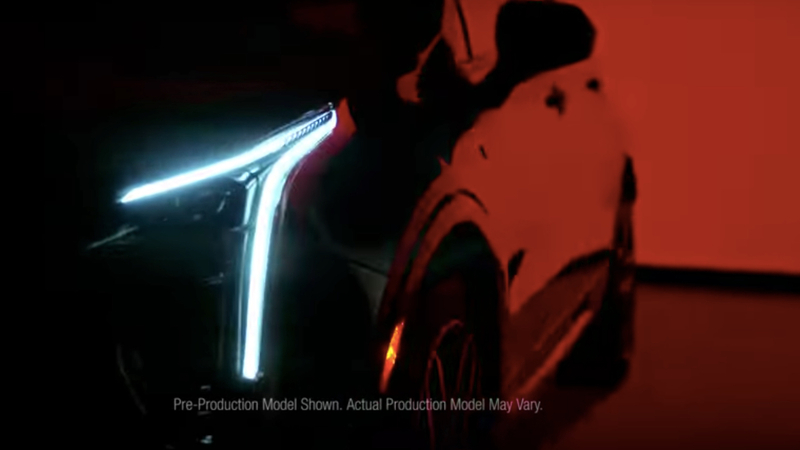 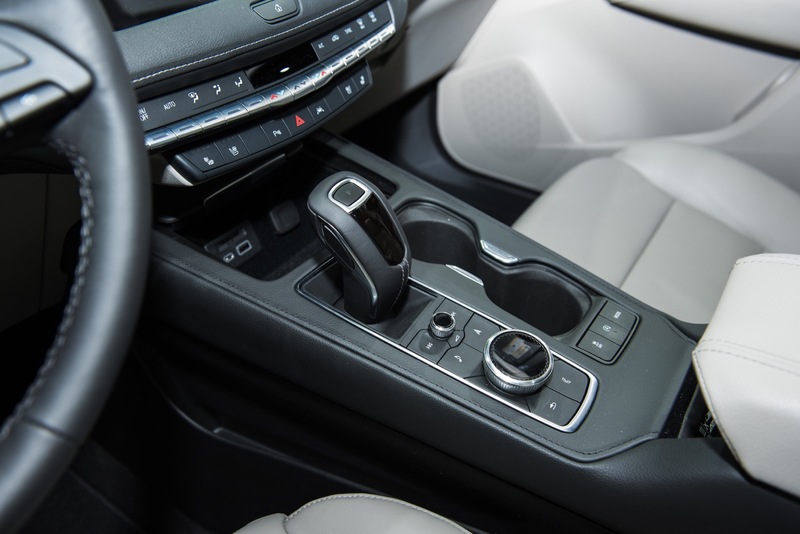 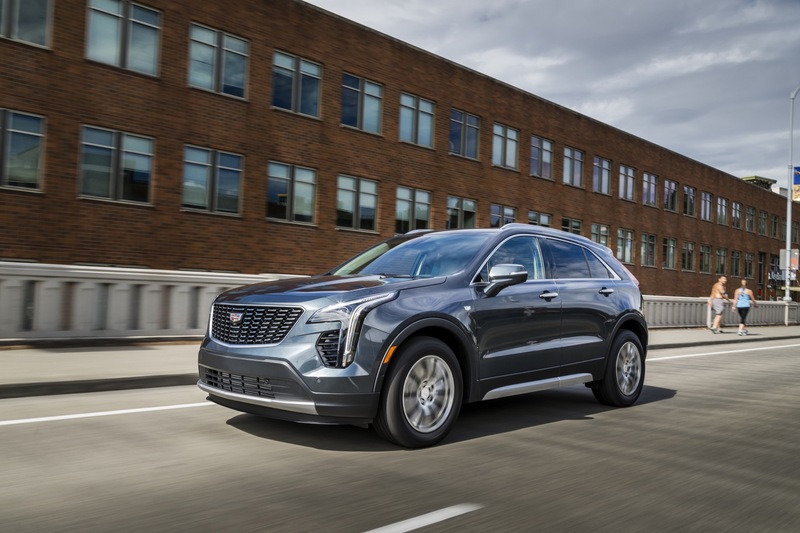 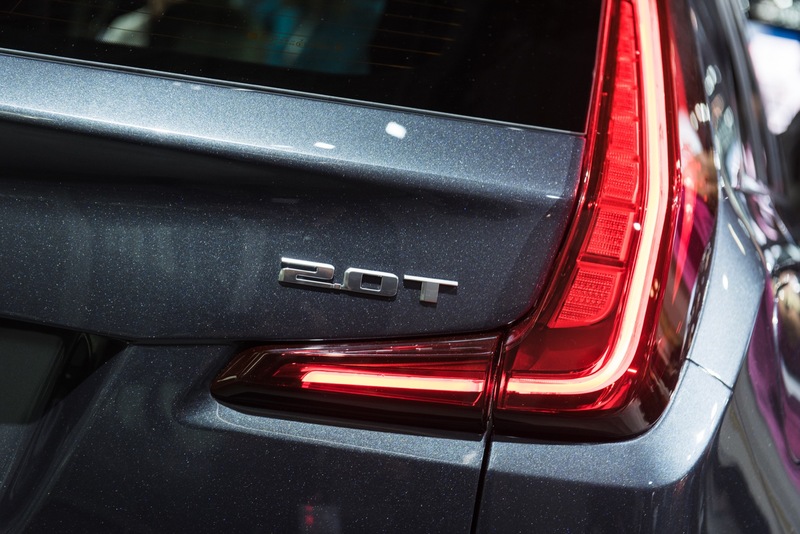 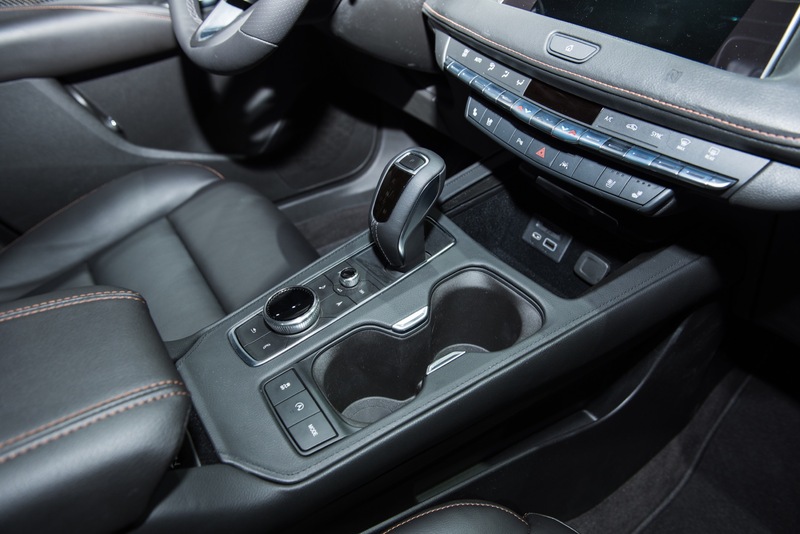 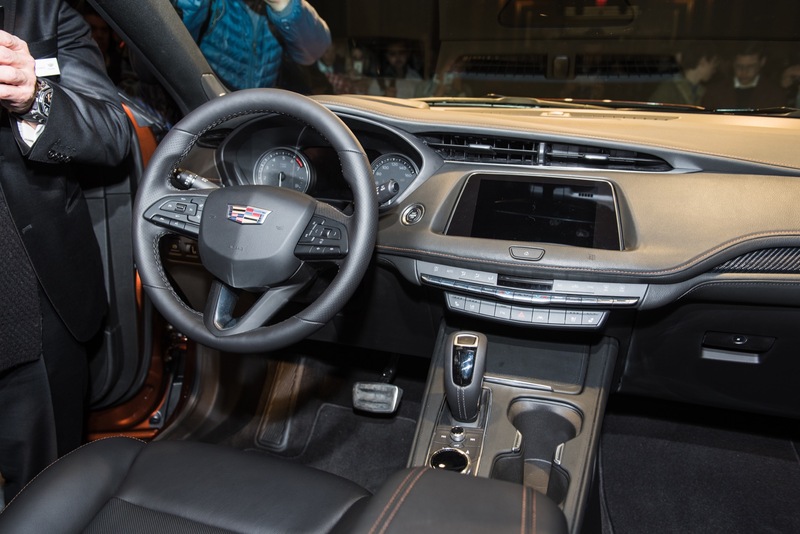 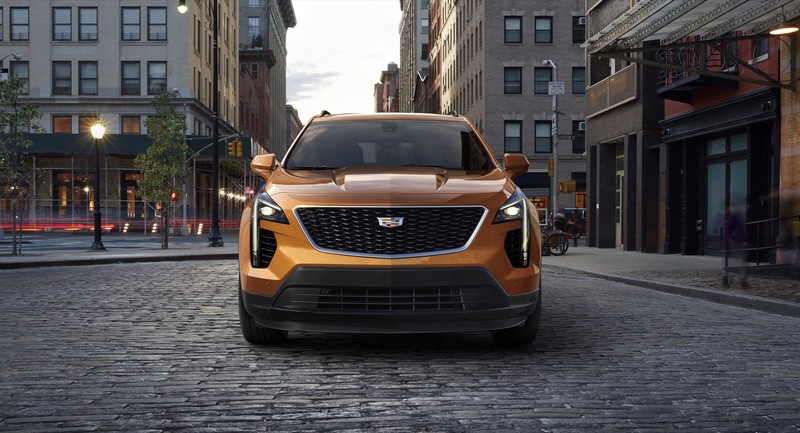 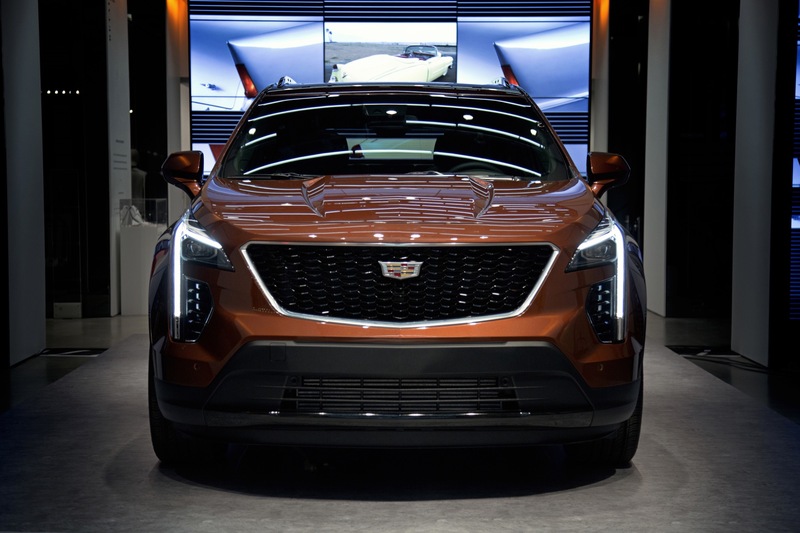 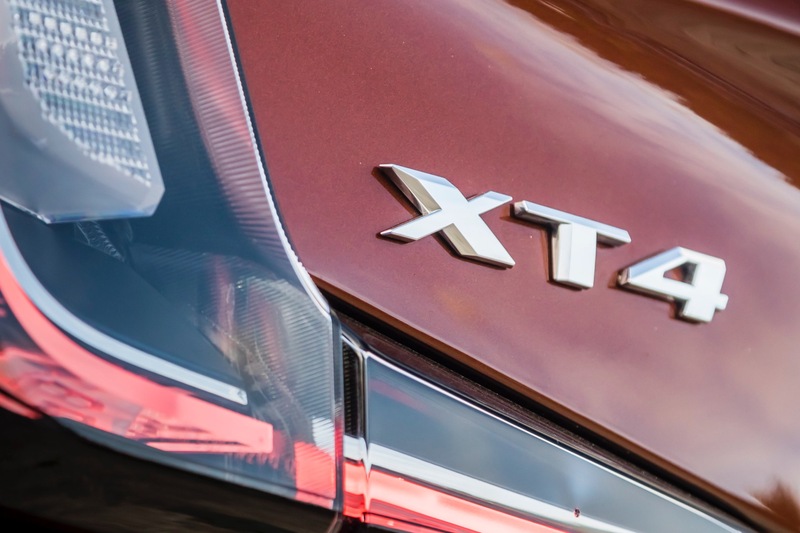 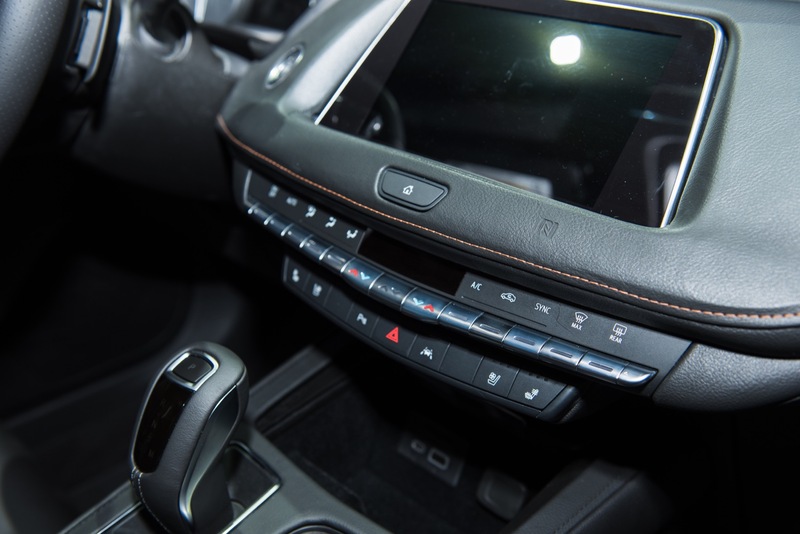 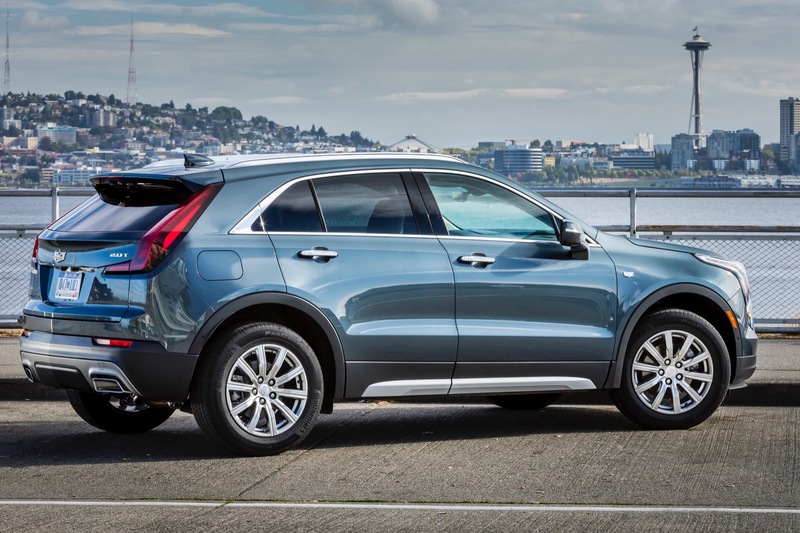 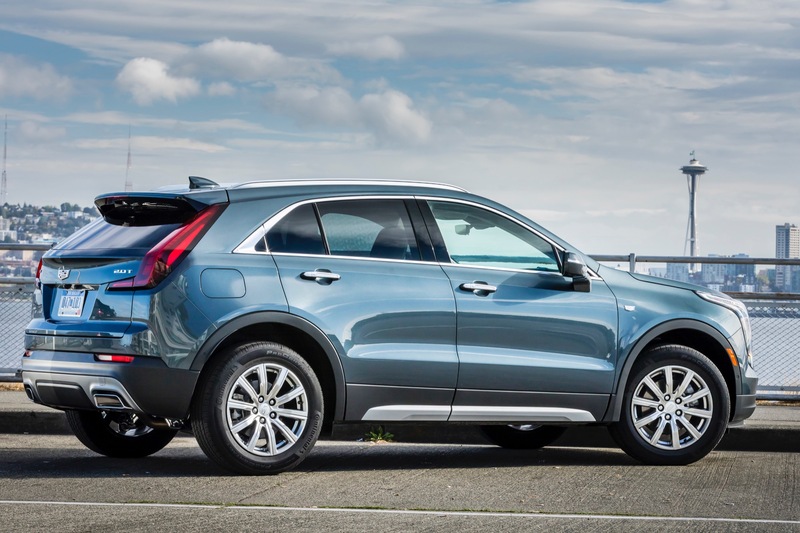 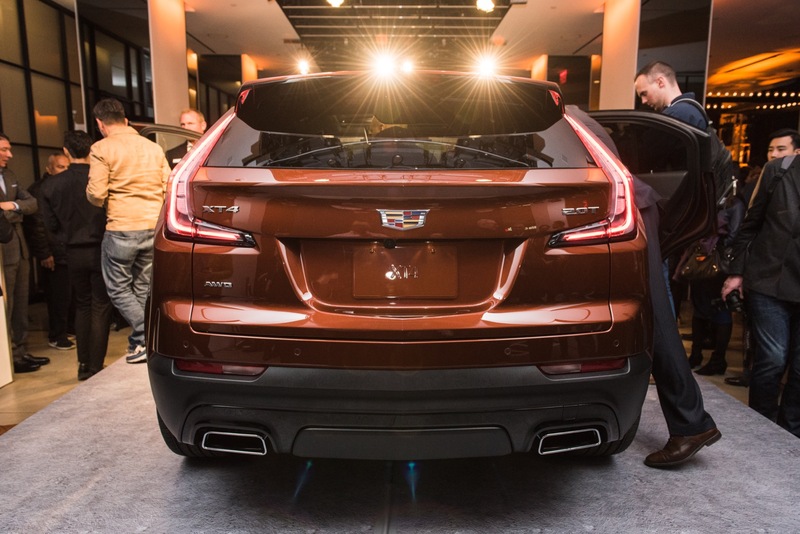 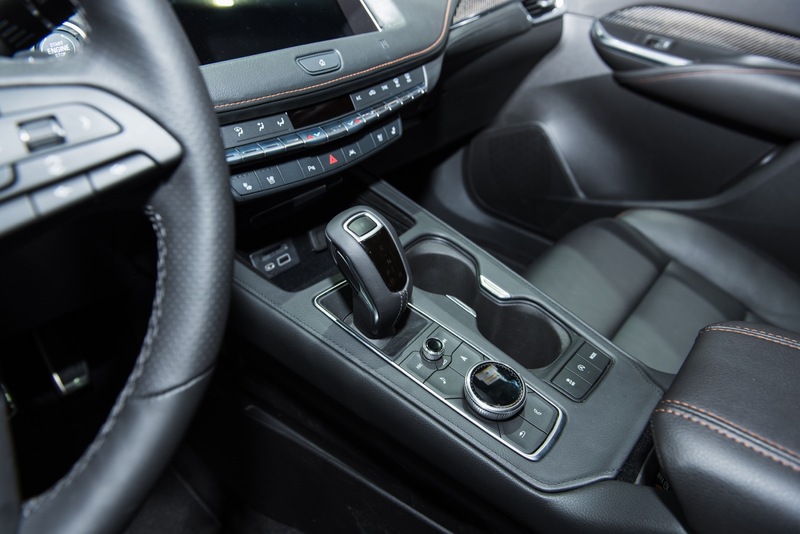 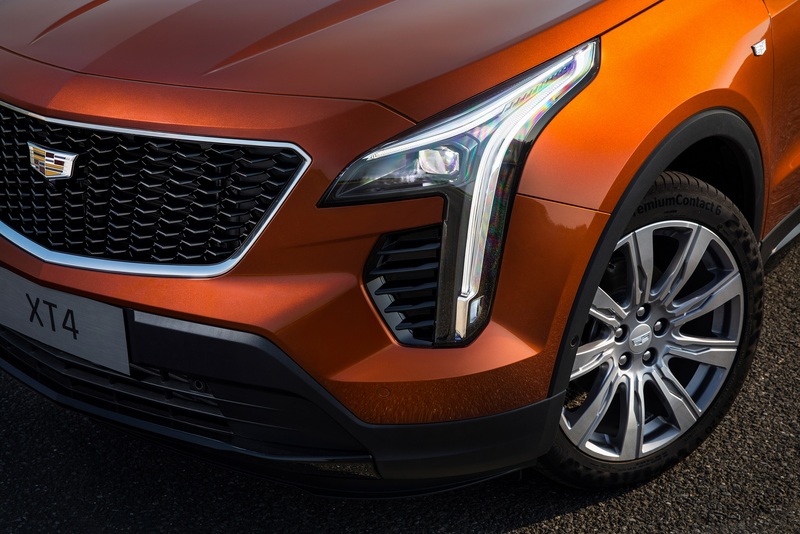 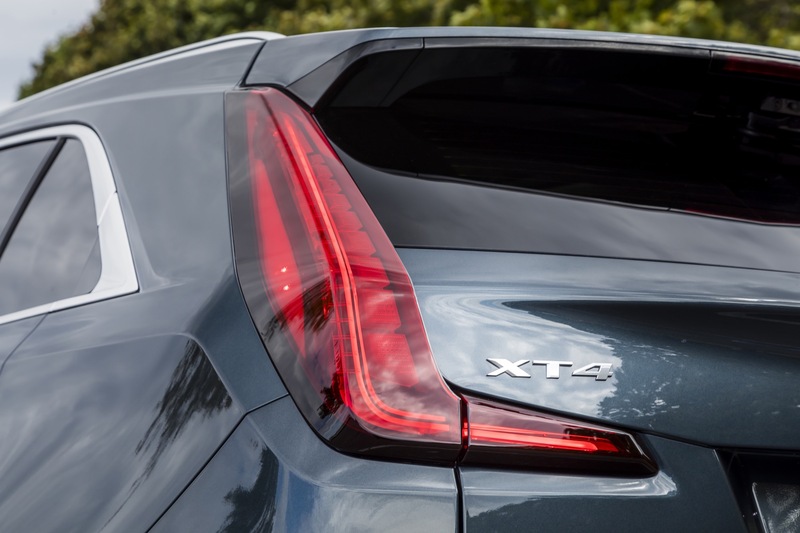 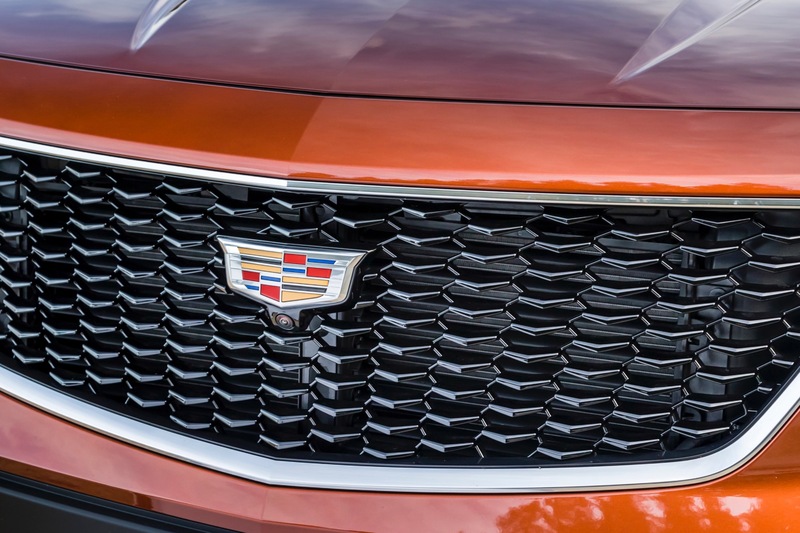 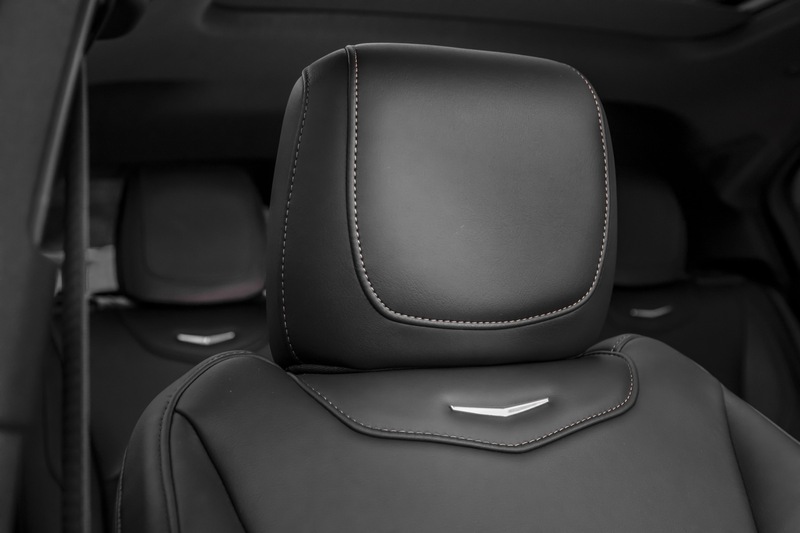 We are confident that XT4 will be placed on the preferred list thanks to its set of amenities in technology and connectivity, among other qualities, ” said Pedro Ruiz, Director of Marketing for General Motors of México, in a statement translated from Spanish. 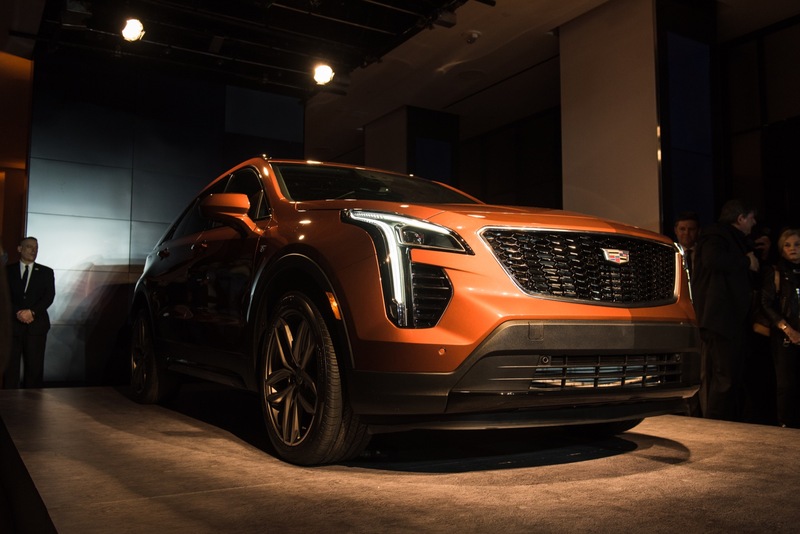 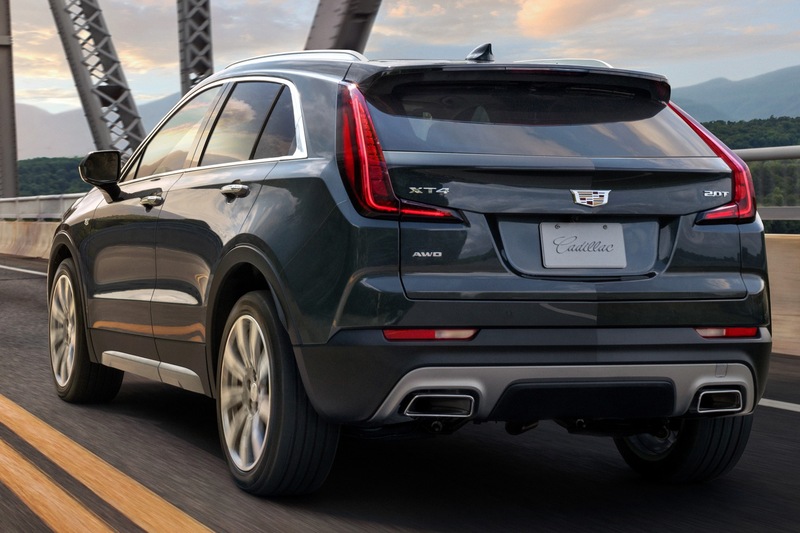 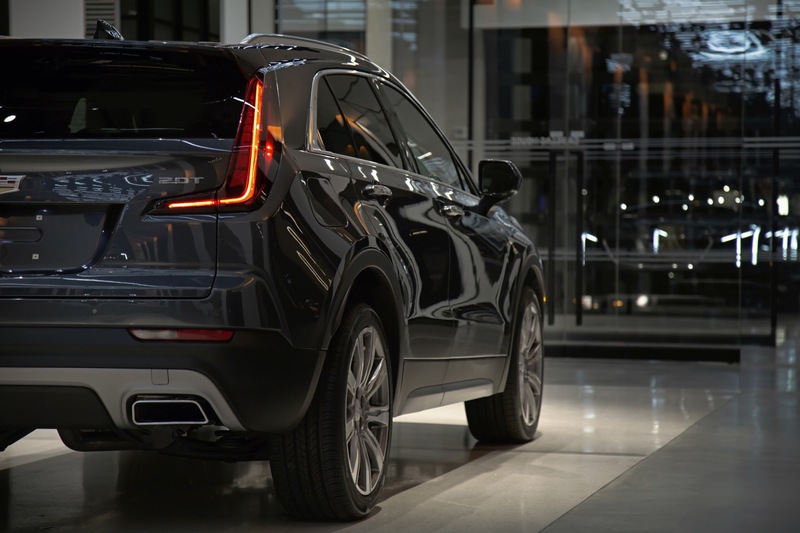 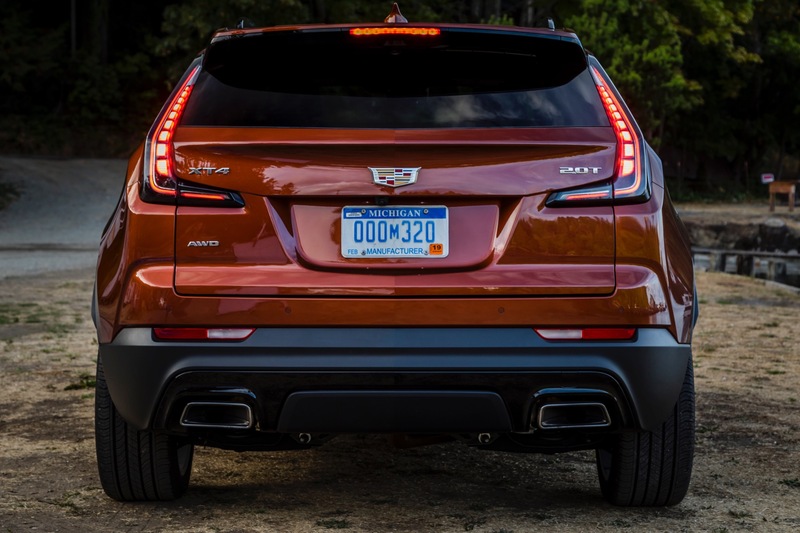 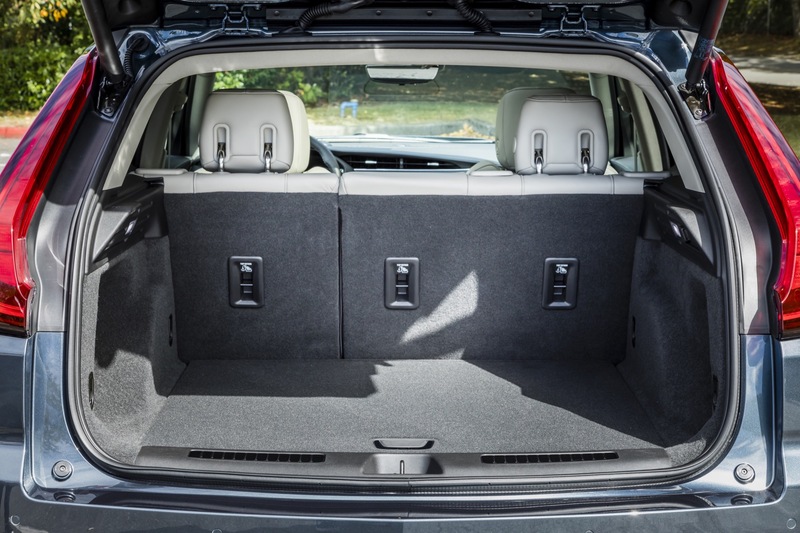 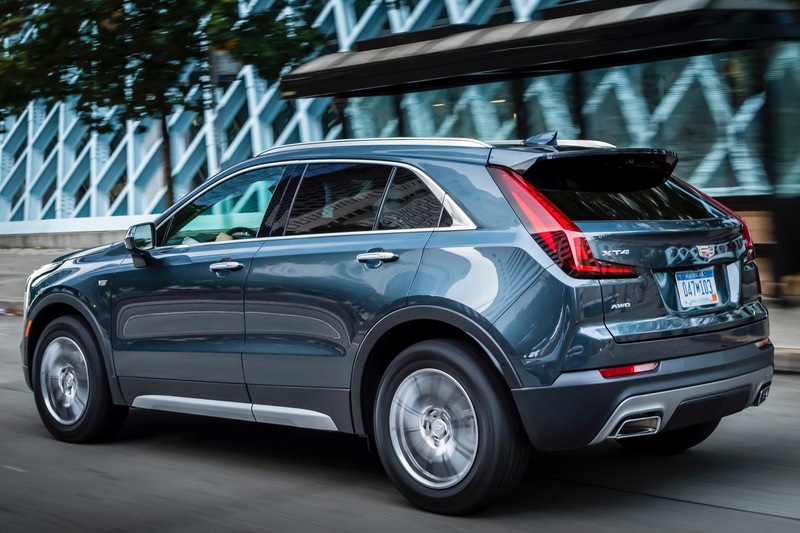 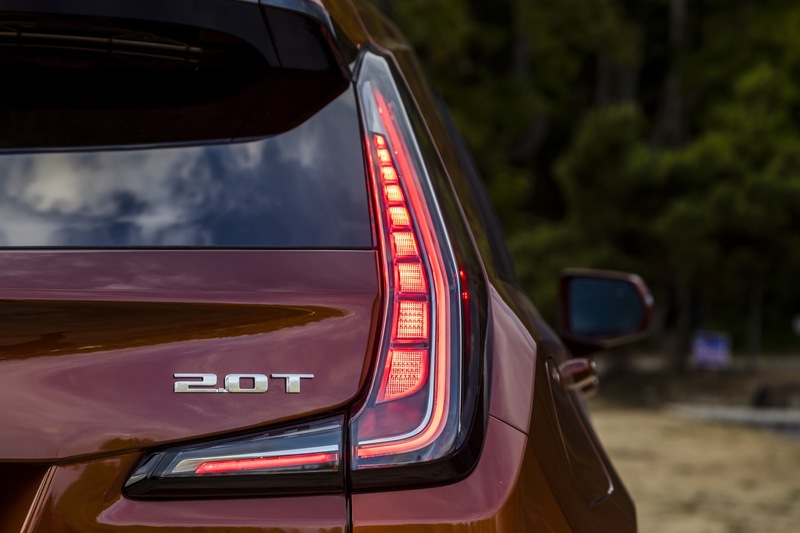 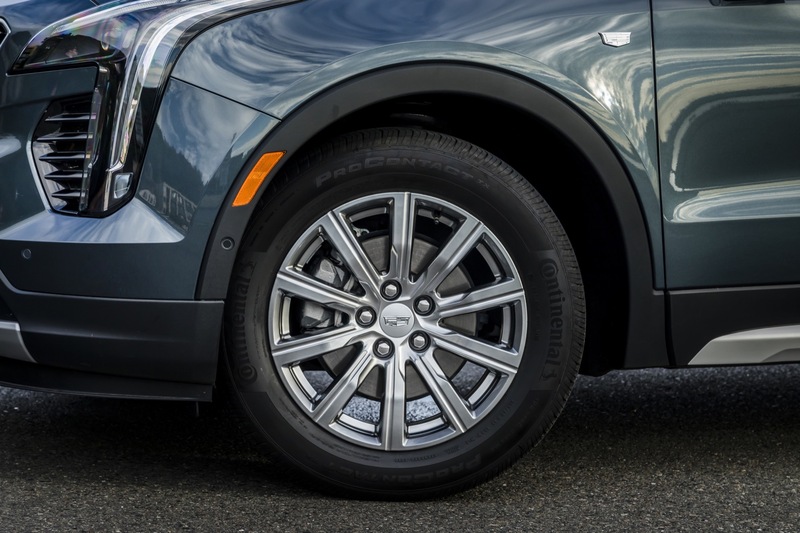 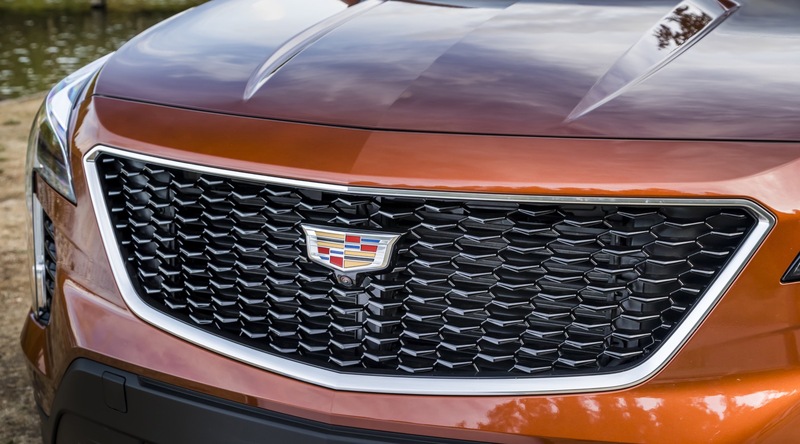 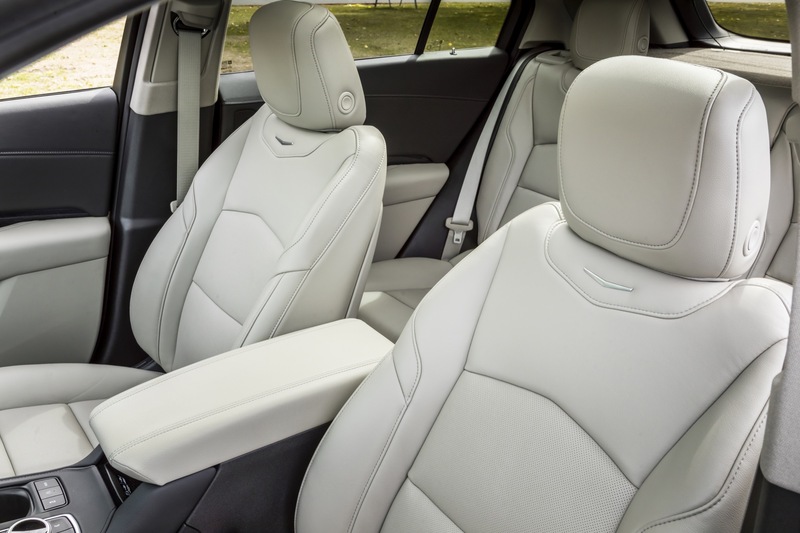 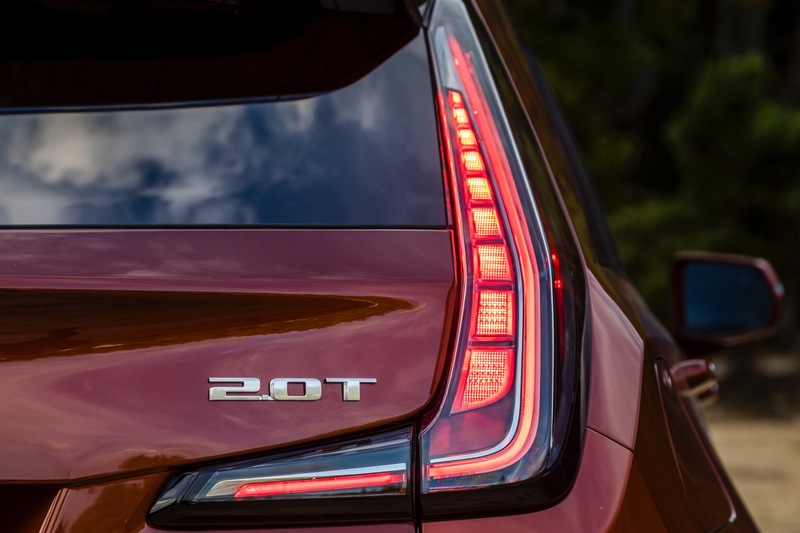 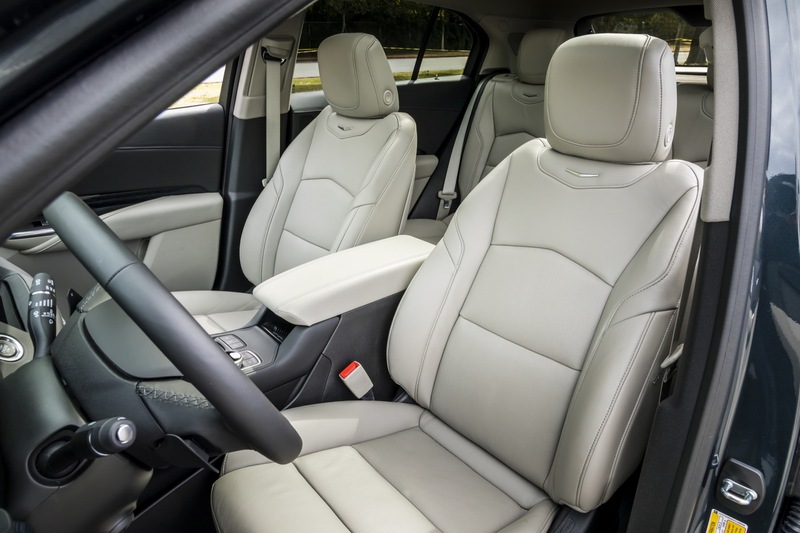 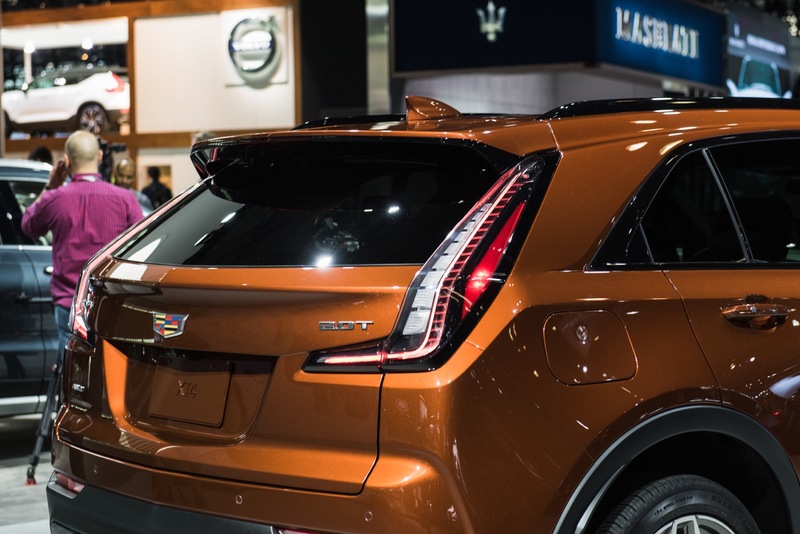 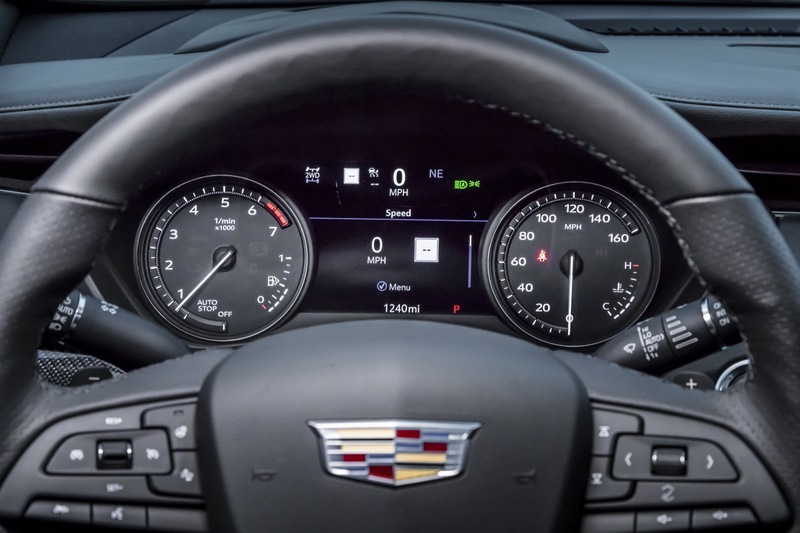 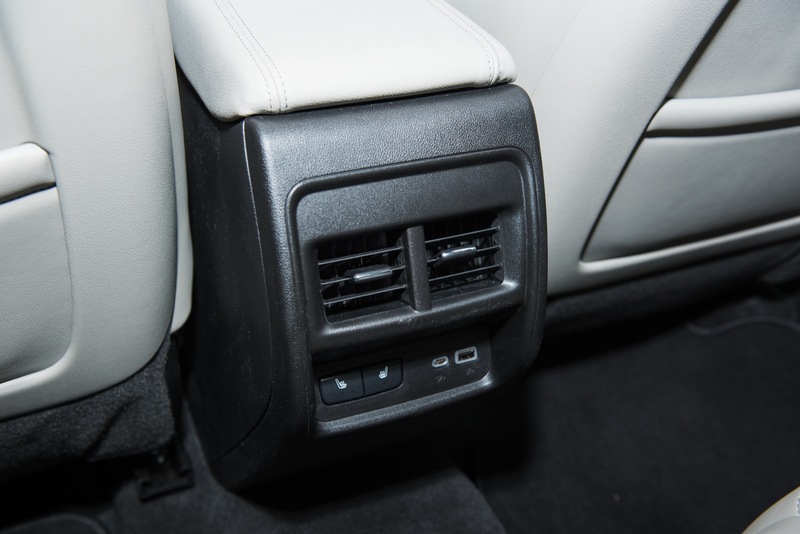 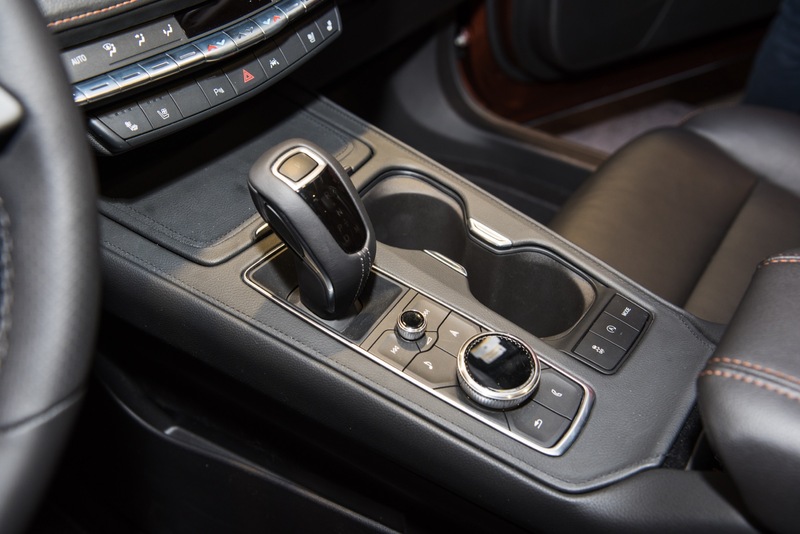 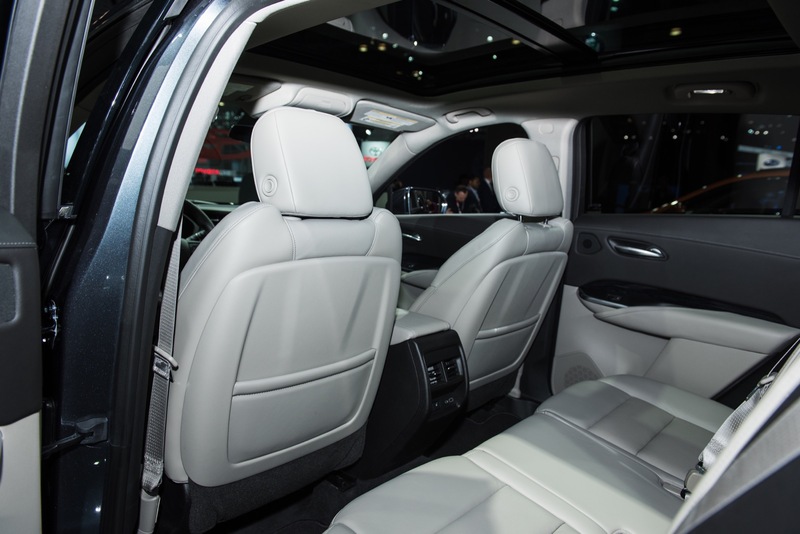 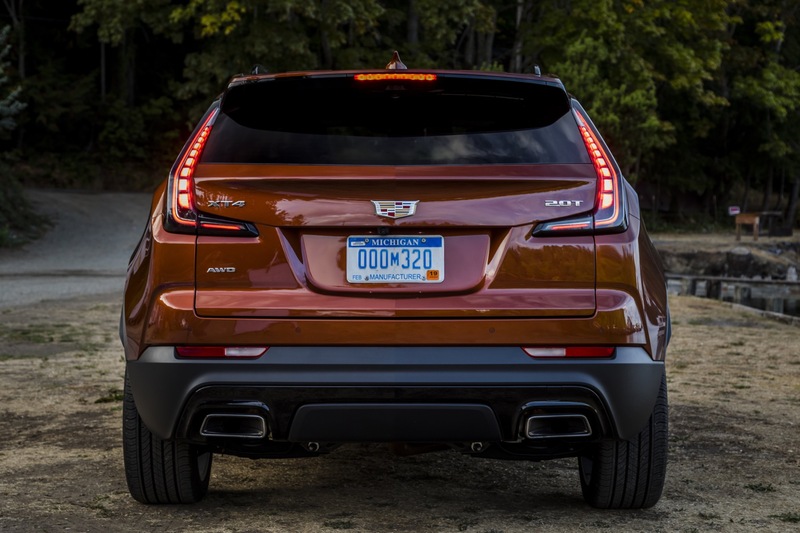 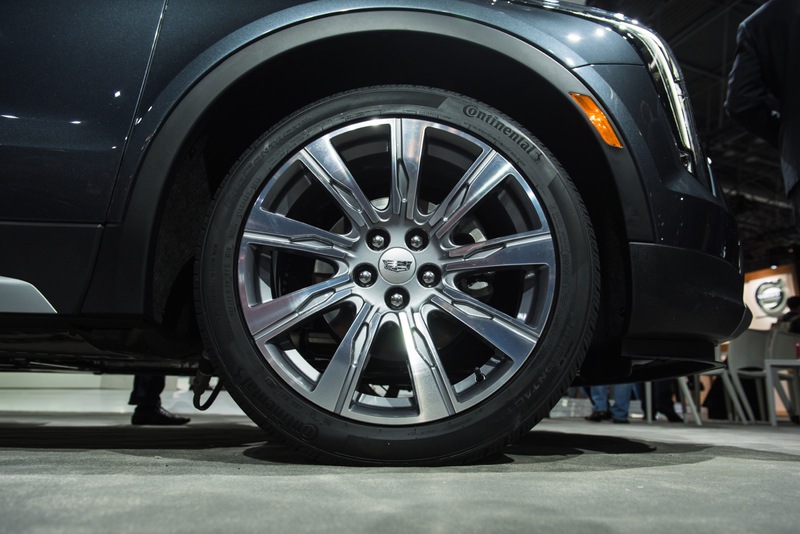 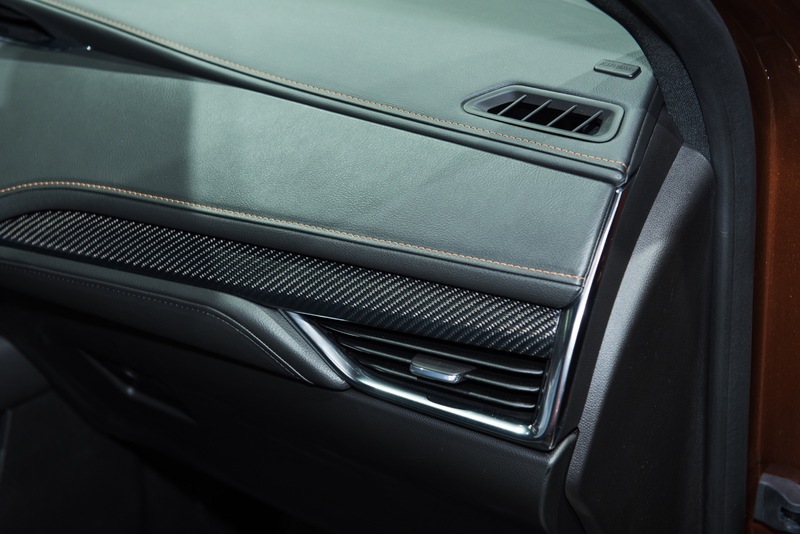 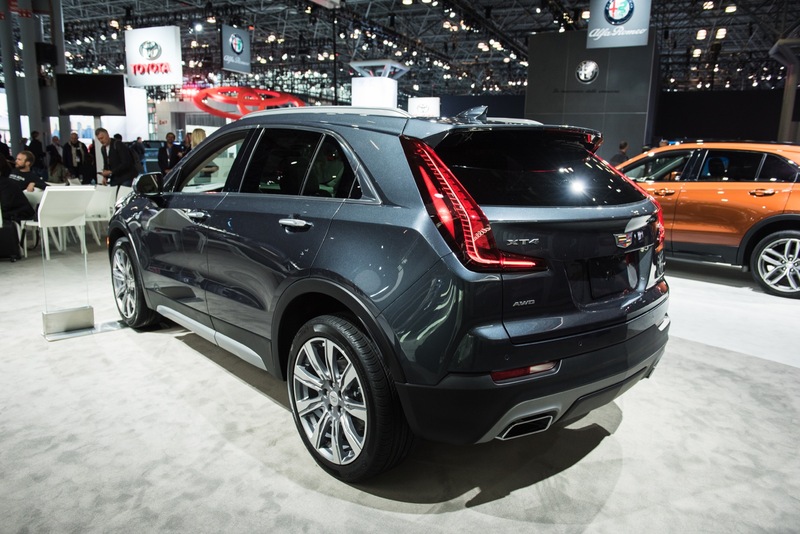 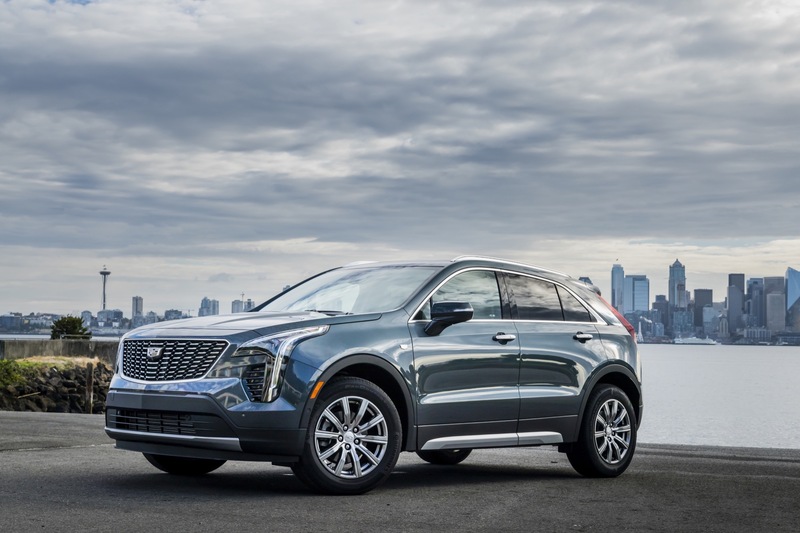 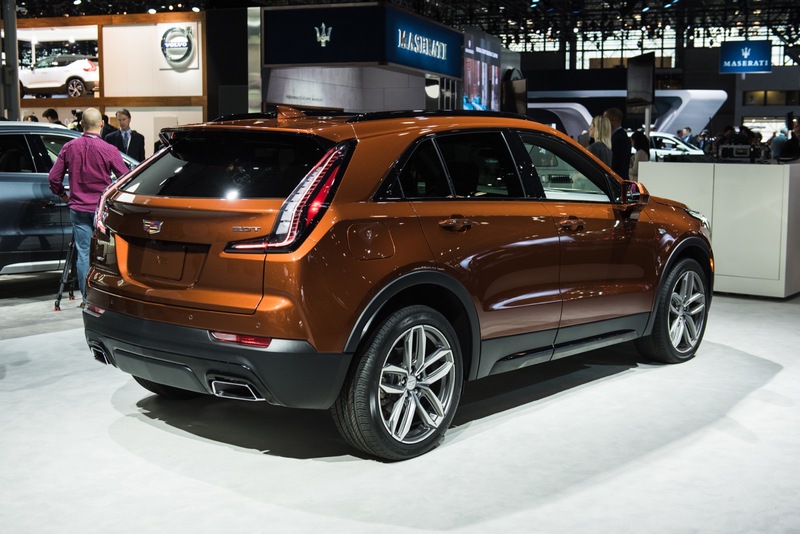 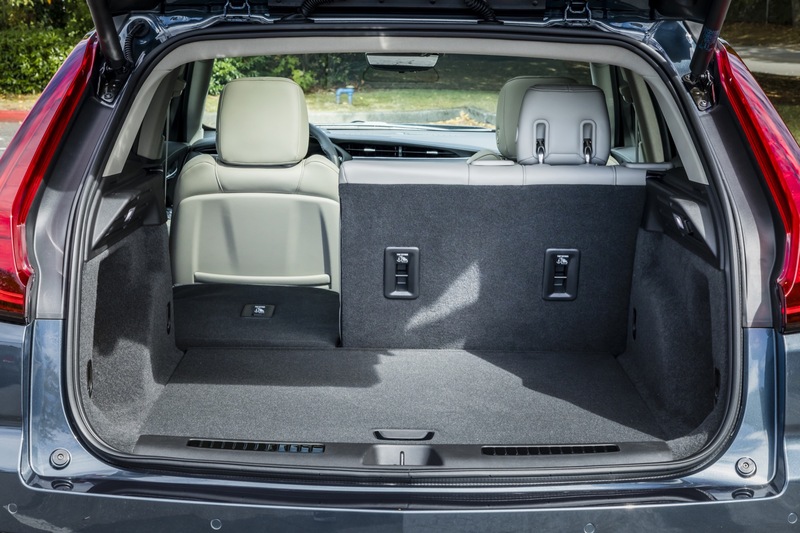 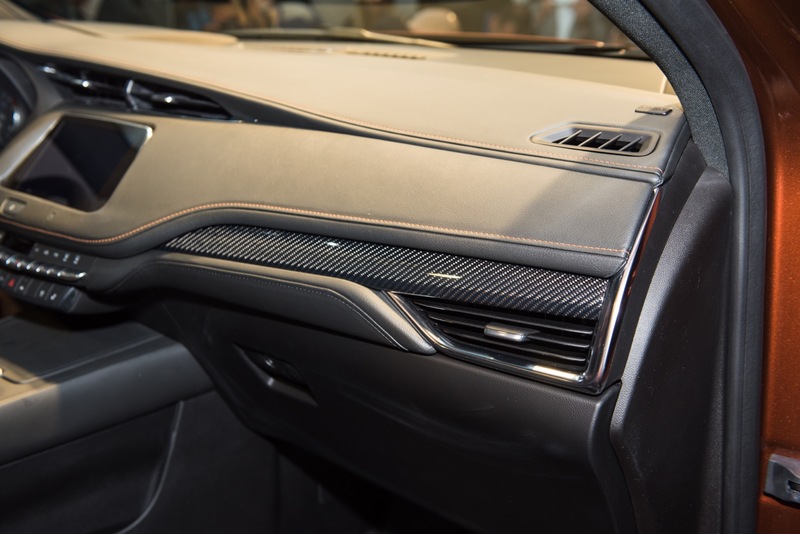 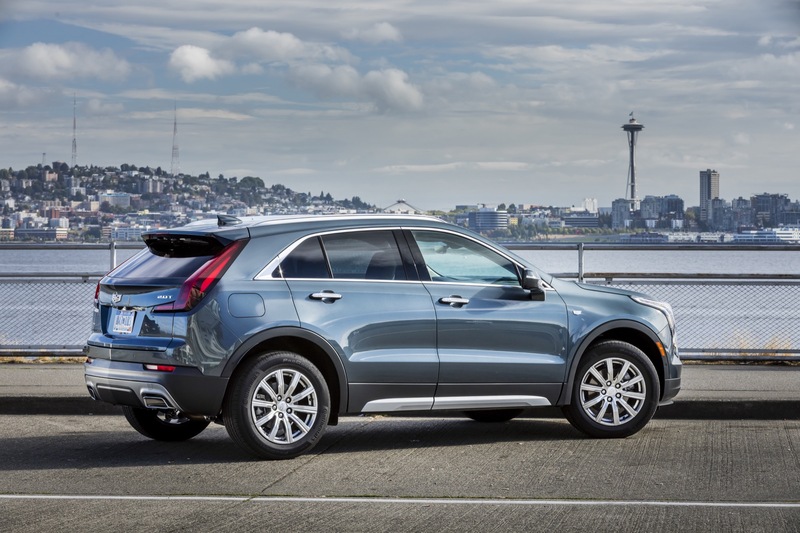 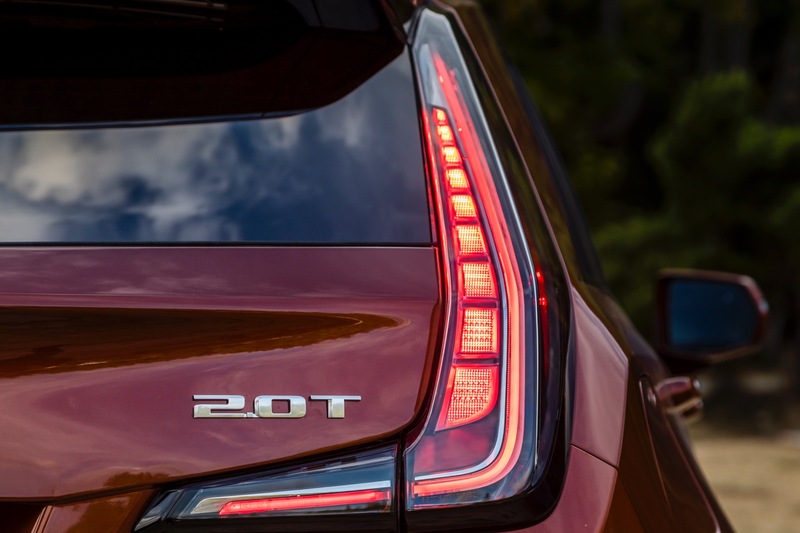 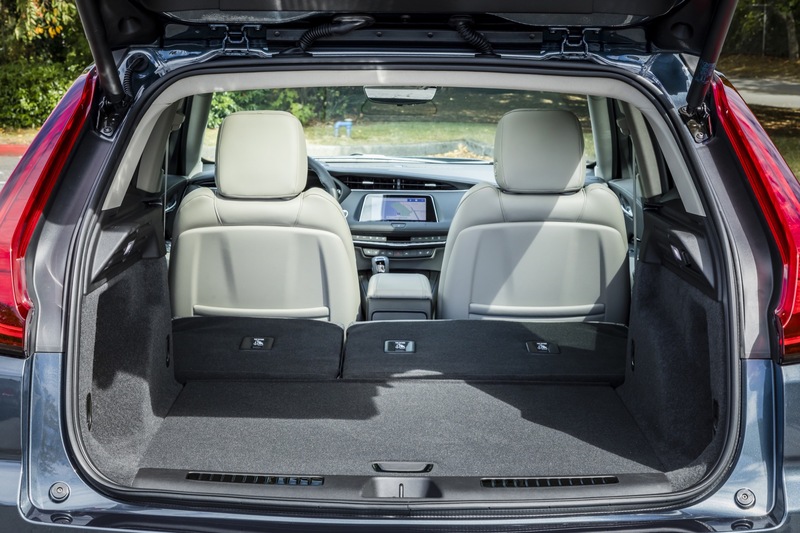 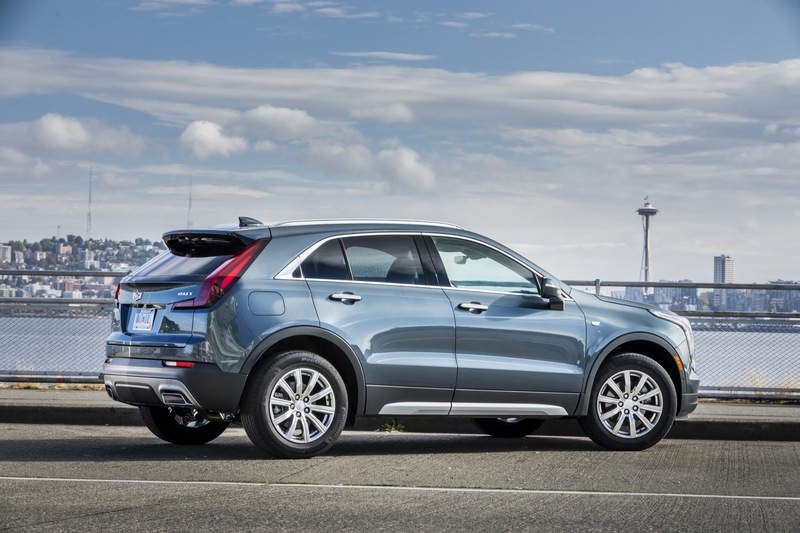 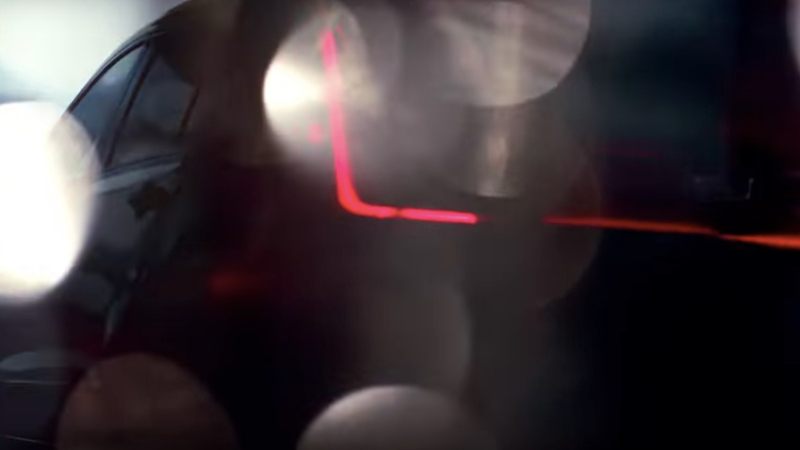 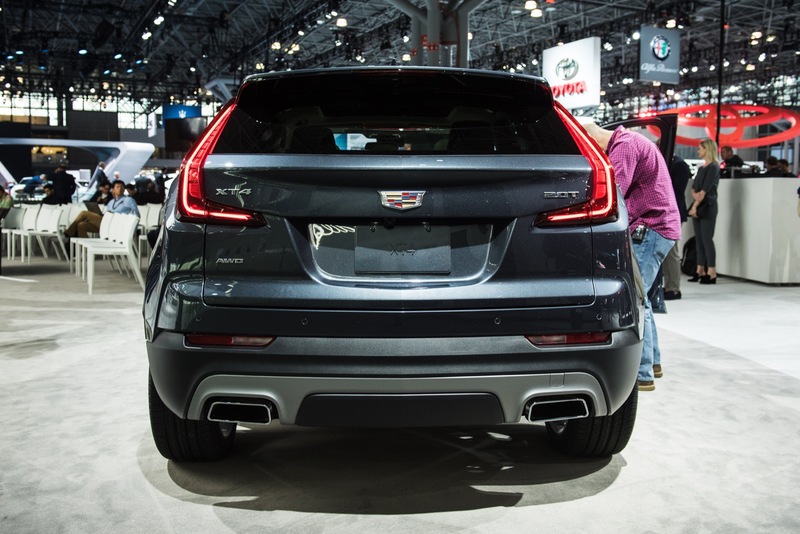 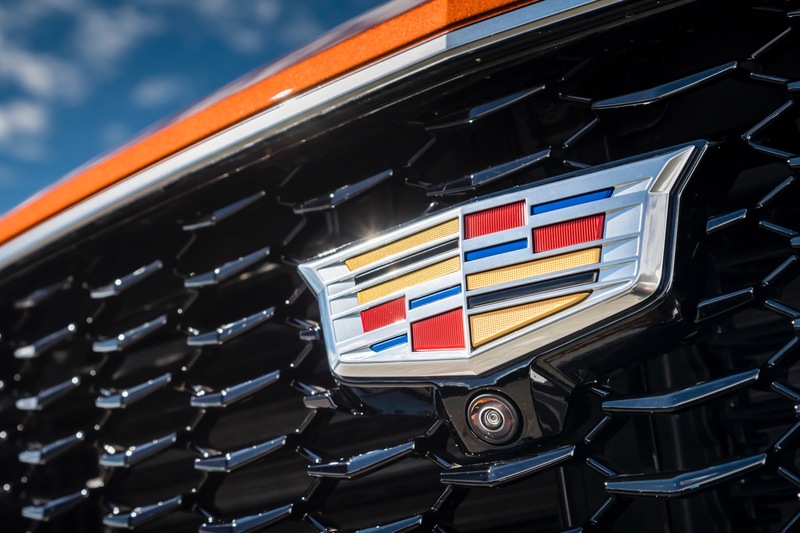 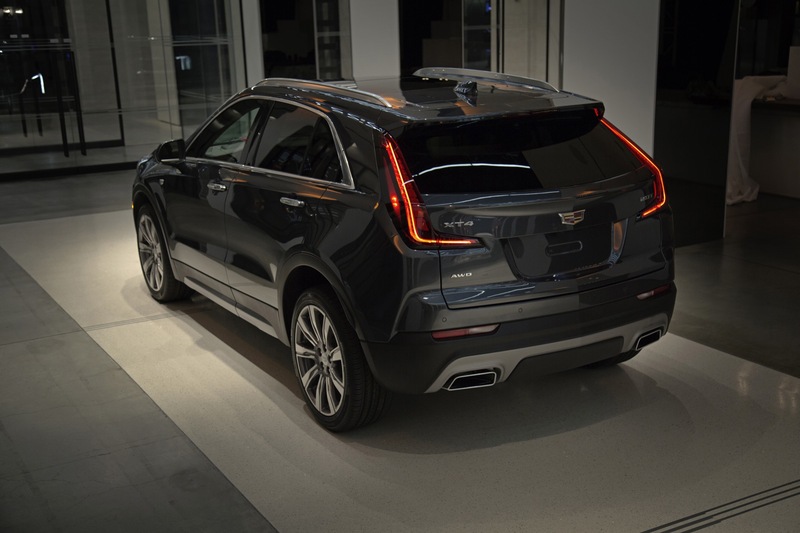 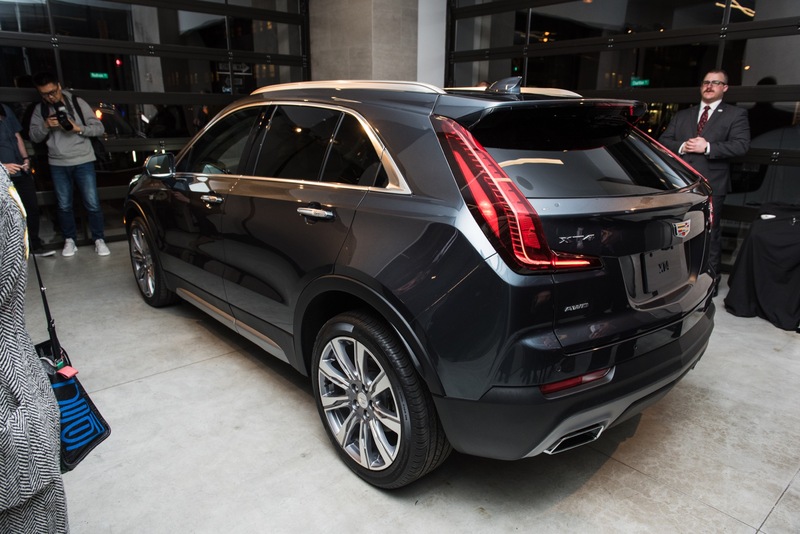 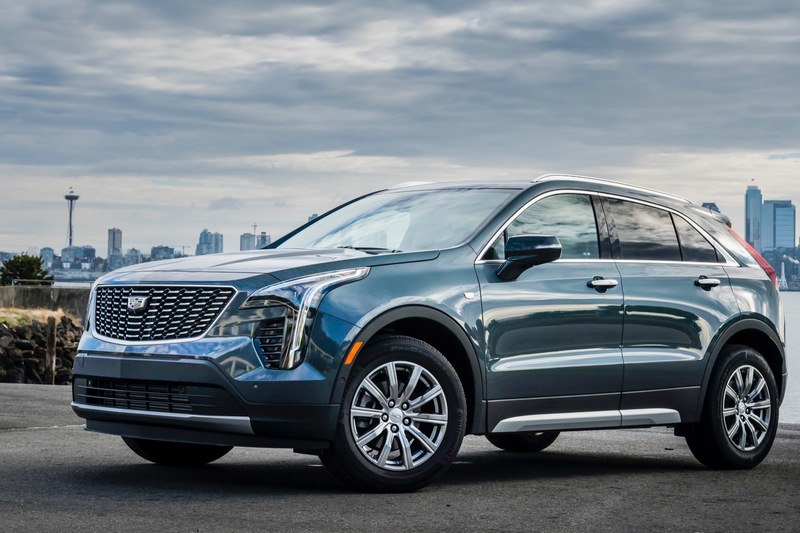 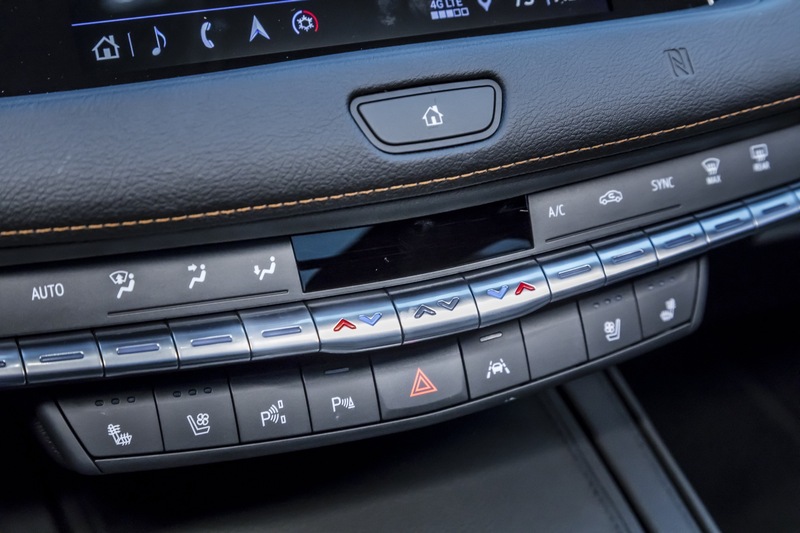 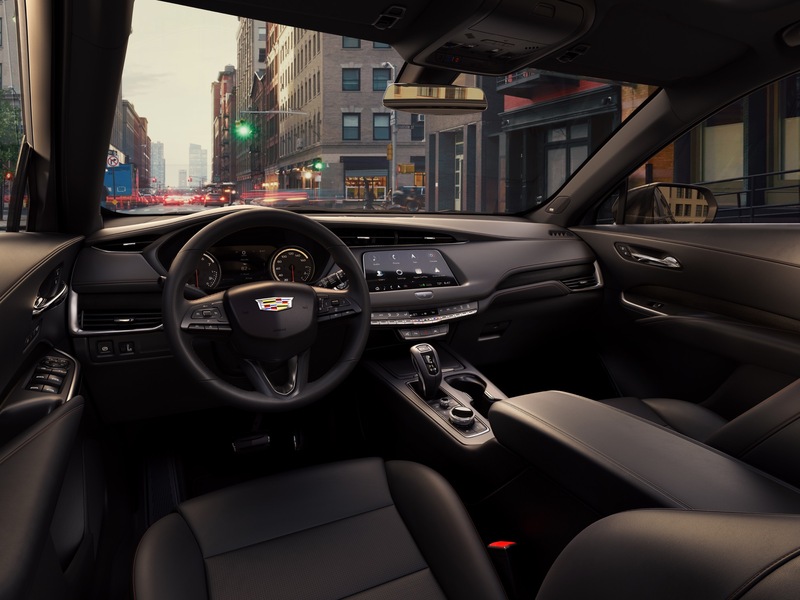 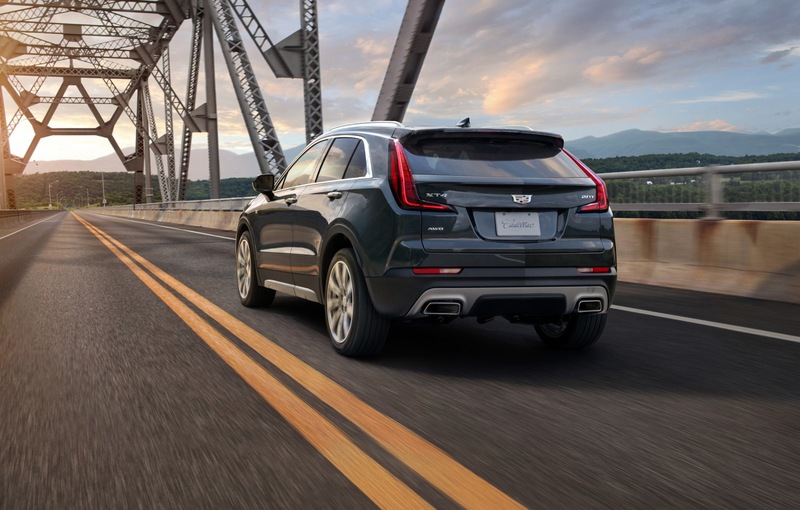 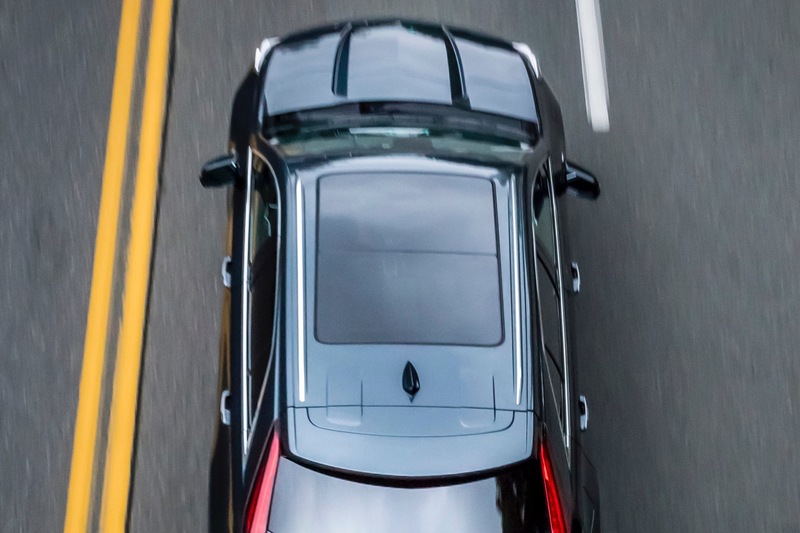 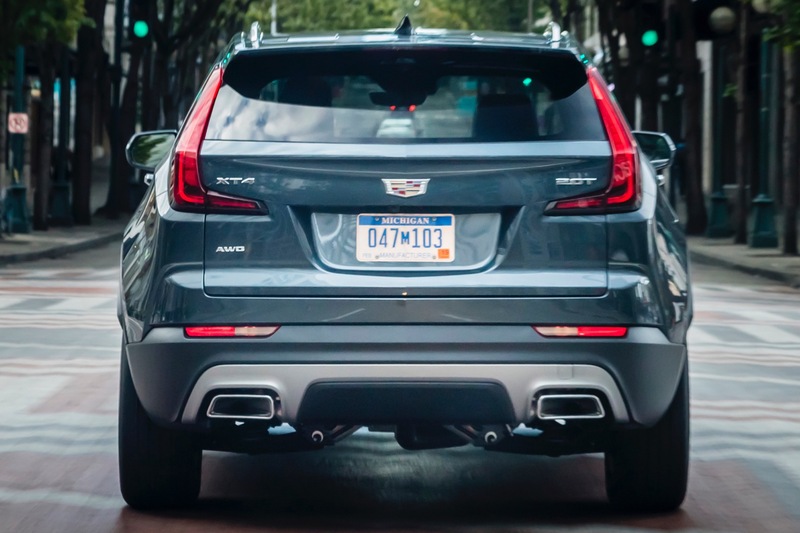 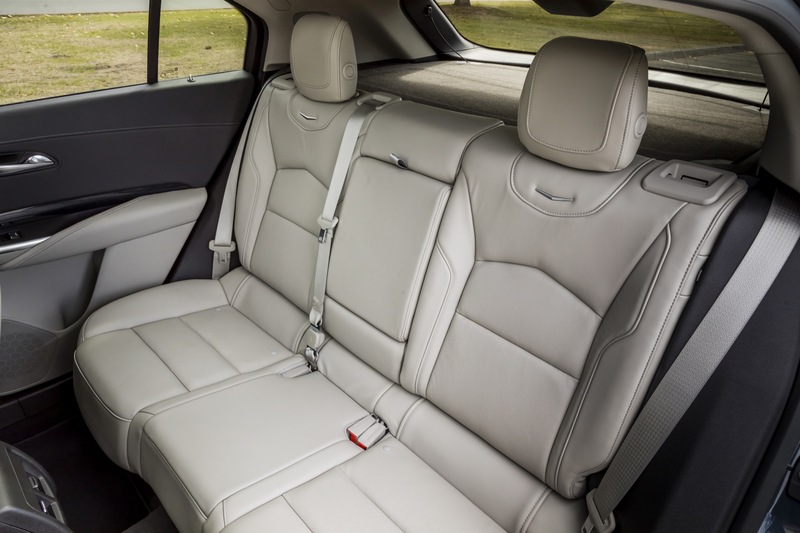 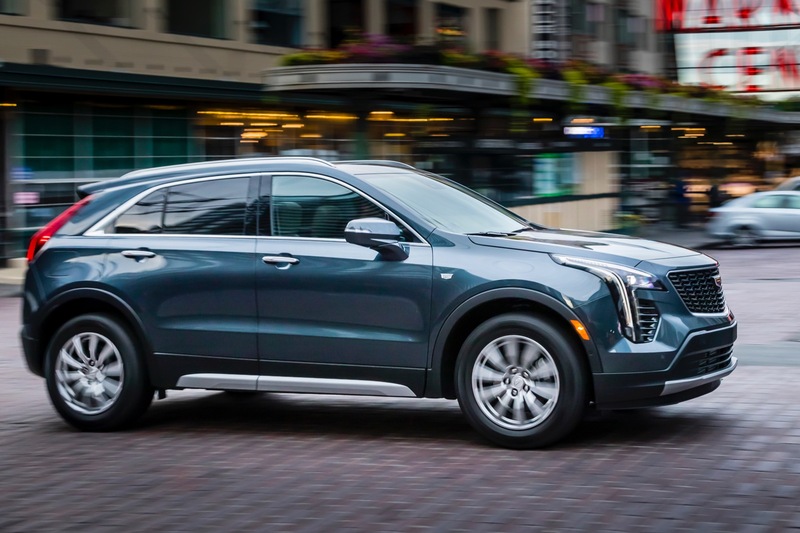 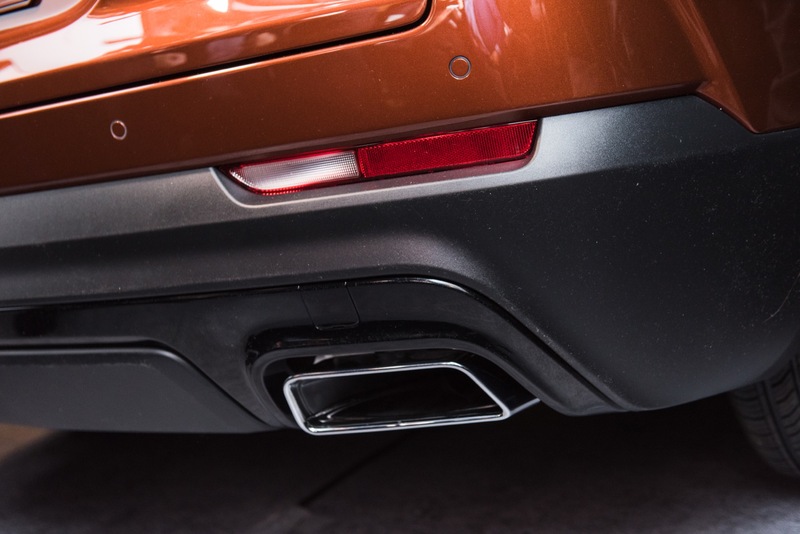 Mechanically, the 2019 Cadillac XT4 is powered by the new Cadillac LSY 2.0L Turbo engine that generates 237 horsepower and 258 pound-feet of torque coupled with a nine-speed automatic transmission. 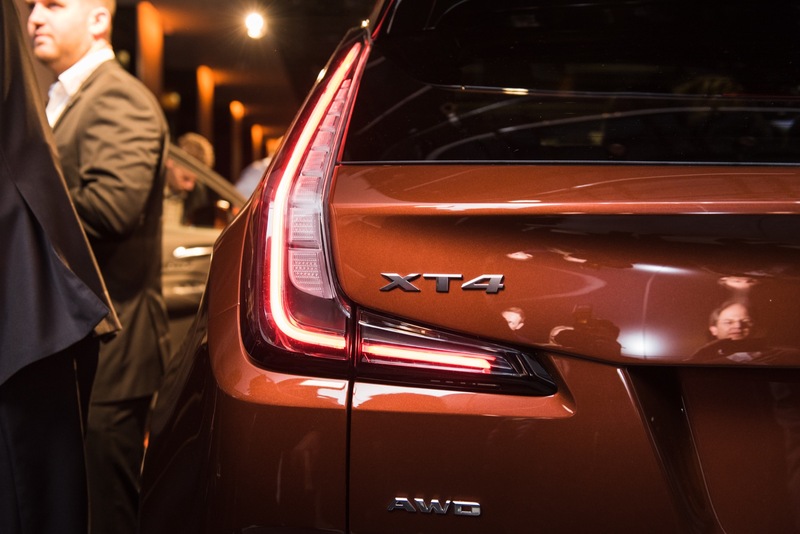 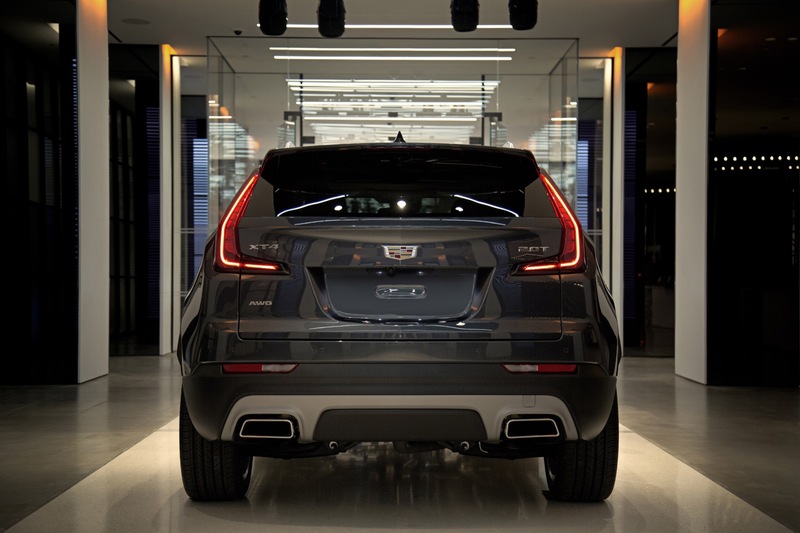 The duo is the only XT4 powertrain combination available so far in all markets, including Mexico. 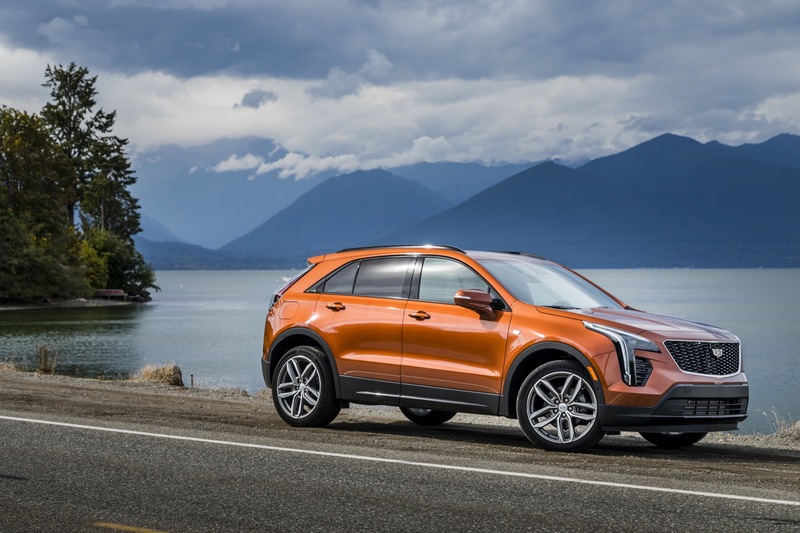 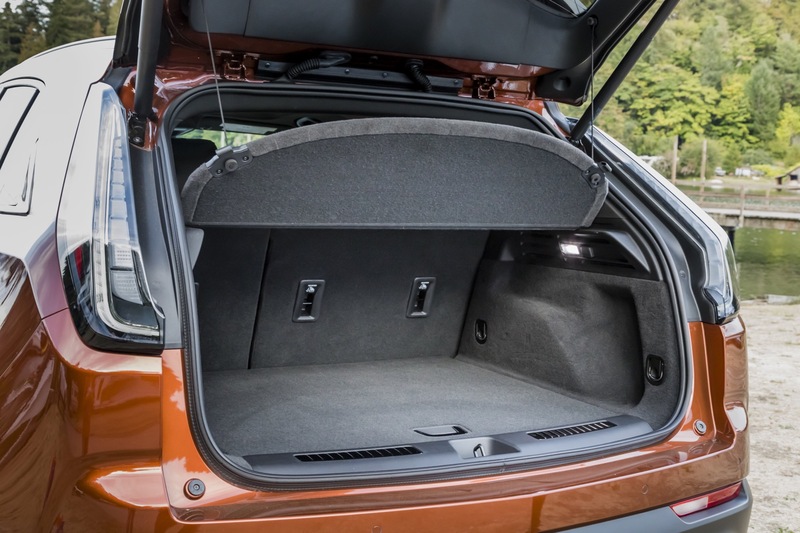 Initially, the Mexico-market XT4 will be sold exclusively in the following configuration: front-wheel drive (FWD), 18-inch aluminum wheels, seven exterior colors and two interior combinations. 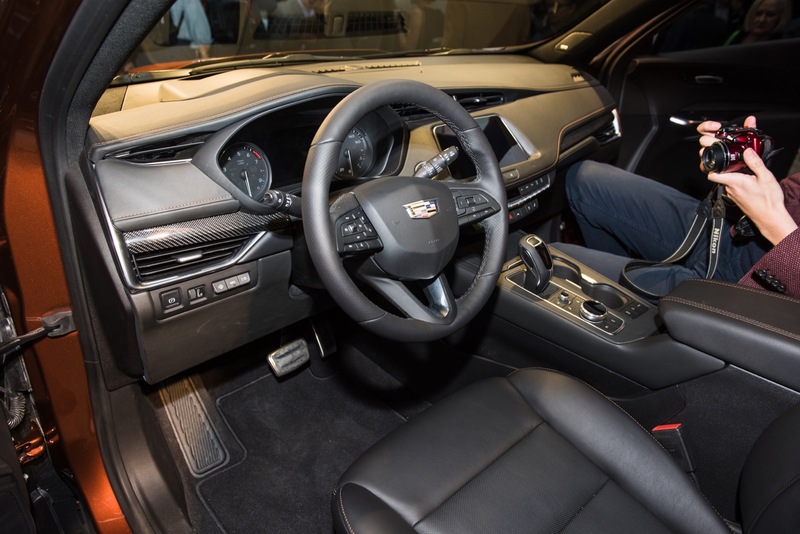 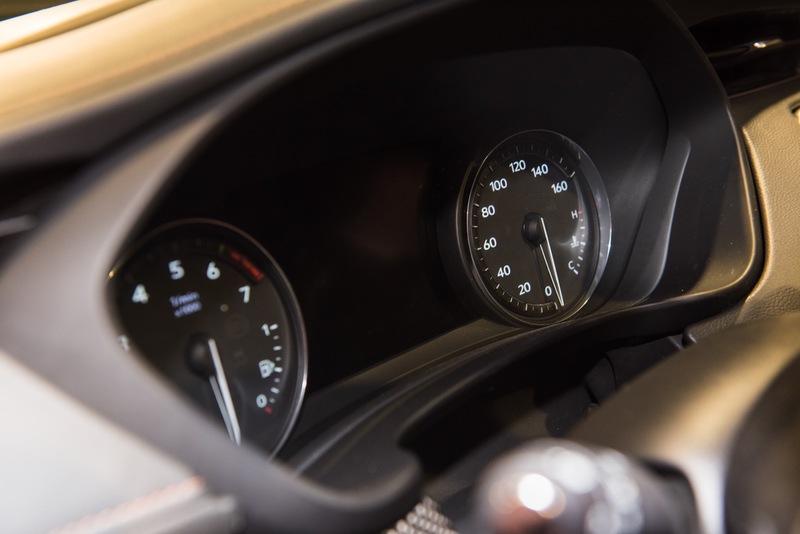 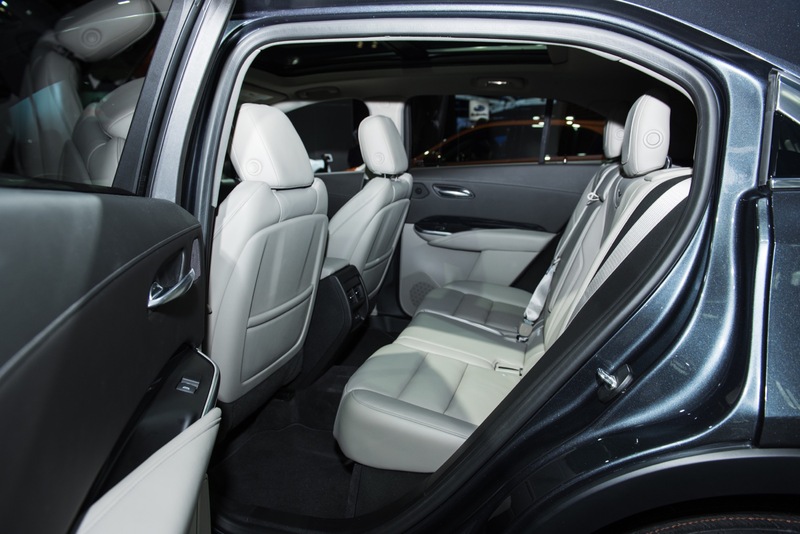 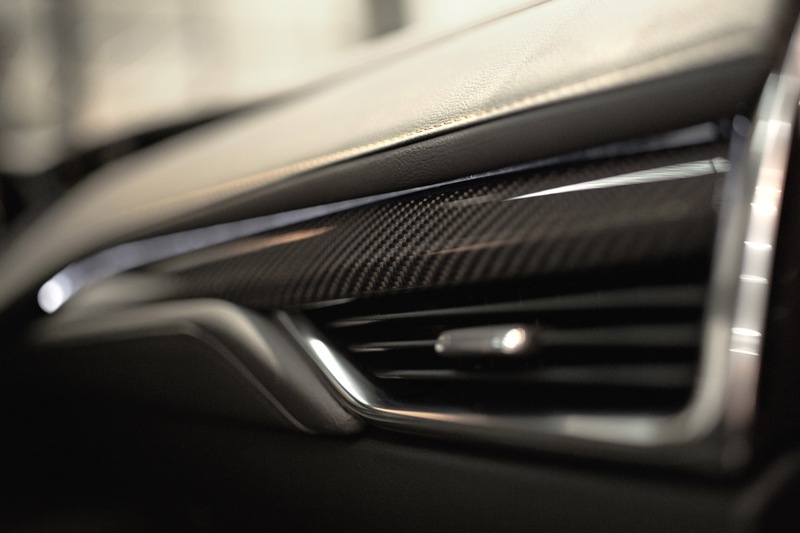 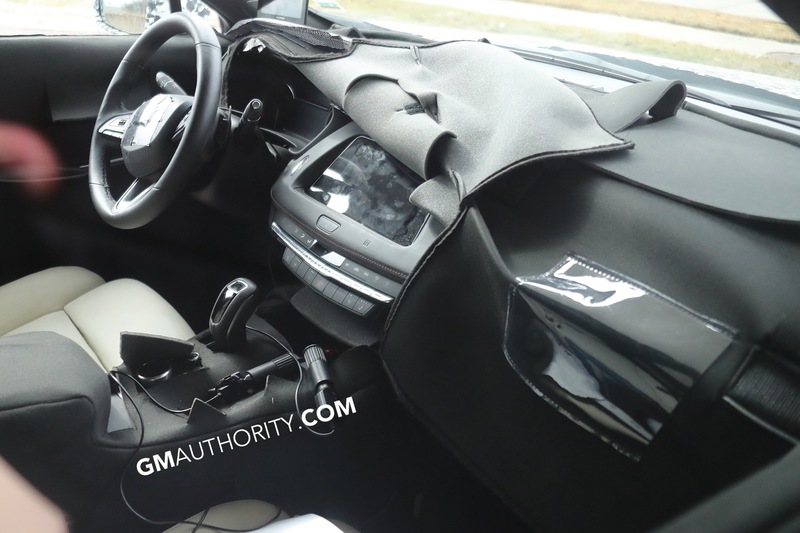 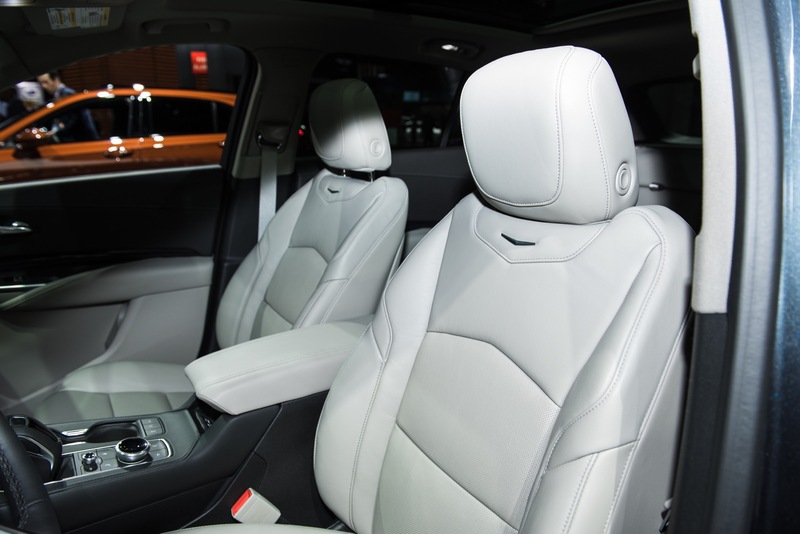 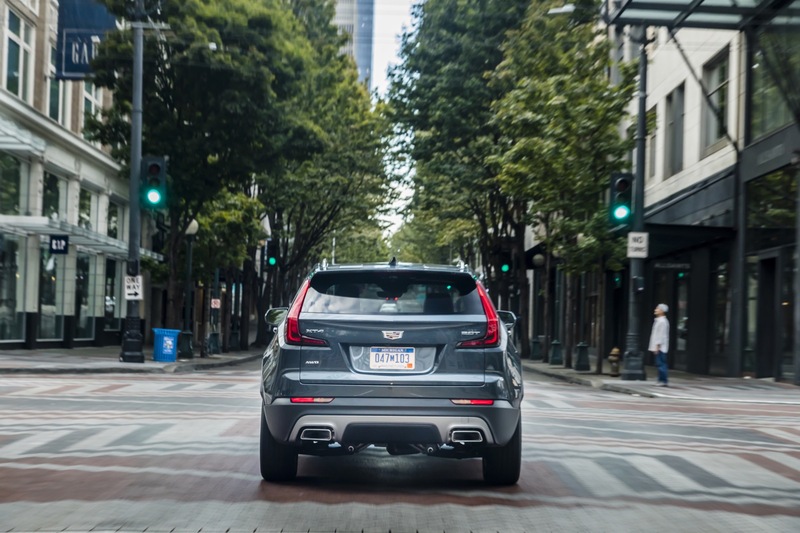 In addition, the vehicle will be offered with available technological and safety equipment. 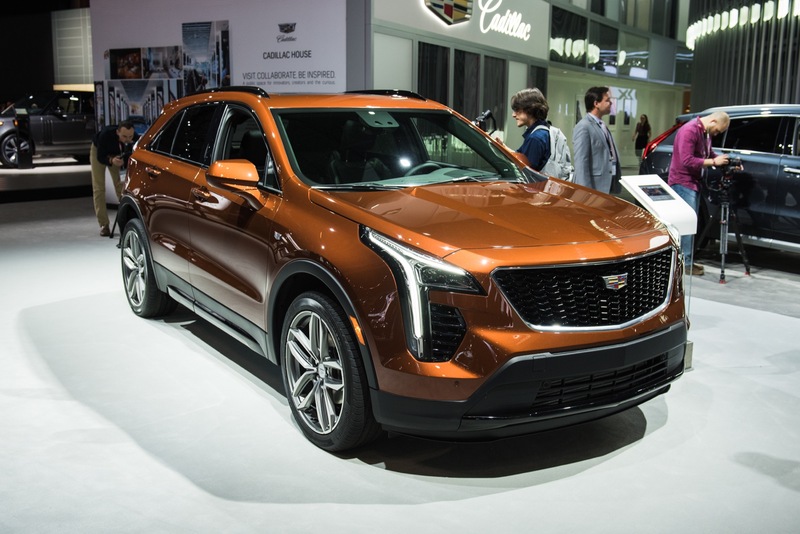 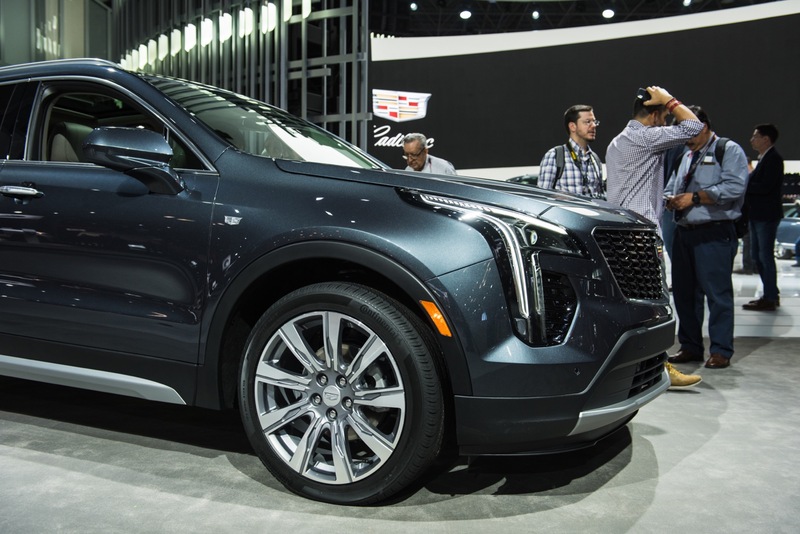 The Cadillac XT4 will be available in all of the brand’s distributors in the Mexican market during the first half of this month, at a price of 746,500 Mexican pesos, or about $38,700 at the current exchange rate. 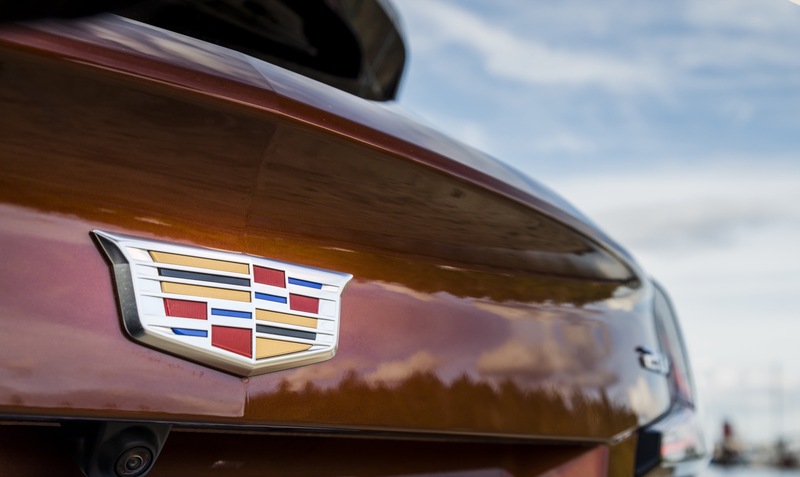 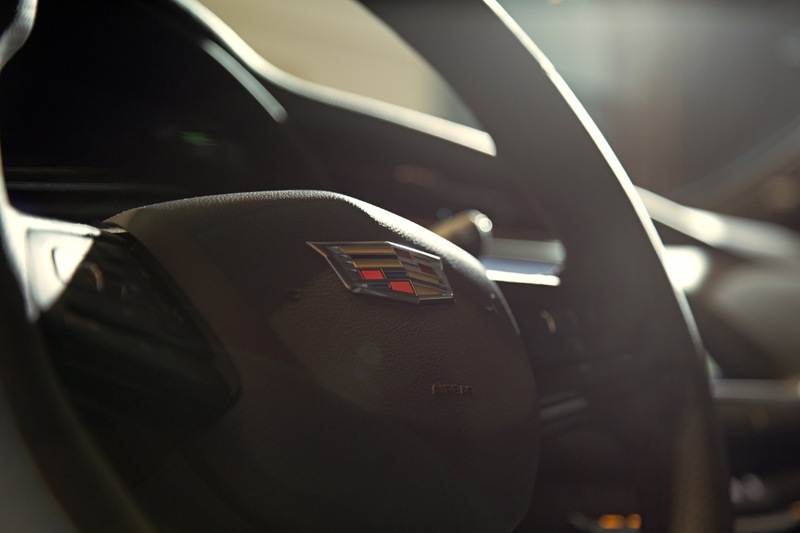 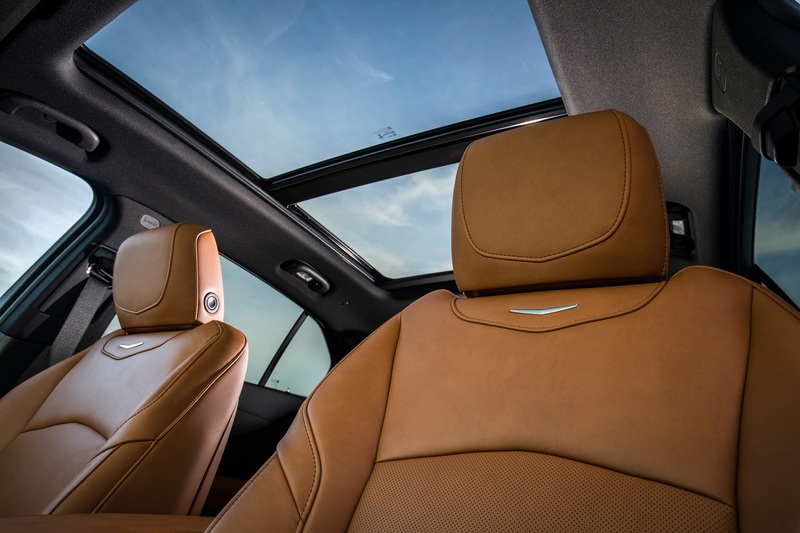 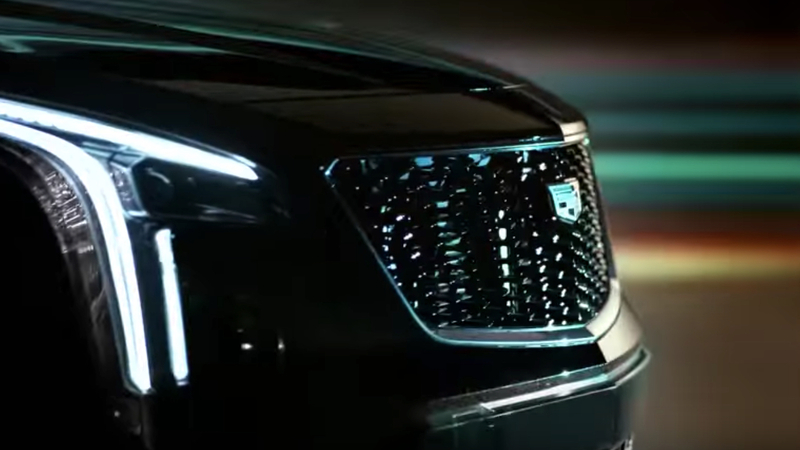 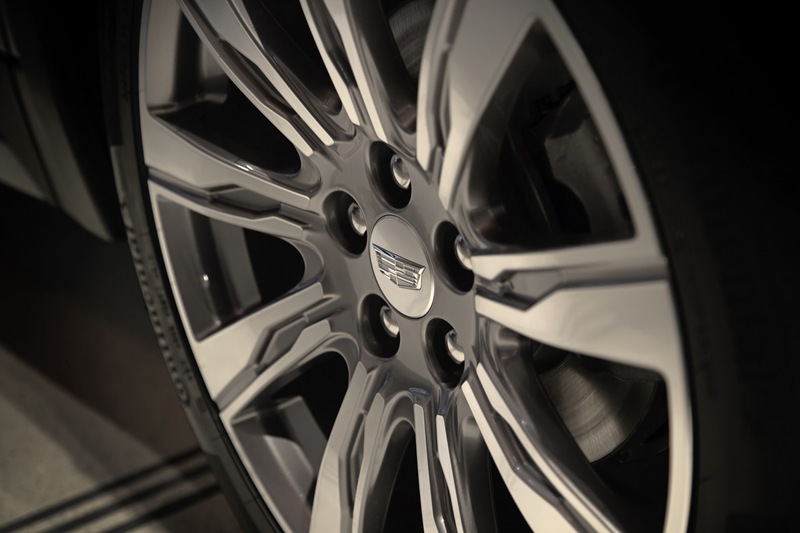 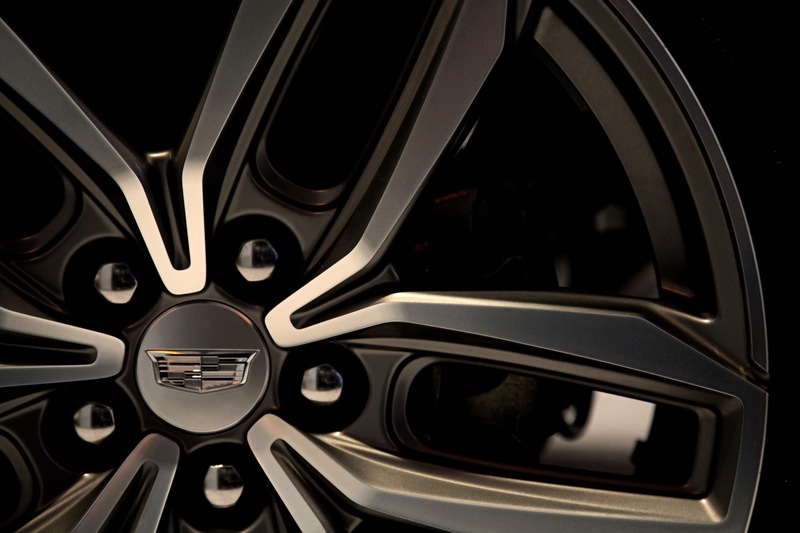 In that regard, it becomes the most affordable Cadillac model offered in the Latin American country. 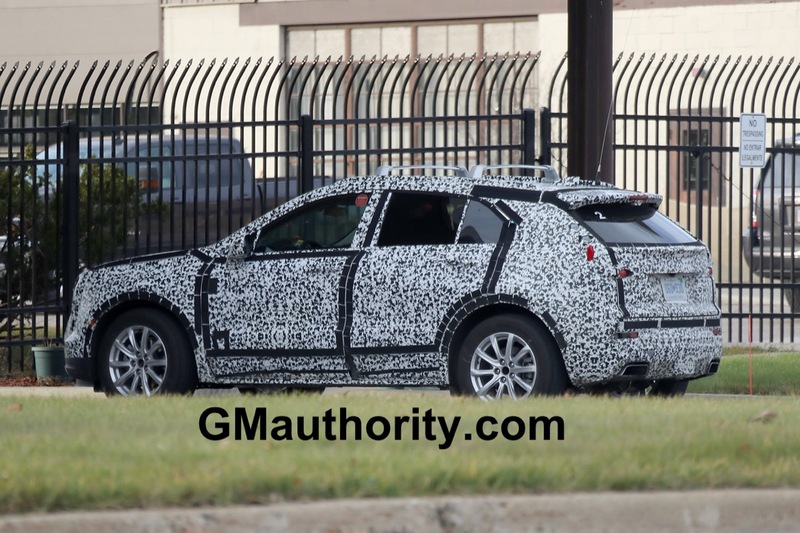 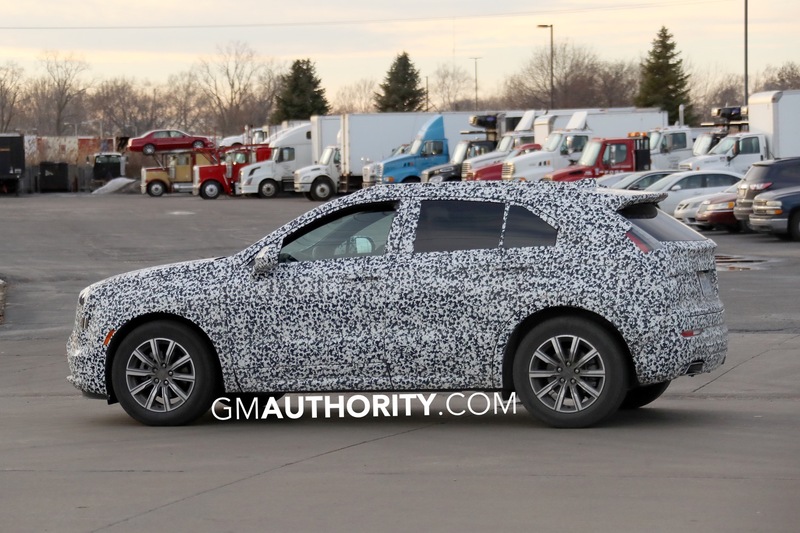 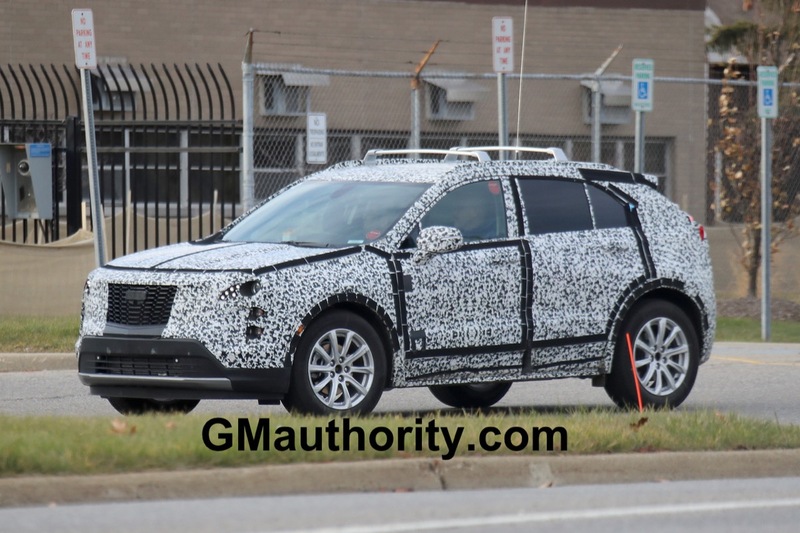 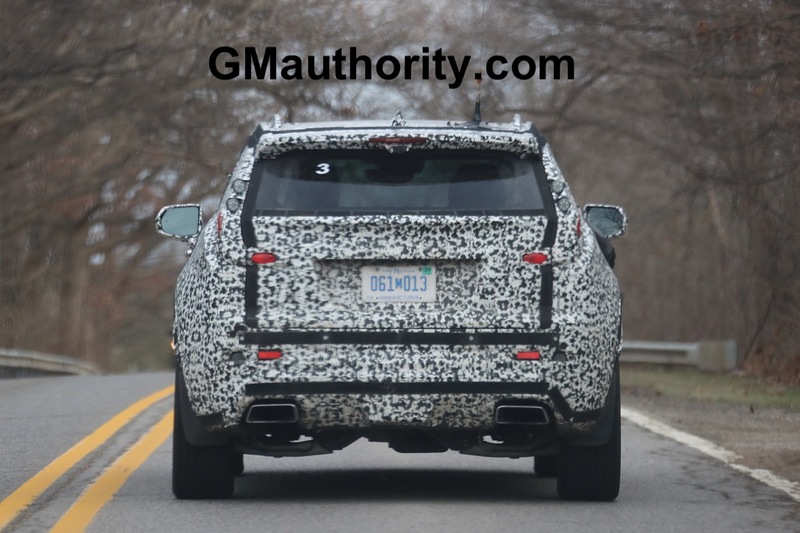 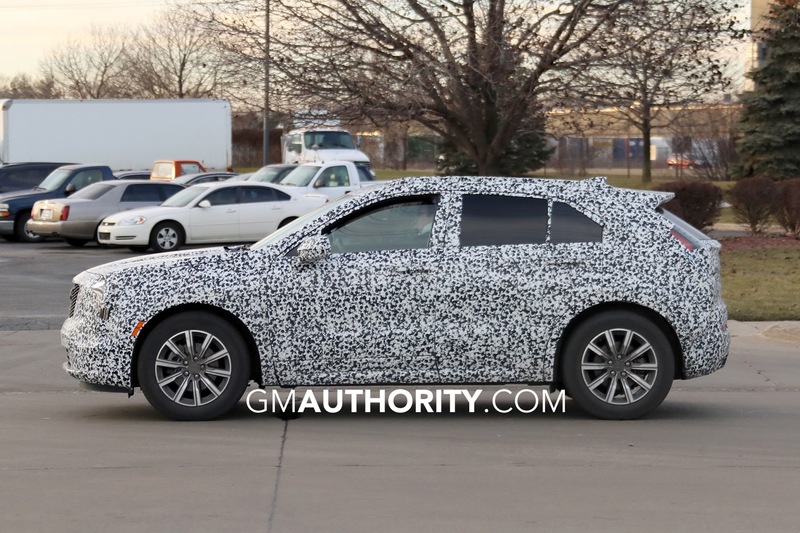 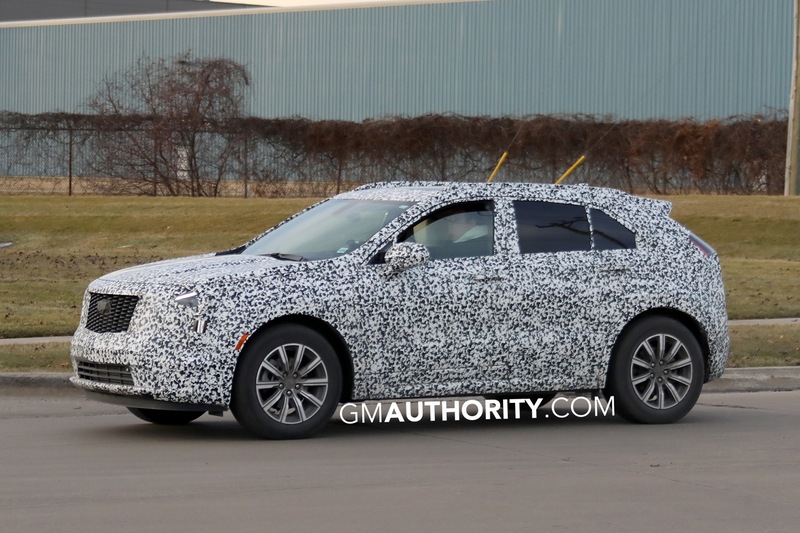 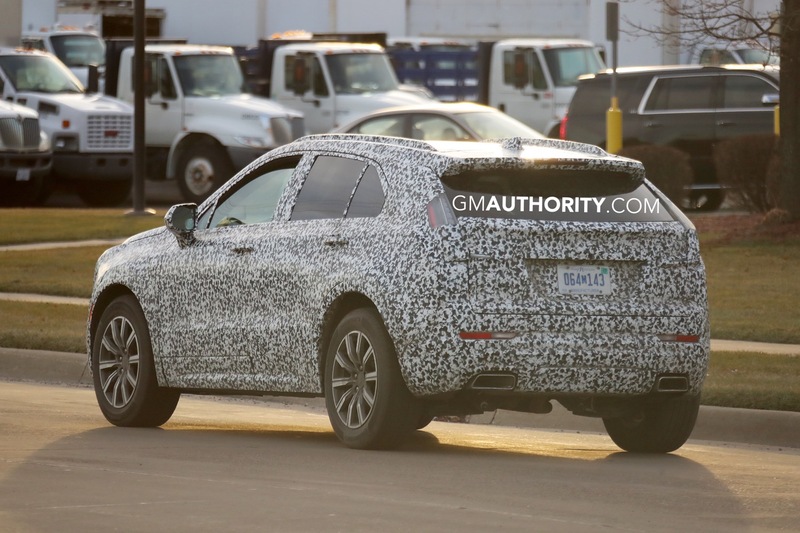 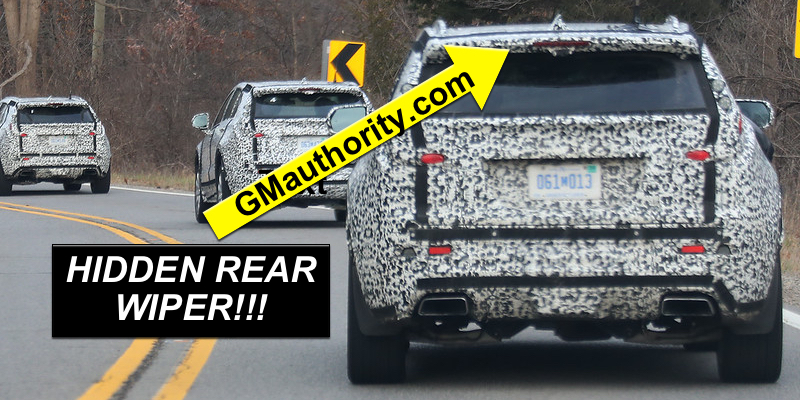 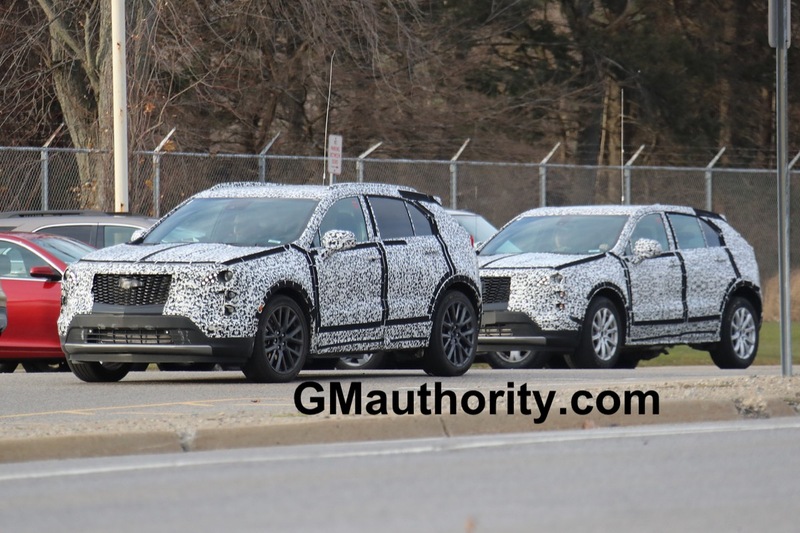 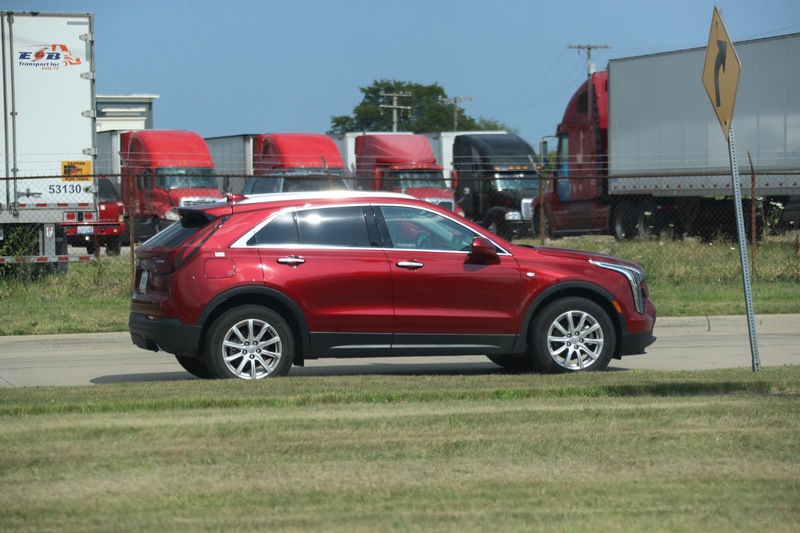 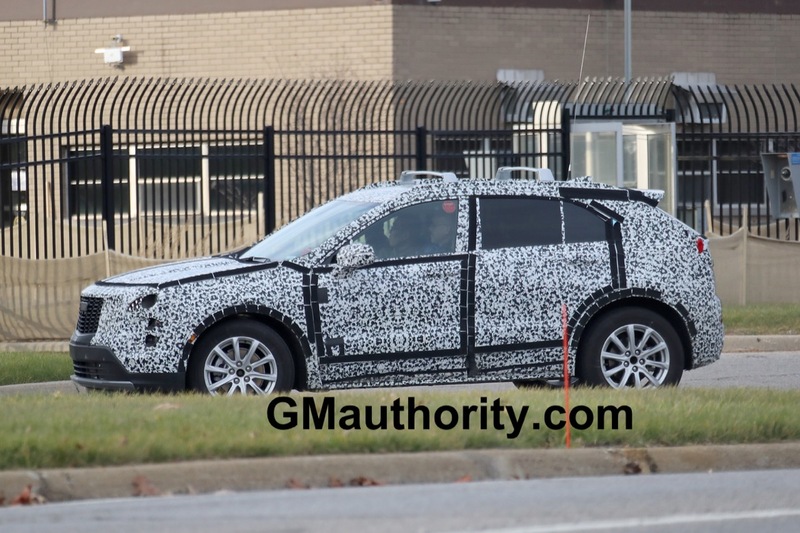 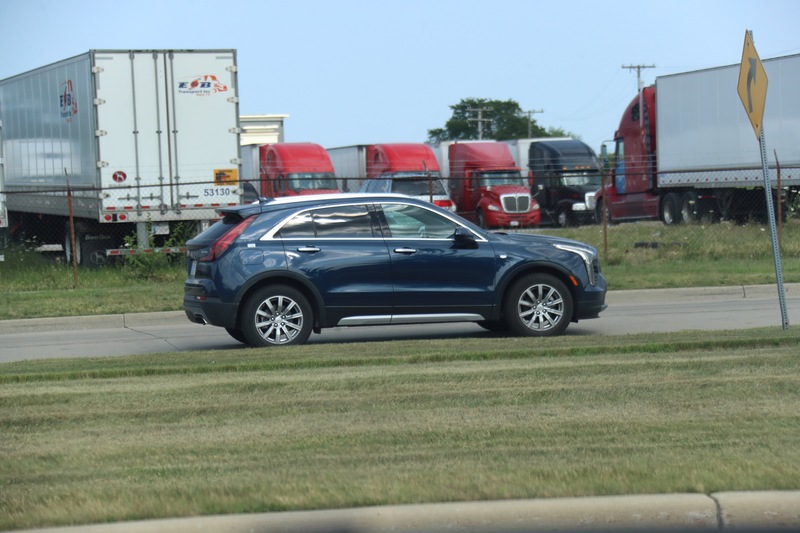 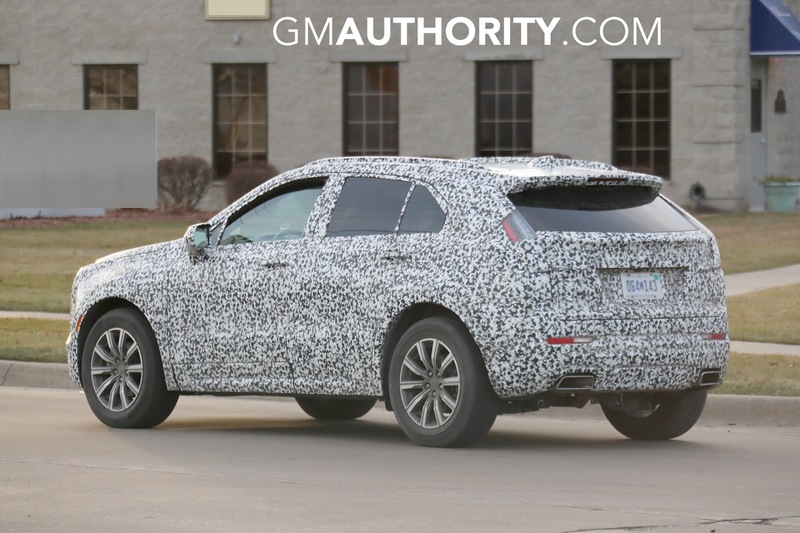 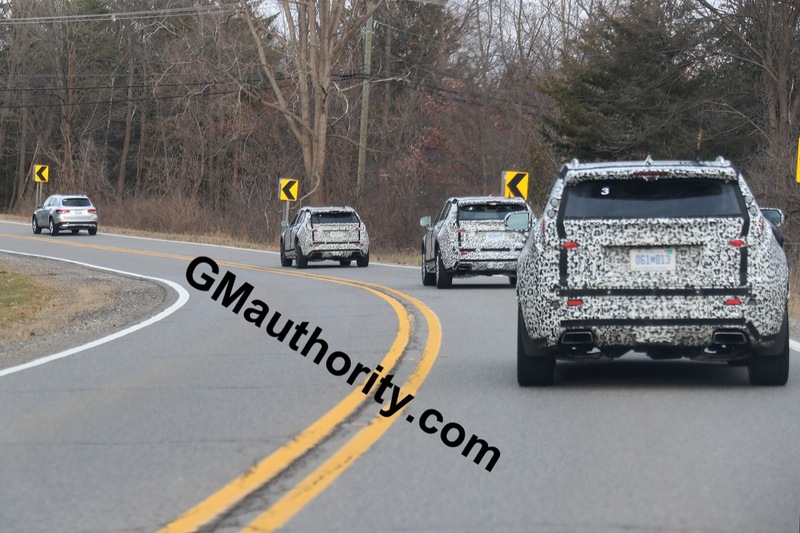 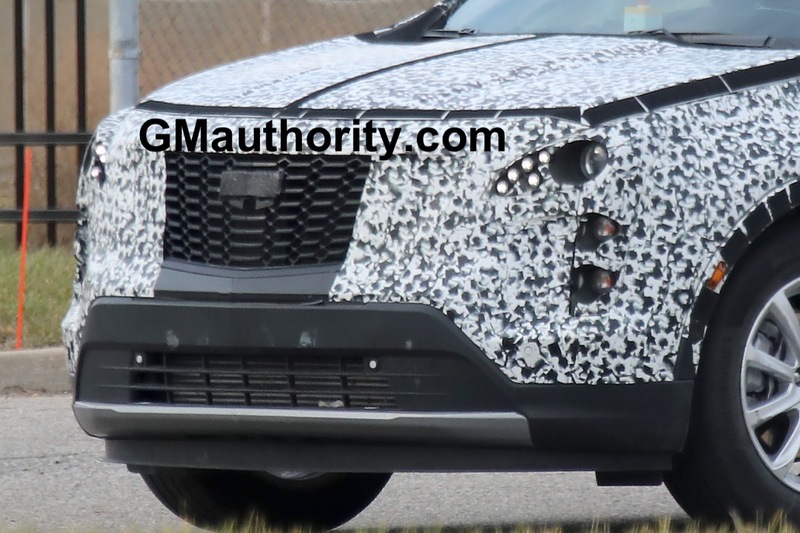 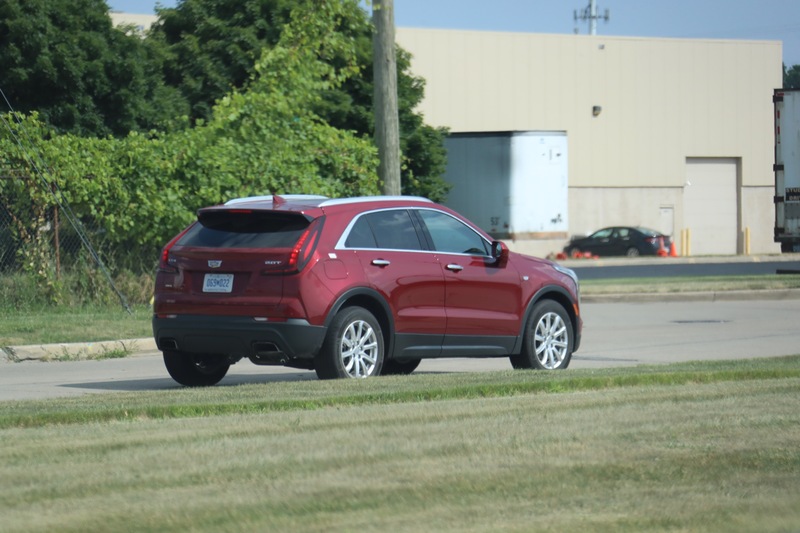 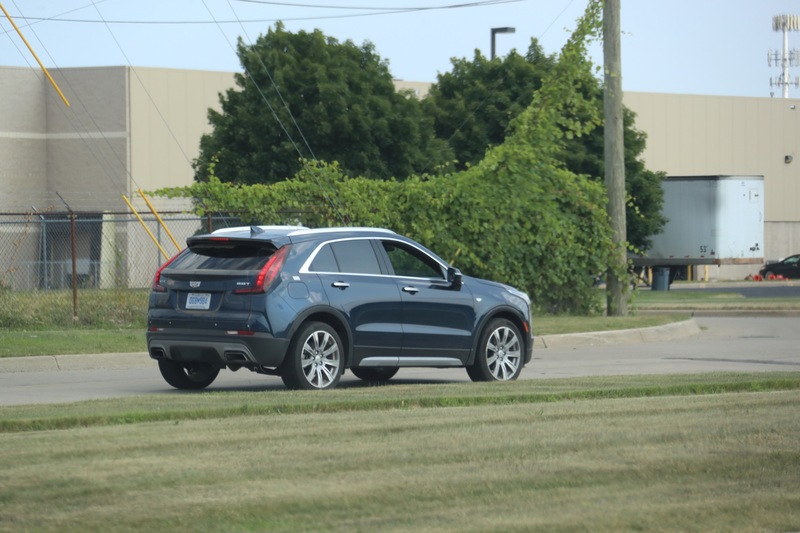 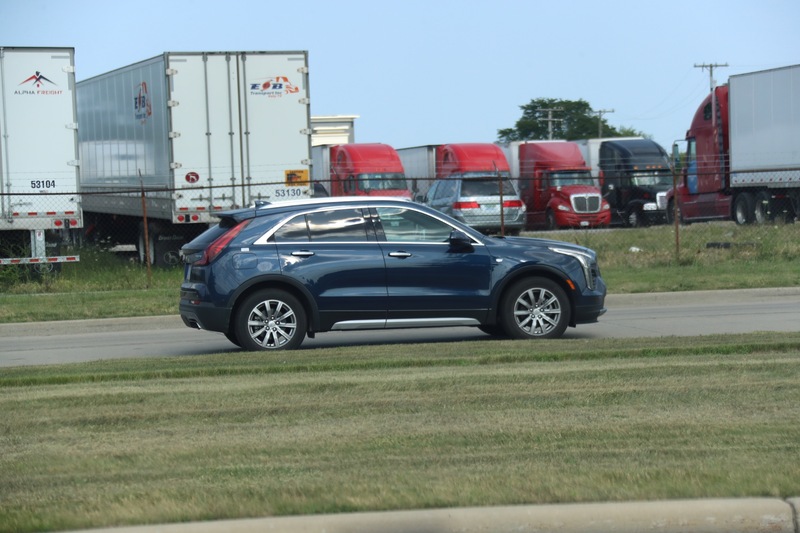 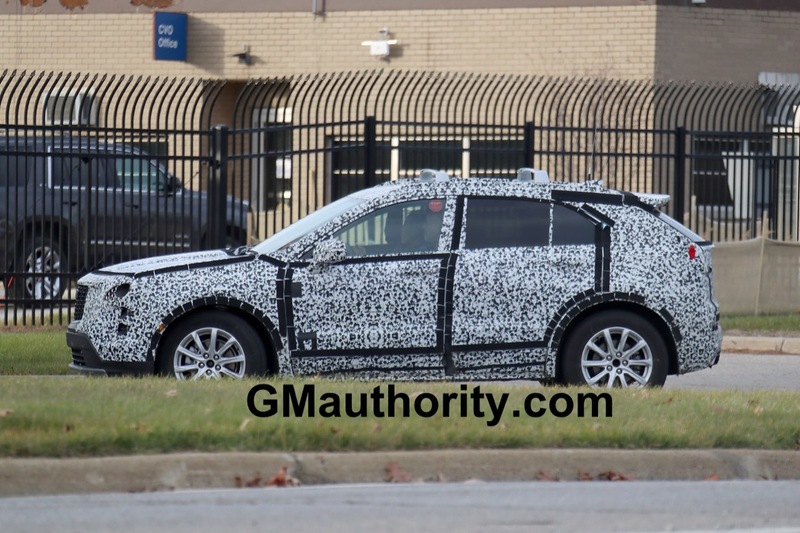 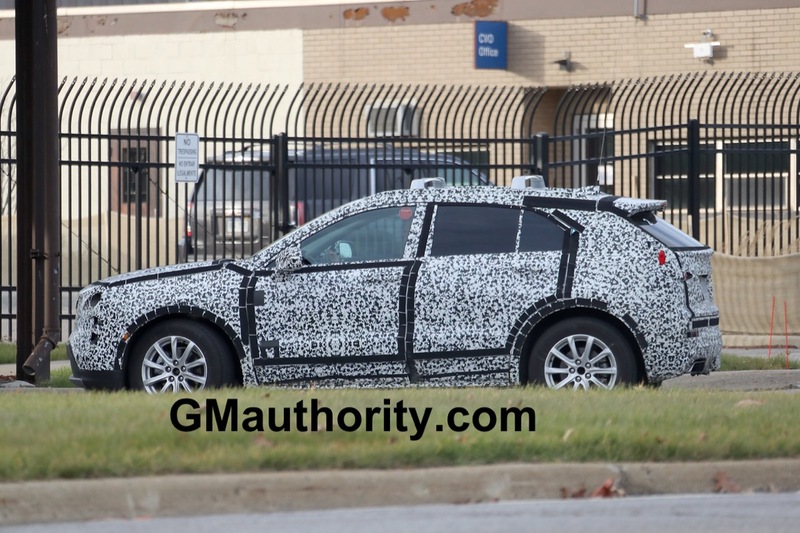 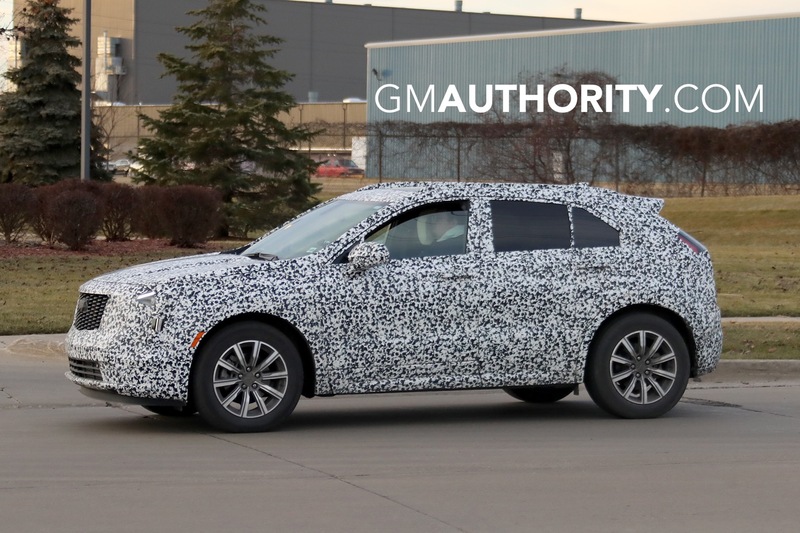 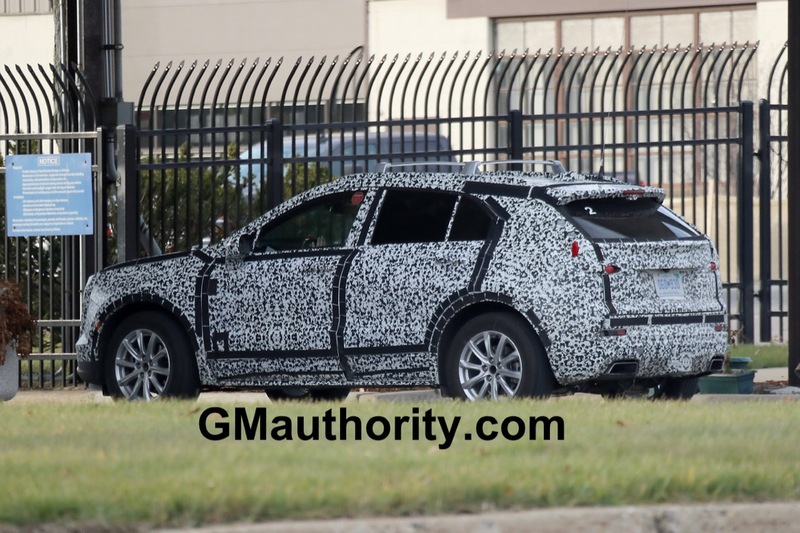 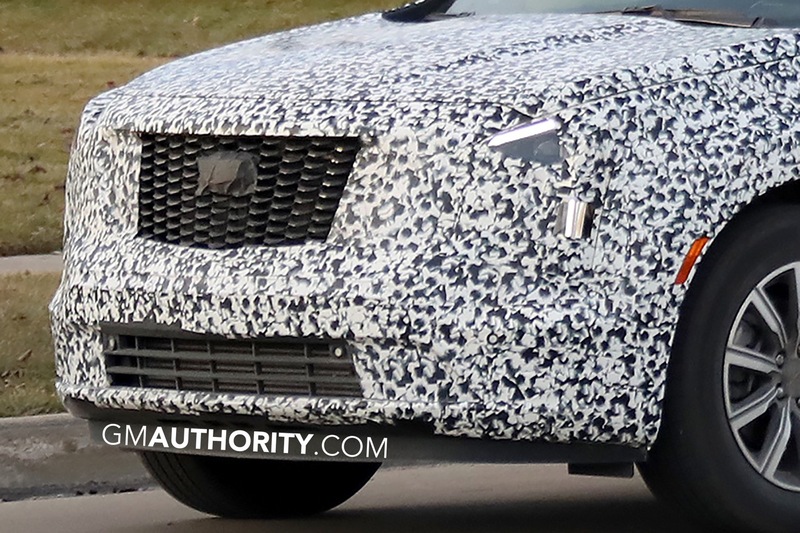 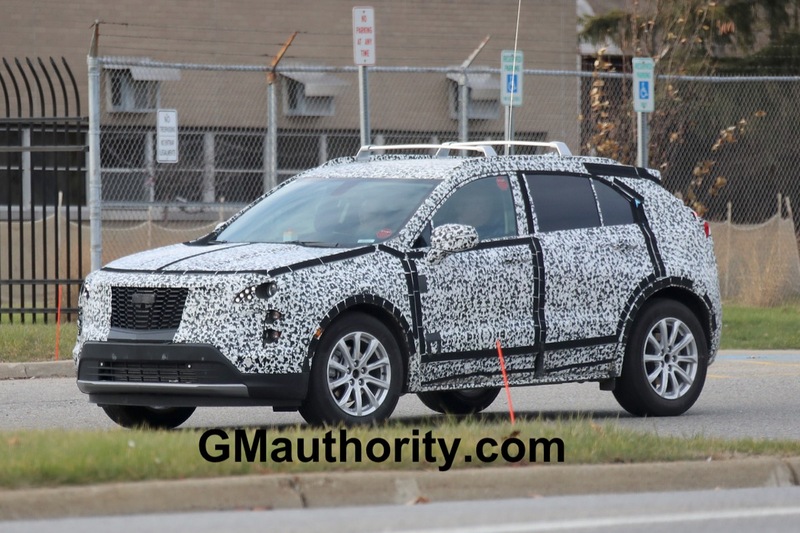 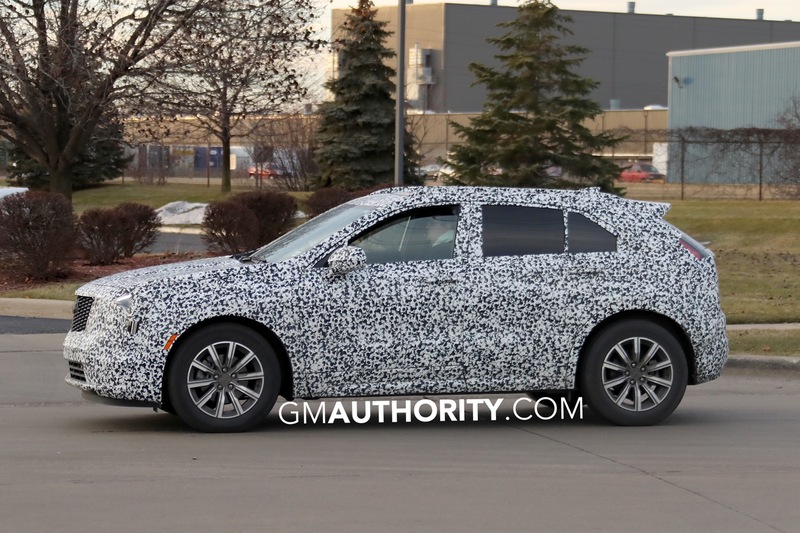 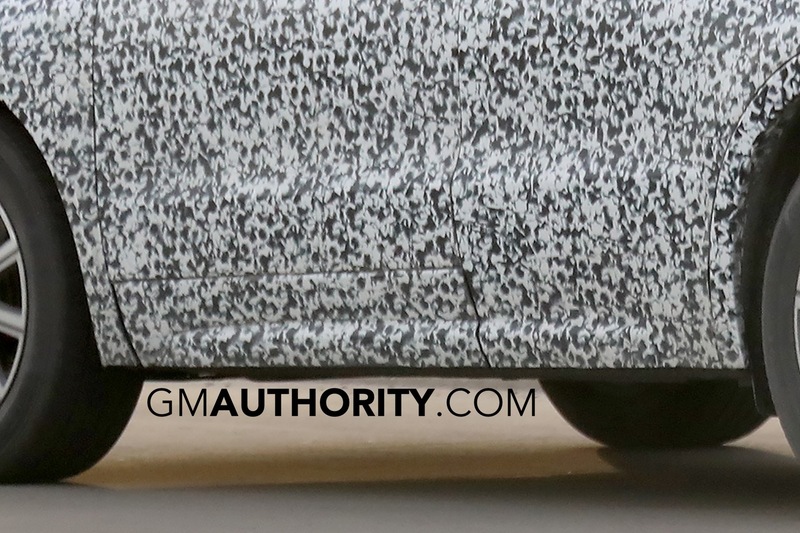 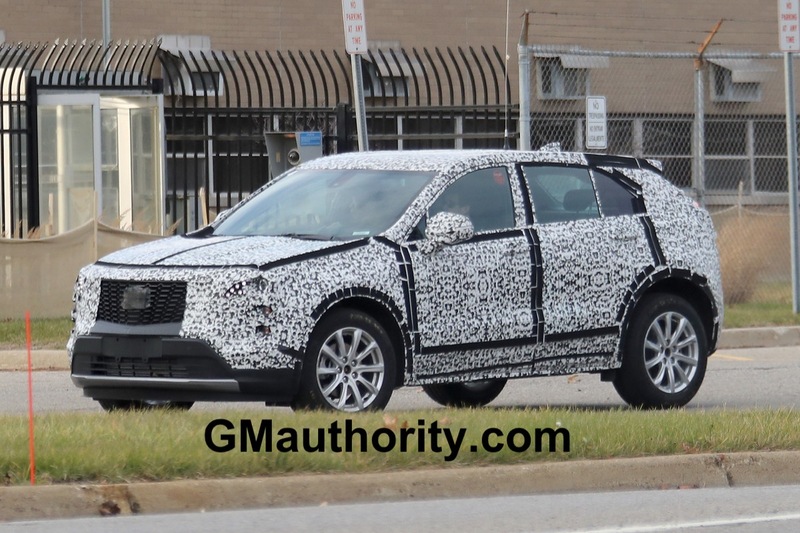 XT4 models destined for Mexico will be assembled at the GM Fairfax plant located in Kansas City, Kansas, USA. 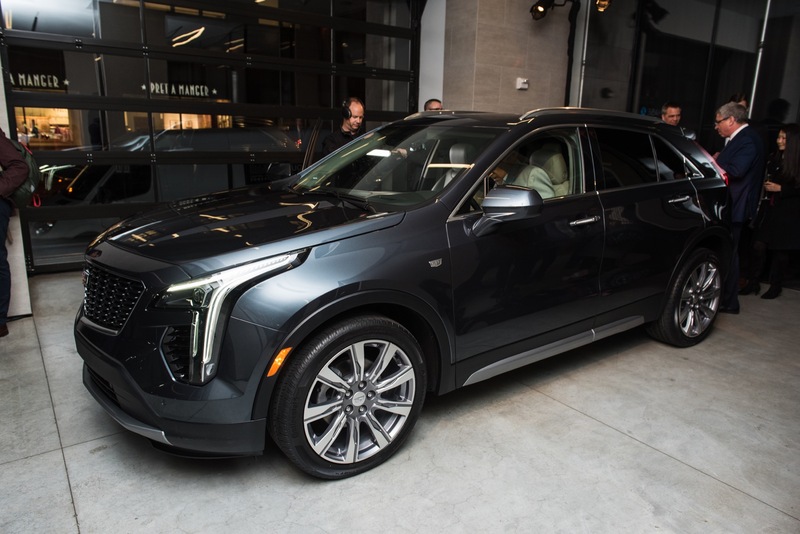 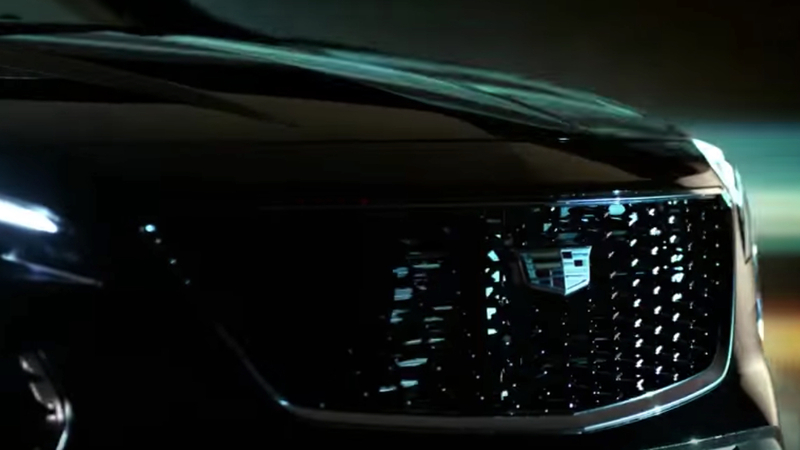 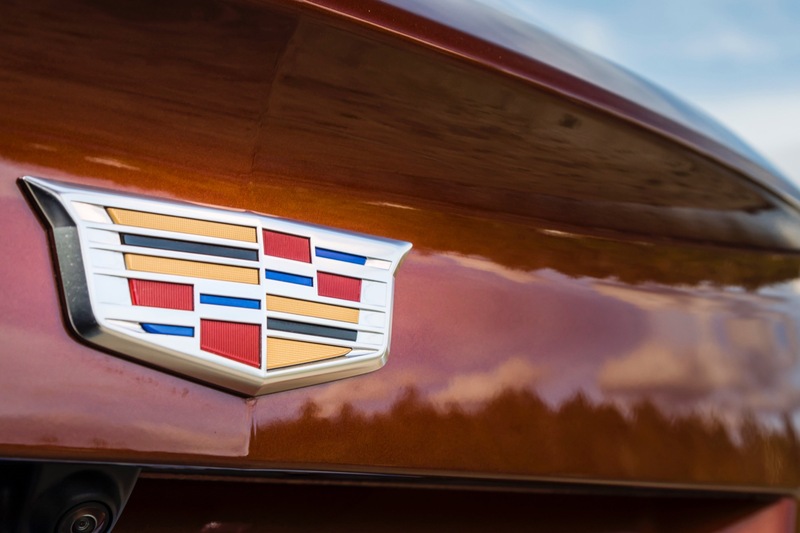 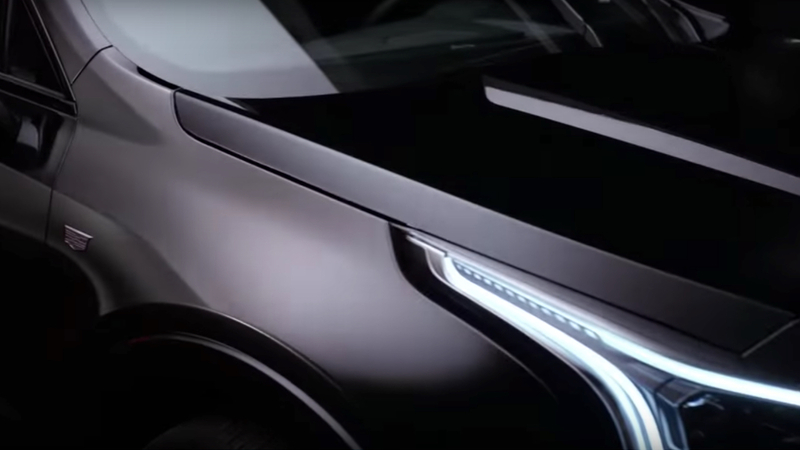 Luego de su llegada a los concesionarios en China y los Estados Unidos en Septiembre y Octubre, el Cadillac XT4 se prepara para arribar a los mercados auxiliares de la marca durante éste último trimestre del año. 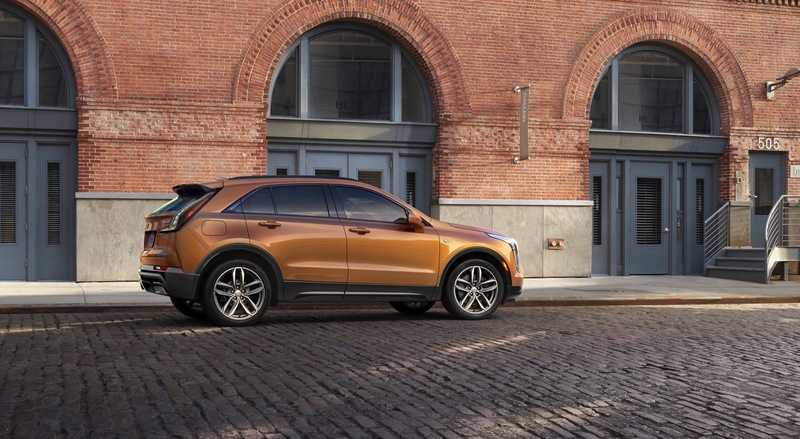 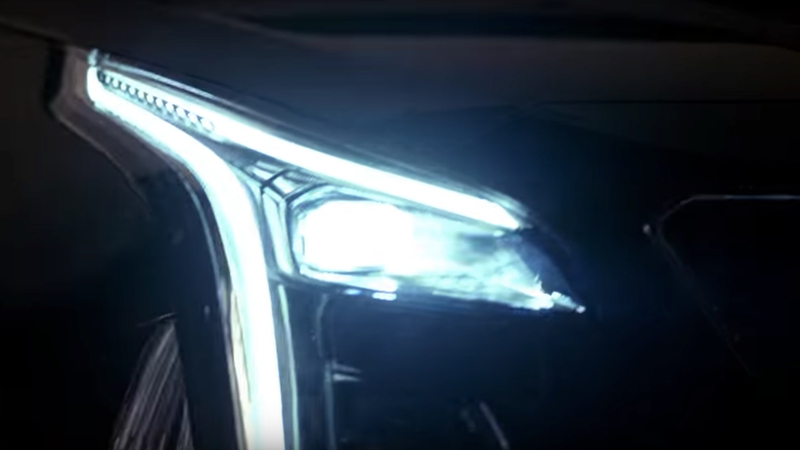 Cadillac ha anunciado que las primeras unidades de su nuevo crossover compacto llegarán al mercado mexicano a partir del mes de noviembre. 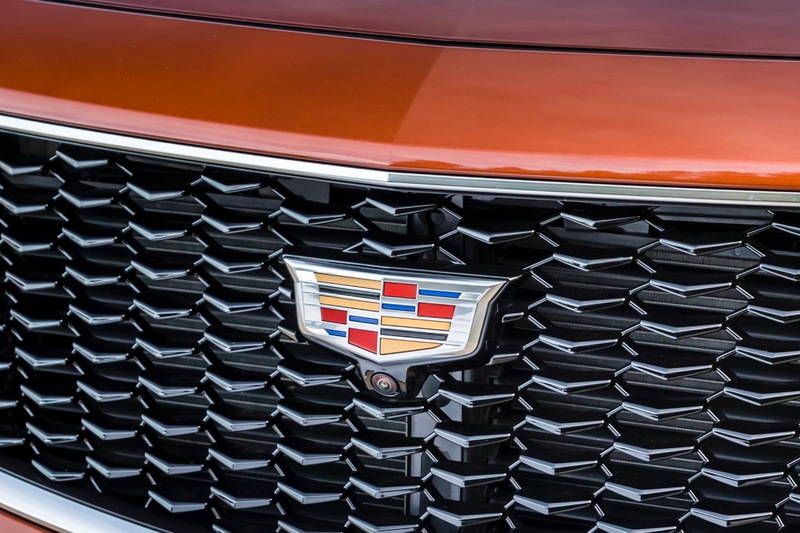 Inicialmente el modelo será ofrecido en una sola versión, con que la marca espera satisfacer los requerimientos de los clientes en el país. 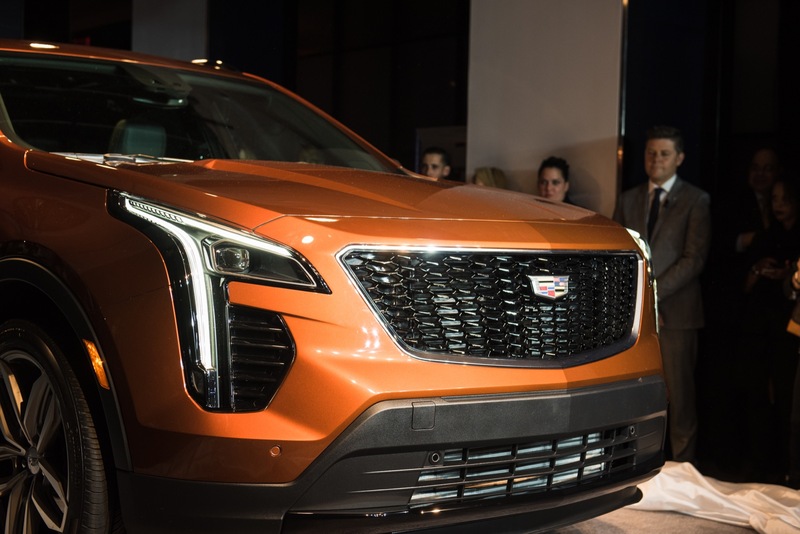 “Cadillac está ganando momentum en México y la llegada de XT4 nos permitirá acercarnos a nuevos clientes que buscan que su vehículo se convierta en un cómplice para el día a día. 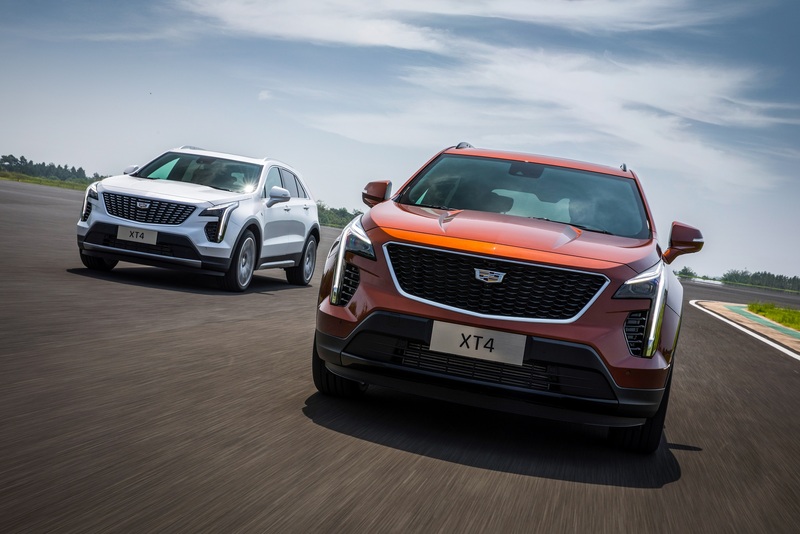 Estamos seguros que XT4 se colocará entre las preferidas gracias a su set de amenidades en tecnología y conectividad, entre otras cualidades”, comentó Pedro Ruiz, Director de Mercadotecnia de General Motors de México. 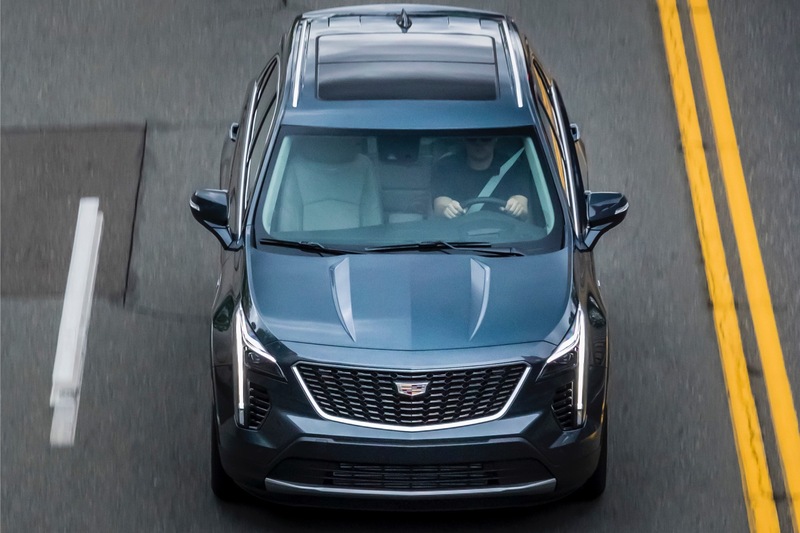 A nivel mecánico incluye el nuevo motor Cadillac LSY 2.0L Turbo que genera 237 caballos de fuerza y 258 lb-pie de torque acoplado a una transmisión automática de nueve velocidades, la única combinación de tren motriz disponible hasta ahora en todos los mercados. 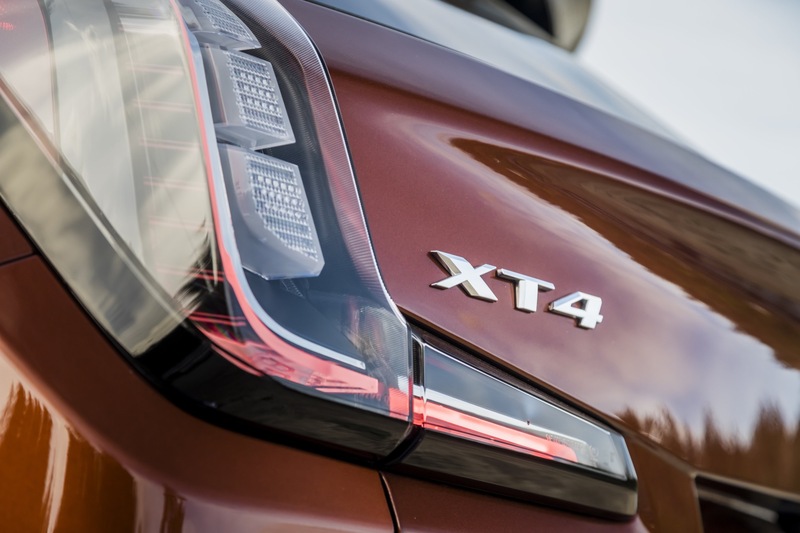 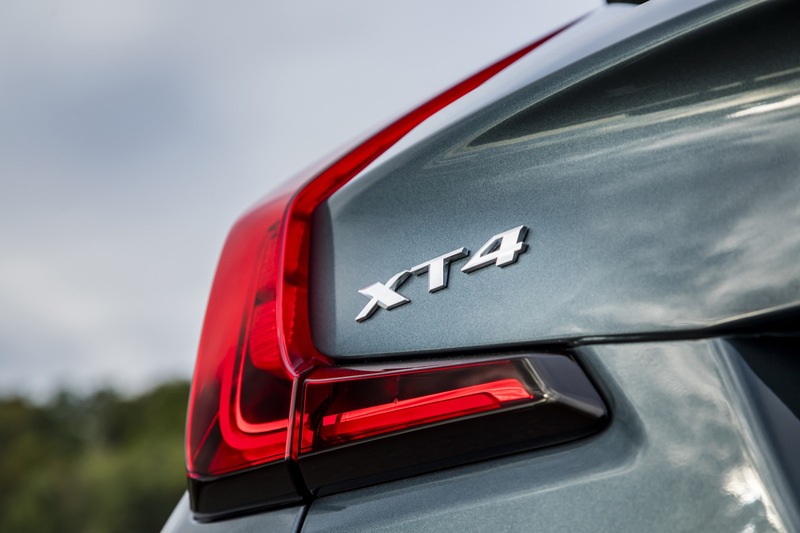 En un principio el XT4 será vendido en la siguiente configuración: sólo tracción delantera (FWD), rines de aluminio de 18″, siete colores exteriores y dos combinaciones interiores. 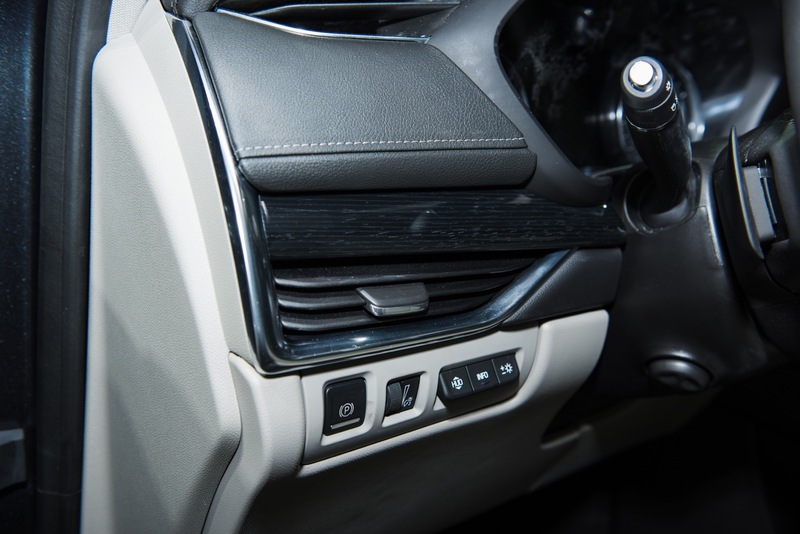 Adicionalmente, el vehículo se ofrecerá con todo el equipamiento tecnológico y de seguridad disponible en los dos mercados principales. 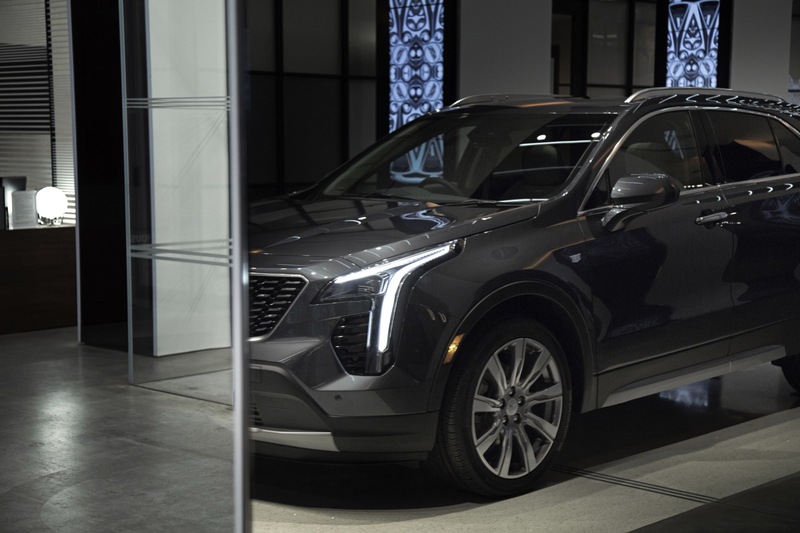 El Cadillac XT4 estará disponible en todos los distribuidores de la marca en el mercado mexicano durante la primera mitad de este mes, a un precio de $746.500 pesos mexicanos – unos $38.700 al cambio actual. 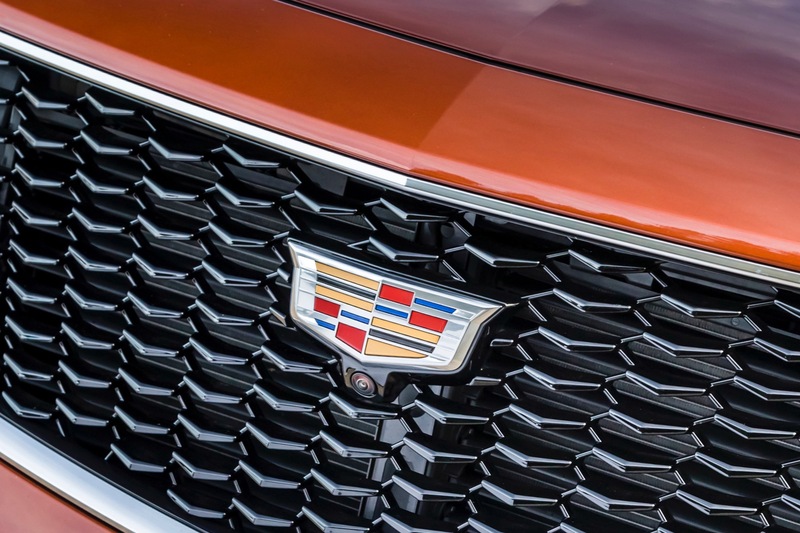 De ésta manera se convierte en el modelo más económico que Cadillac ofrece en el país. 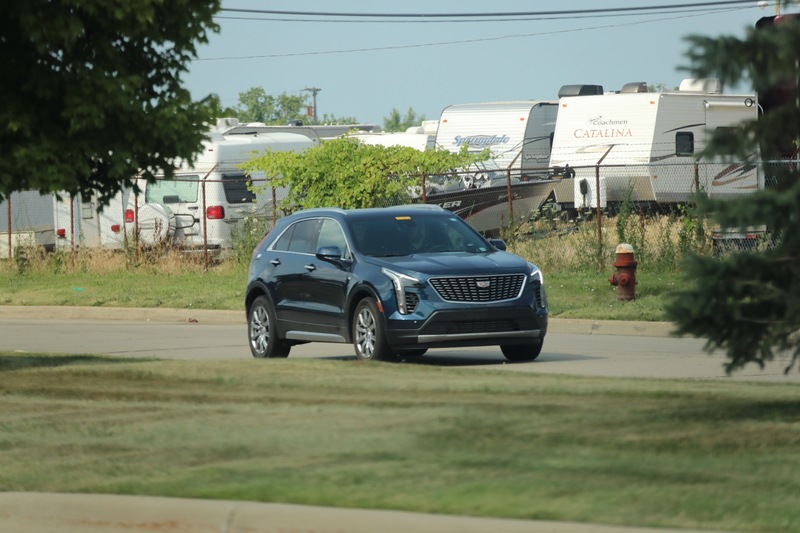 Las unidades para México serán ensambladas en la planta Fairfax localizada en la ciudad de Kansas City, estado de Kansas, en los Estados Unidos. 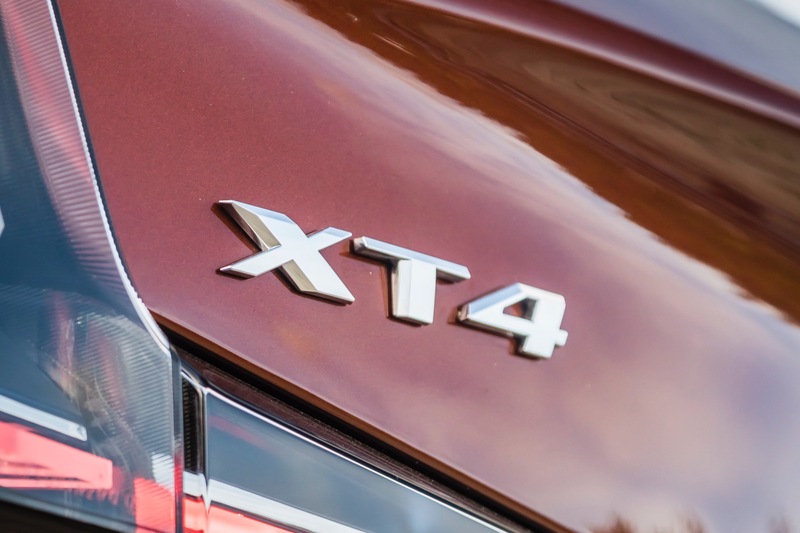 thinking of buying XT4 ?. 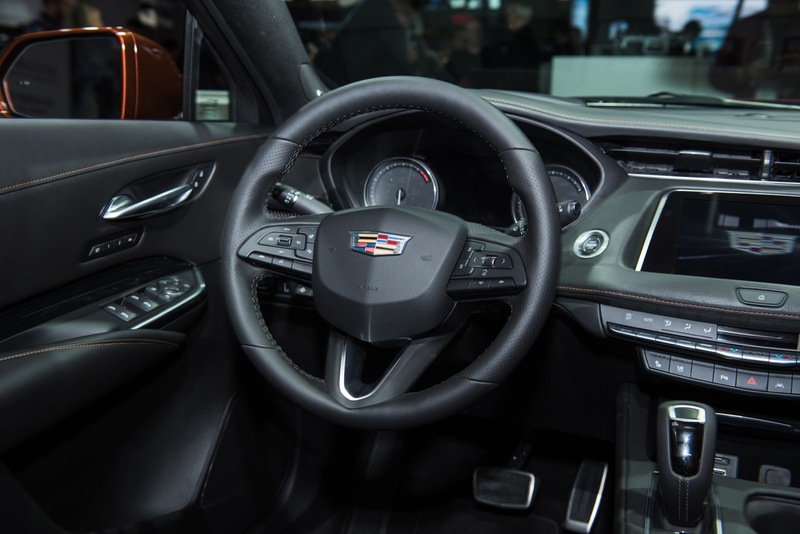 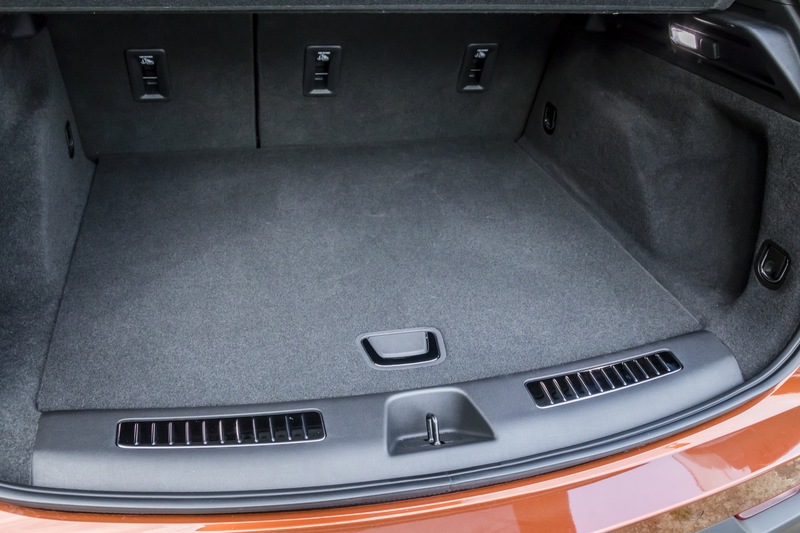 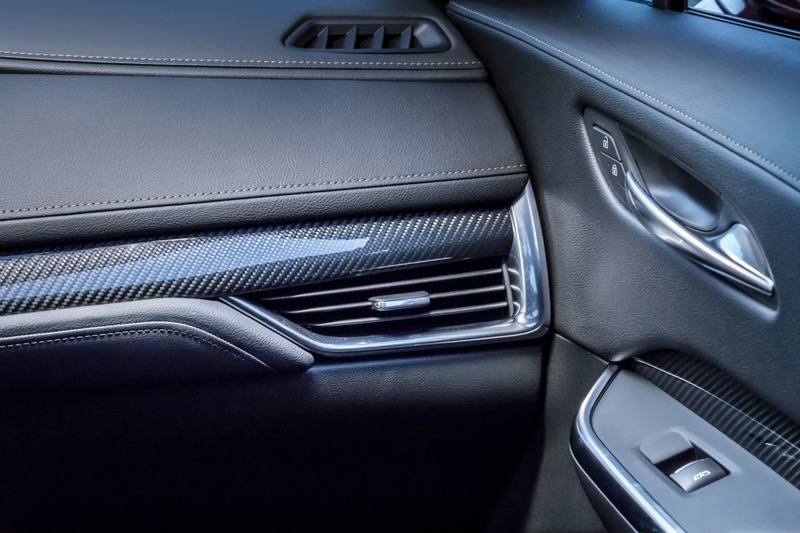 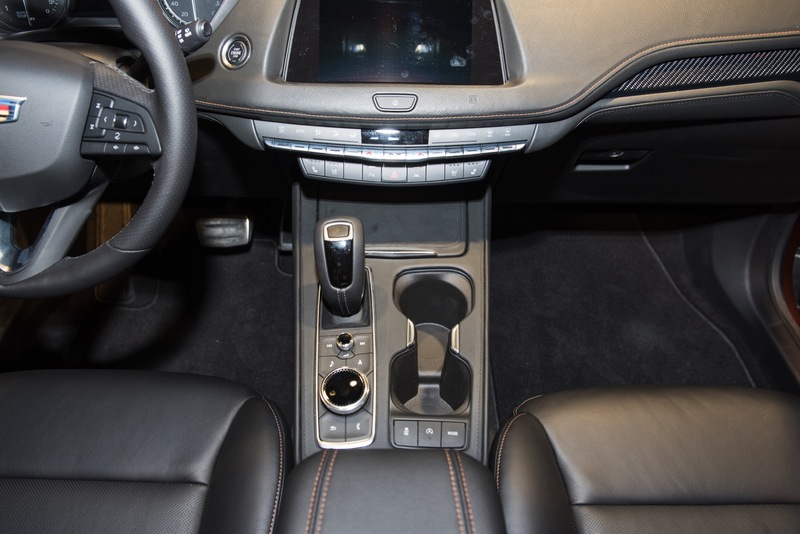 I have a CTS Sport V, I am 5 ‘ 4 I have to reach little behind me to open the console. 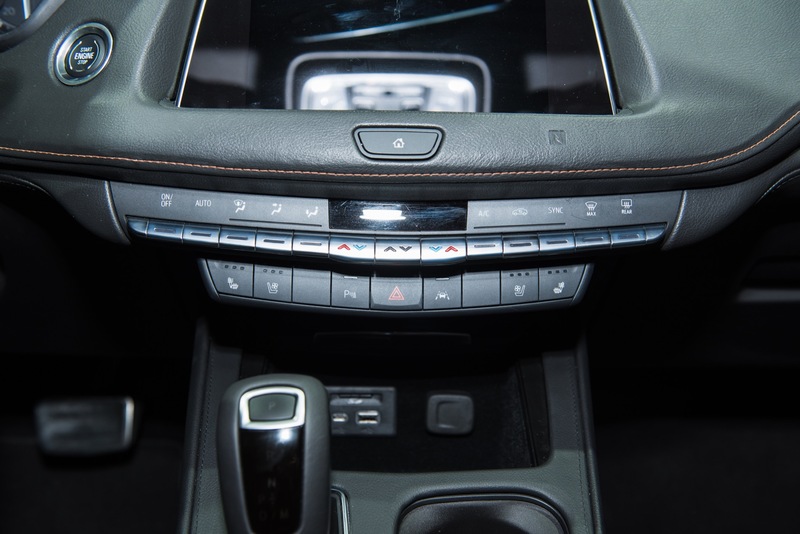 Now on the XT4 will I have to reach behind me to turn the that BIG knob on the console as well as the radio volume ? 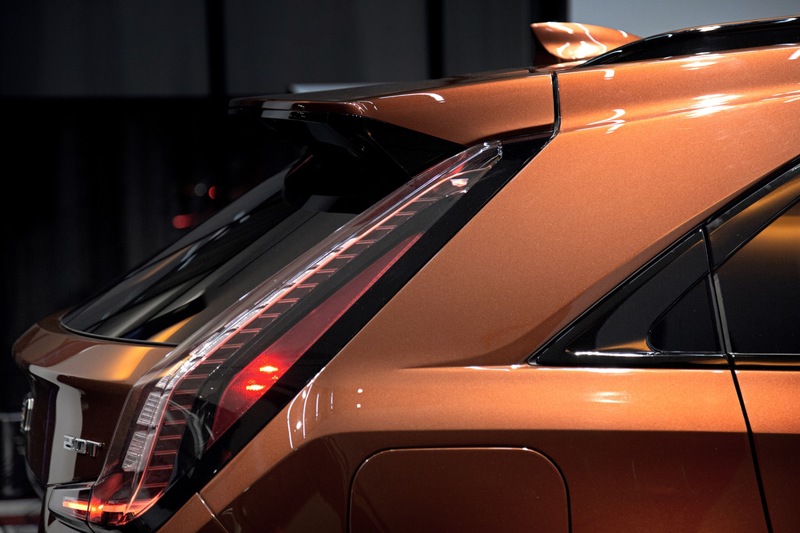 Considering a very small percentage of the population is your height that is life. 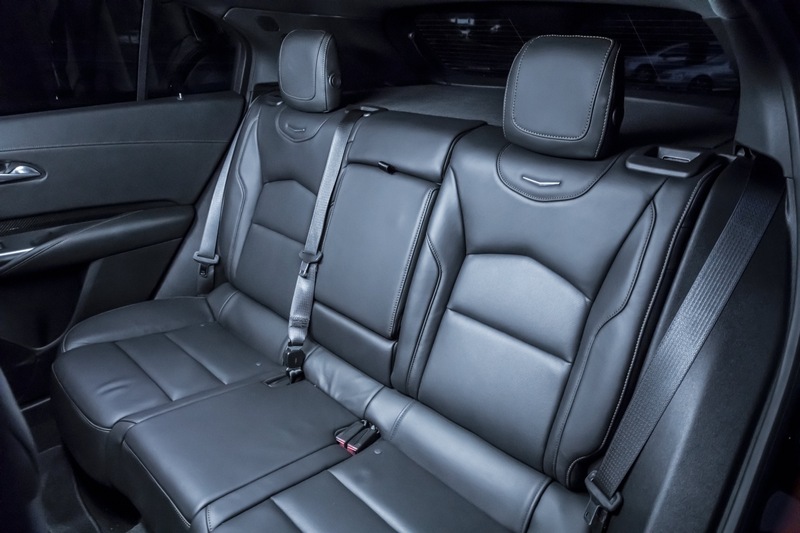 Do they make bigger airplane seats for tall guys? 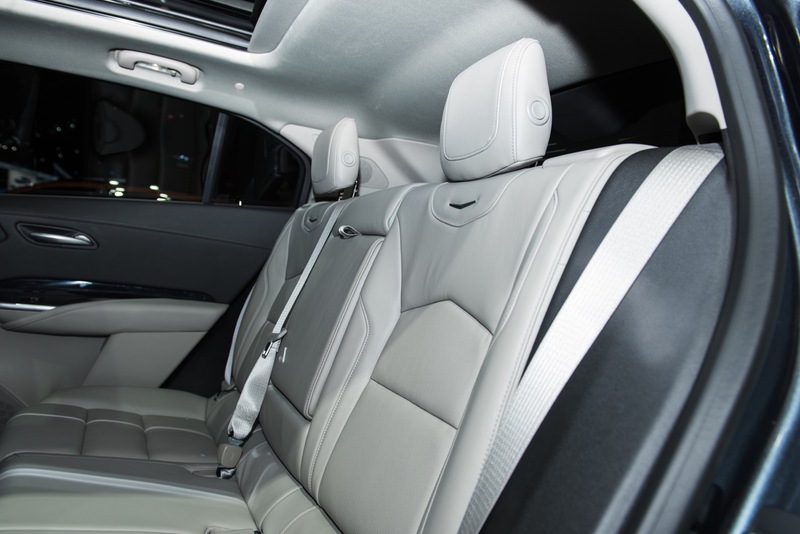 You enjoy a very comfortable seat while us taller guys suffer cramps and discomfort. 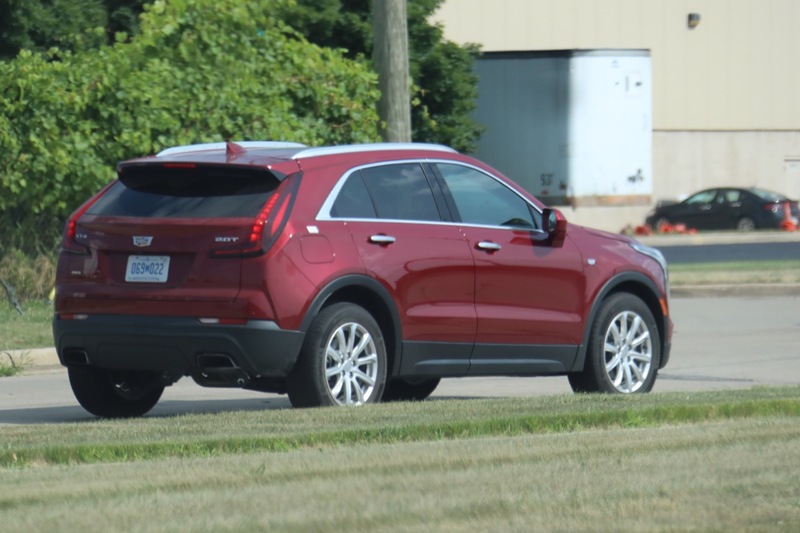 Nice looking but I wish the same color was available on the Silverado. 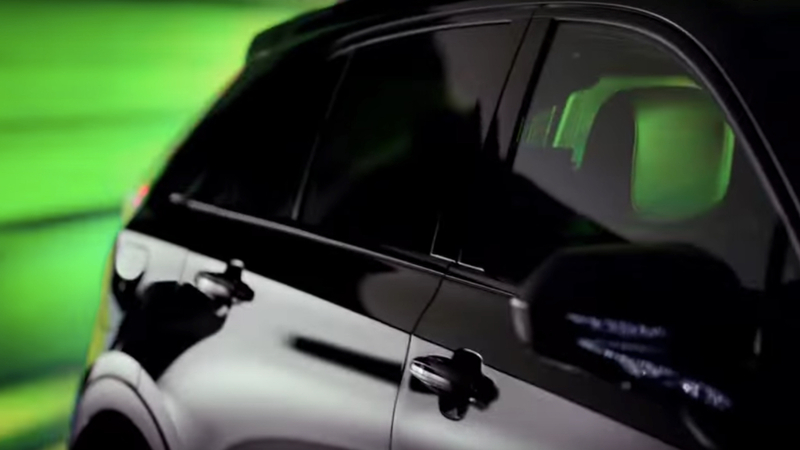 Getting tired of four different shades of gray, black and only one ugly shade of dark blue.